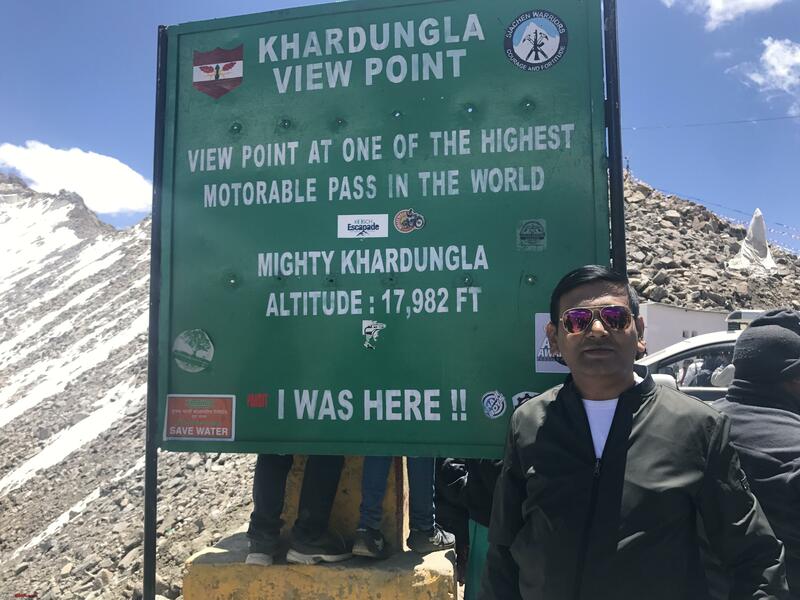 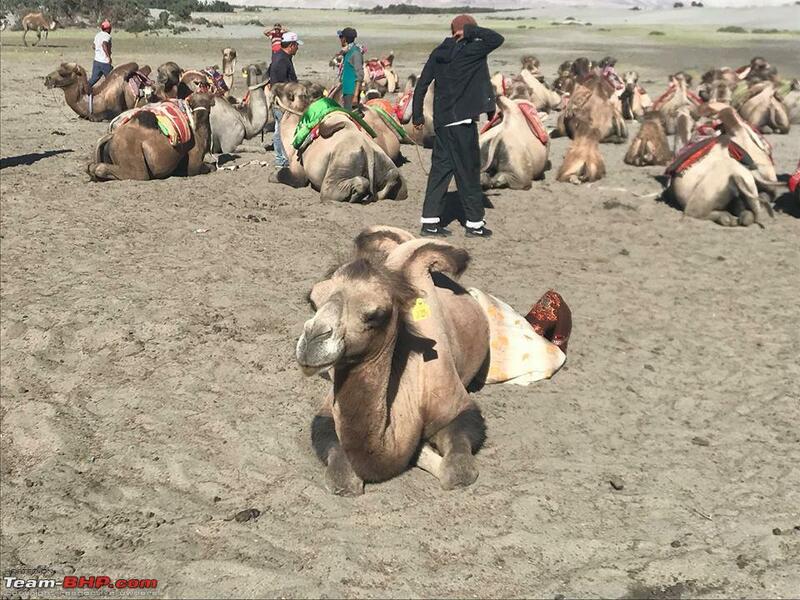 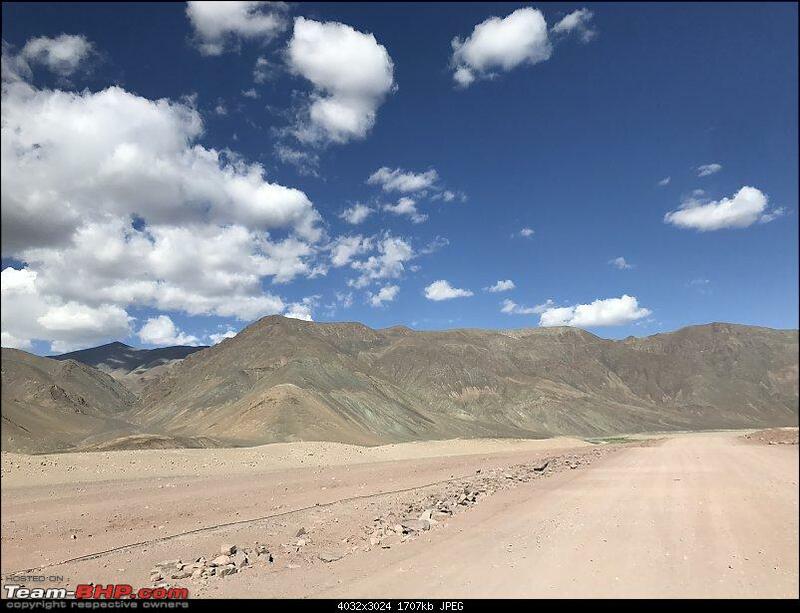 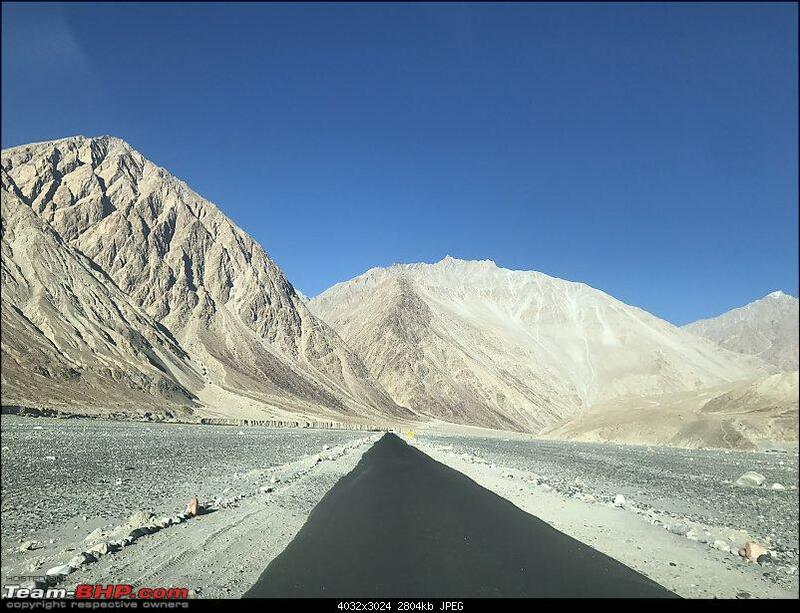 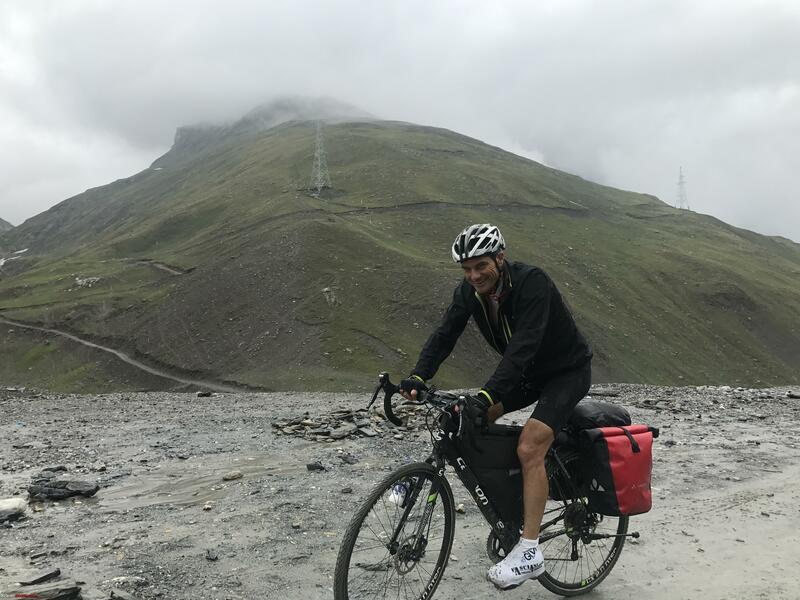 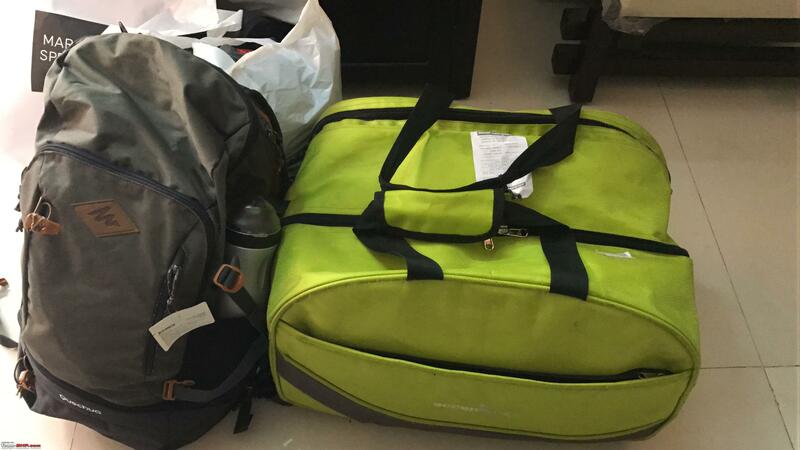 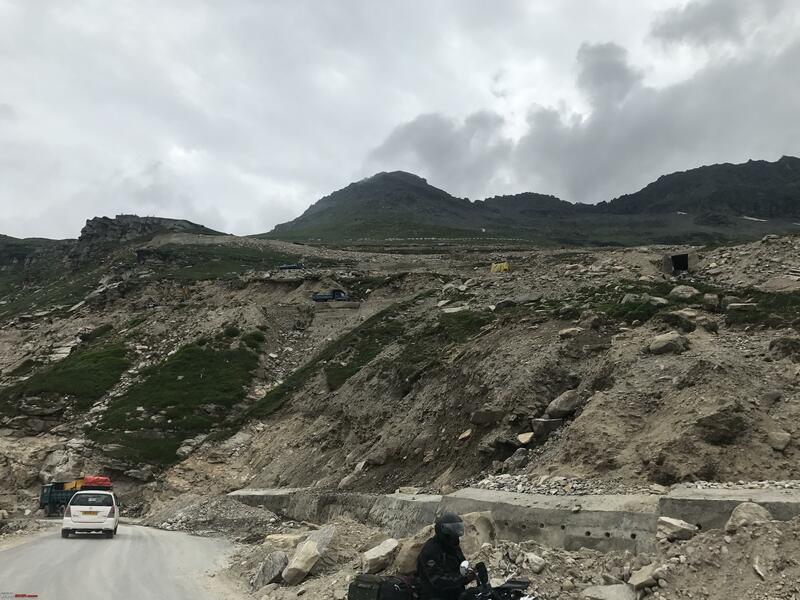 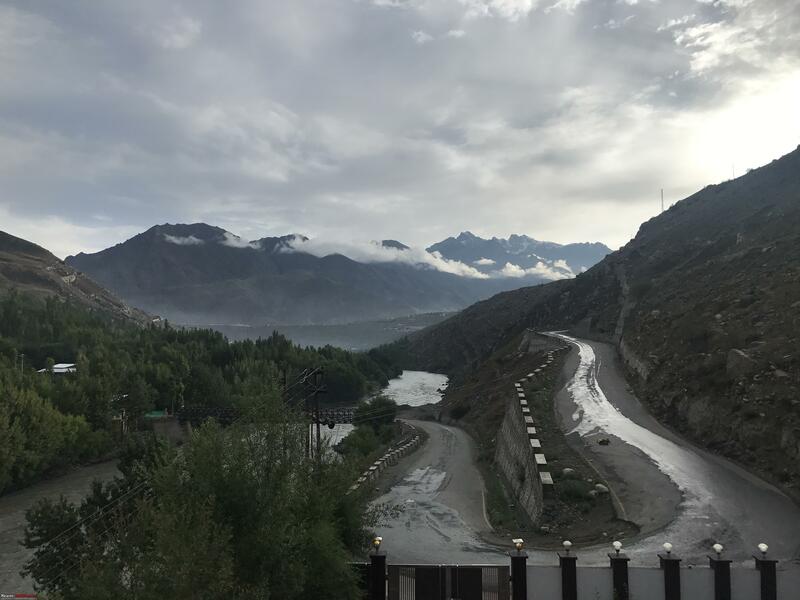 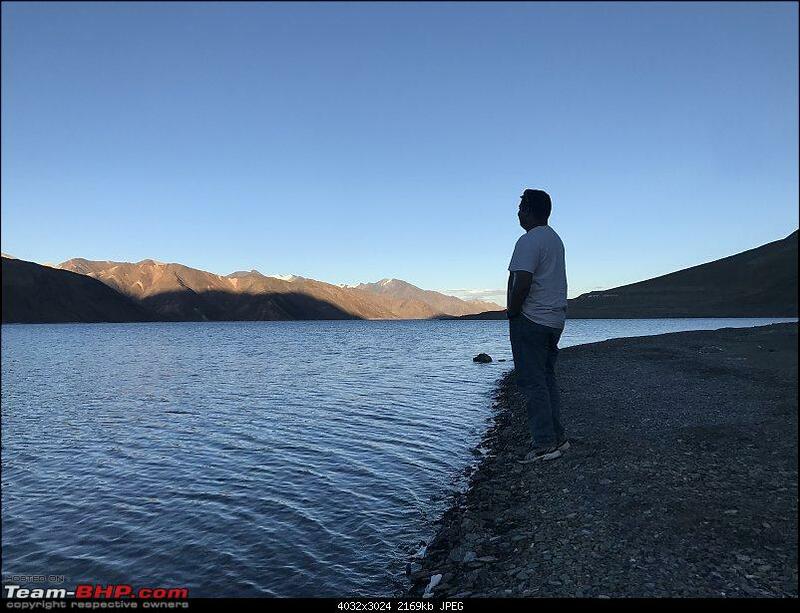 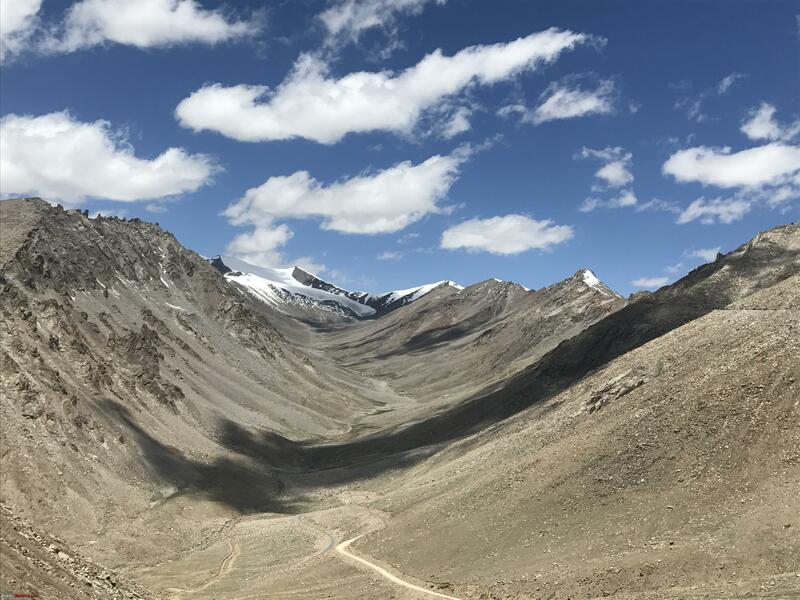 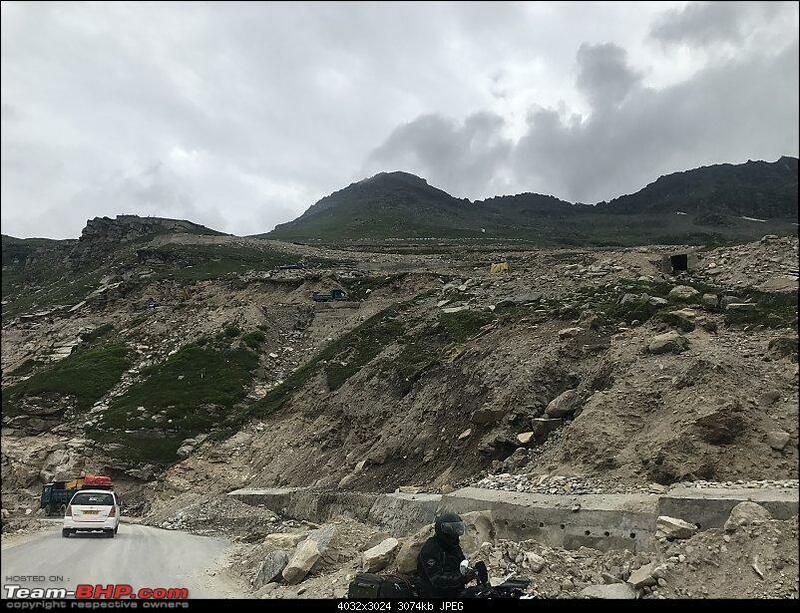 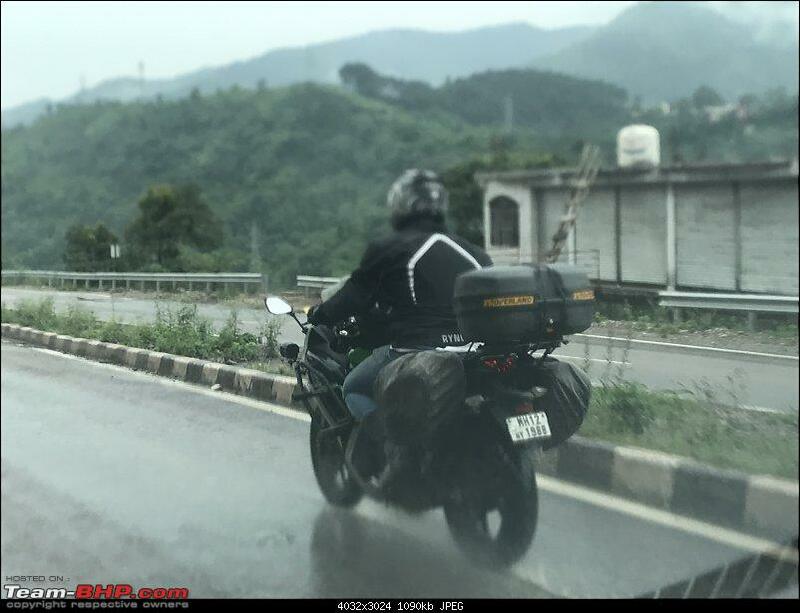 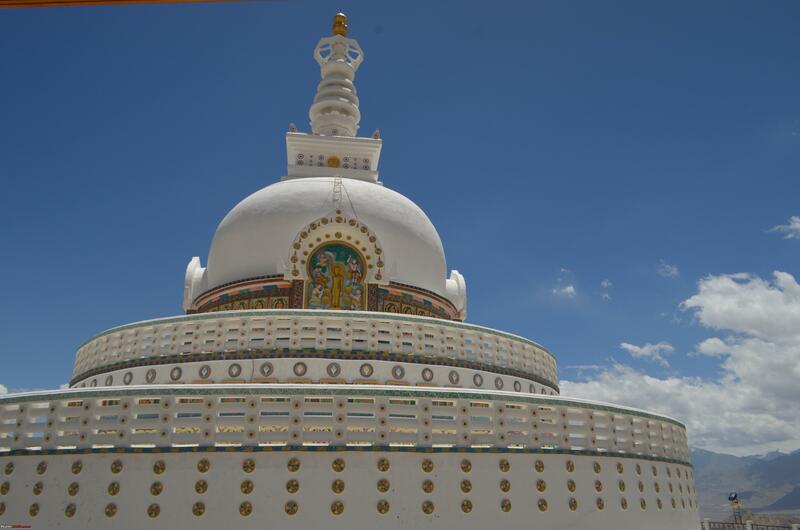 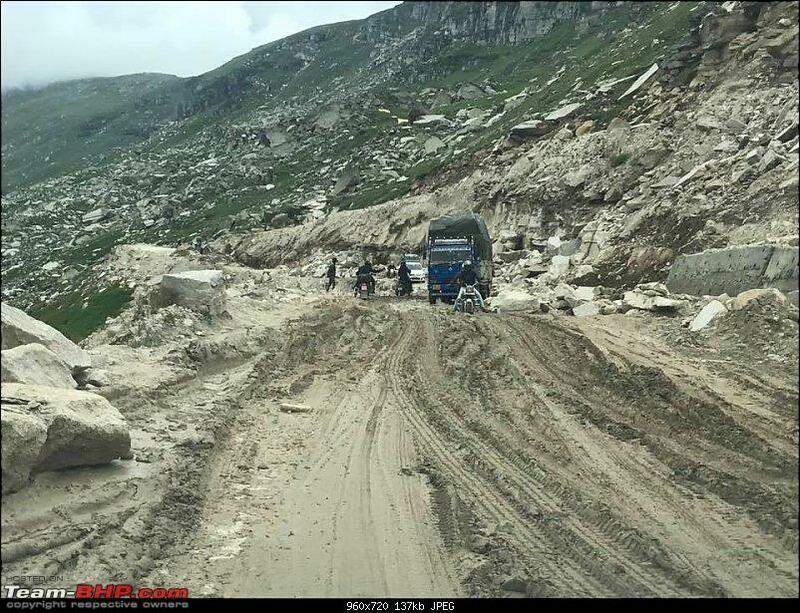 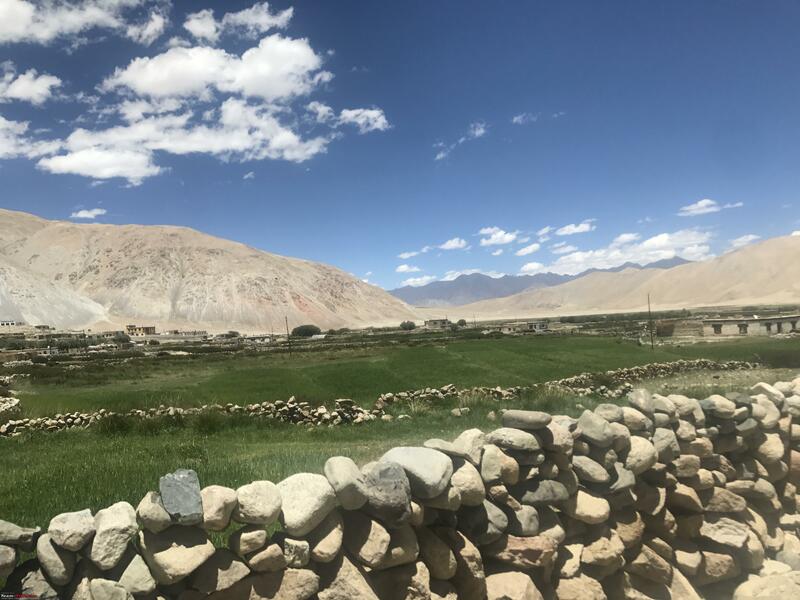 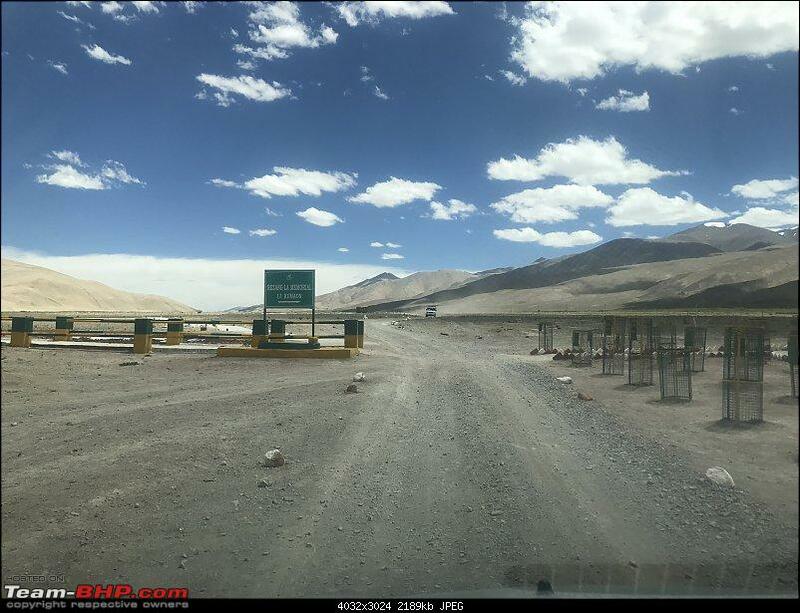 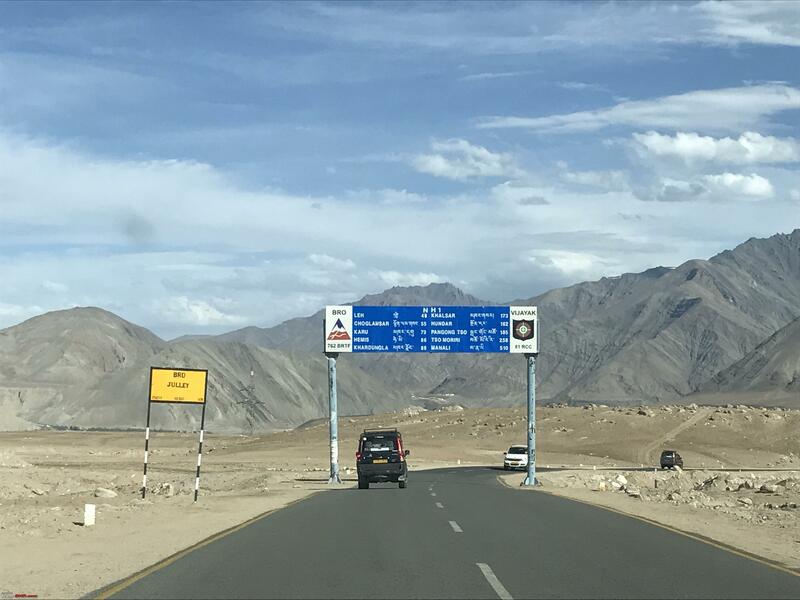 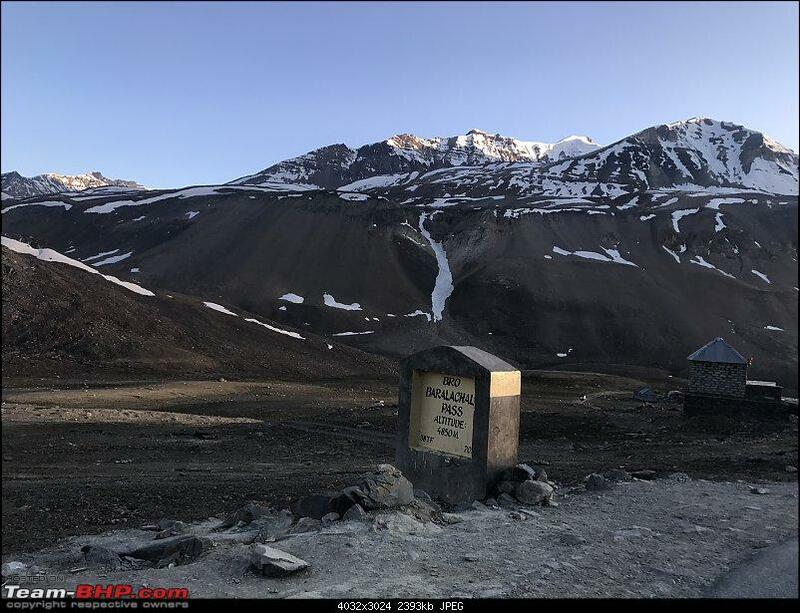 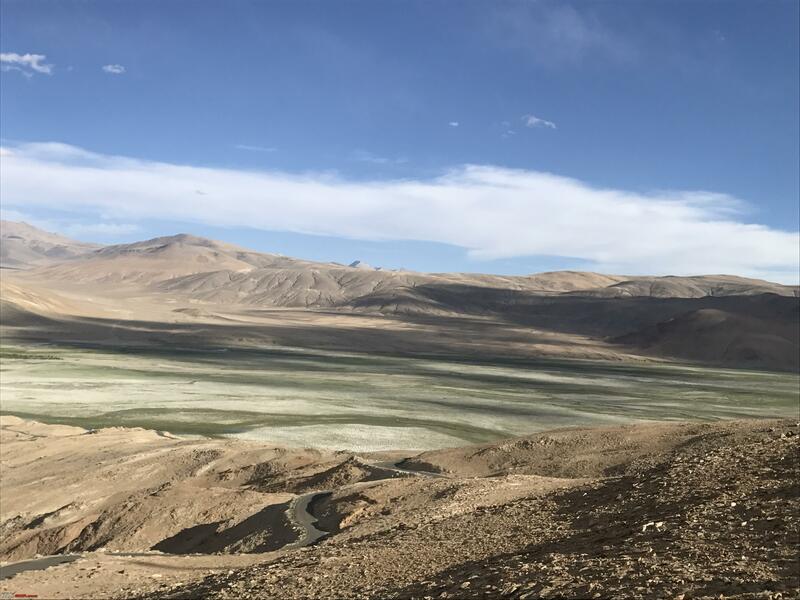 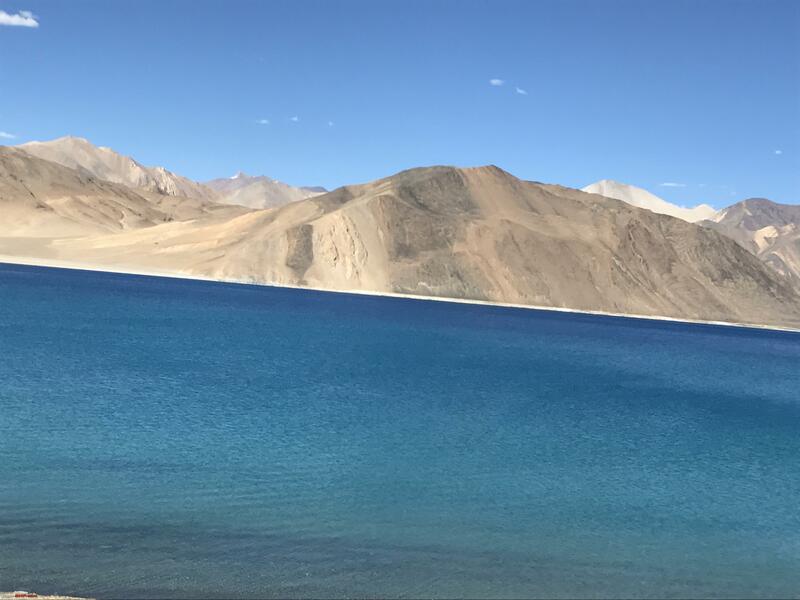 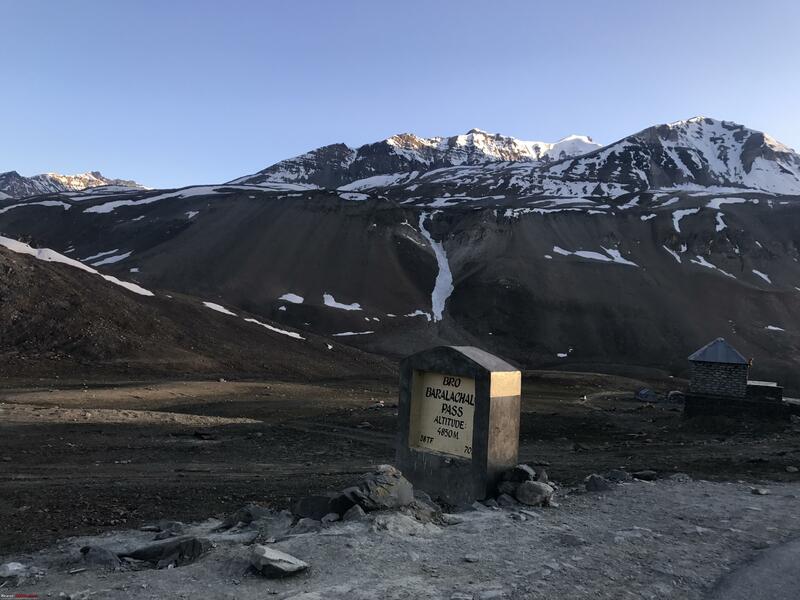 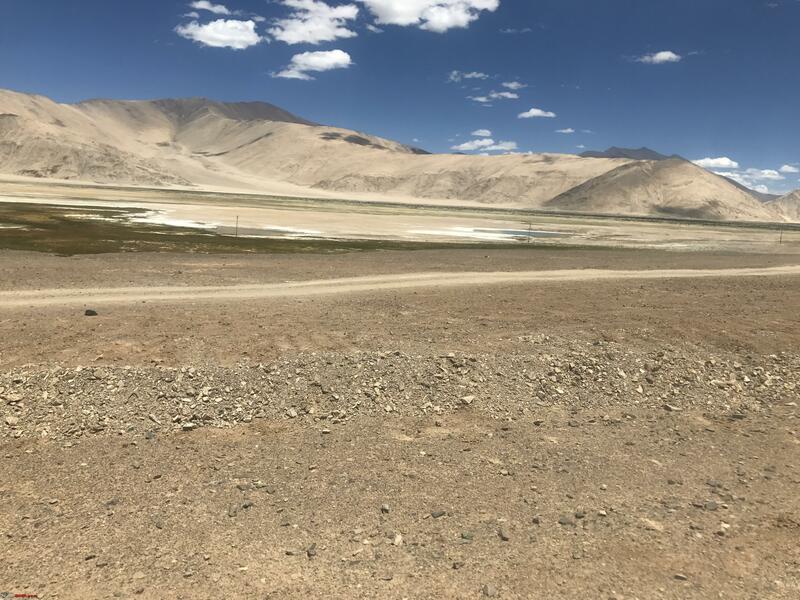 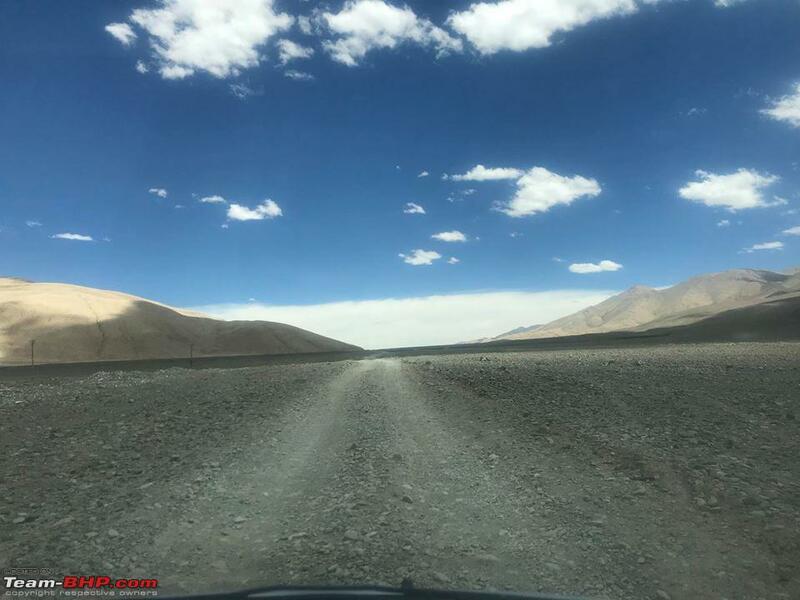 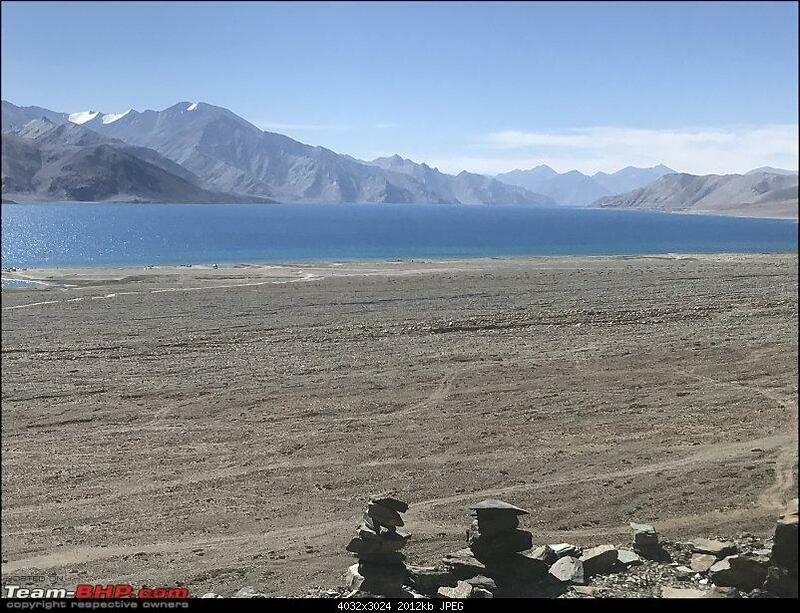 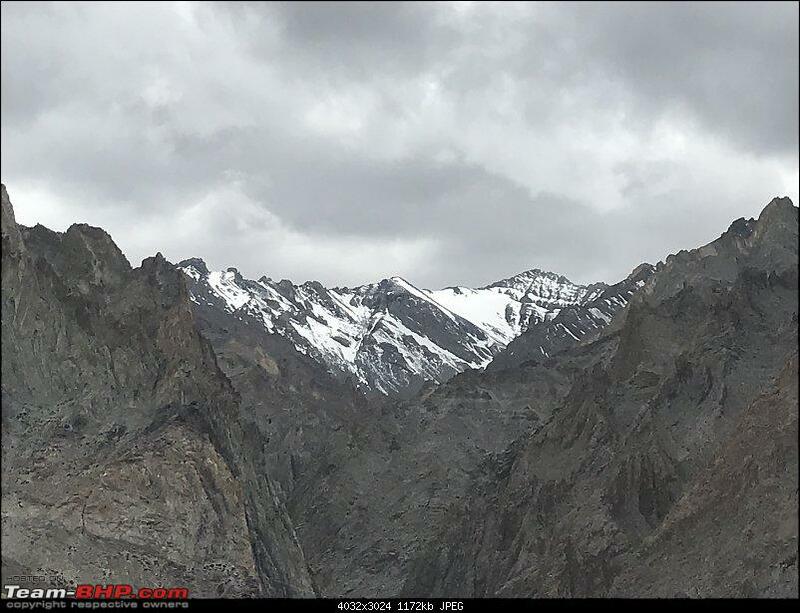 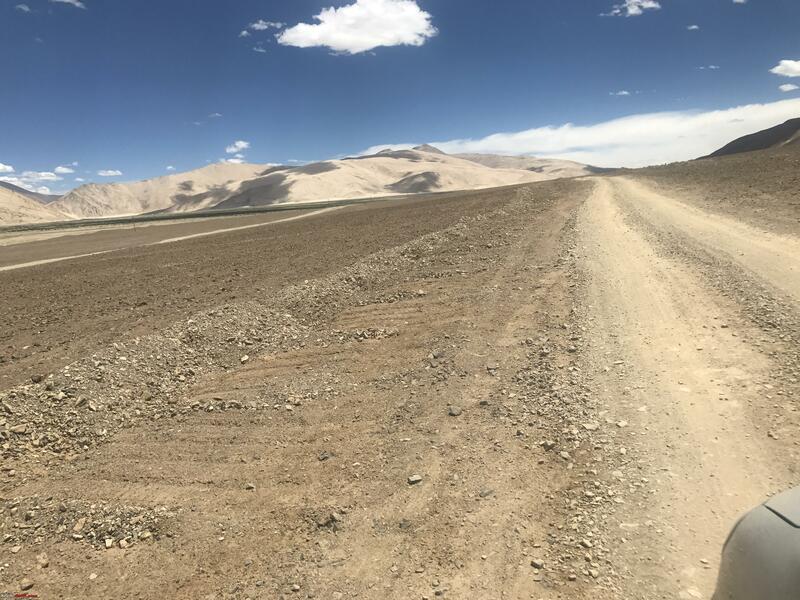 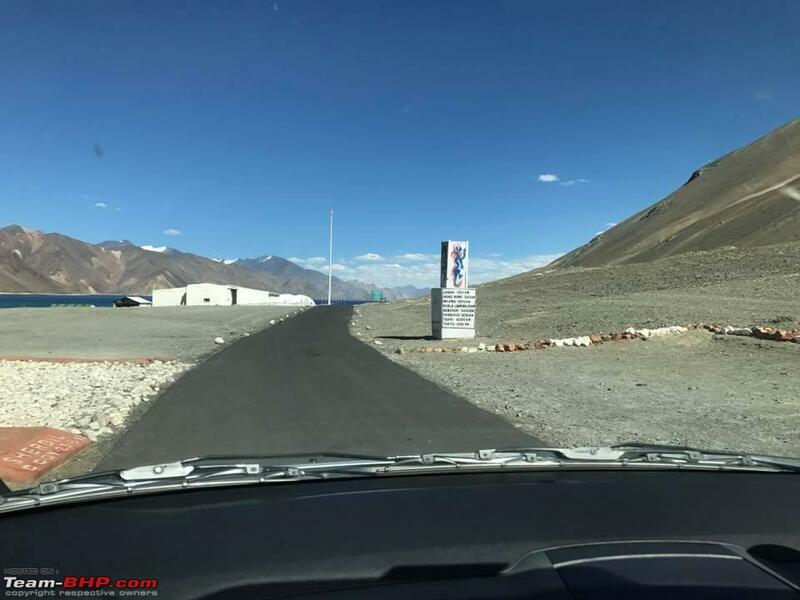 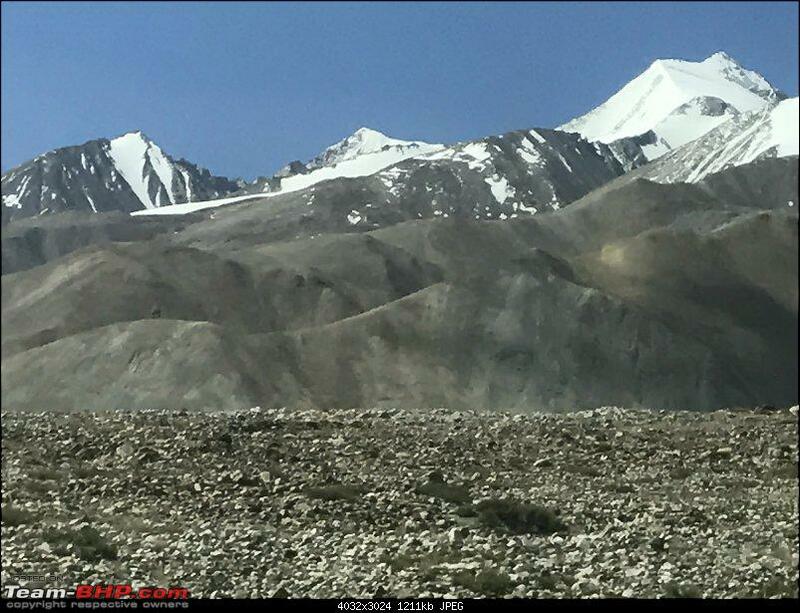 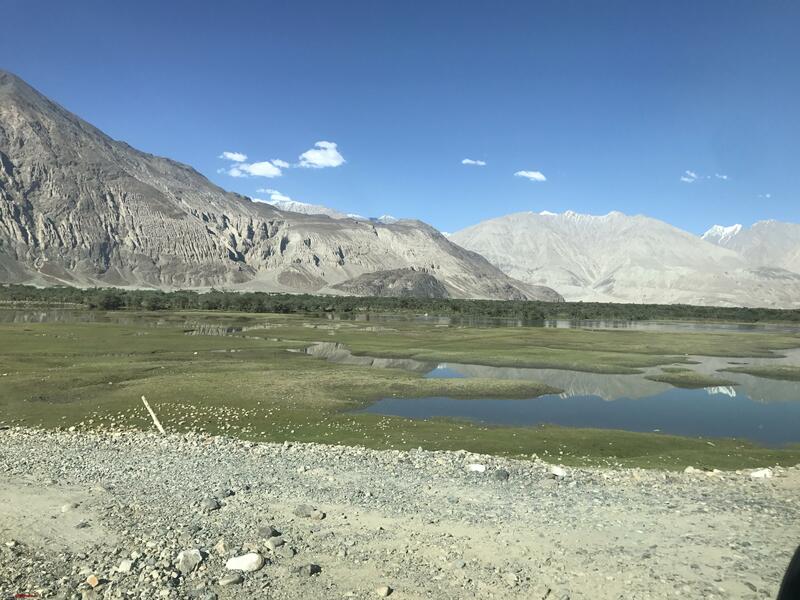 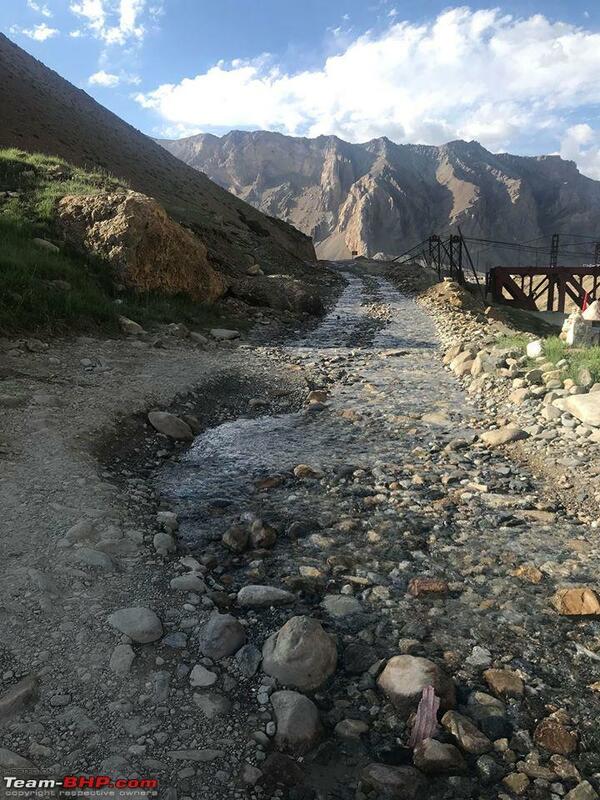 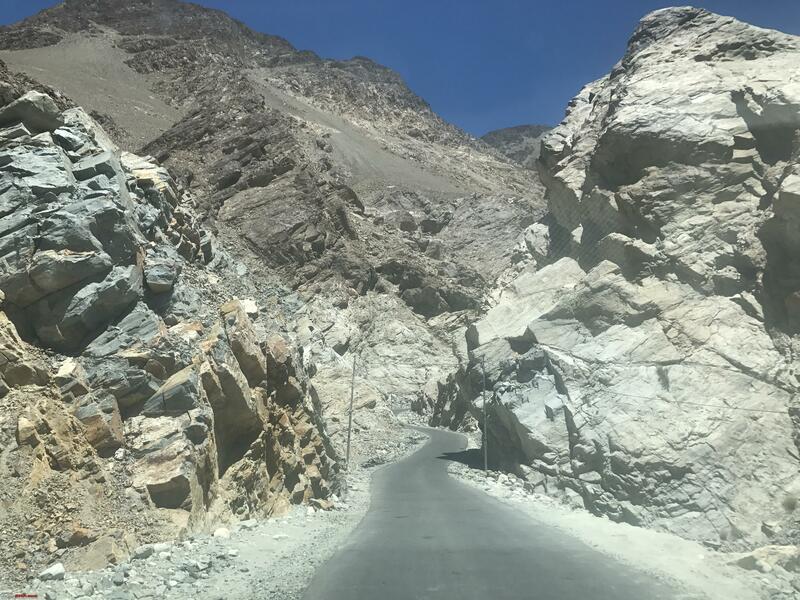 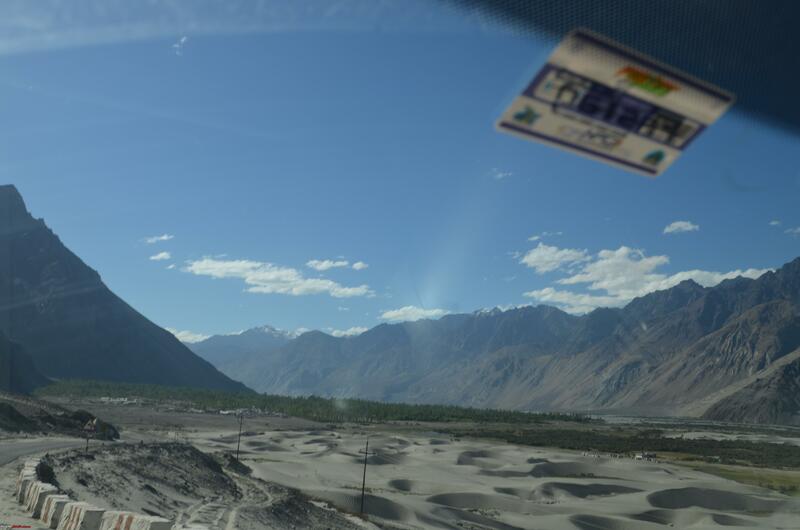 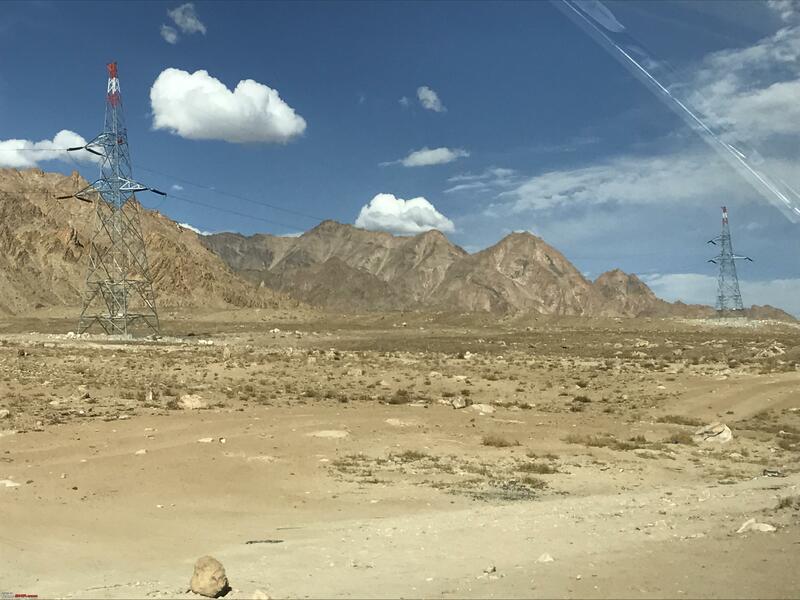 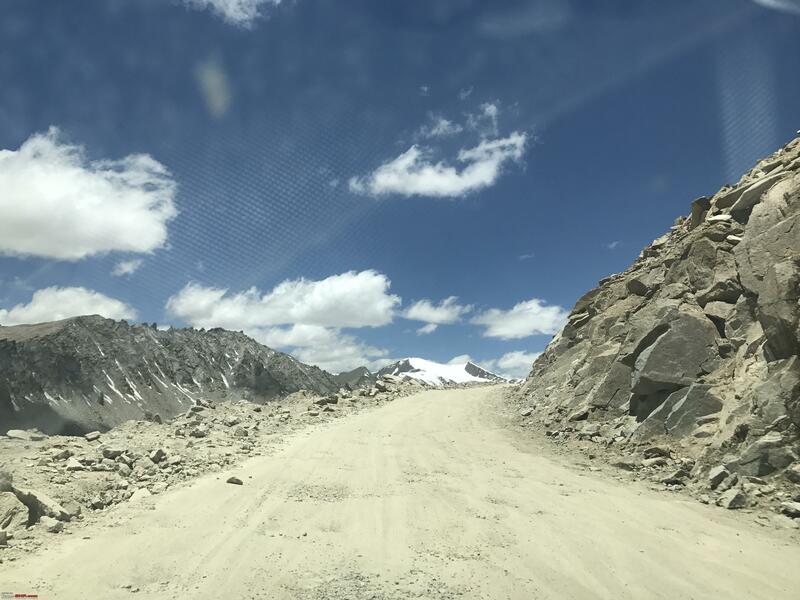 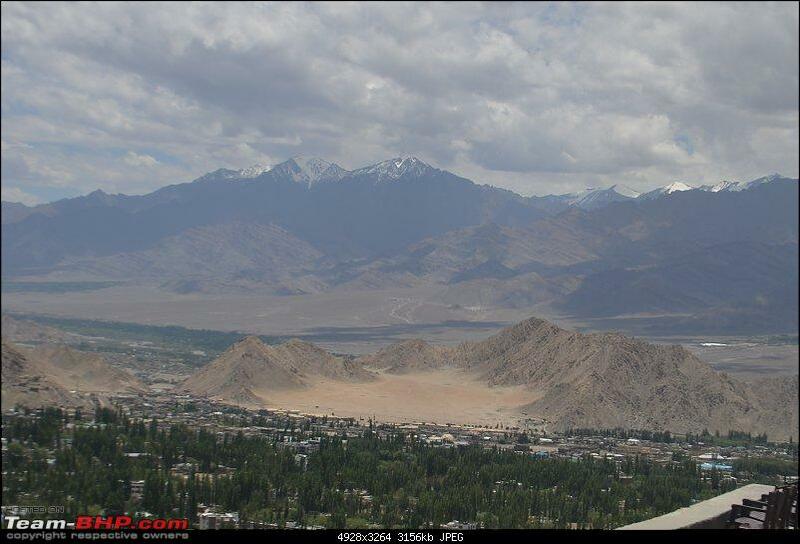 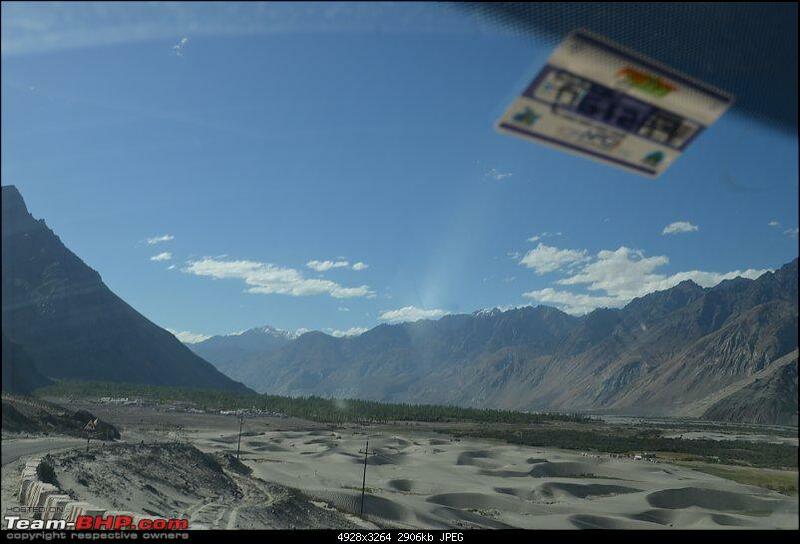 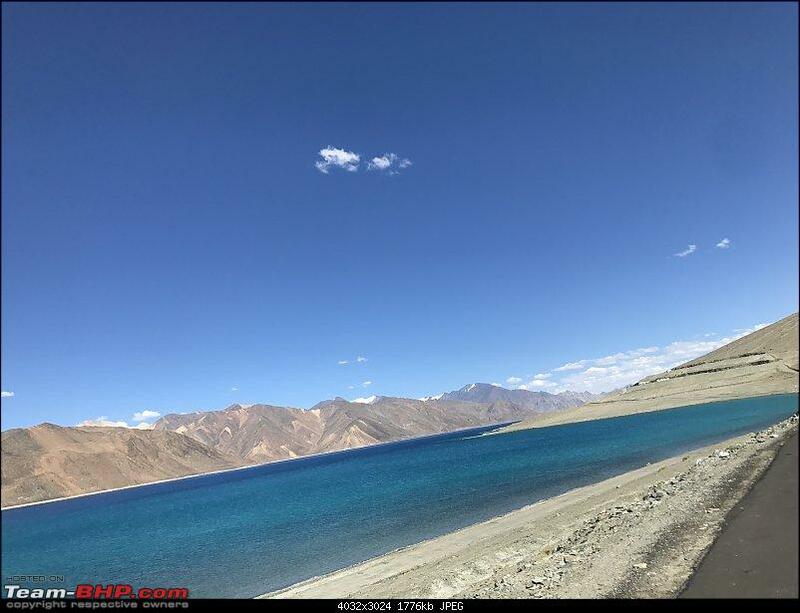 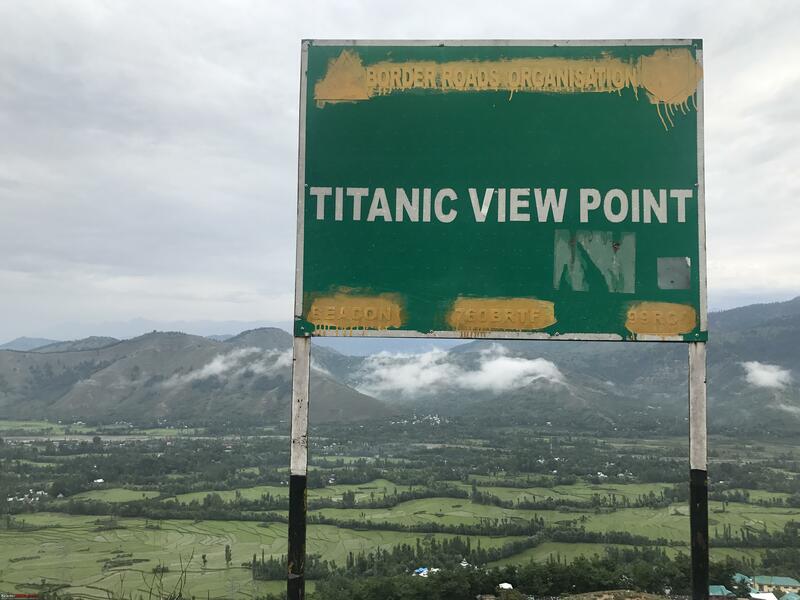 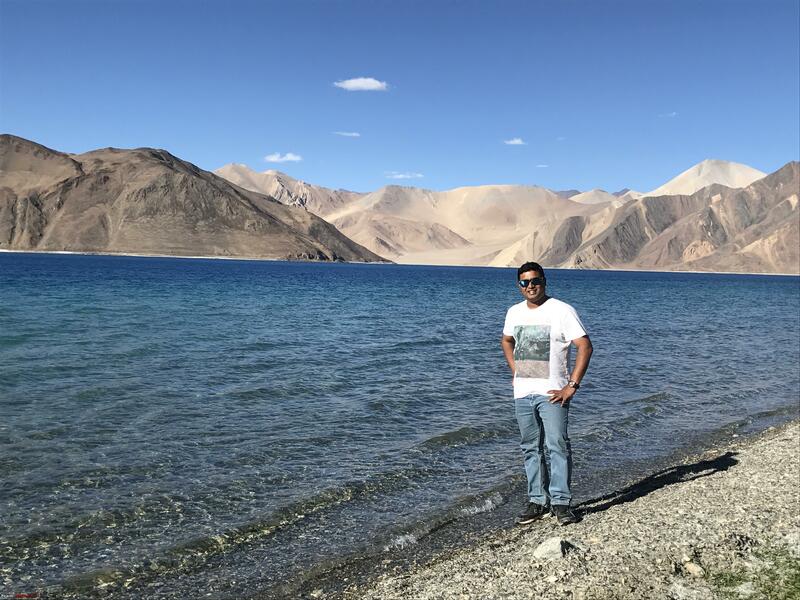 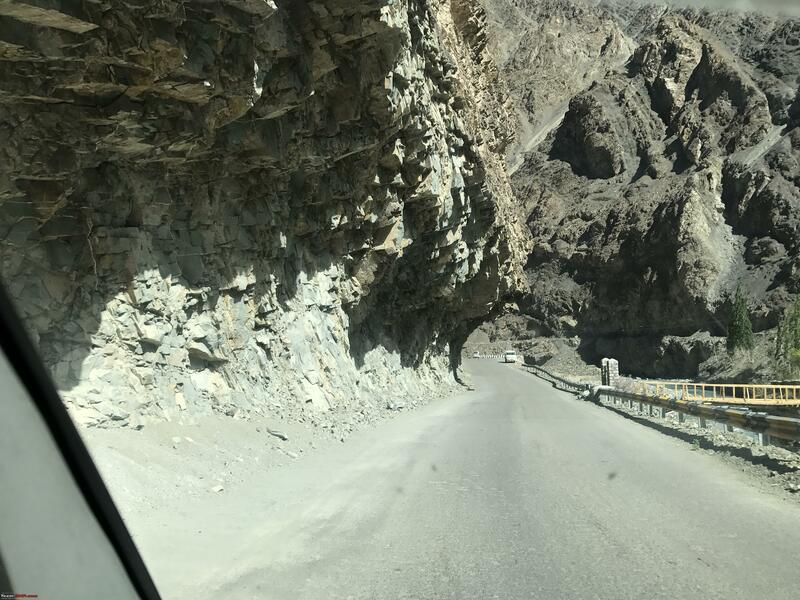 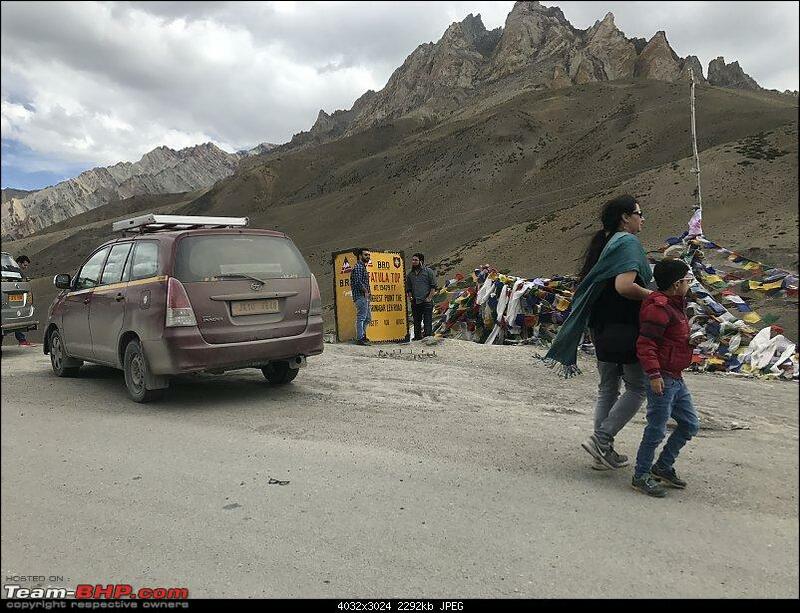 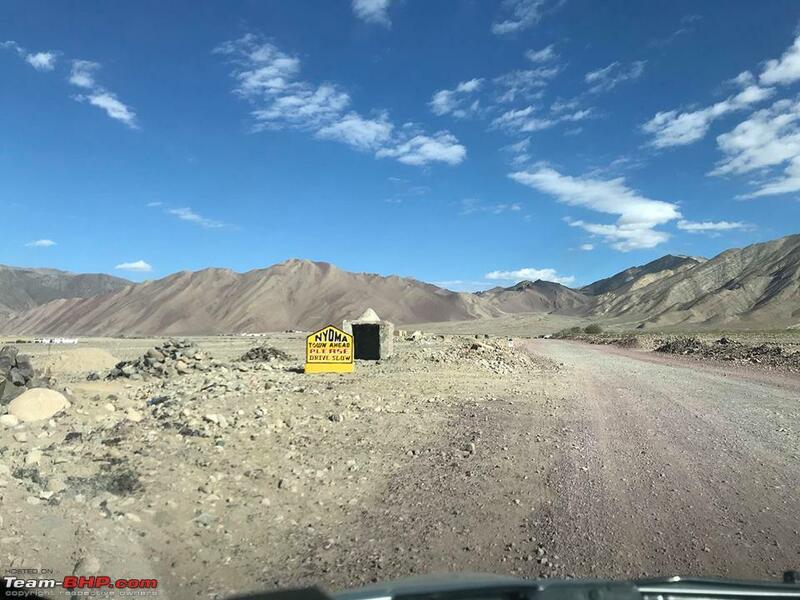 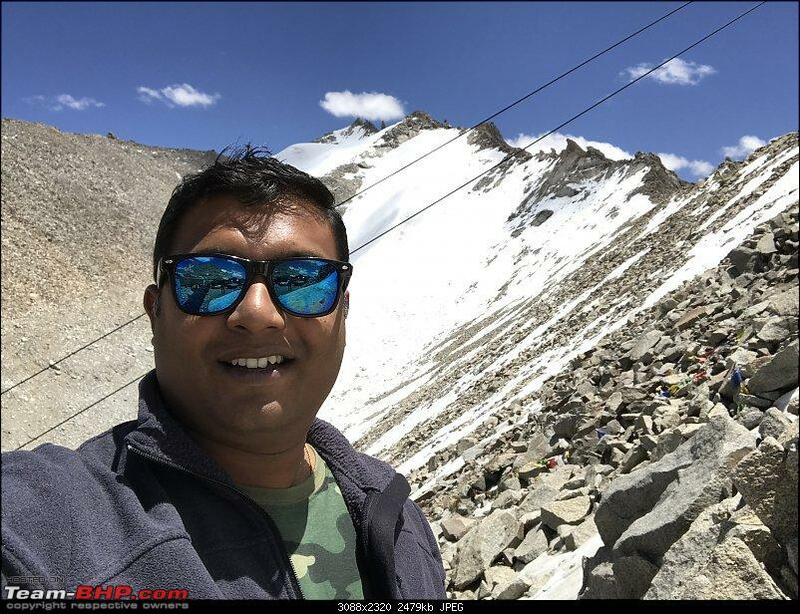 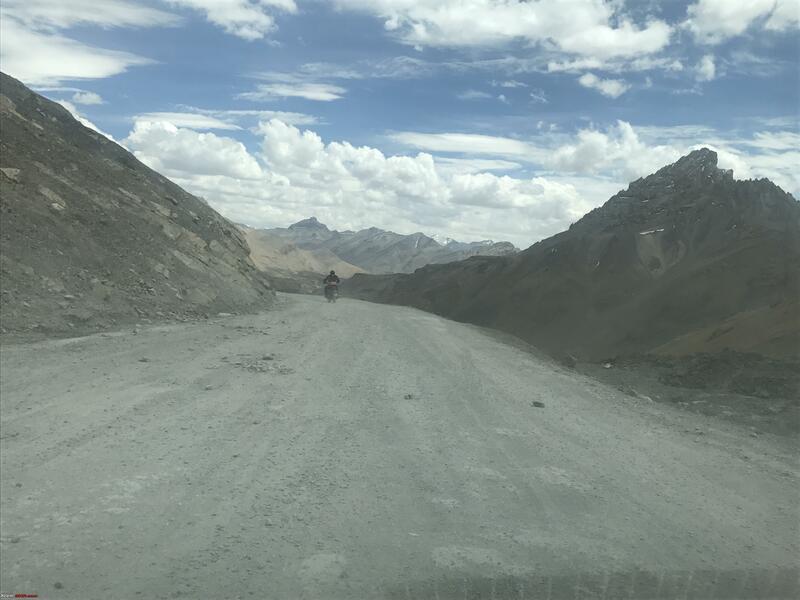 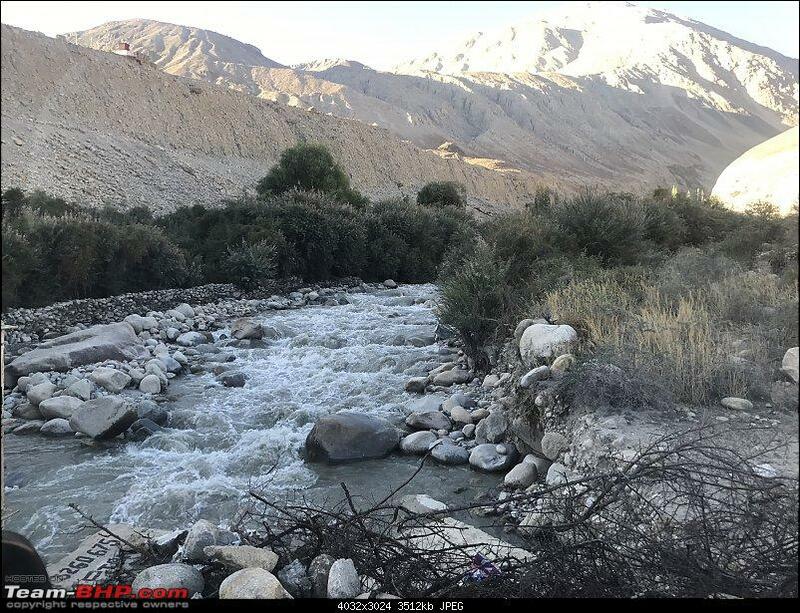 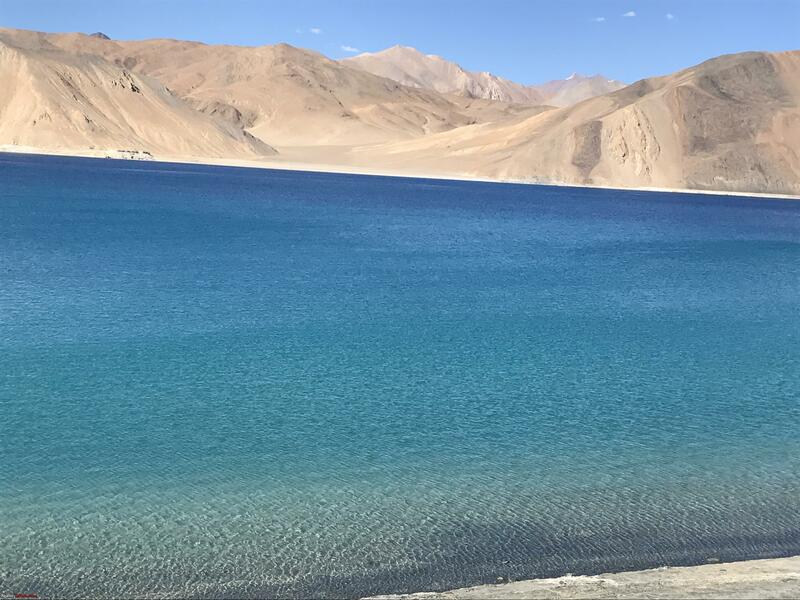 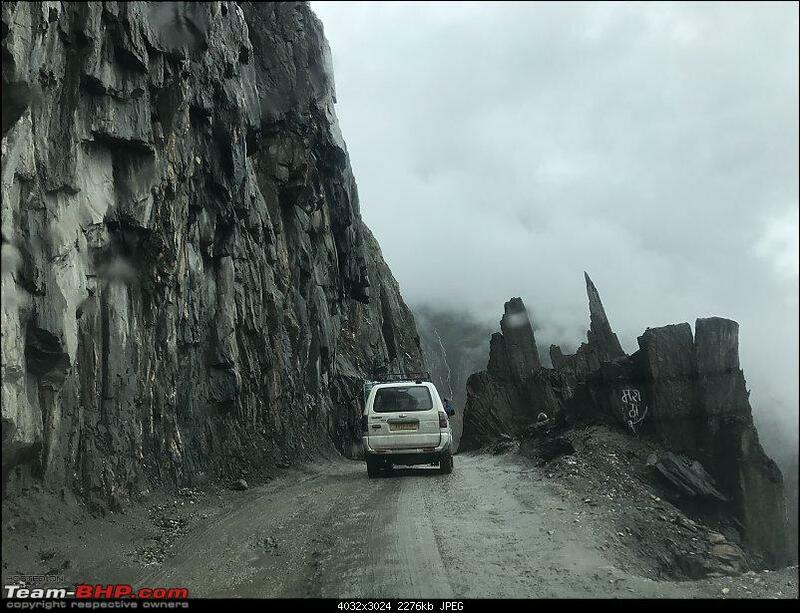 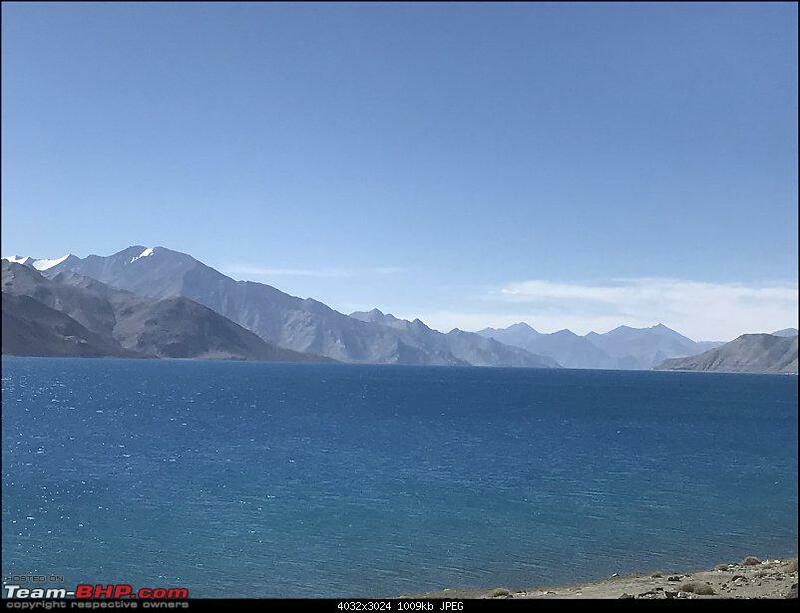 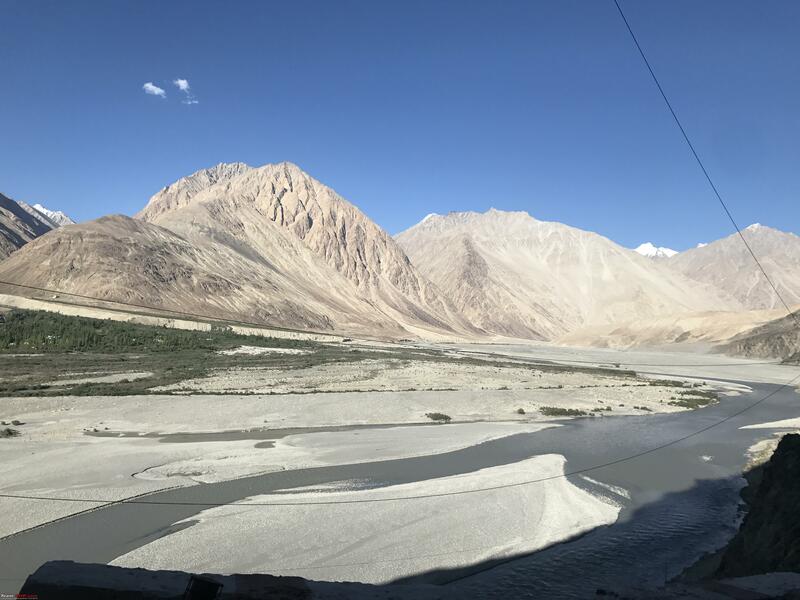 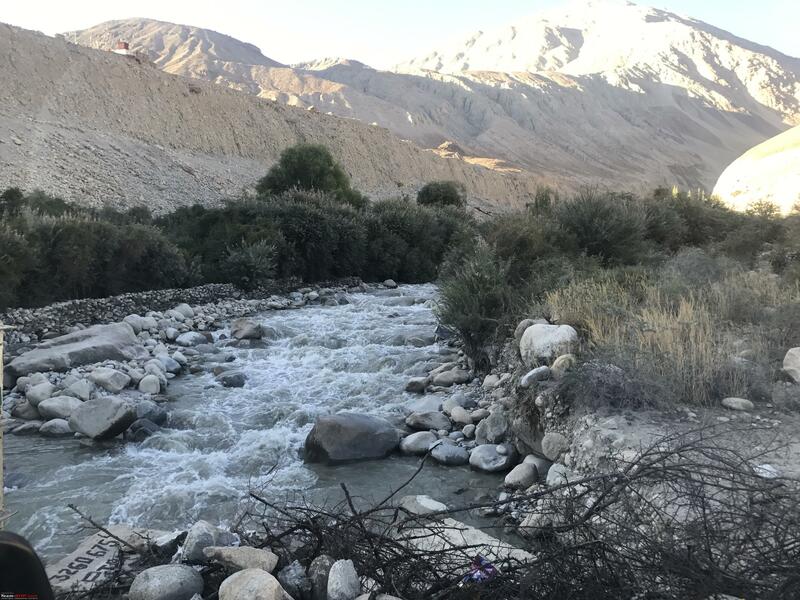 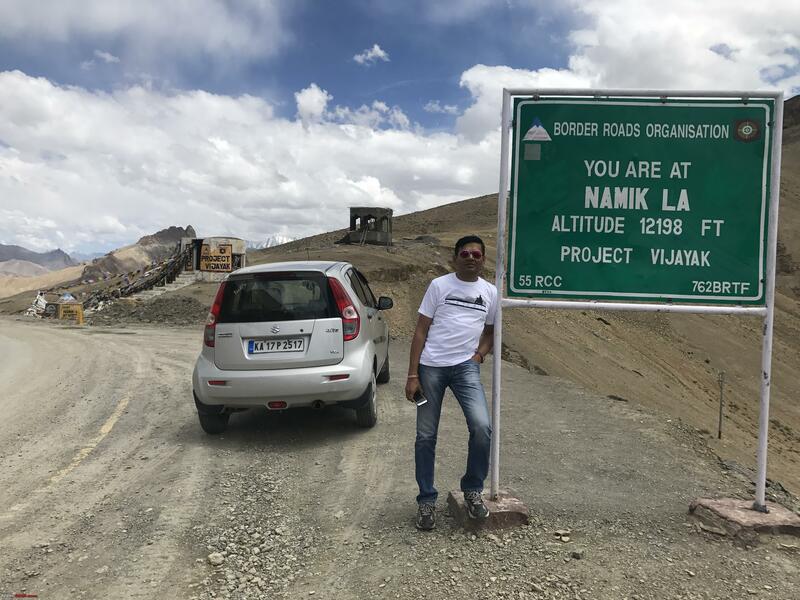 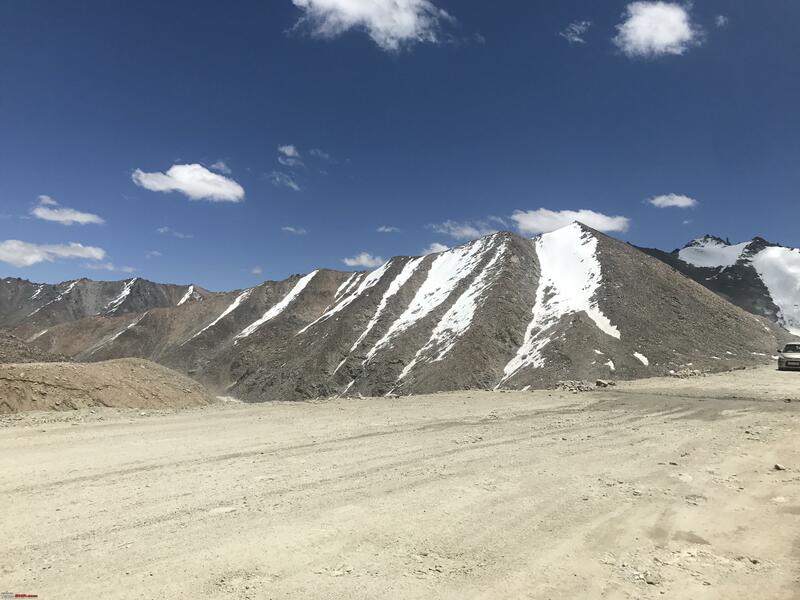 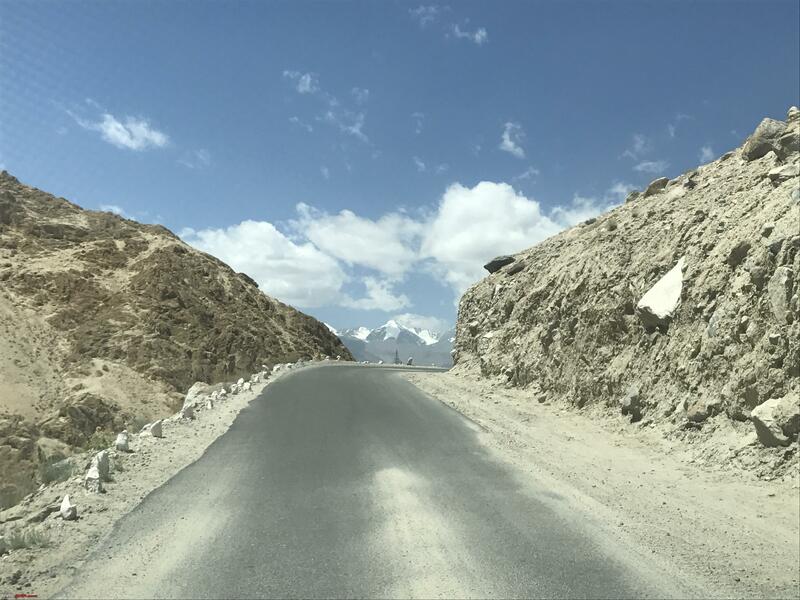 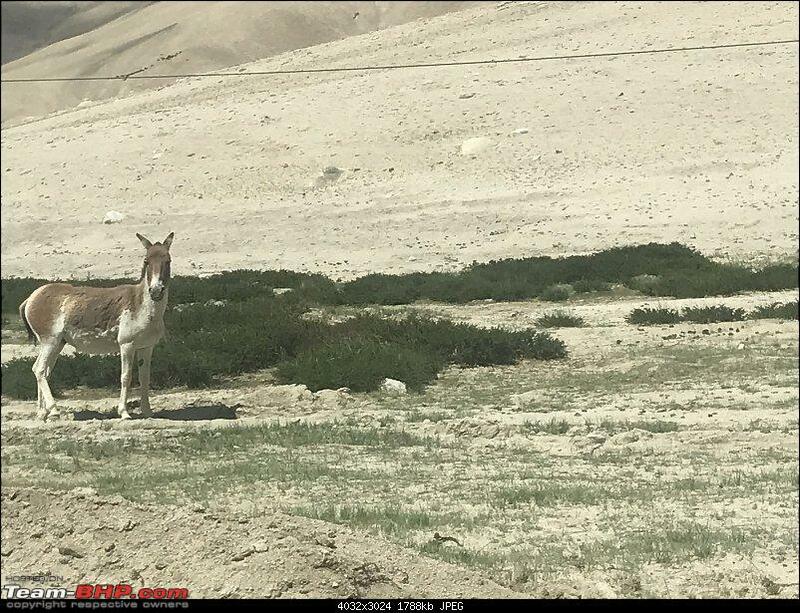 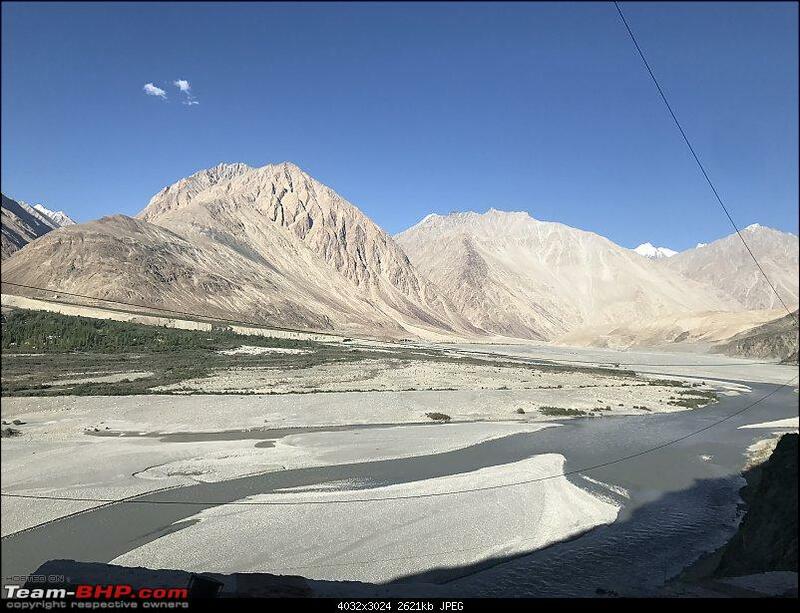 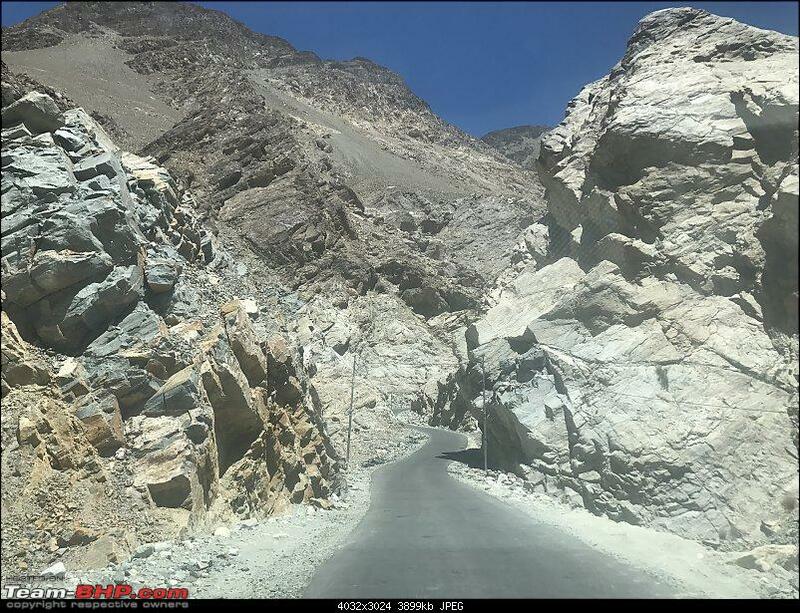 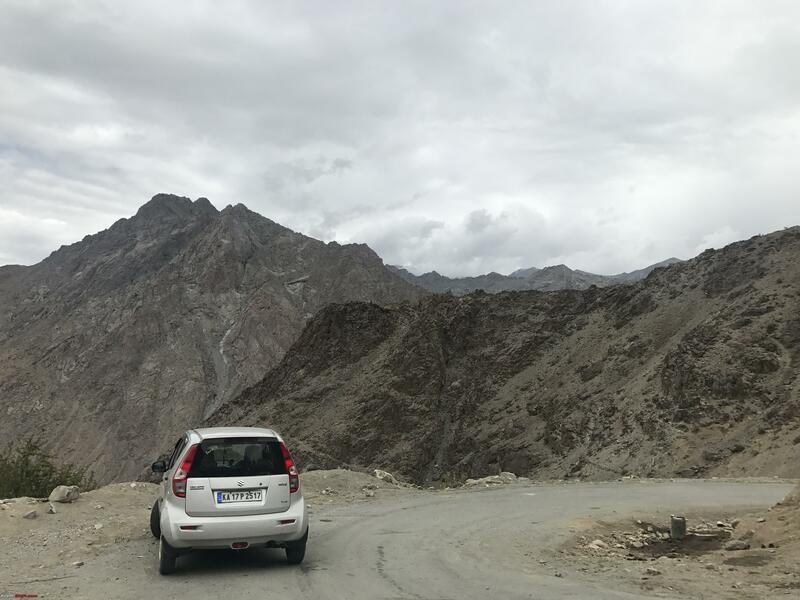 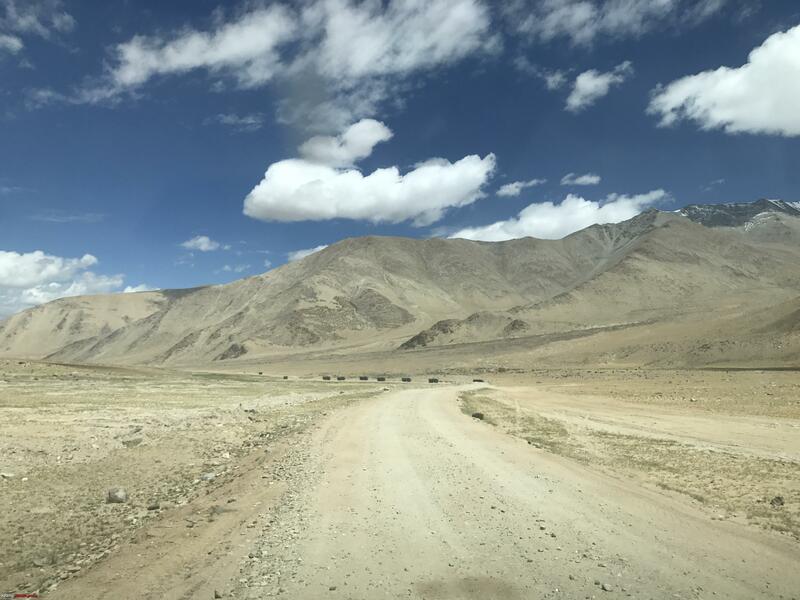 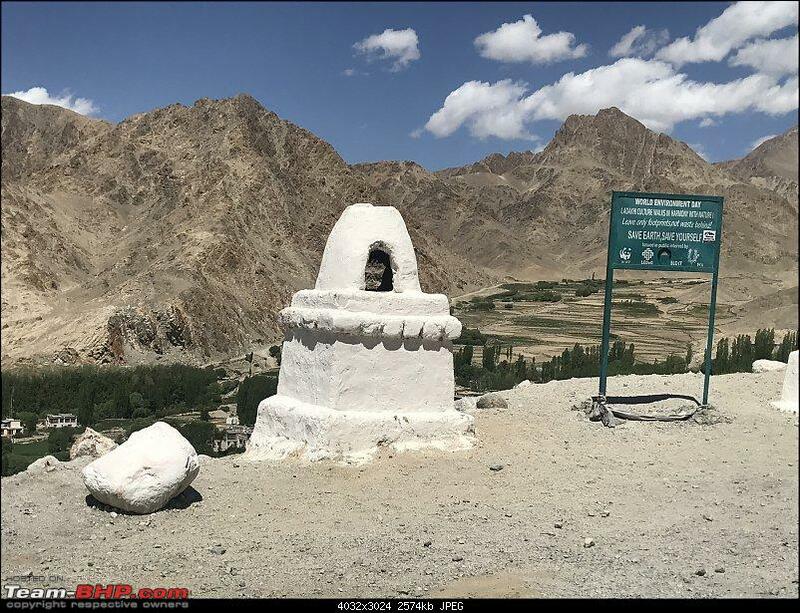 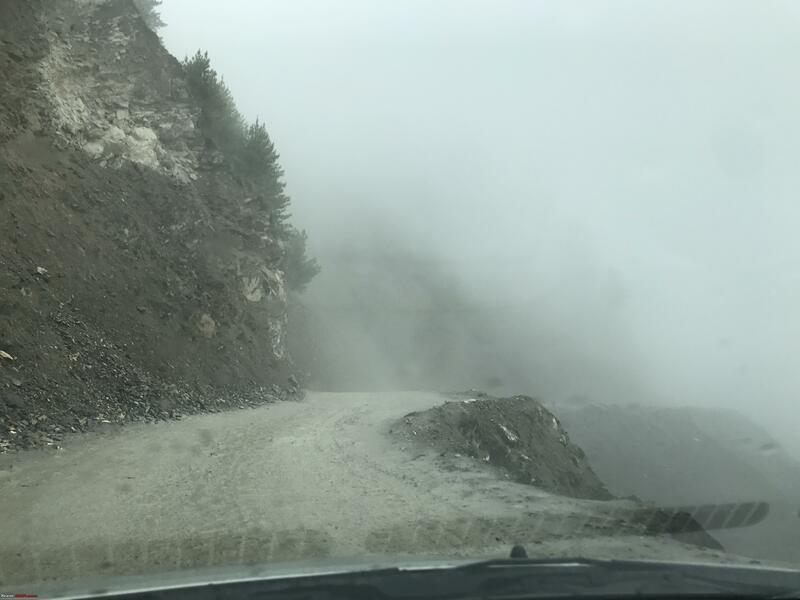 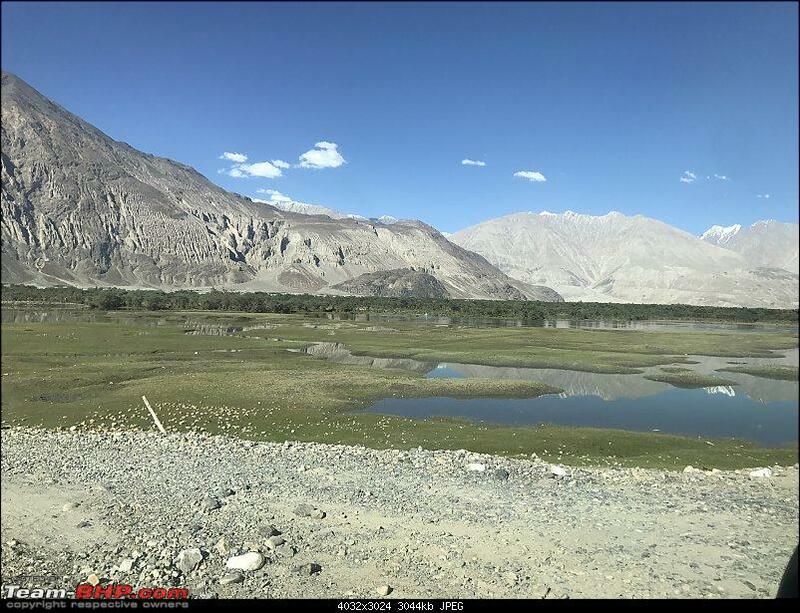 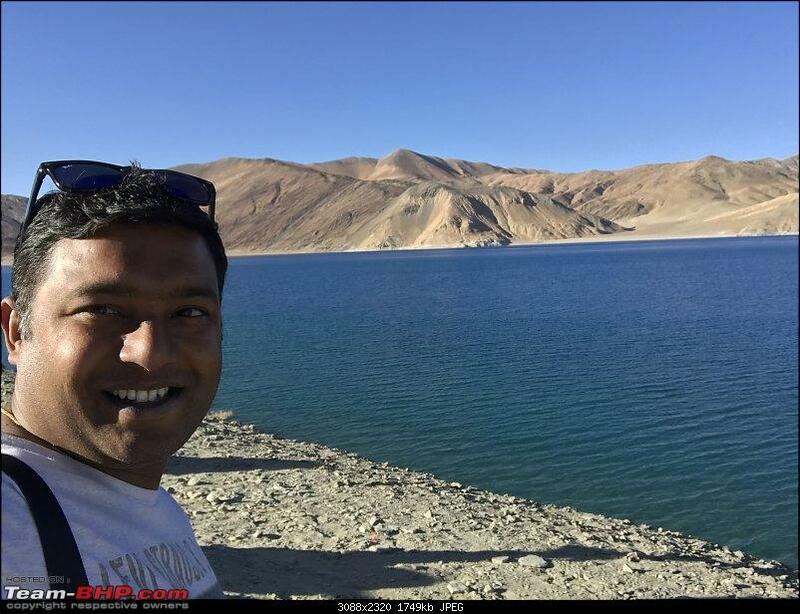 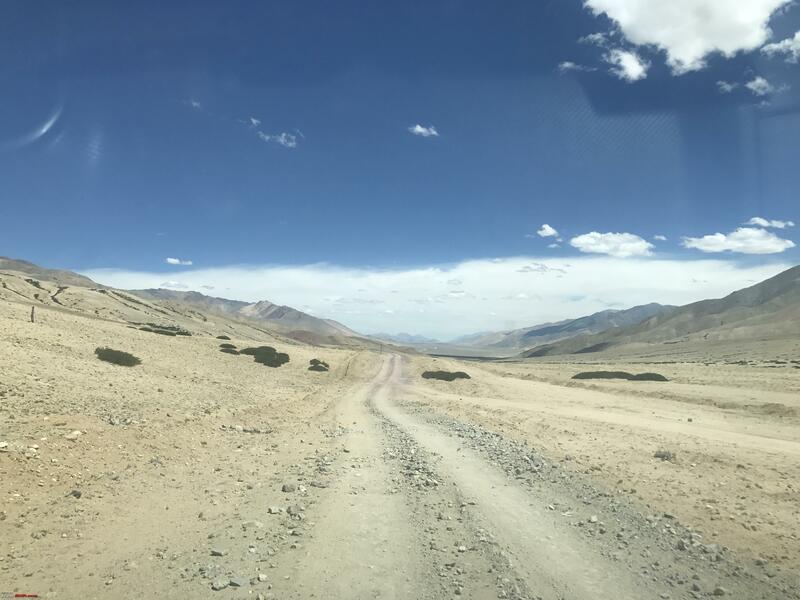 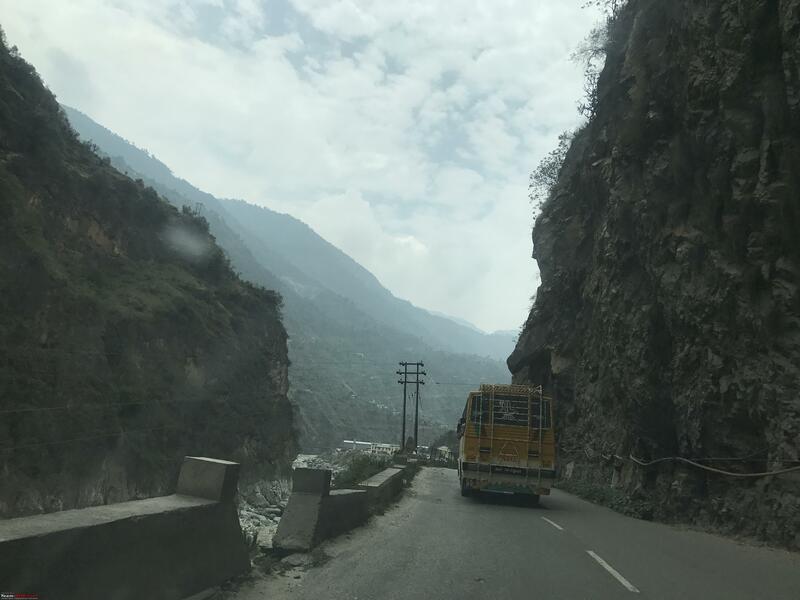 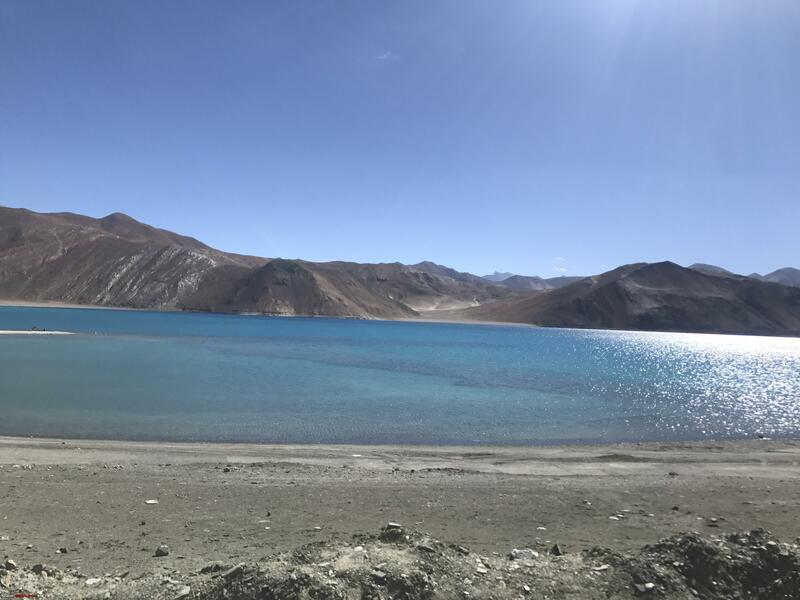 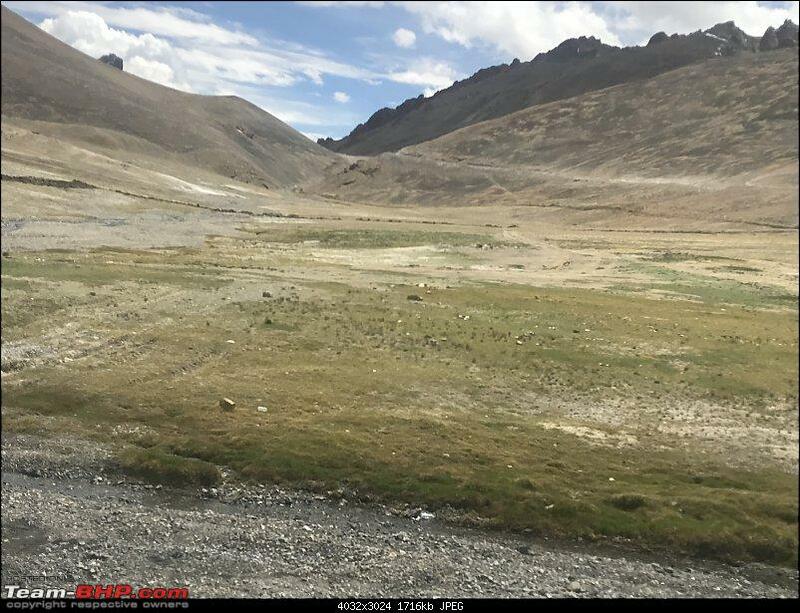 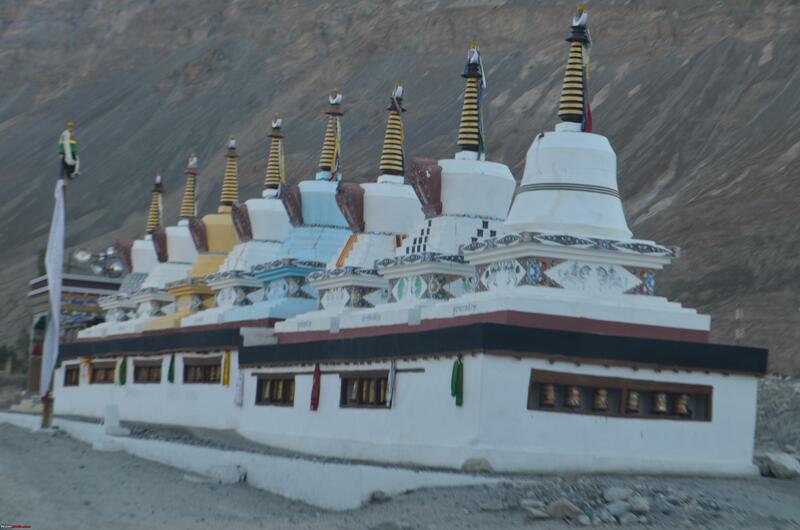 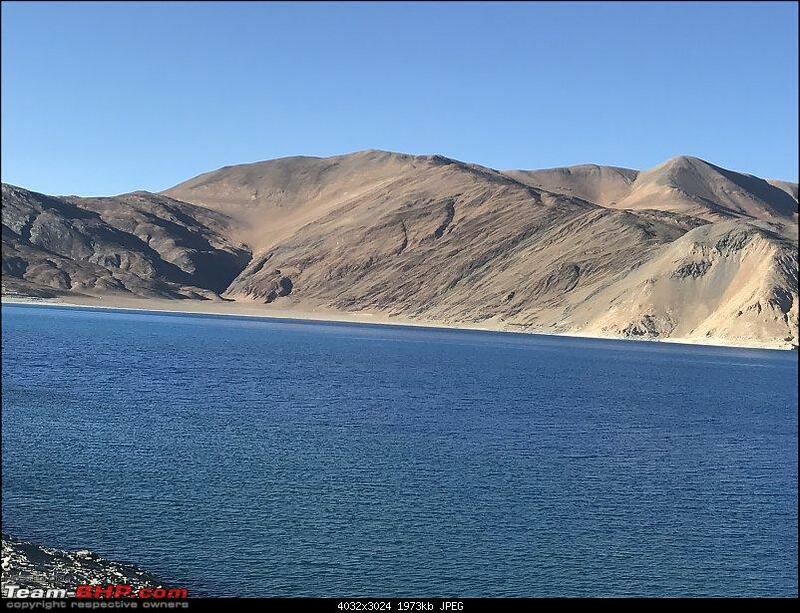 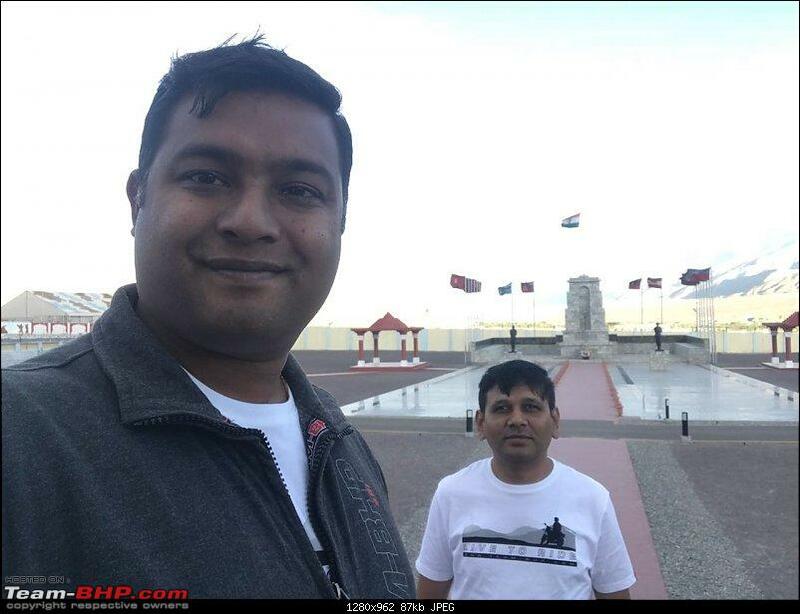 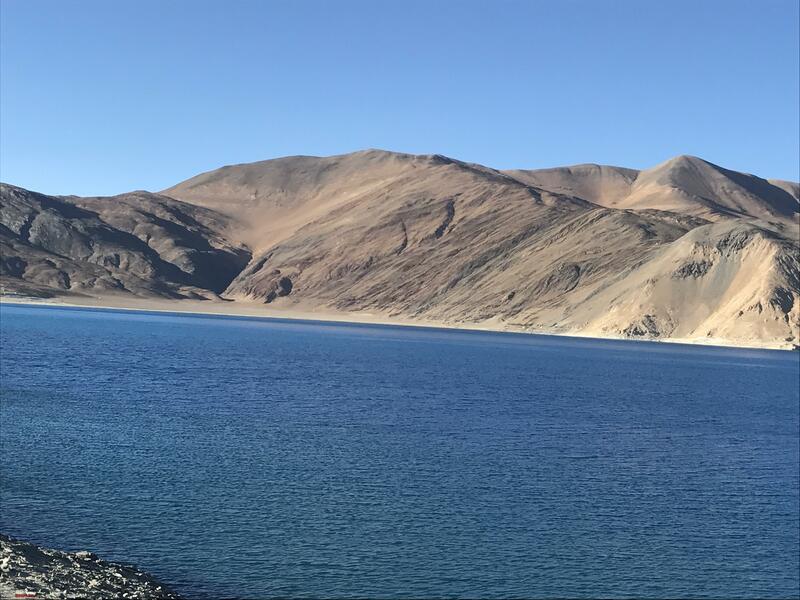 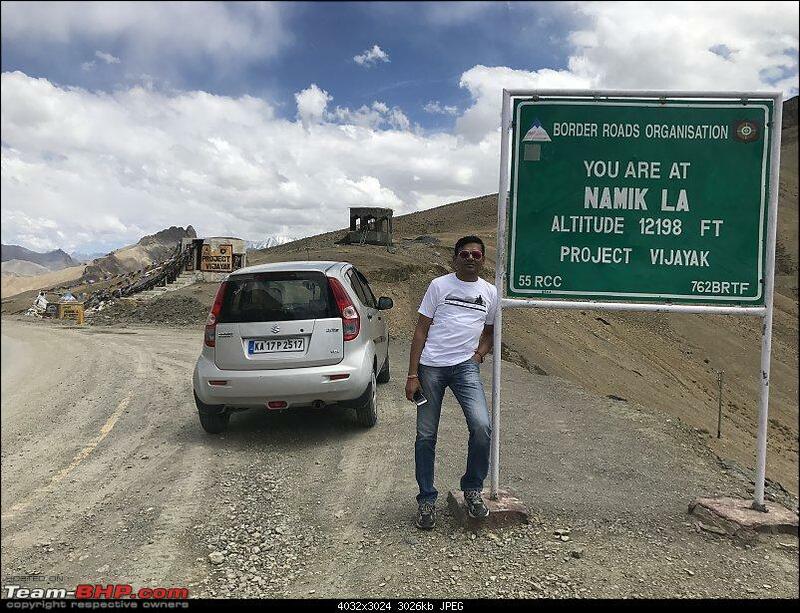 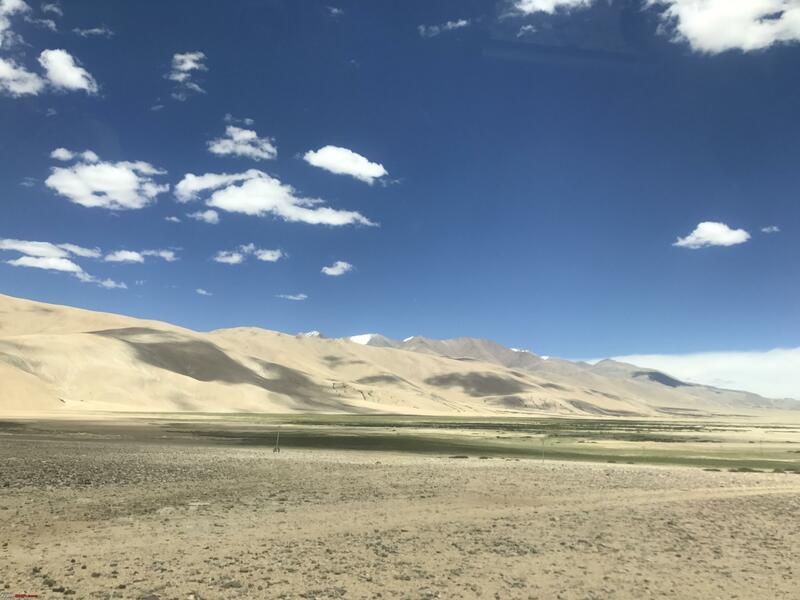 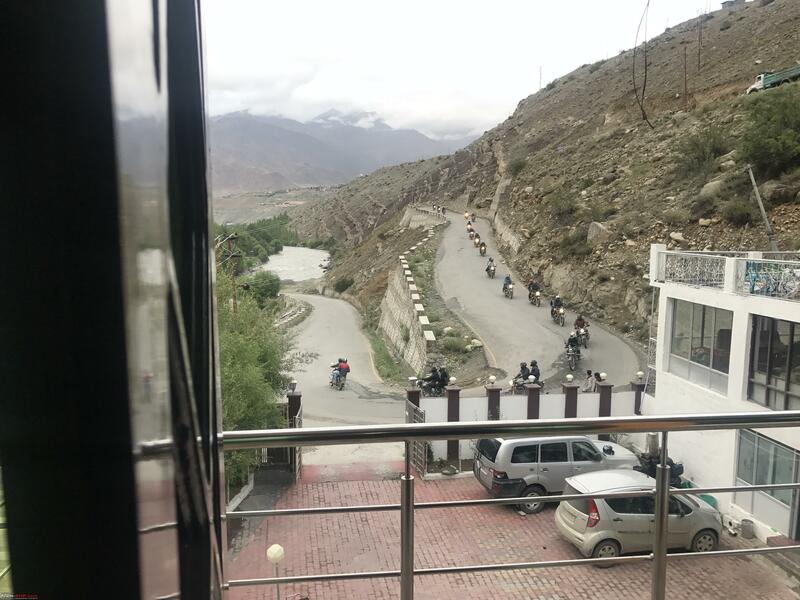 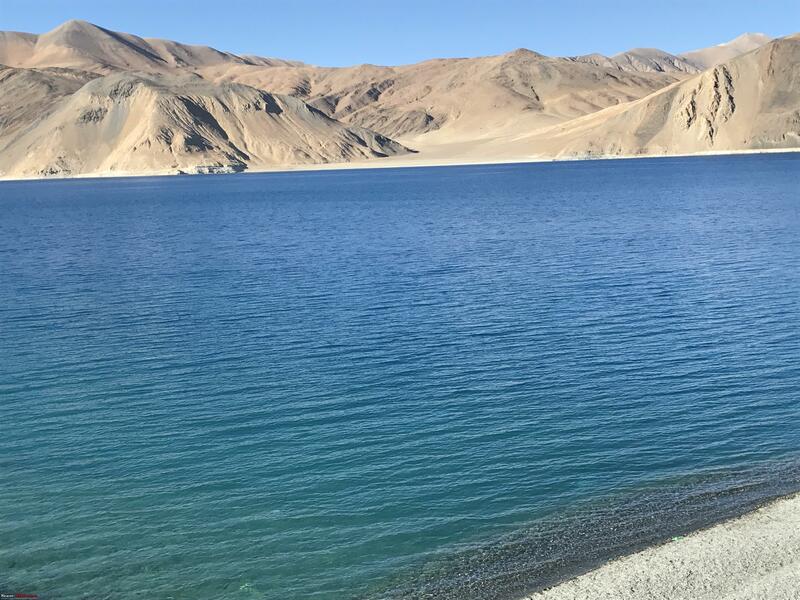 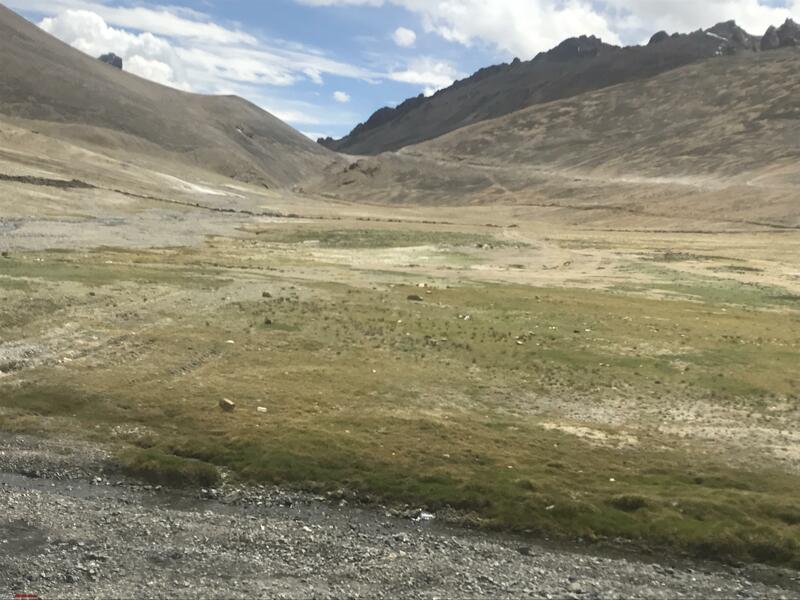 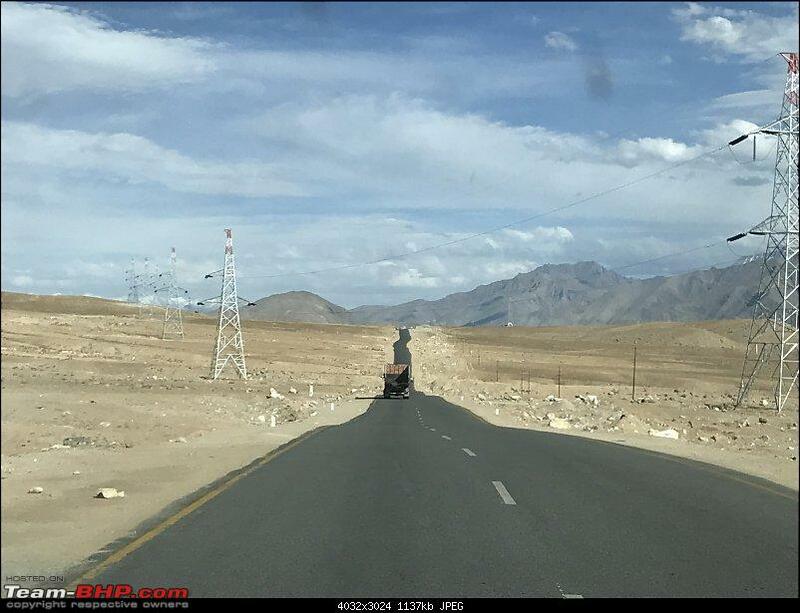 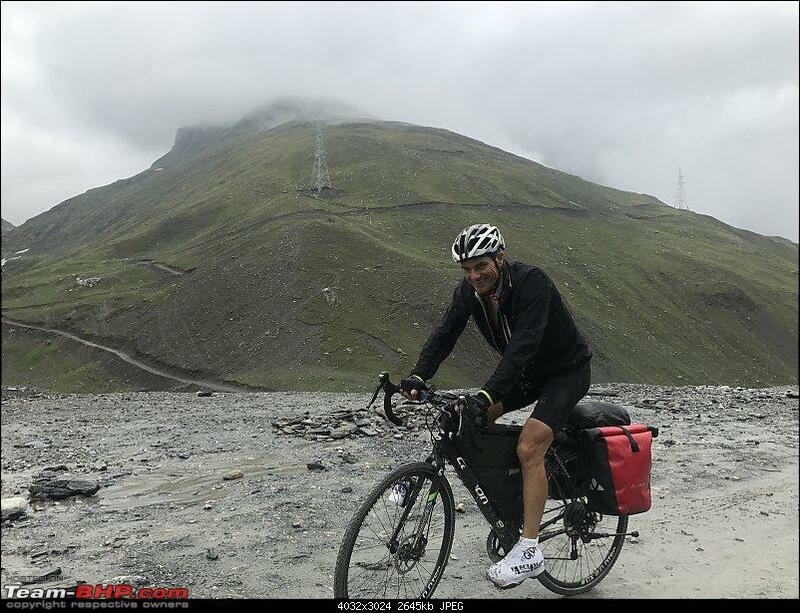 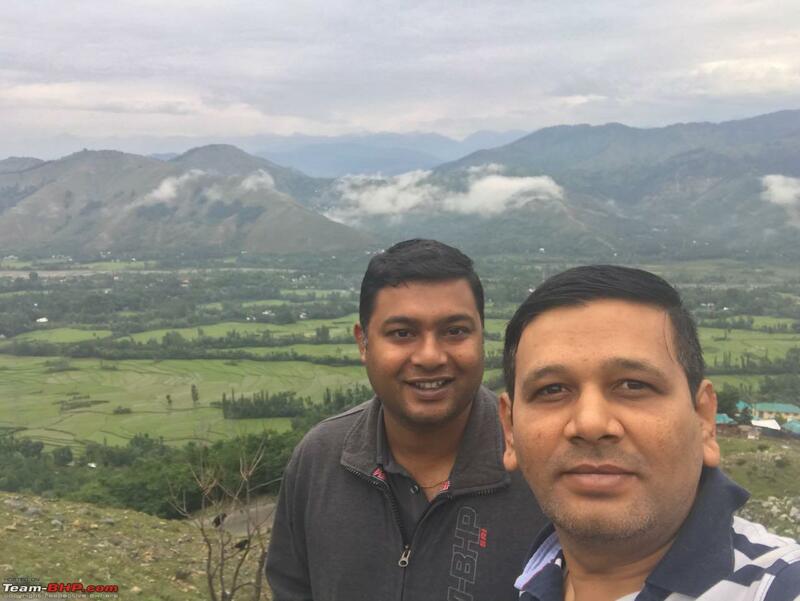 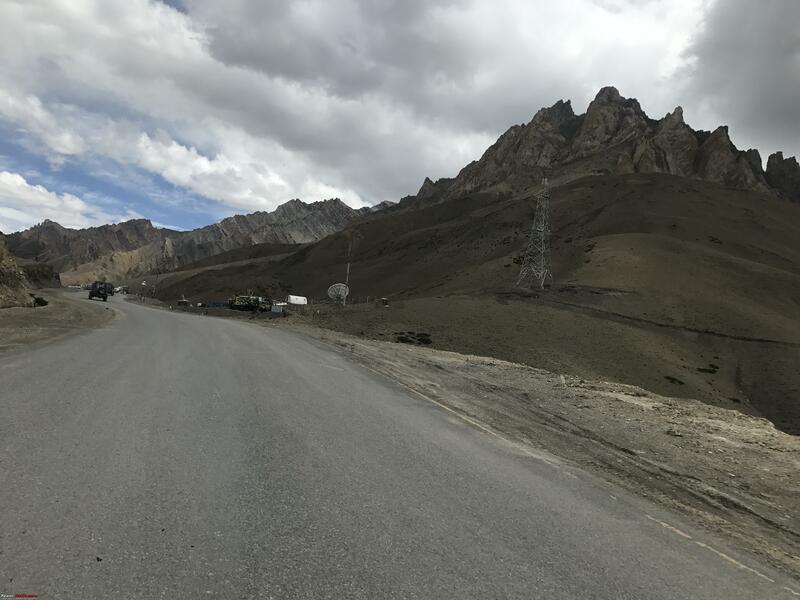 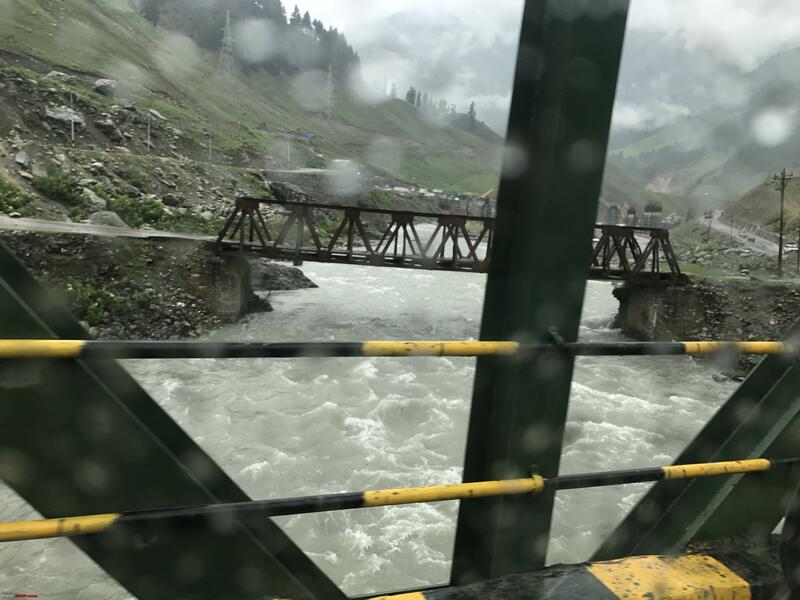 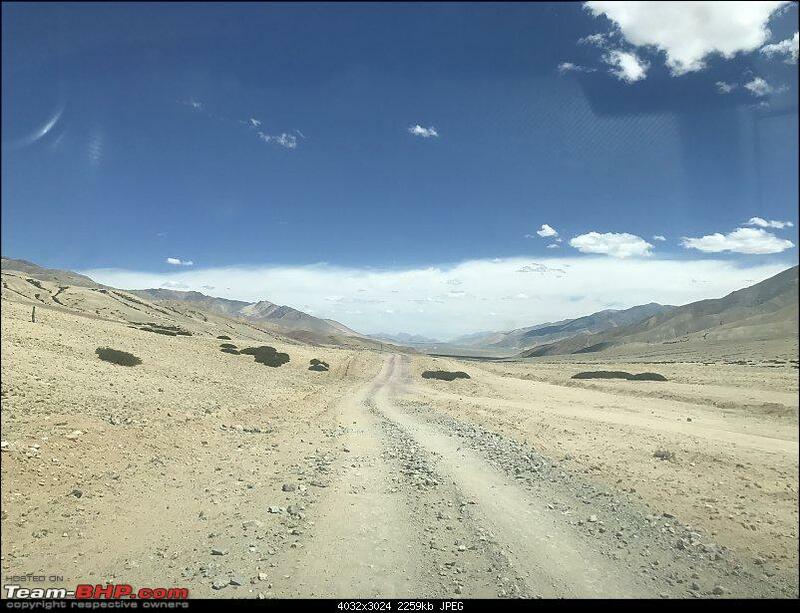 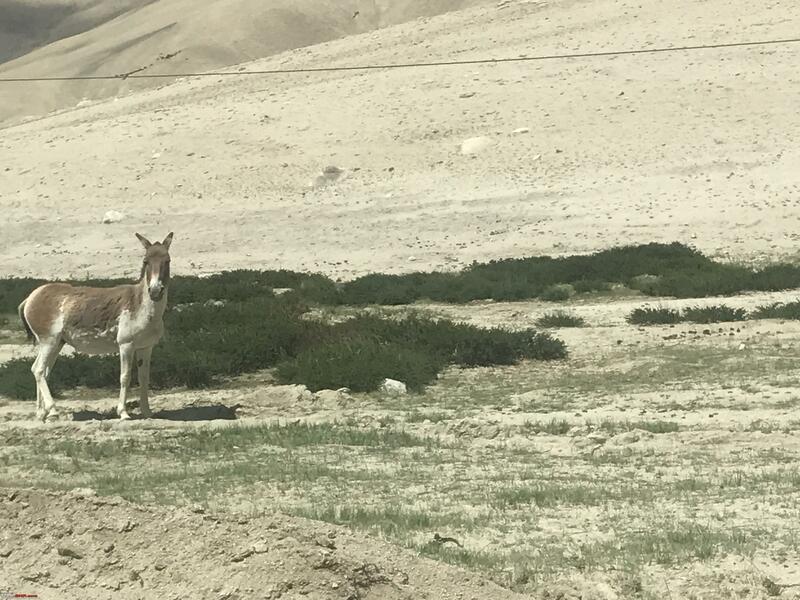 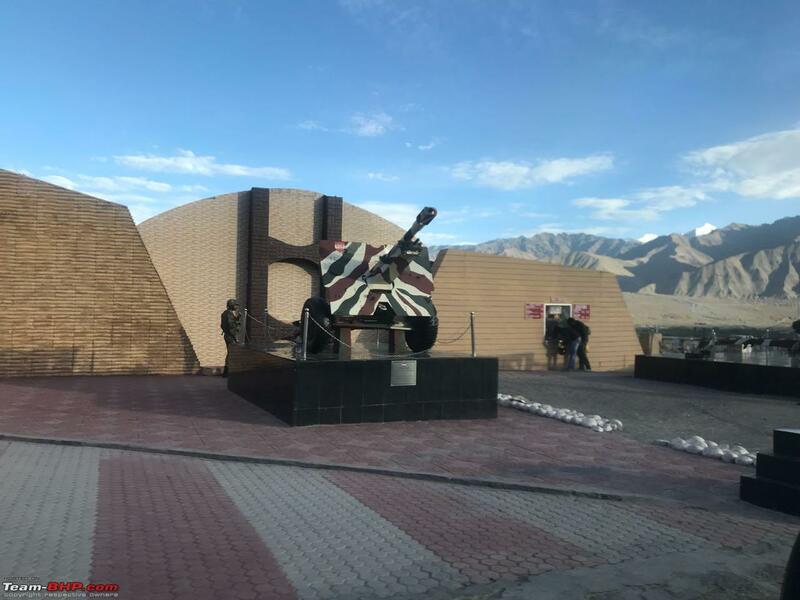 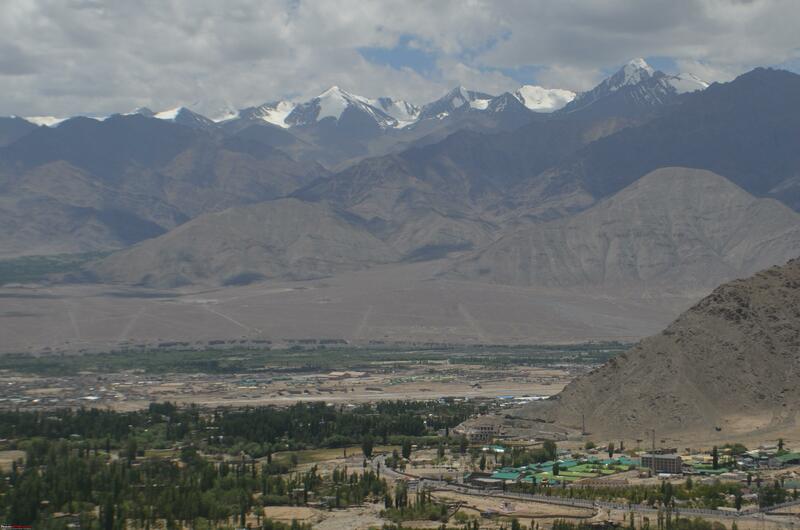 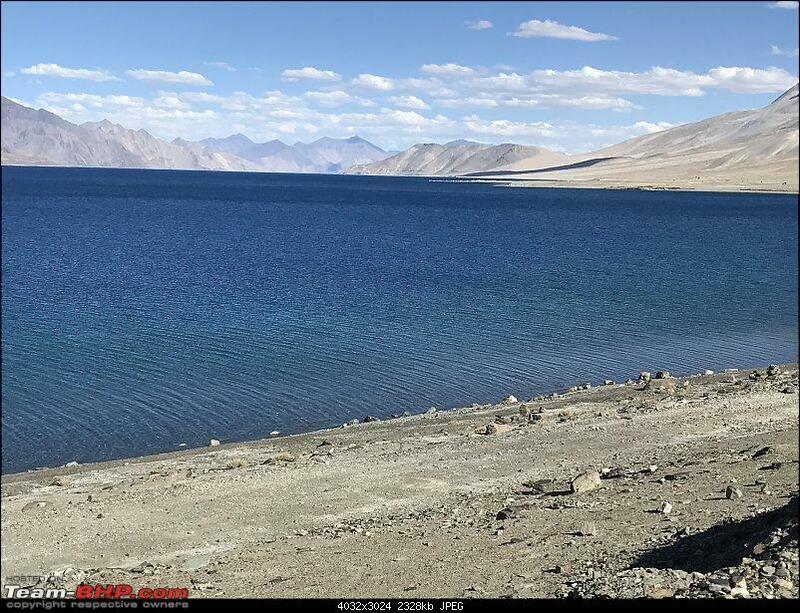 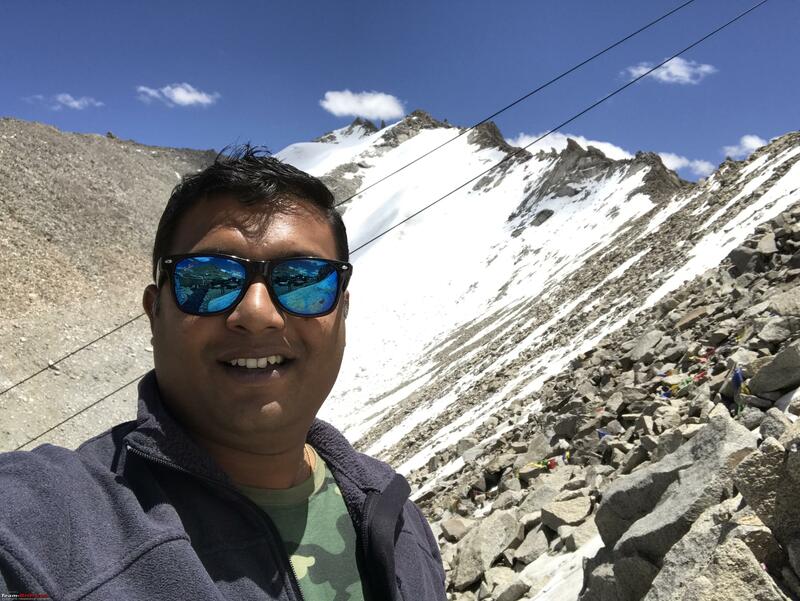 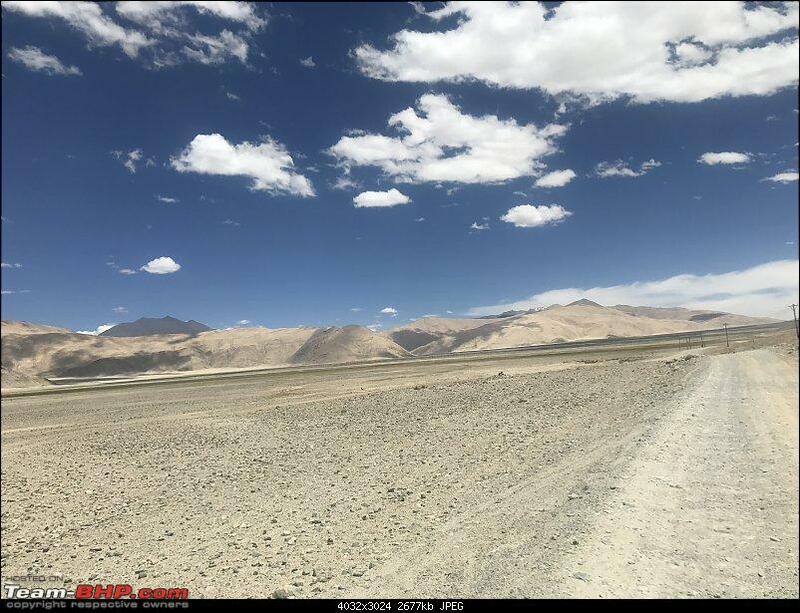 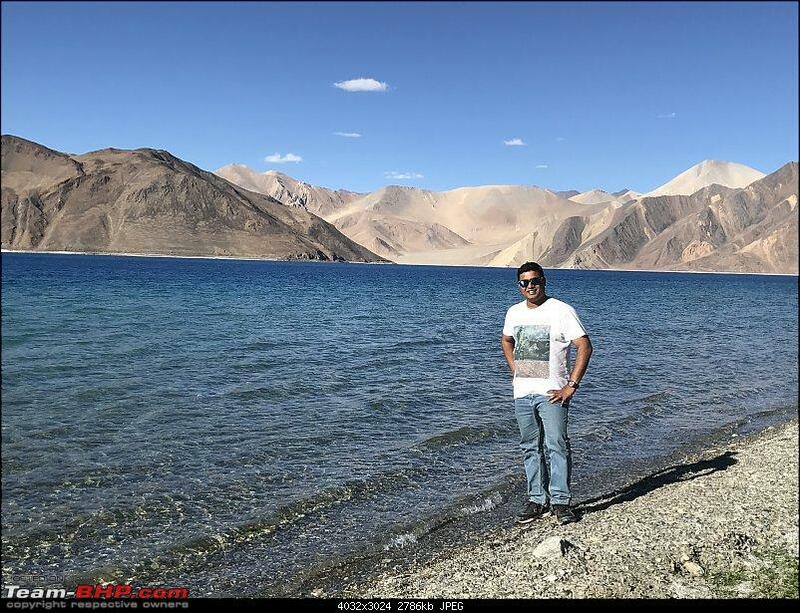 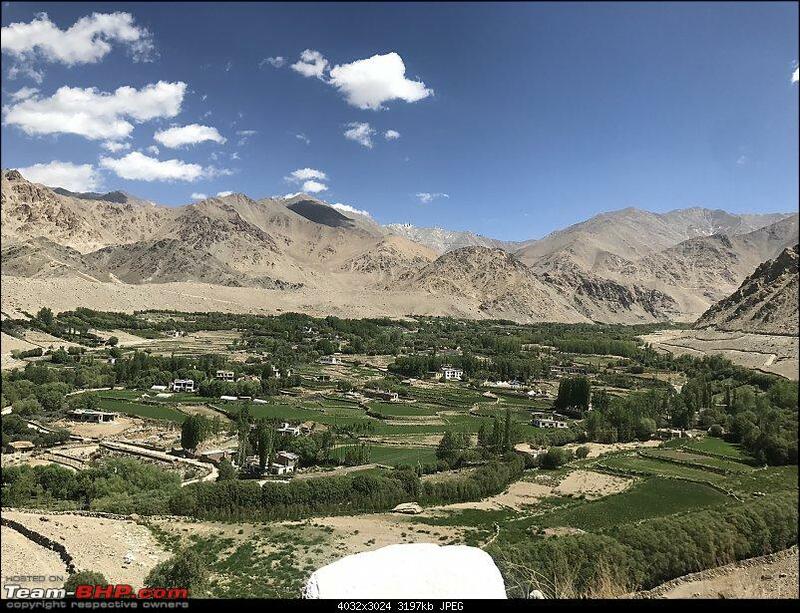 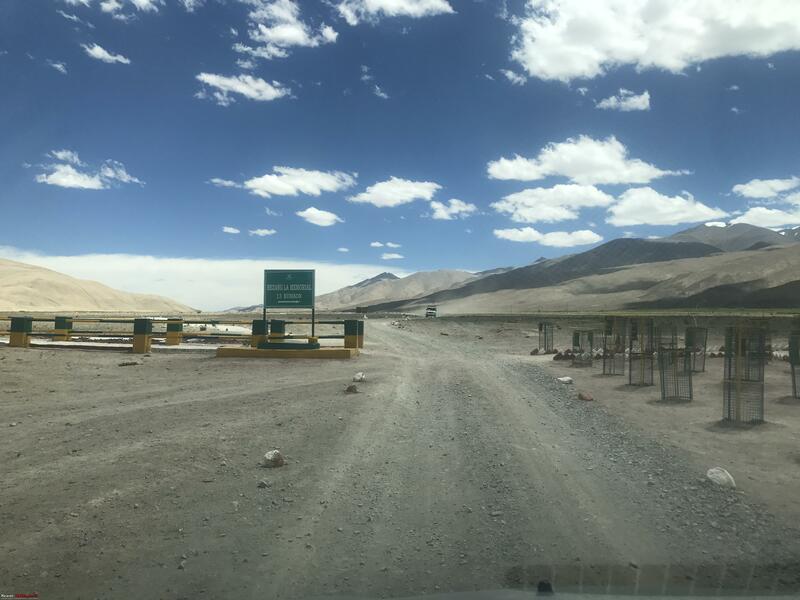 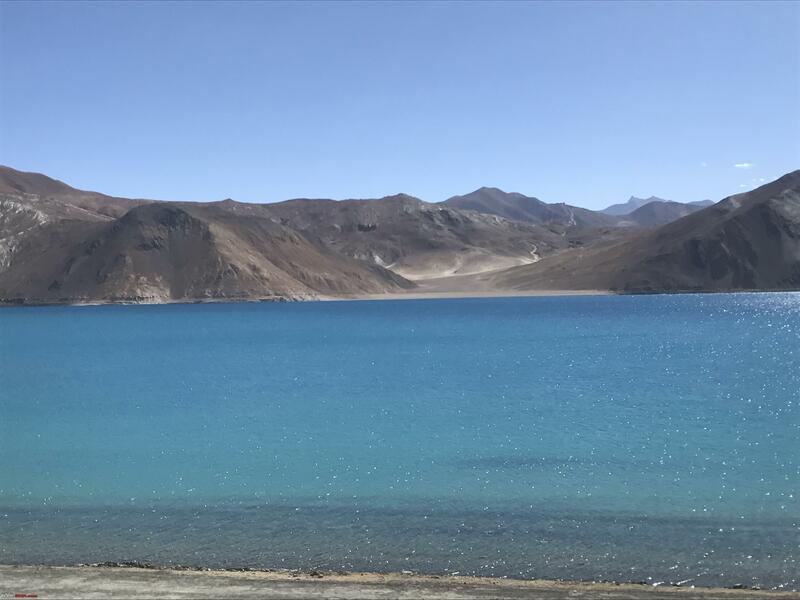 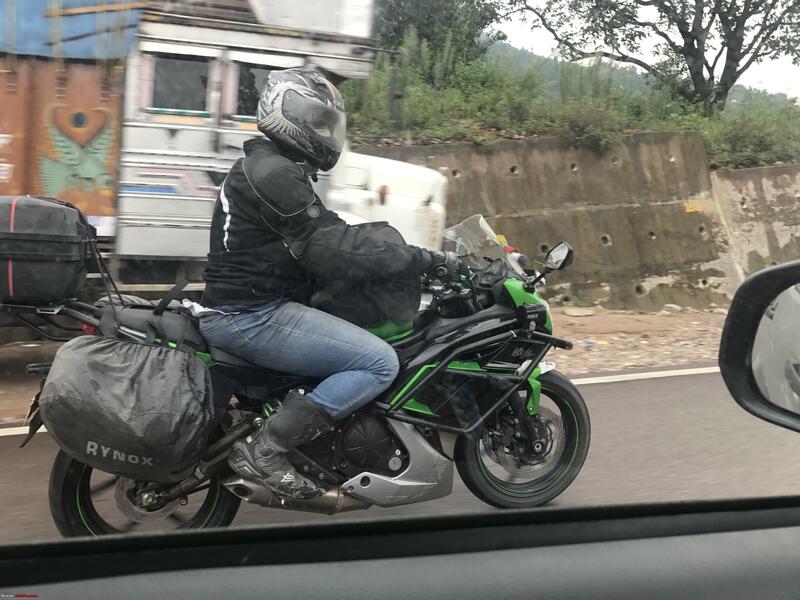 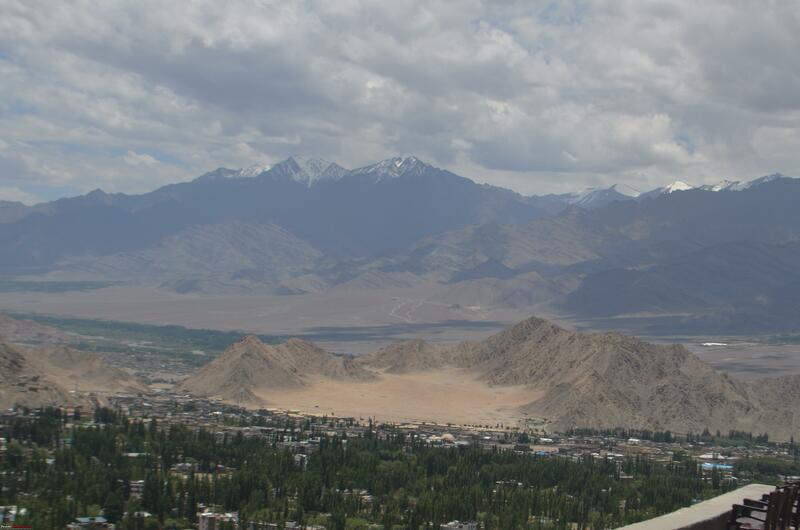 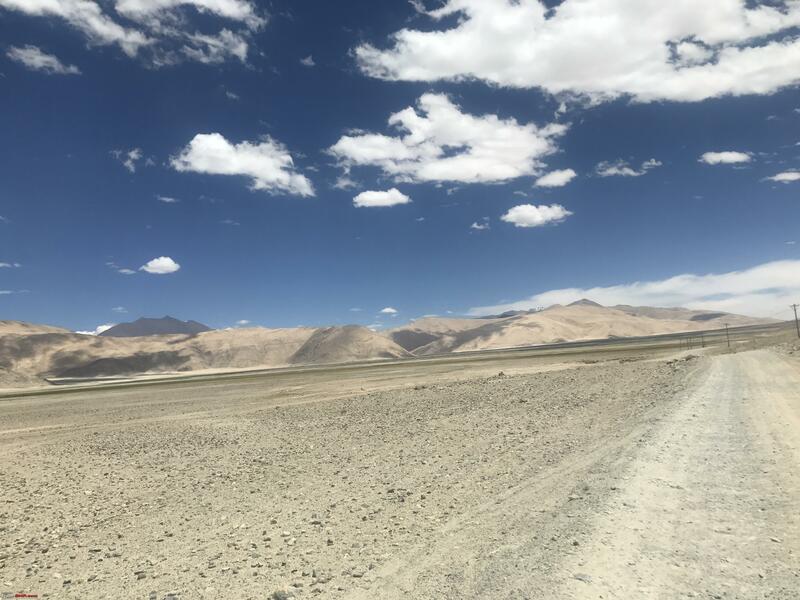 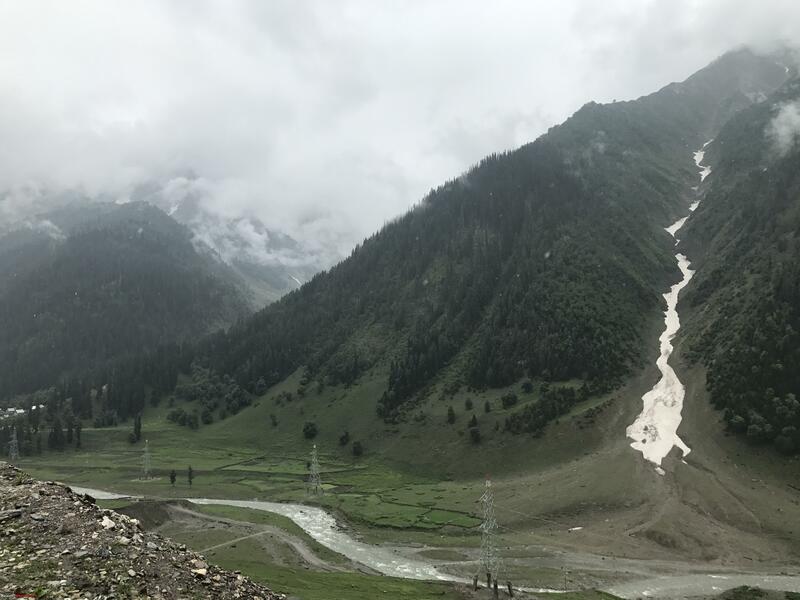 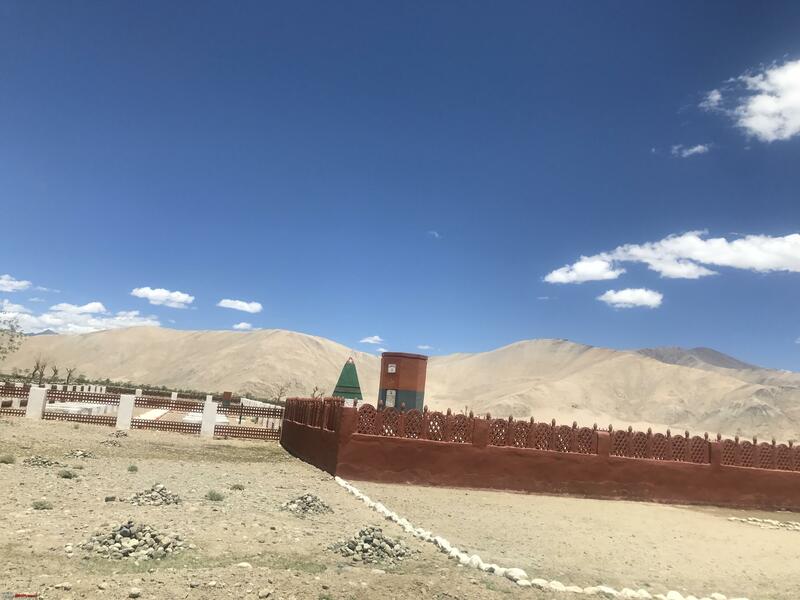 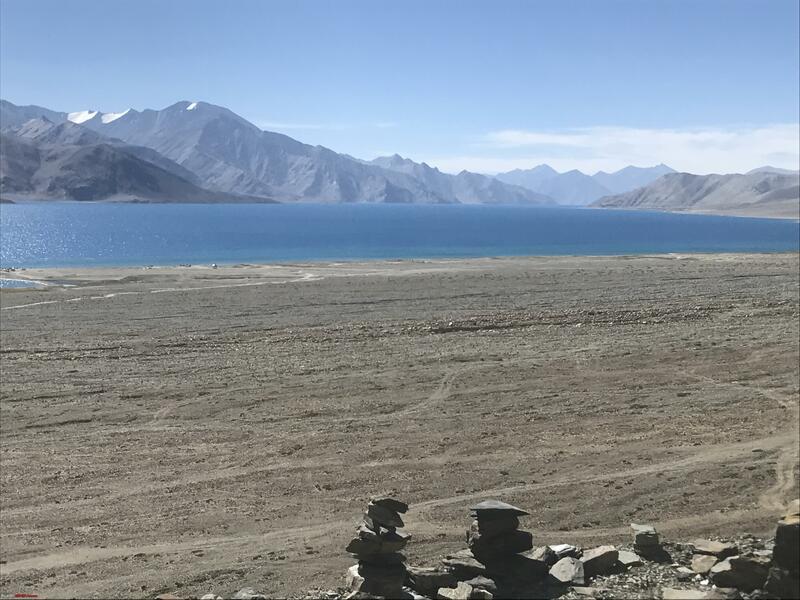 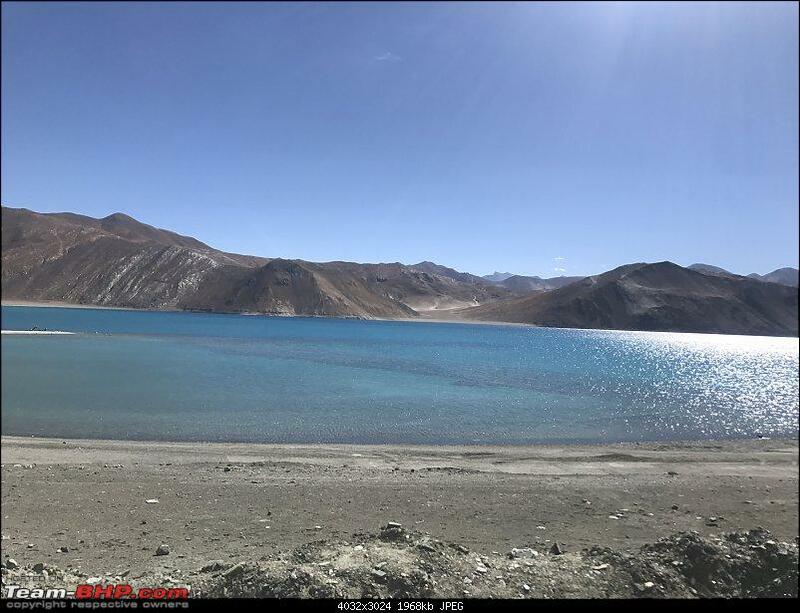 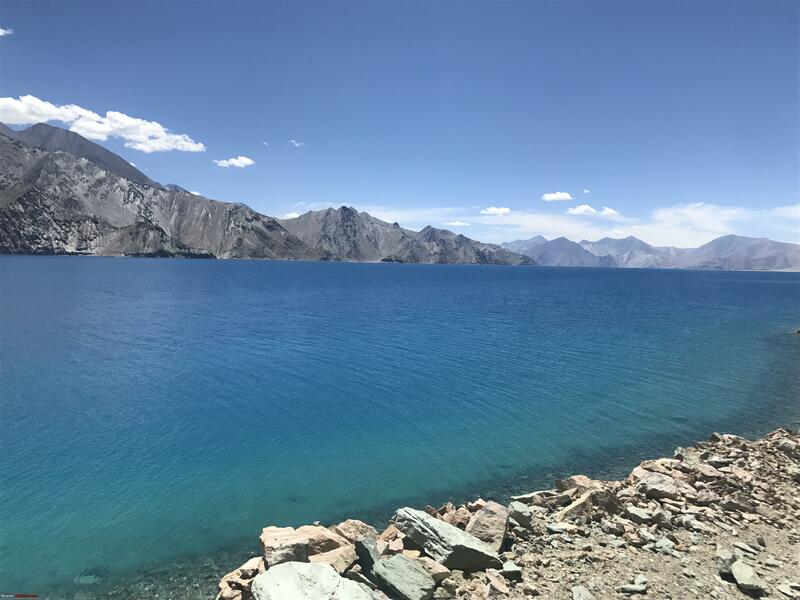 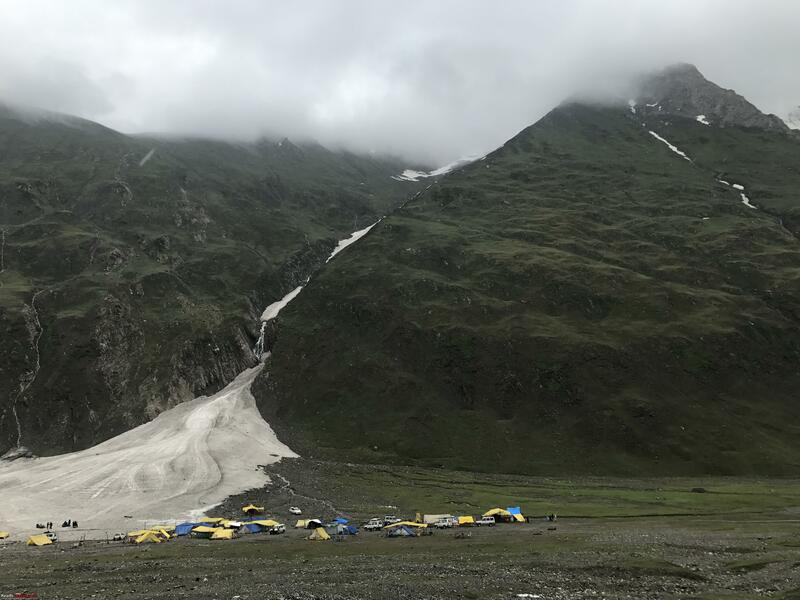 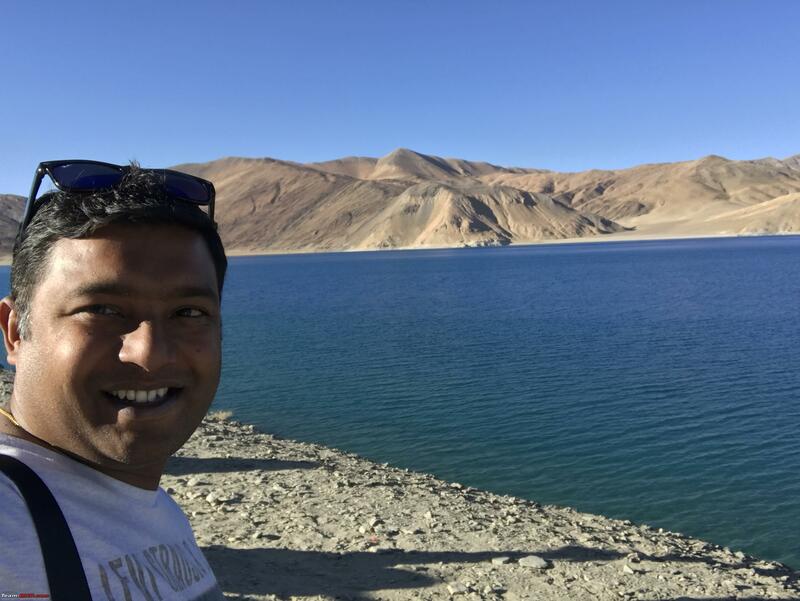 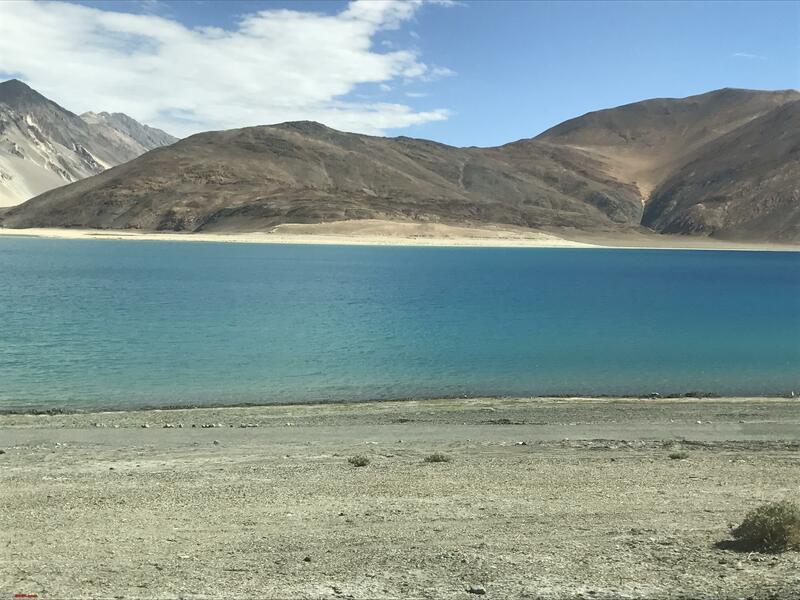 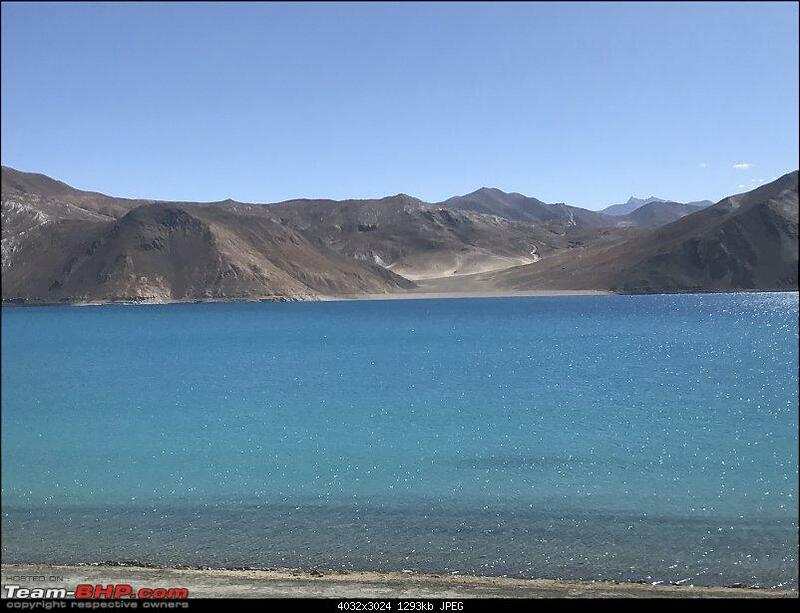 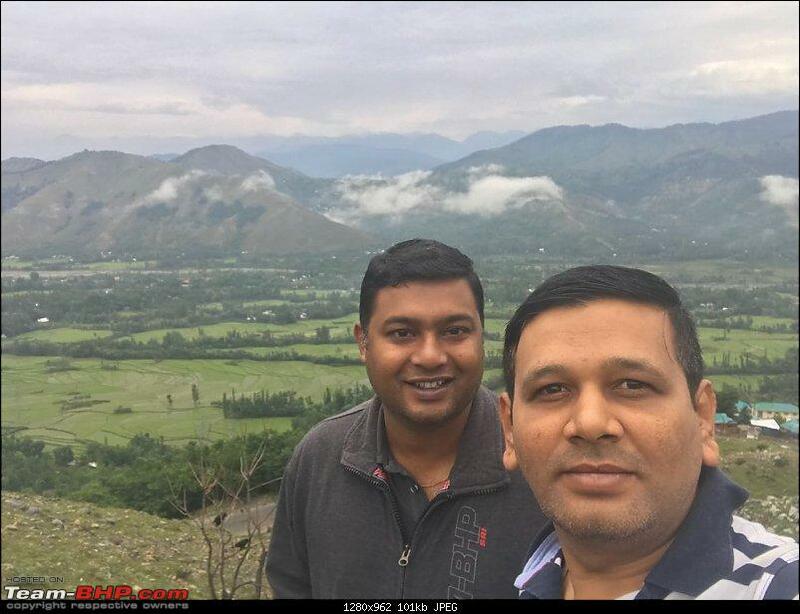 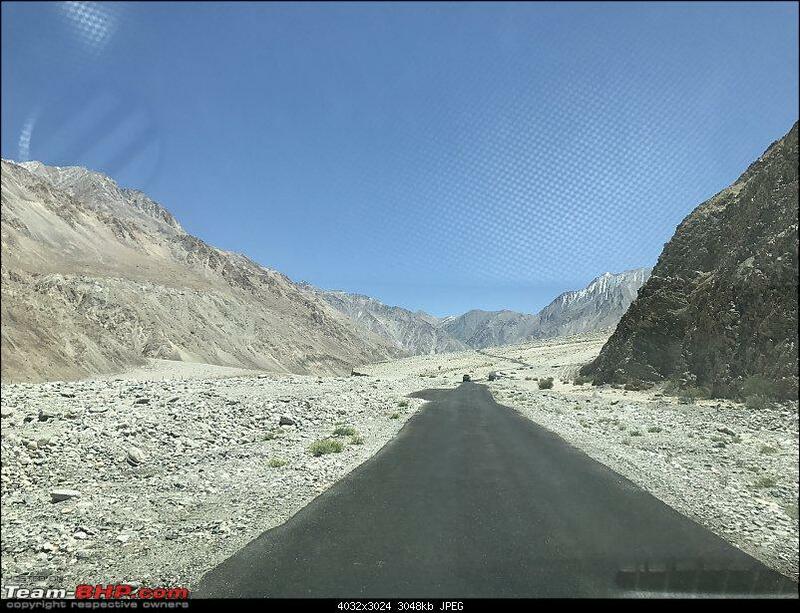 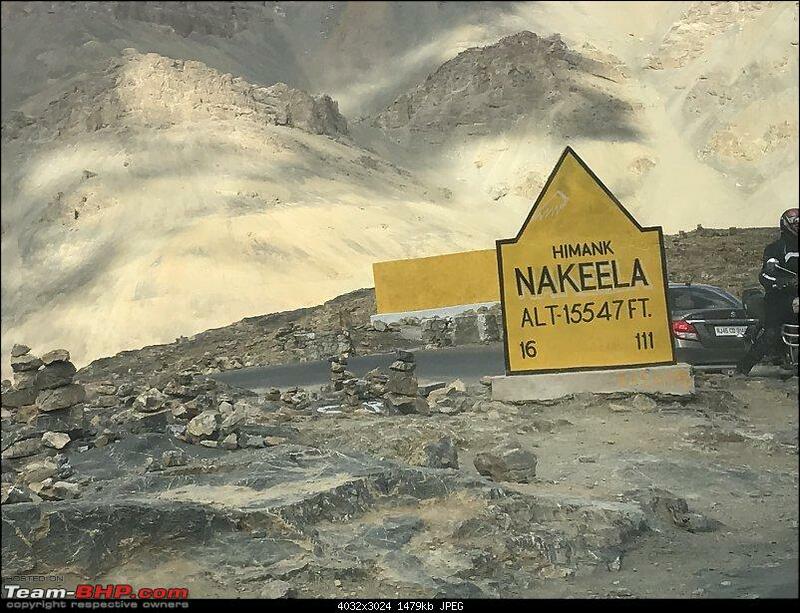 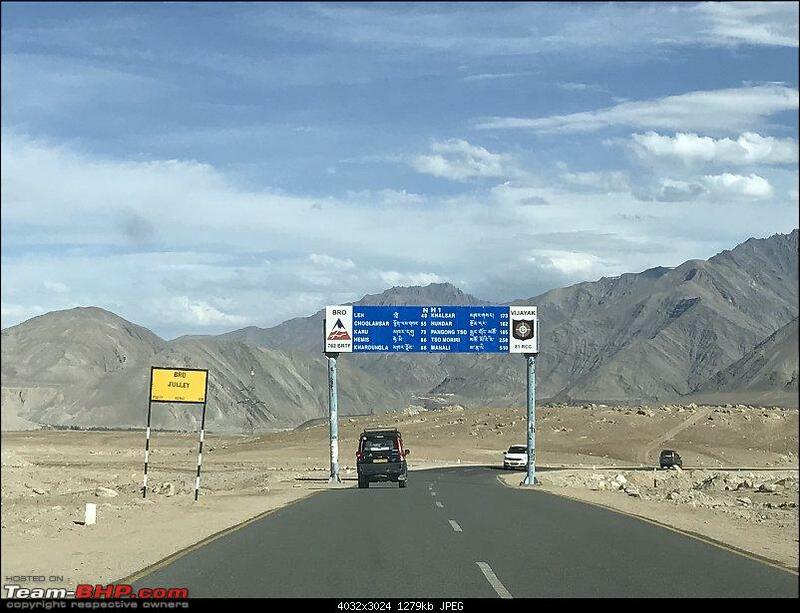 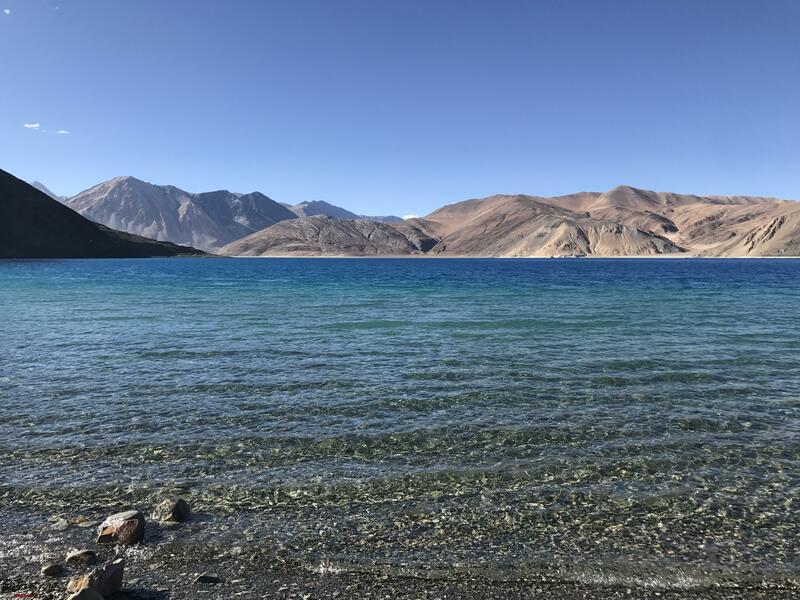 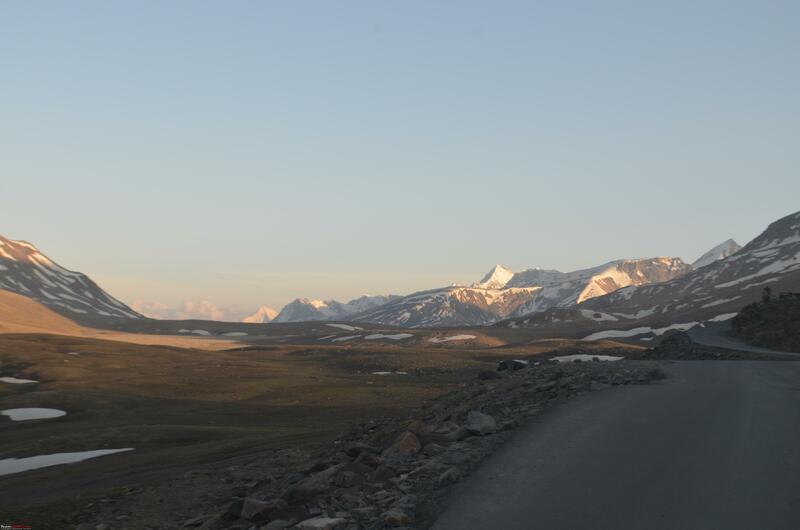 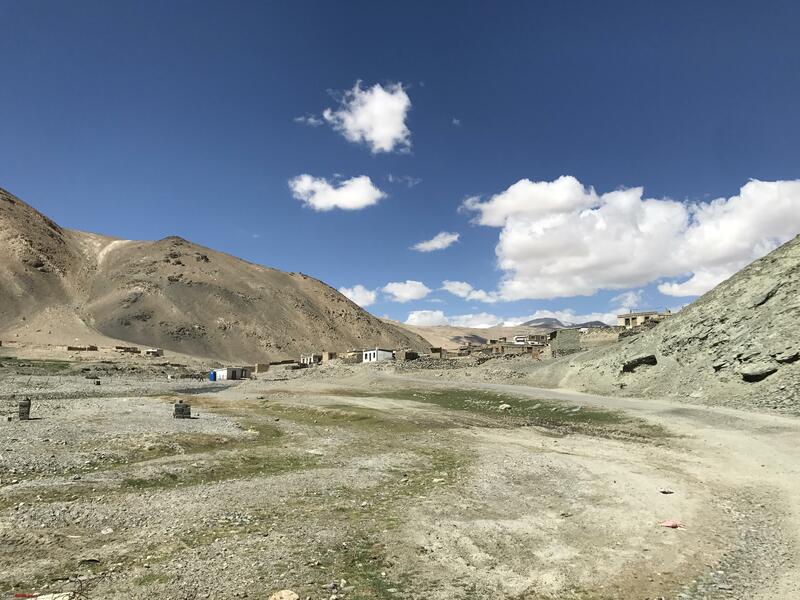 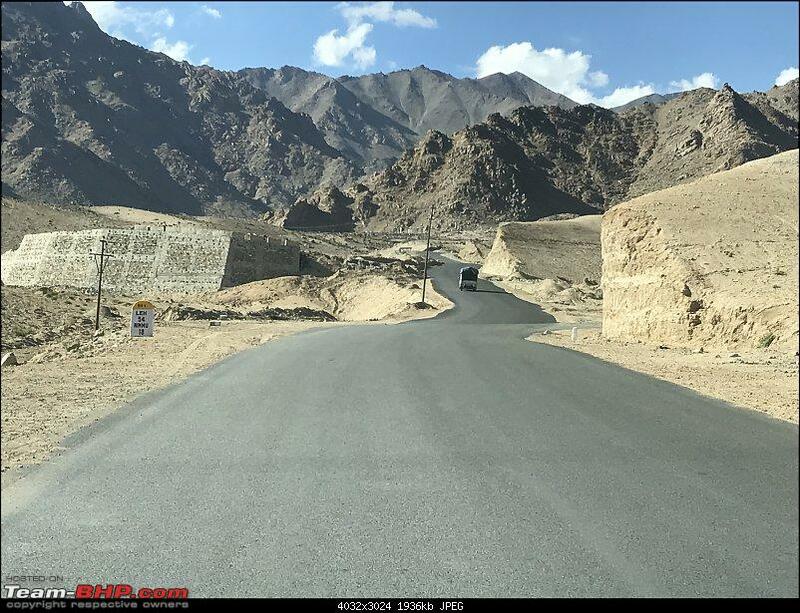 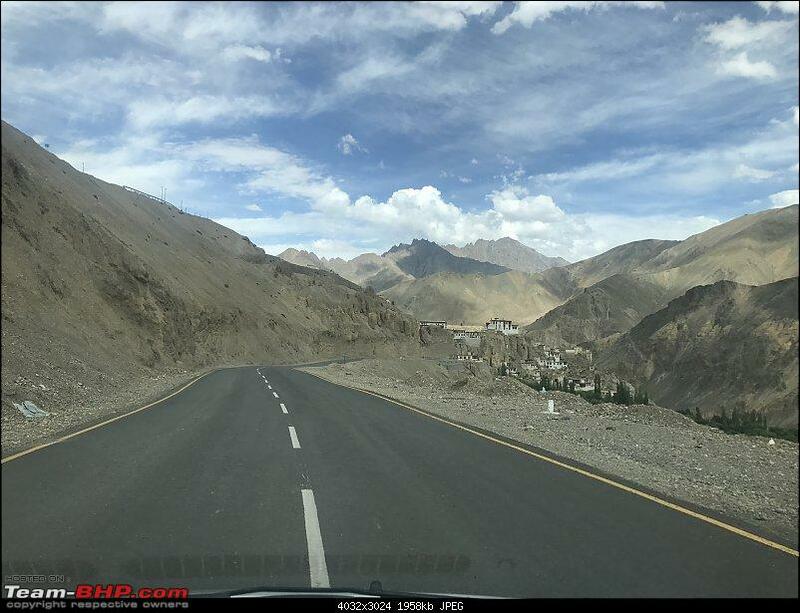 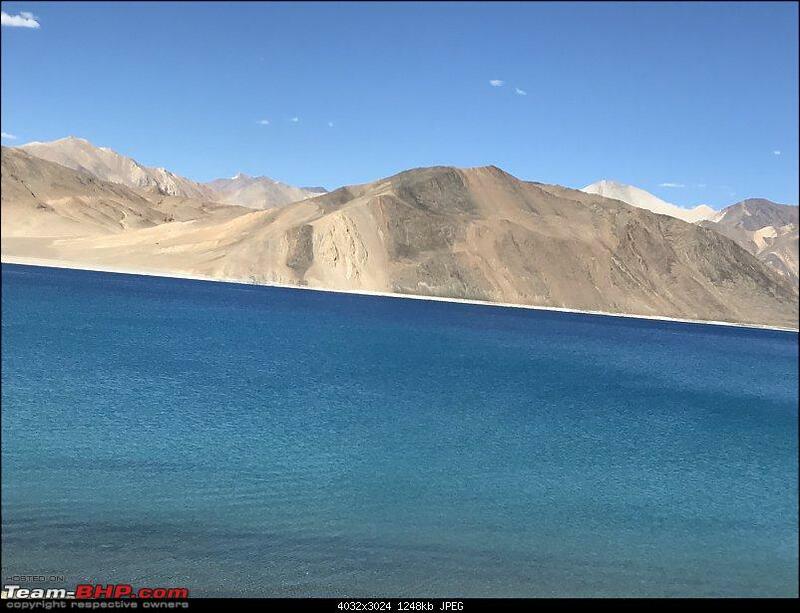 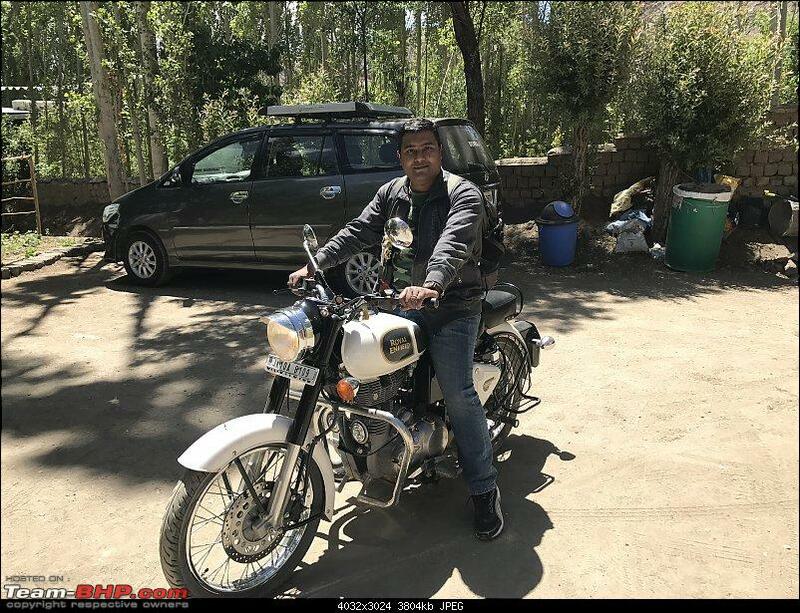 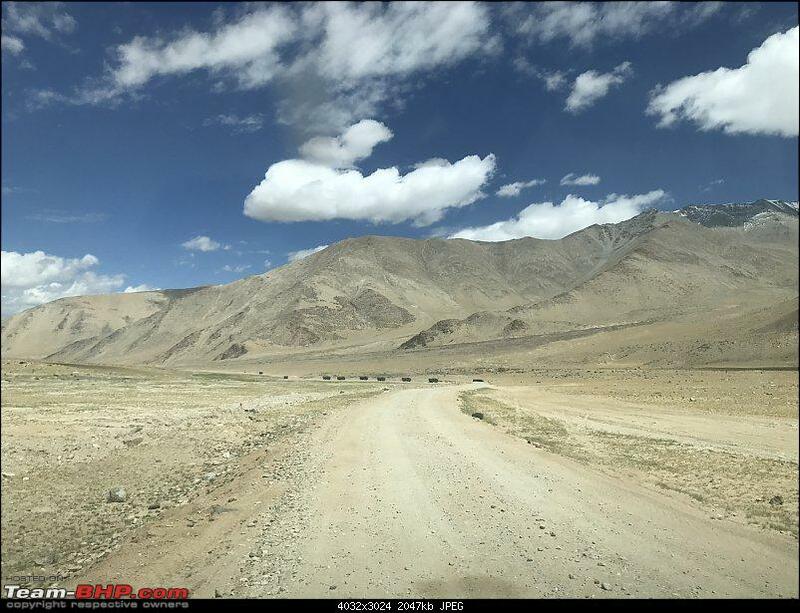 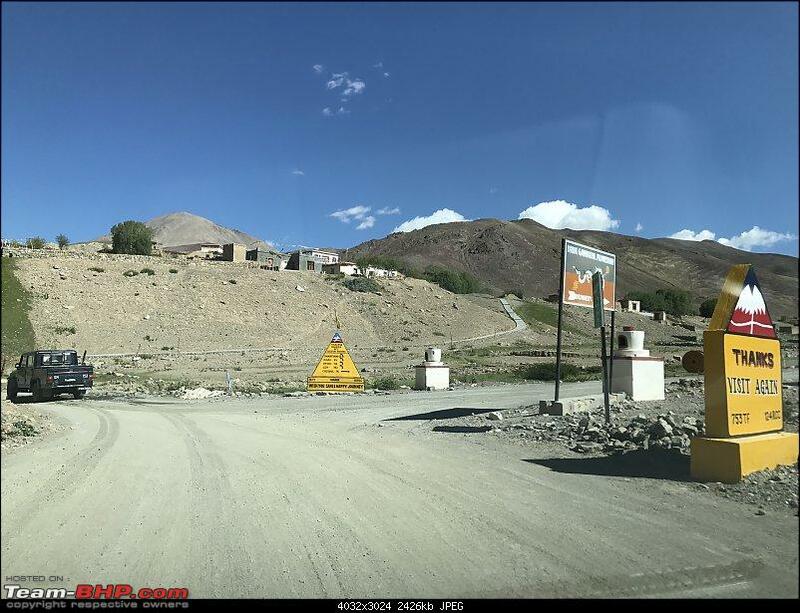 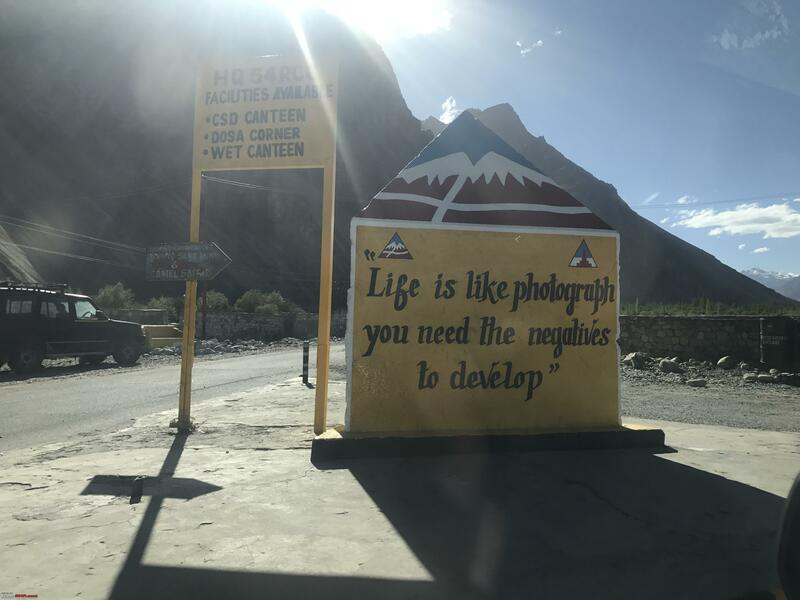 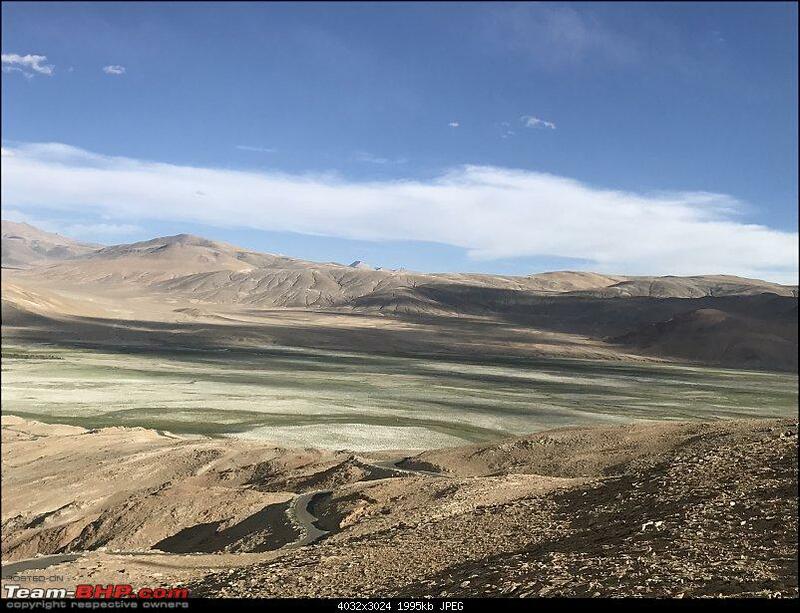 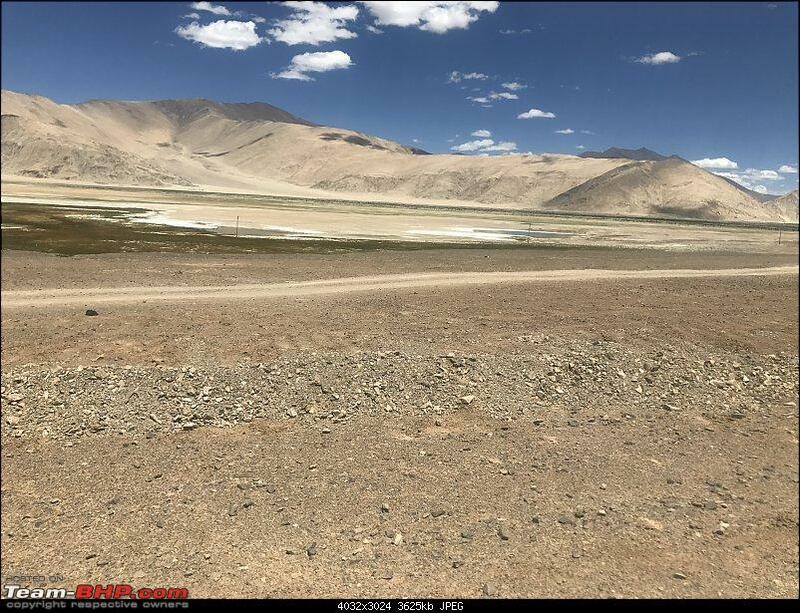 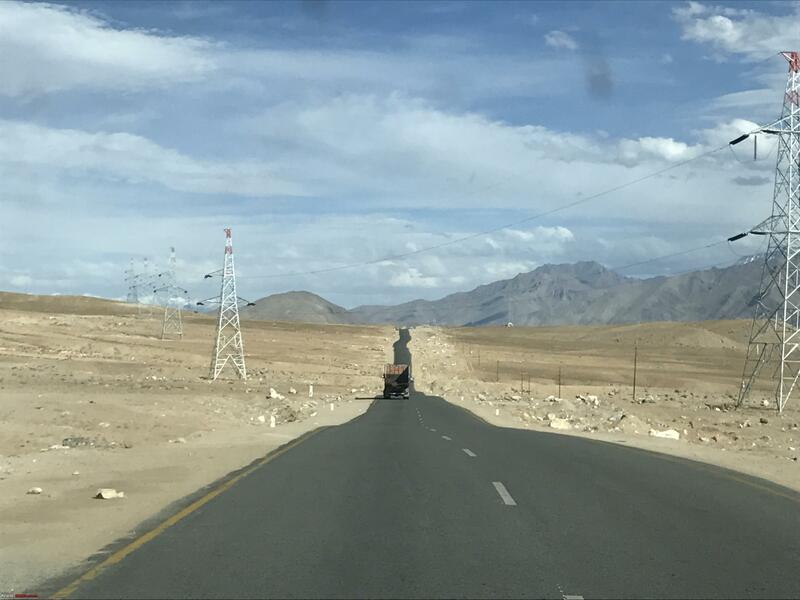 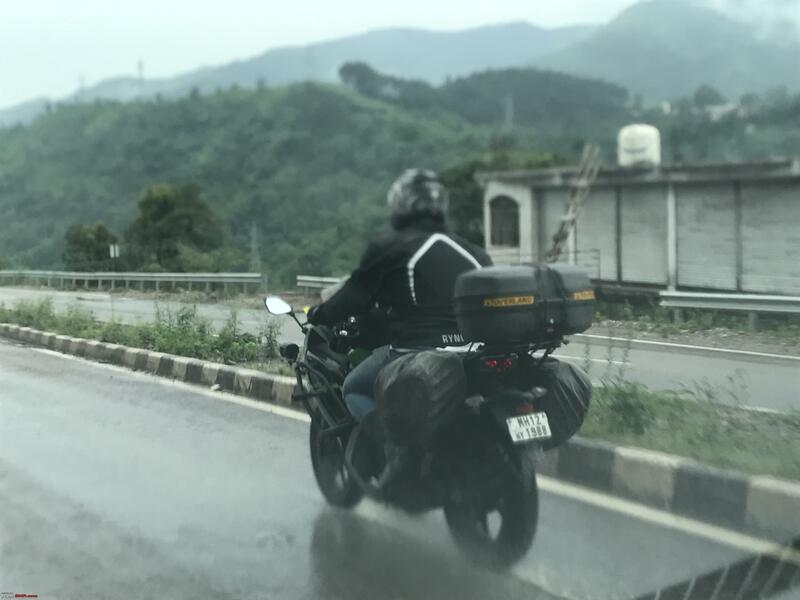 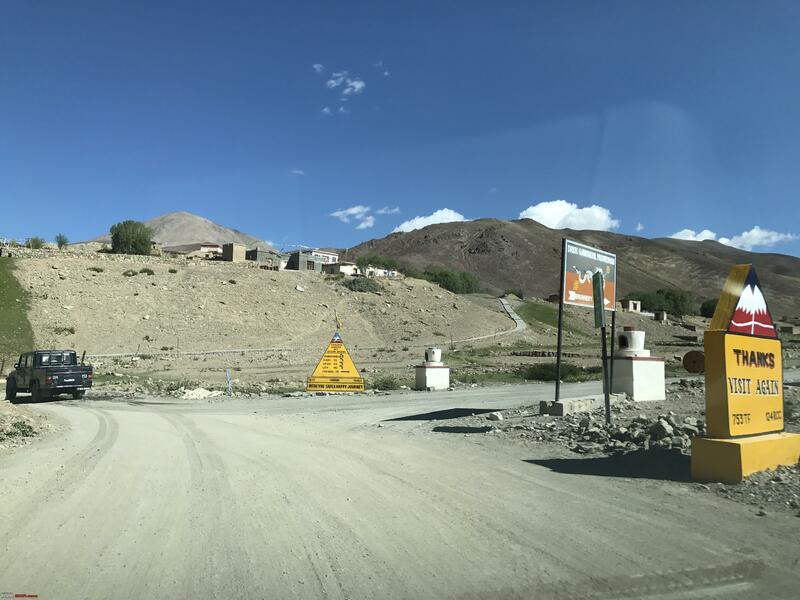 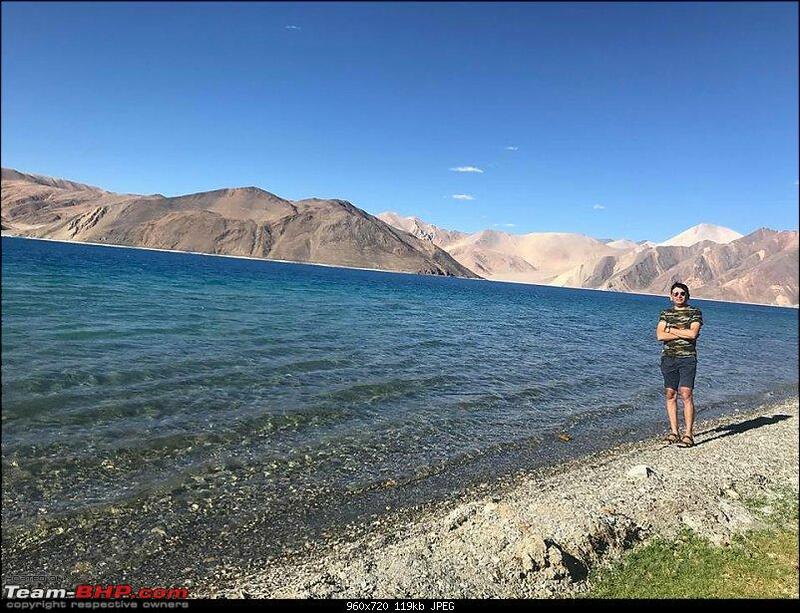 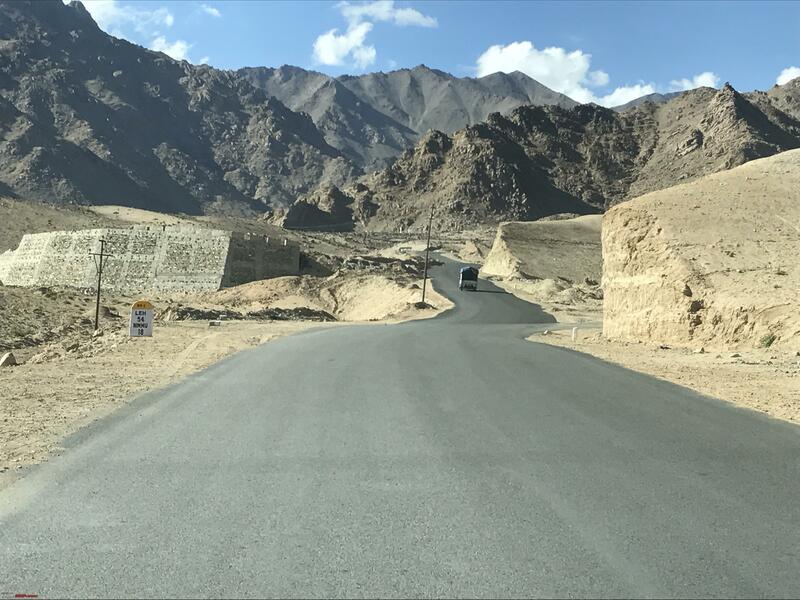 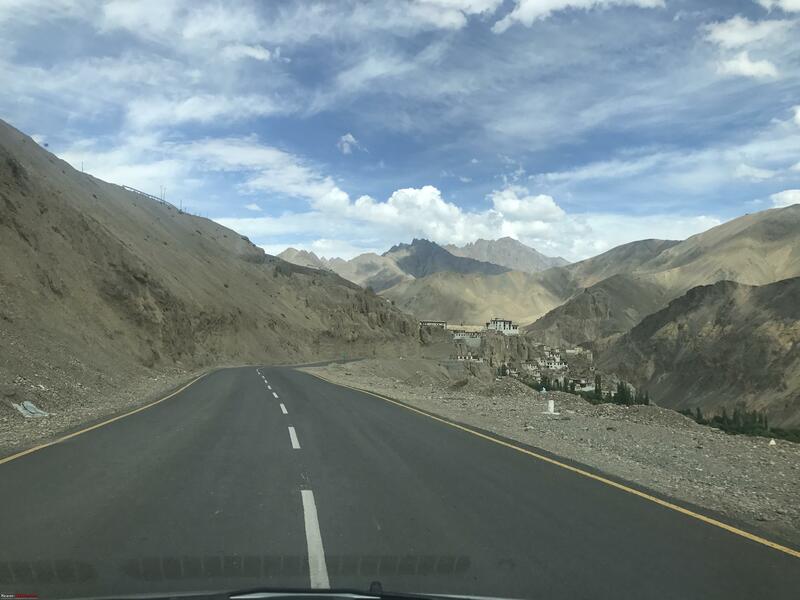 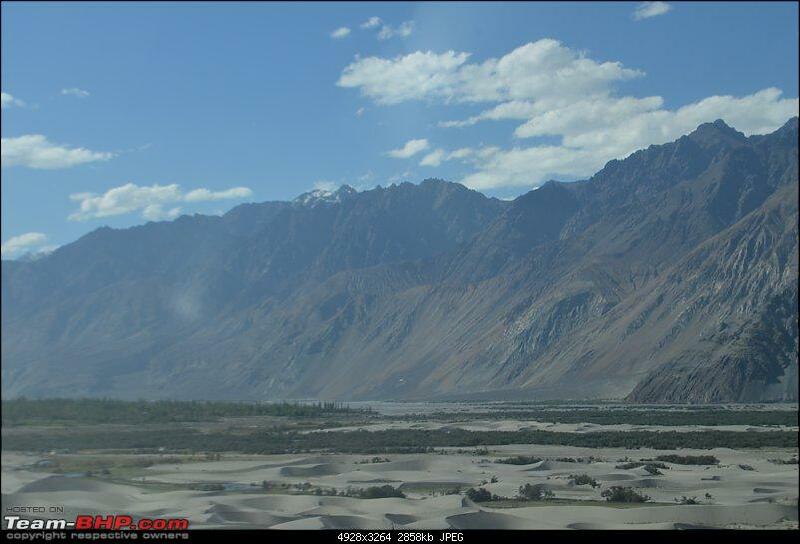 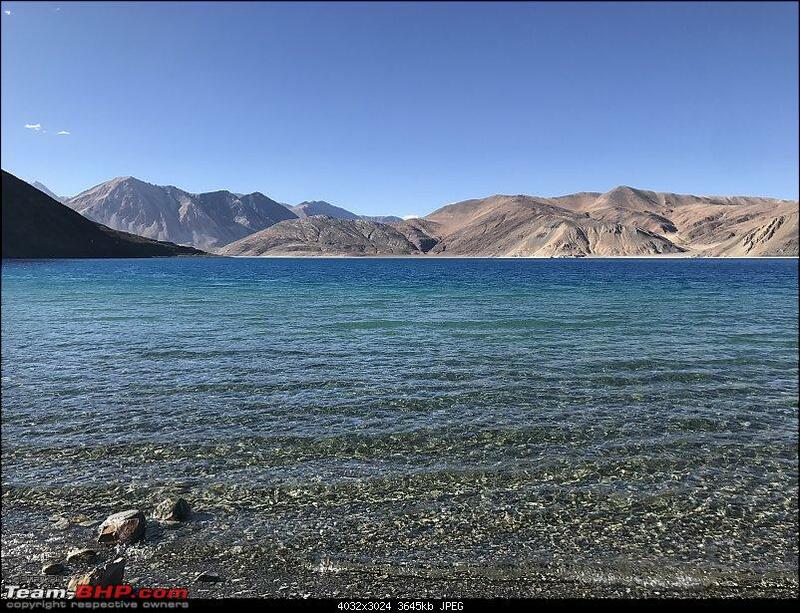 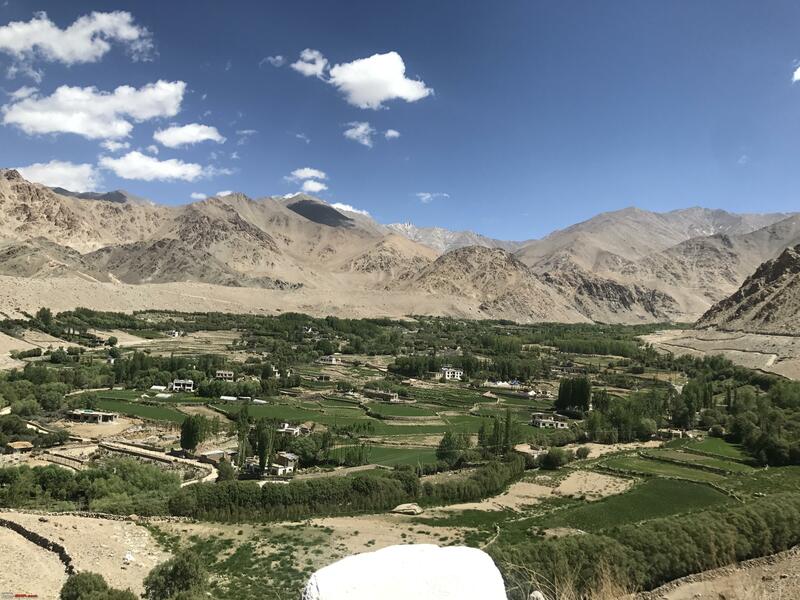 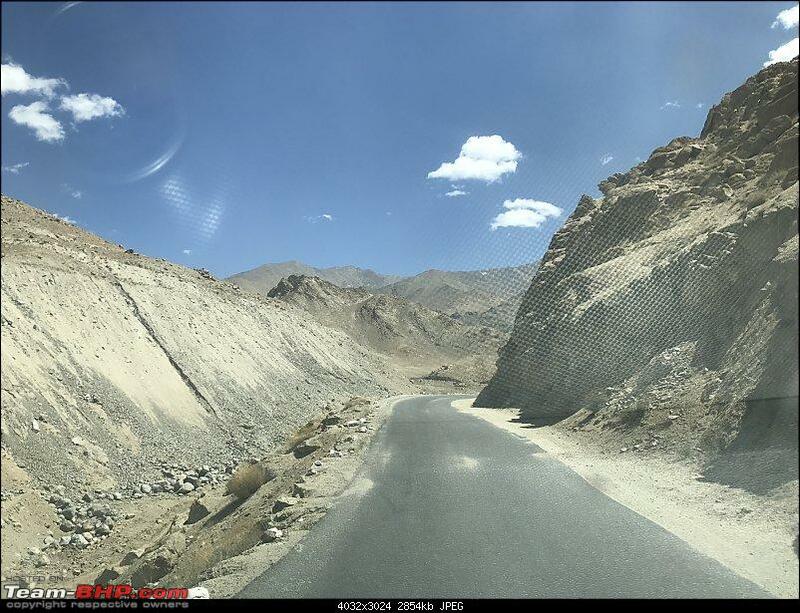 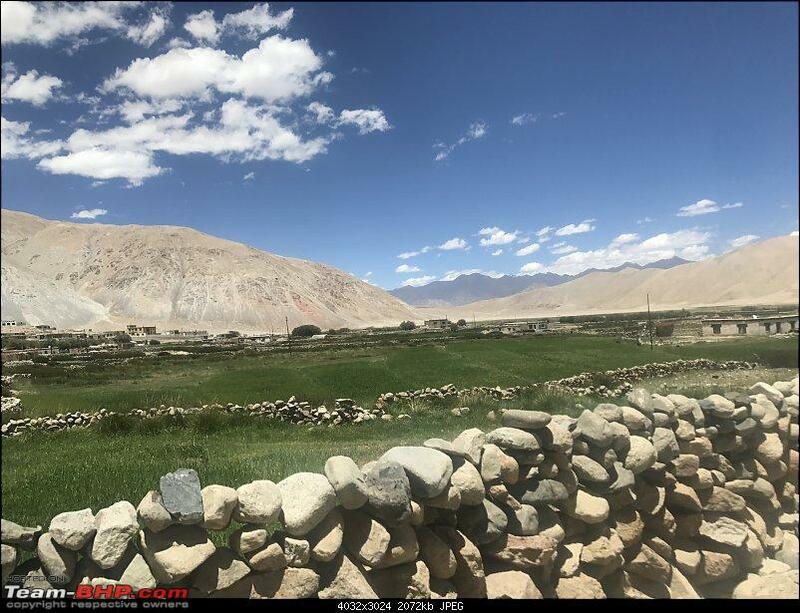 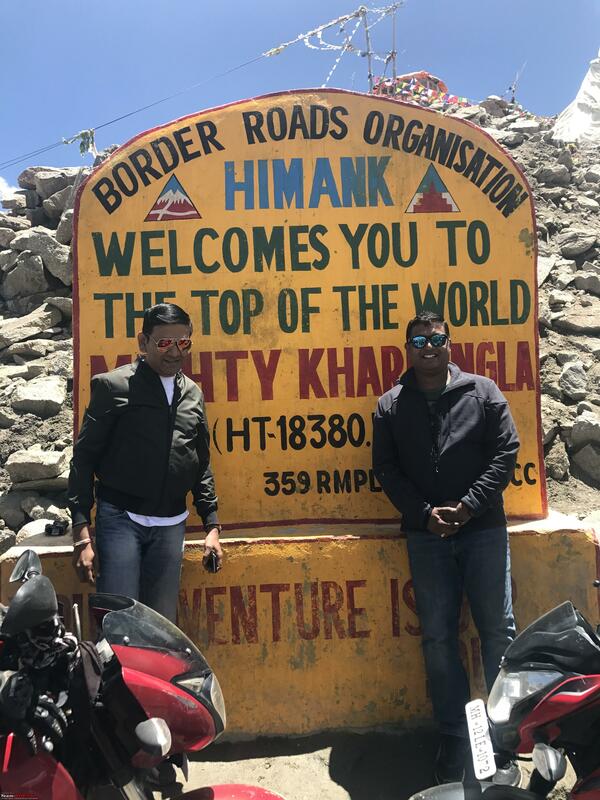 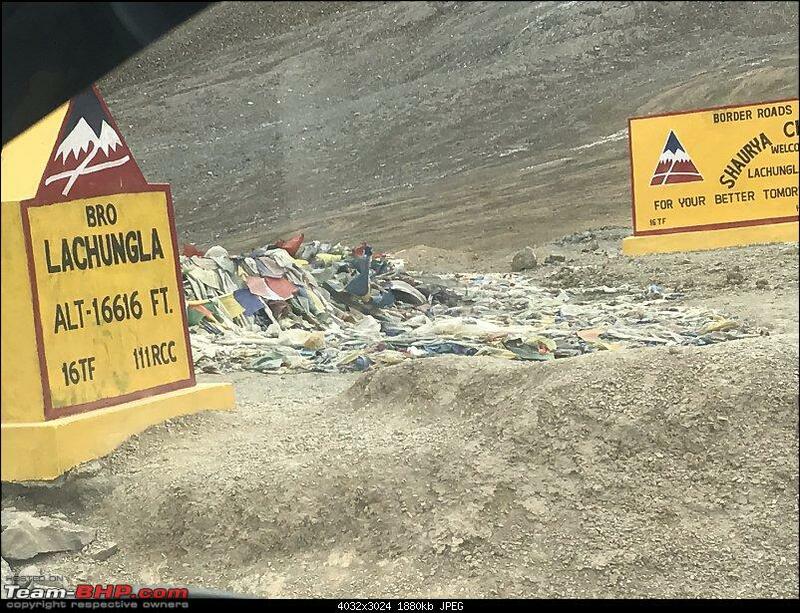 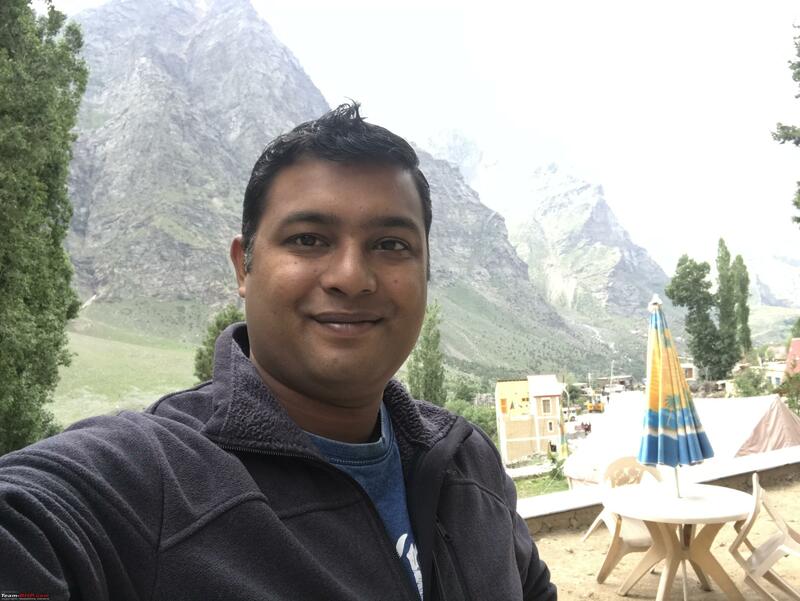 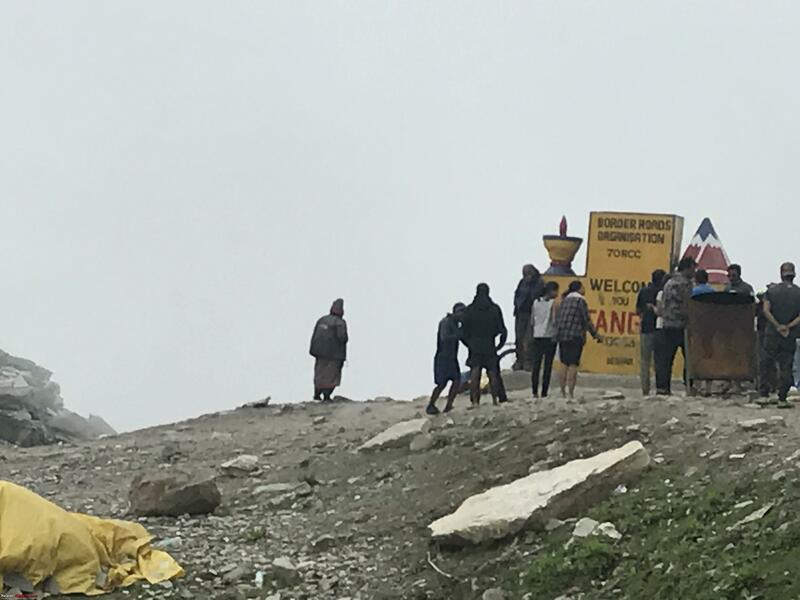 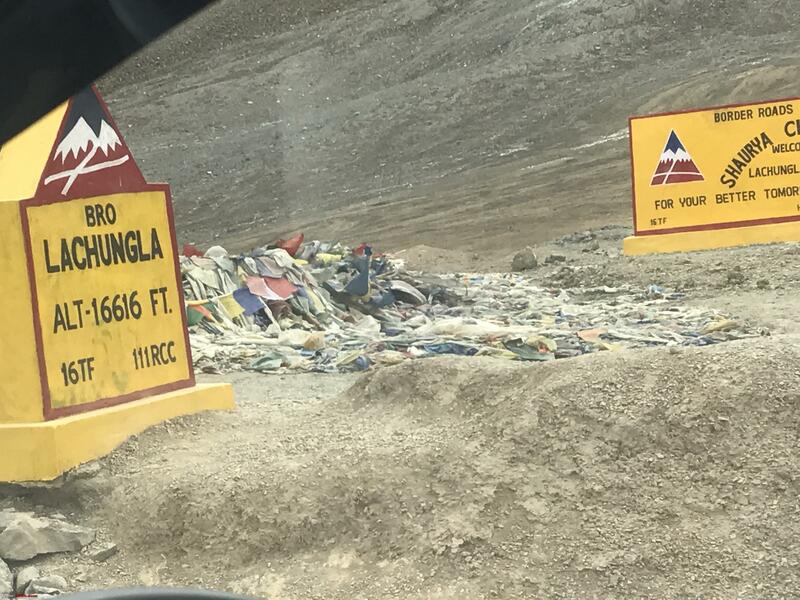 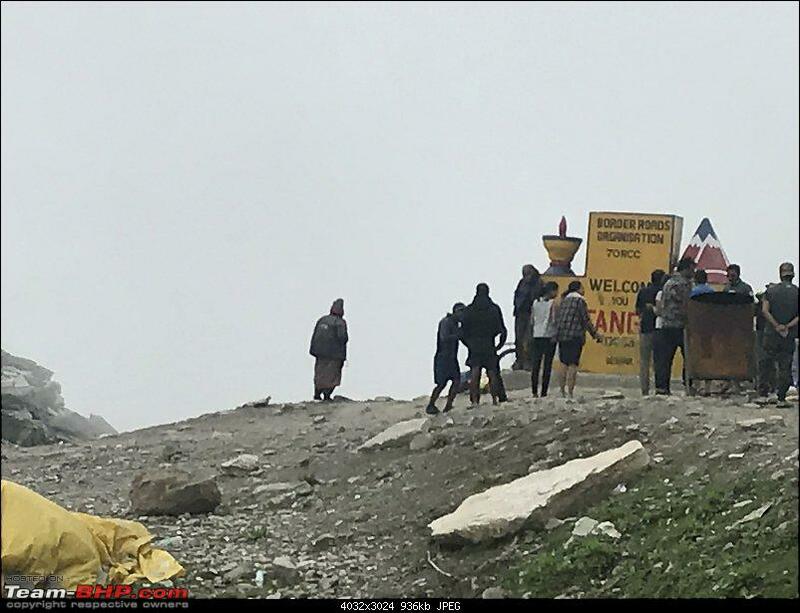 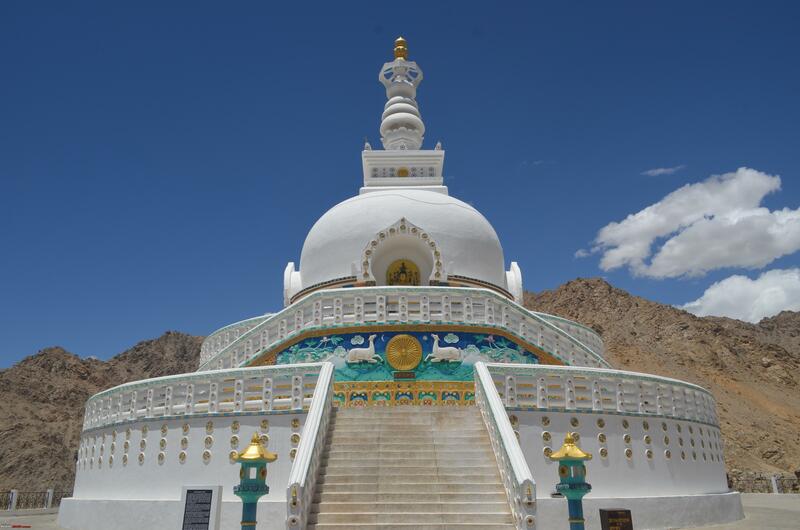 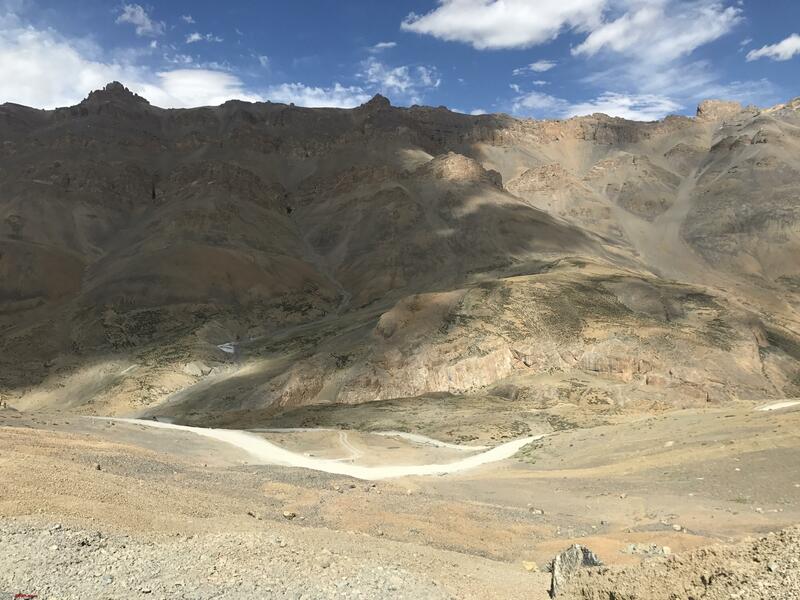 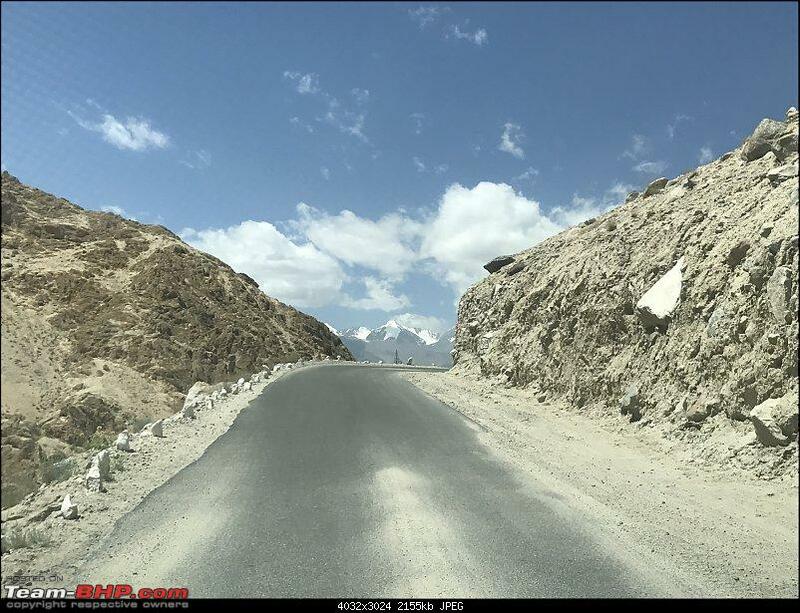 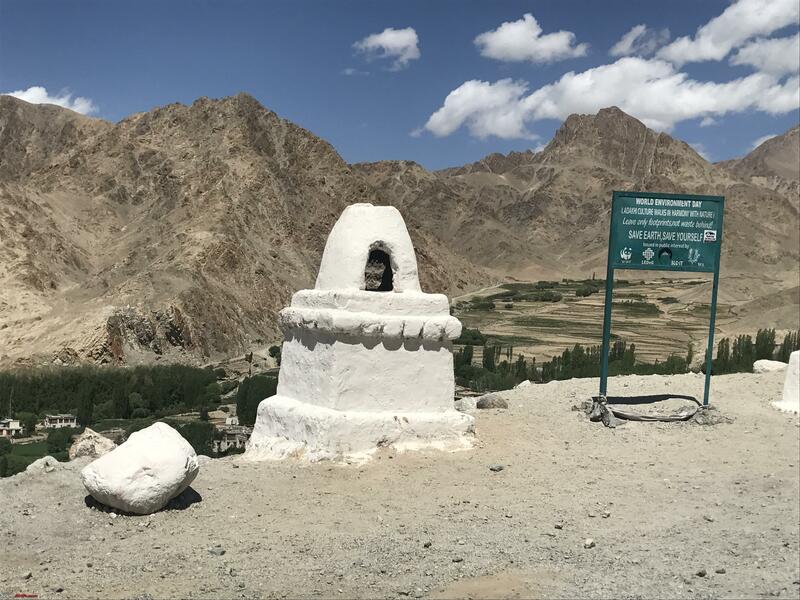 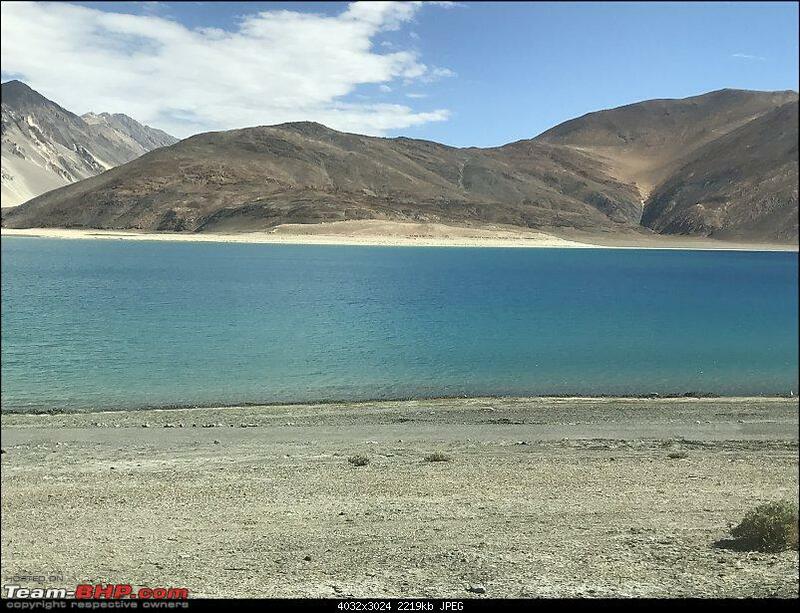 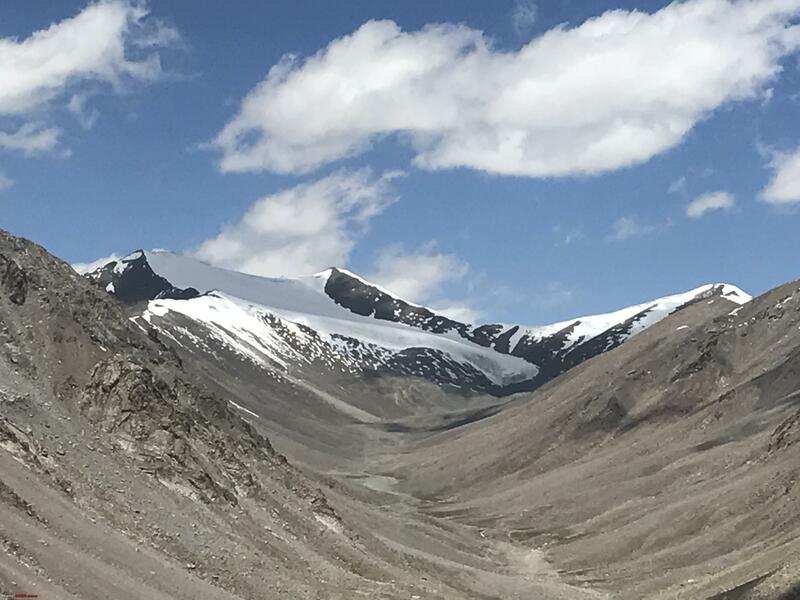 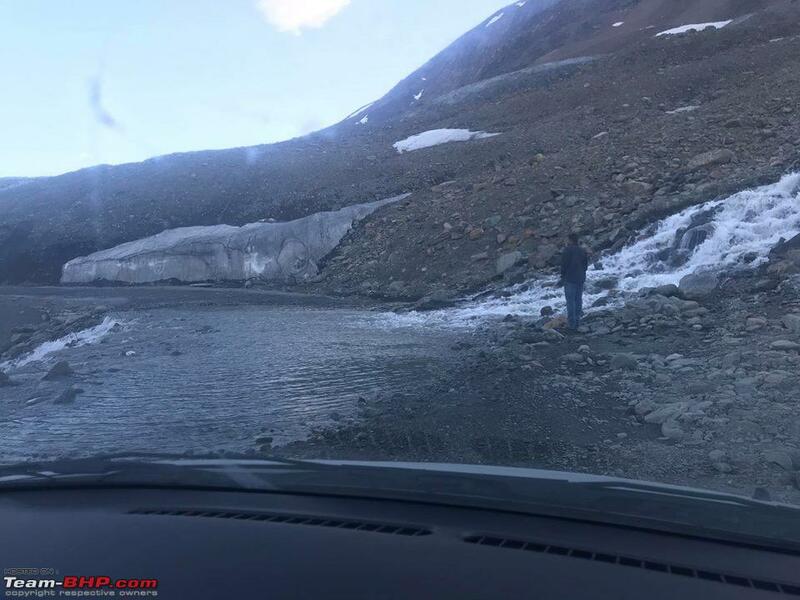 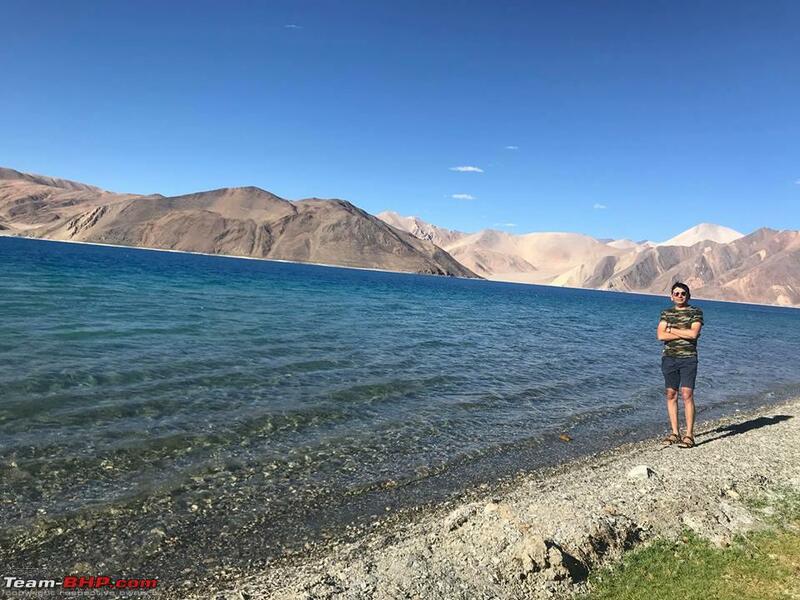 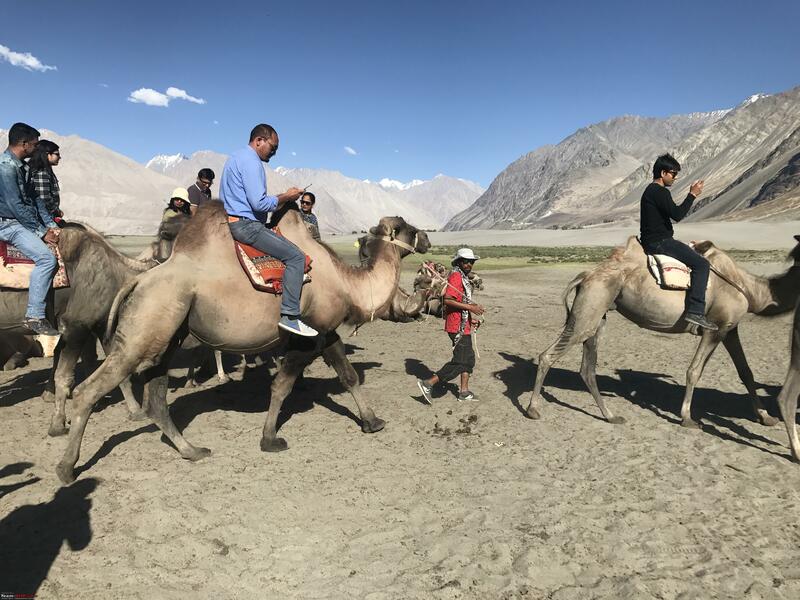 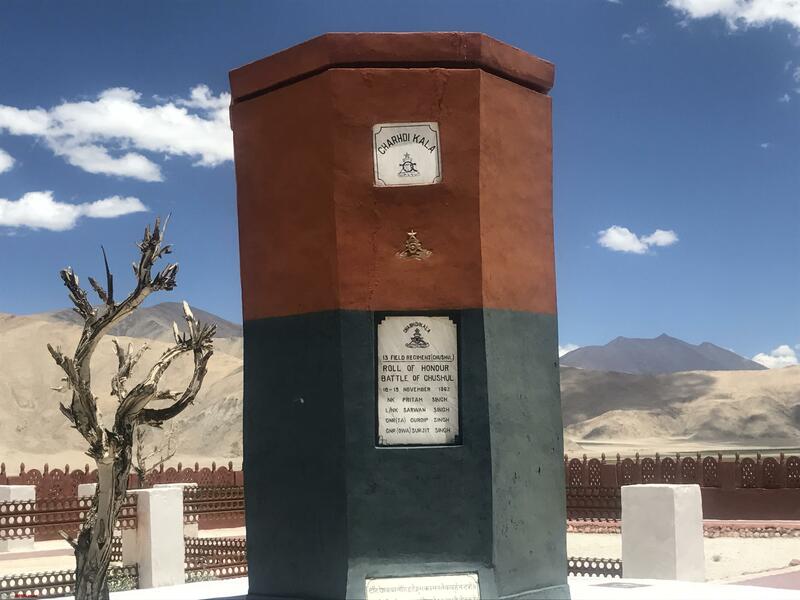 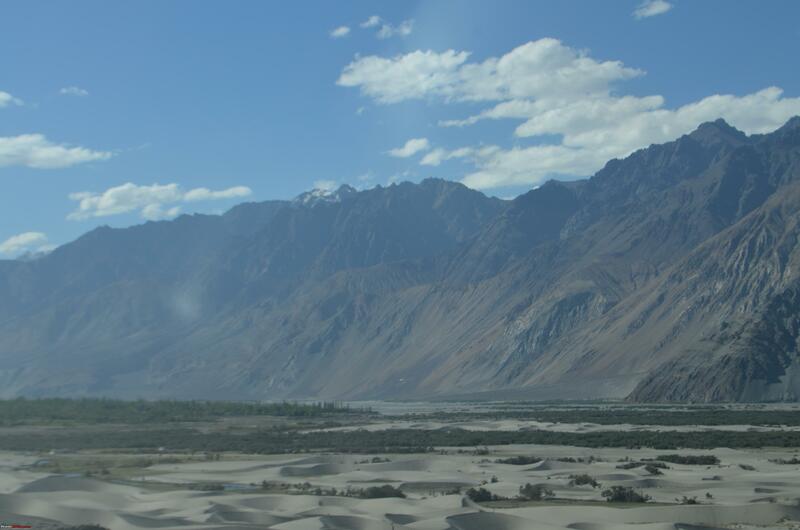 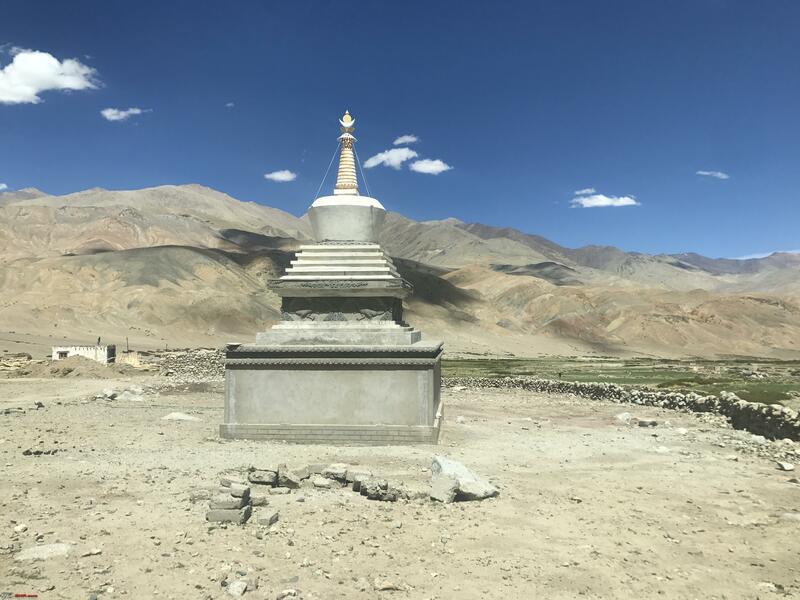 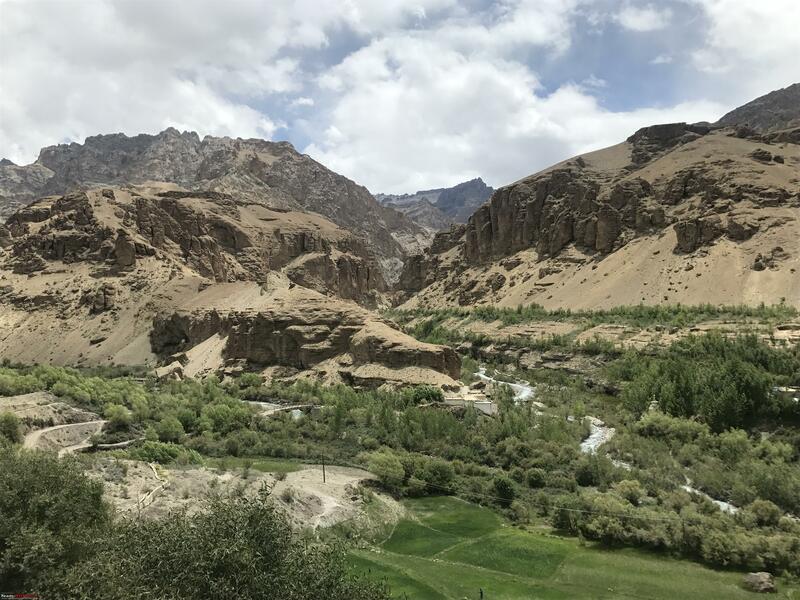 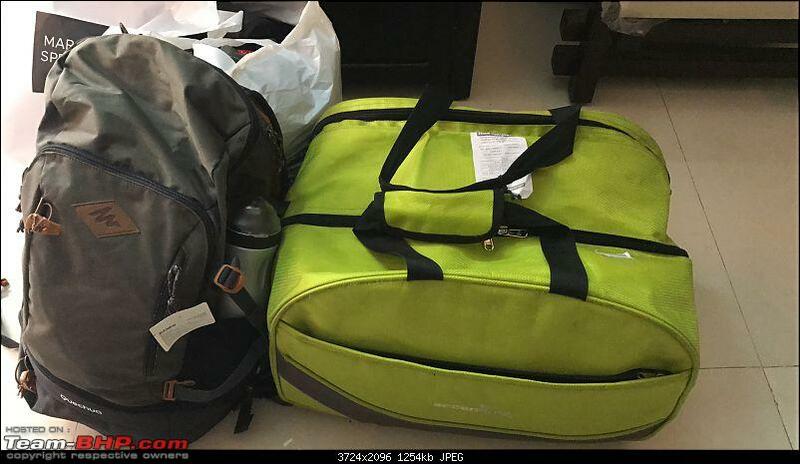 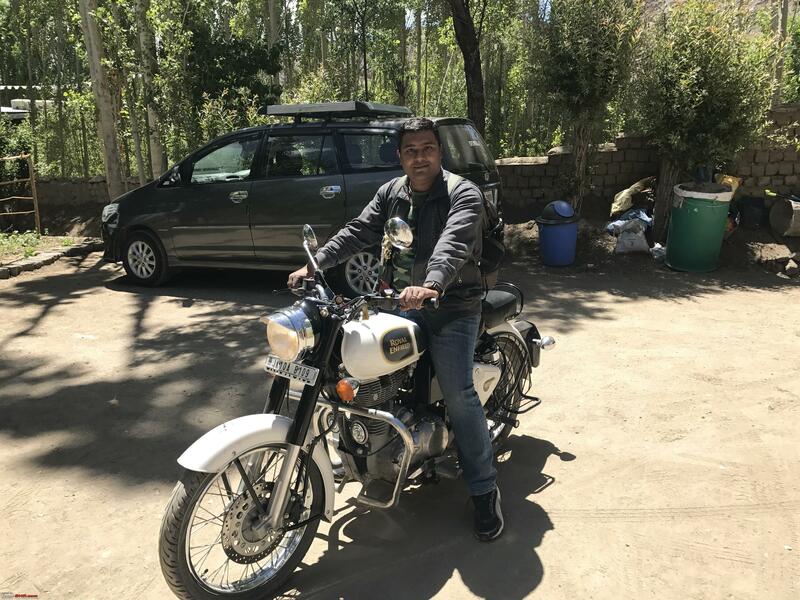 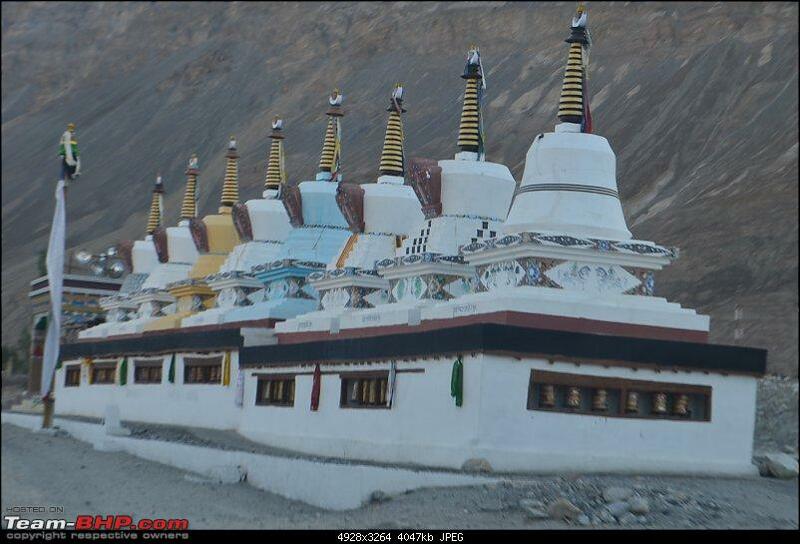 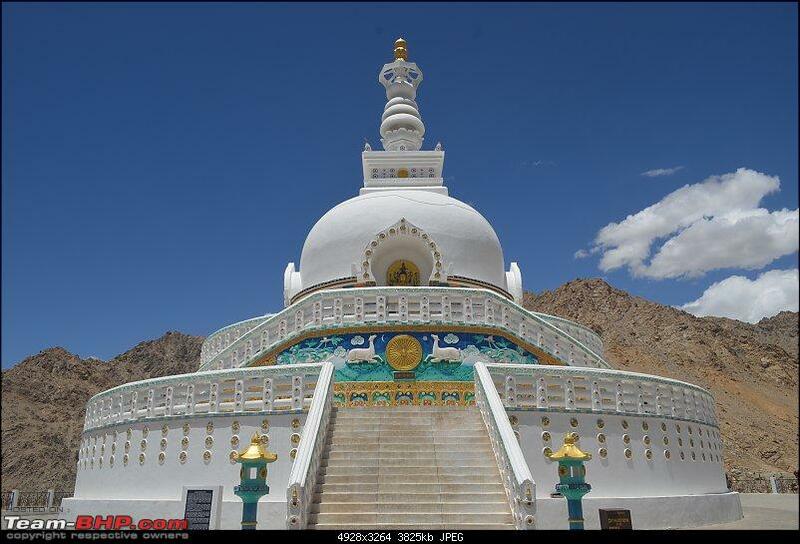 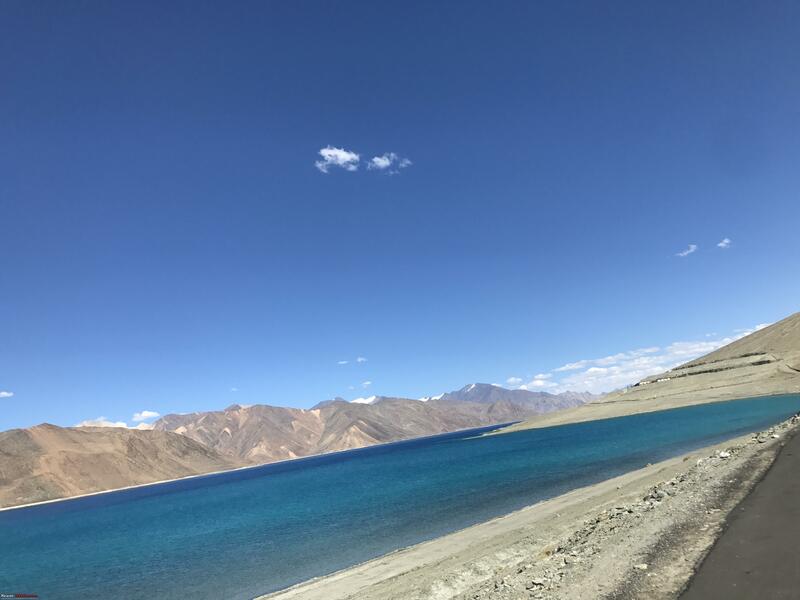 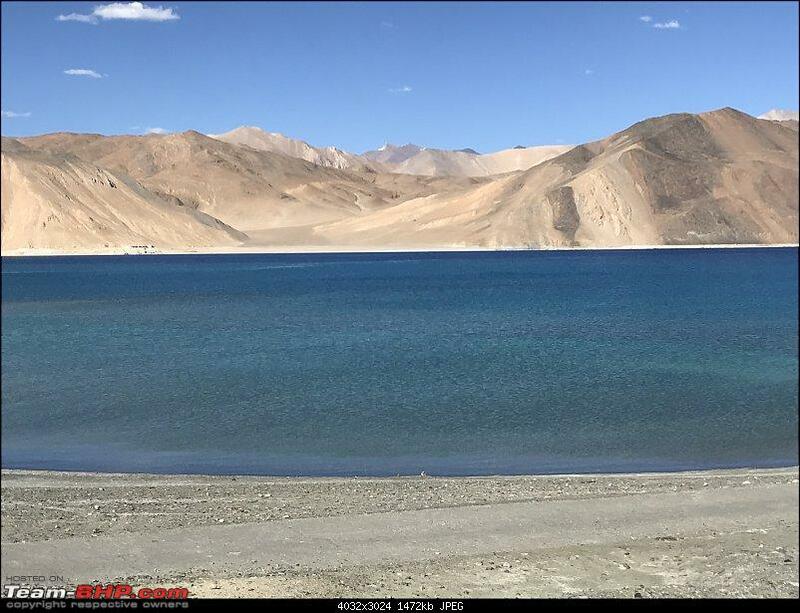 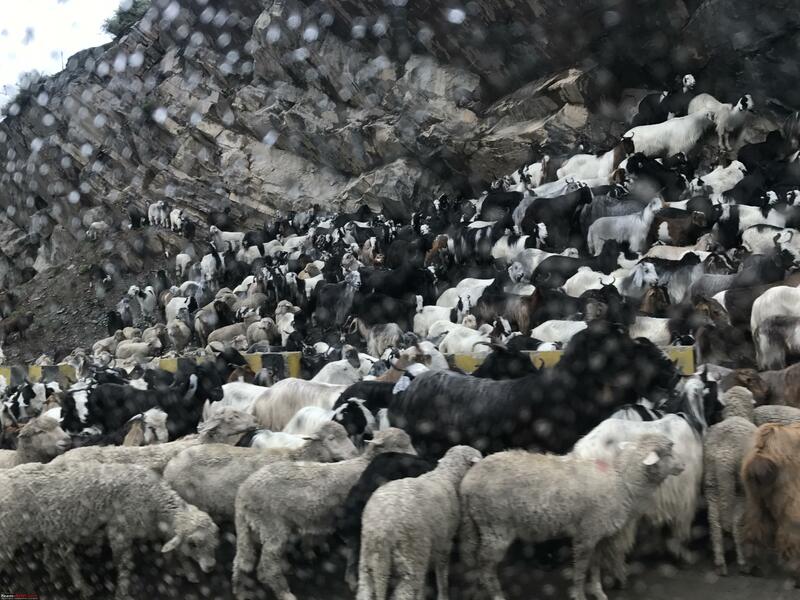 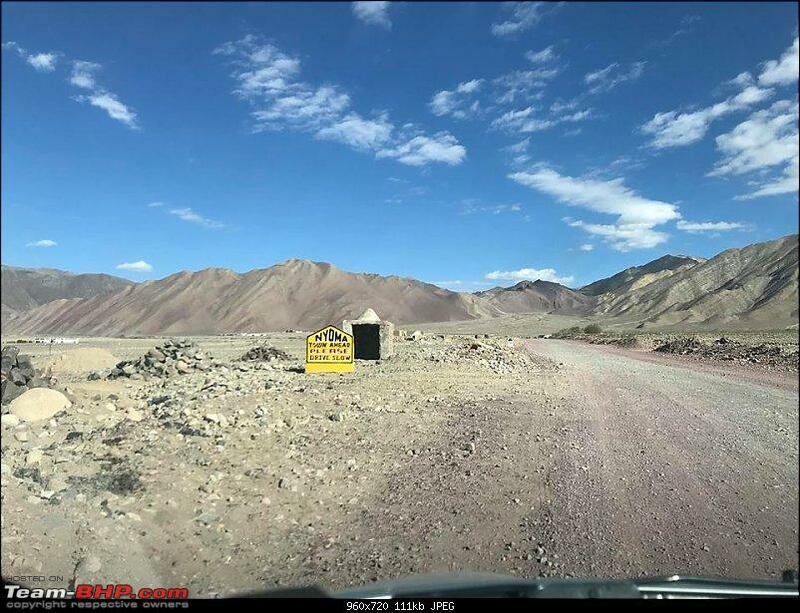 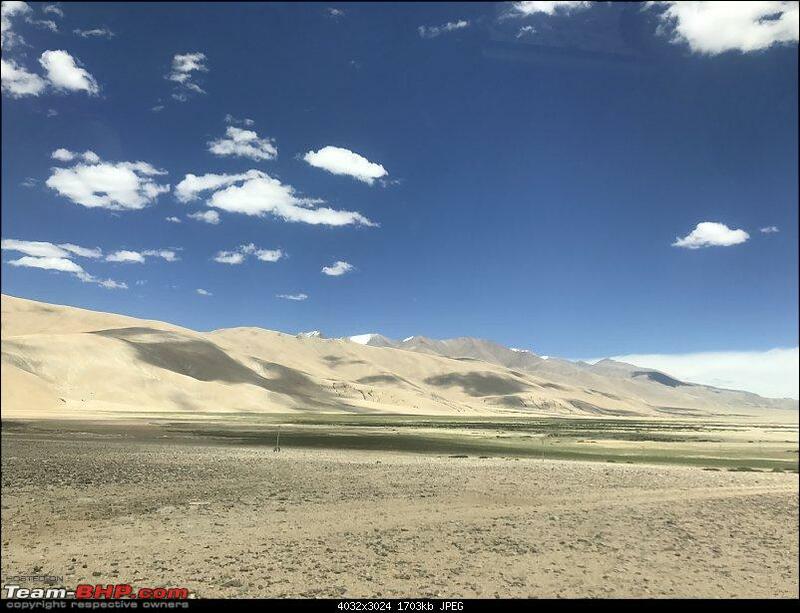 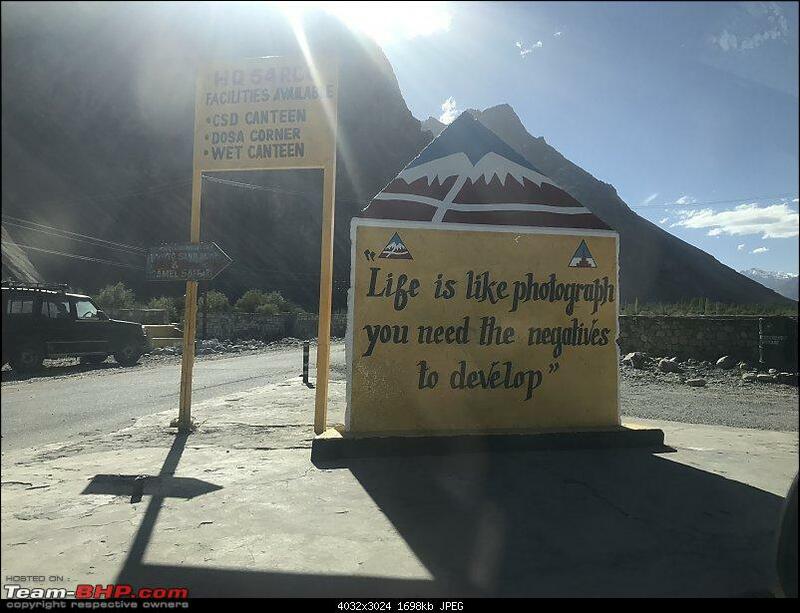 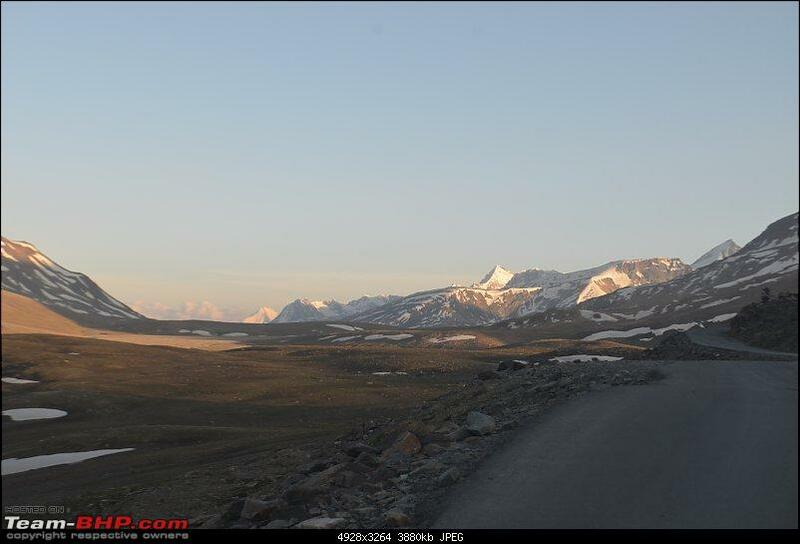 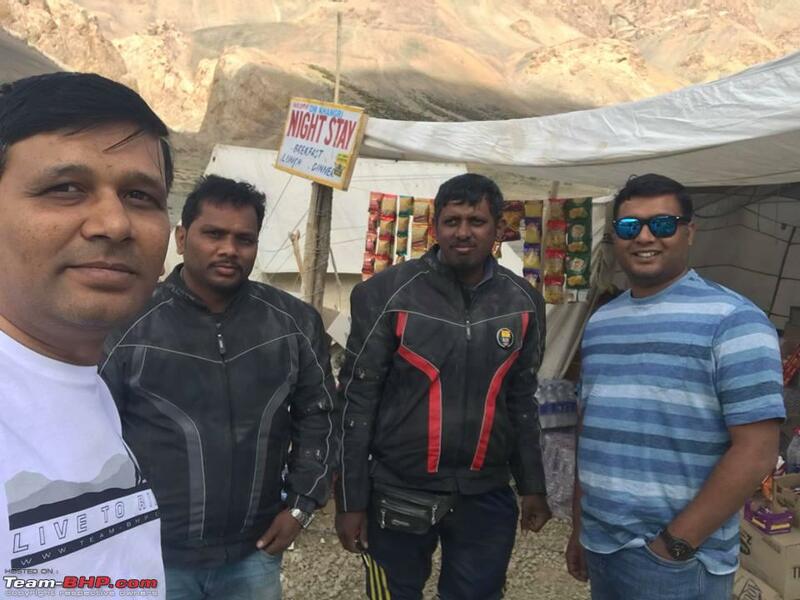 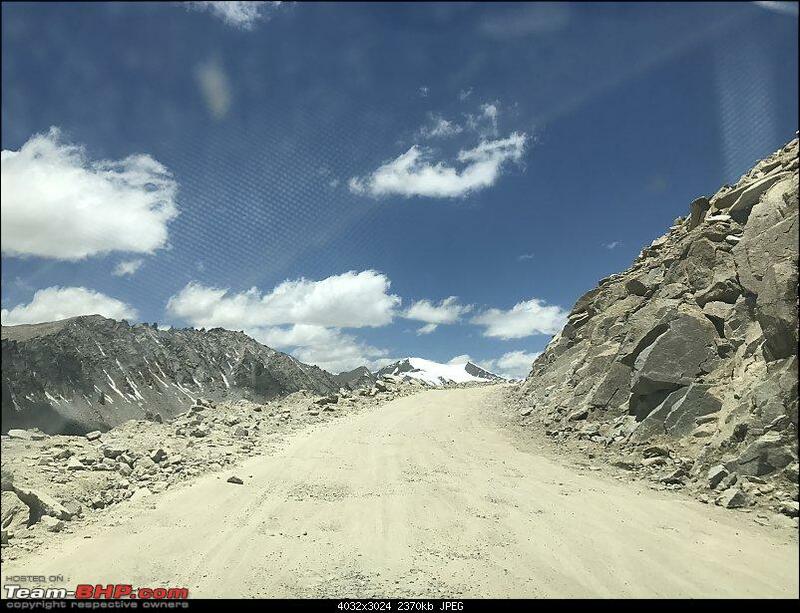 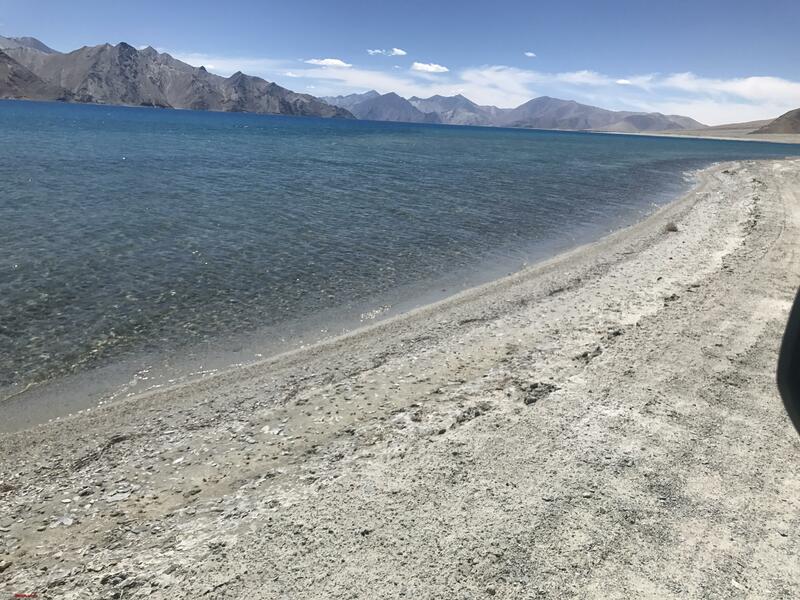 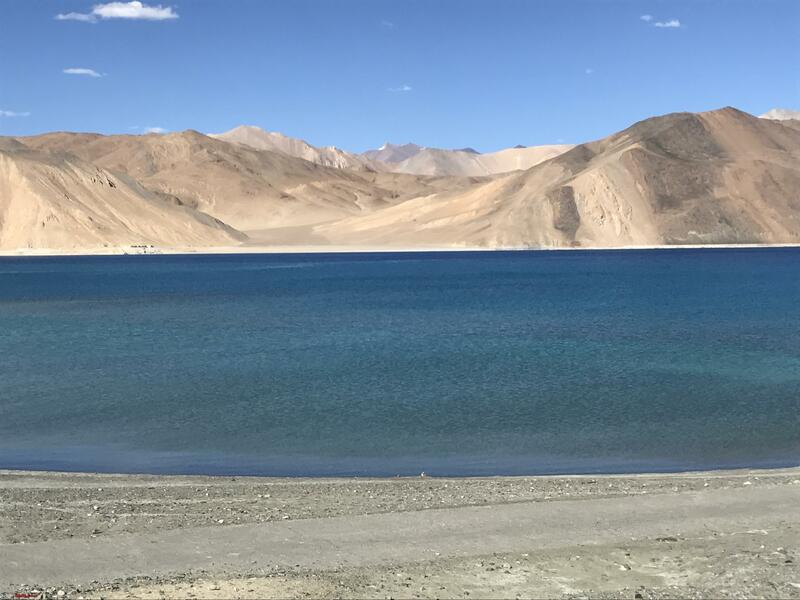 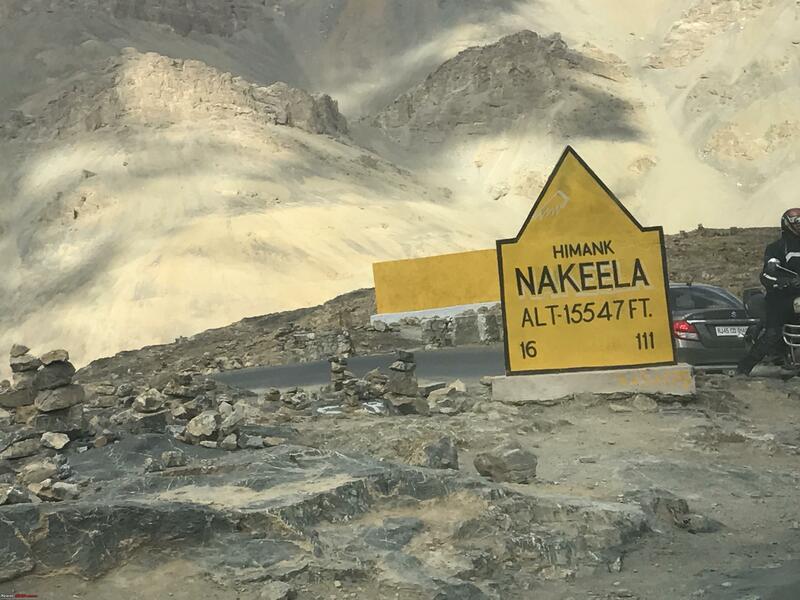 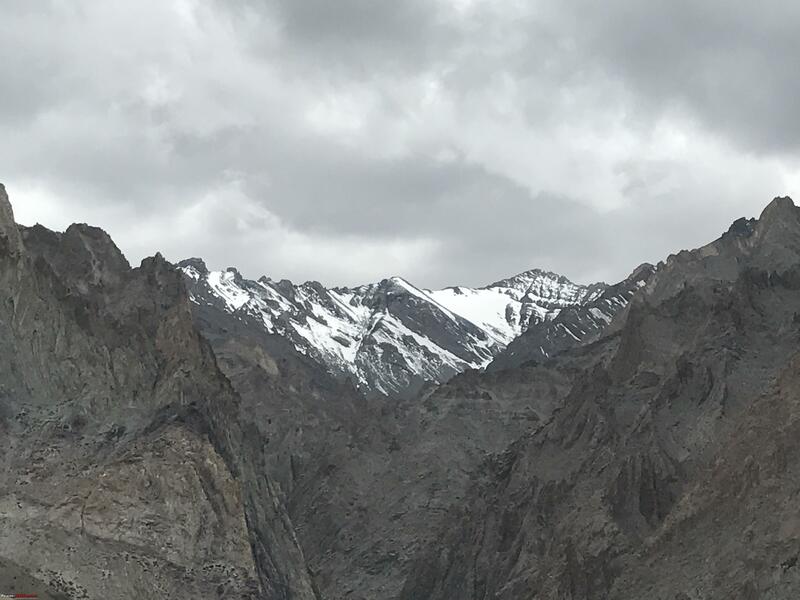 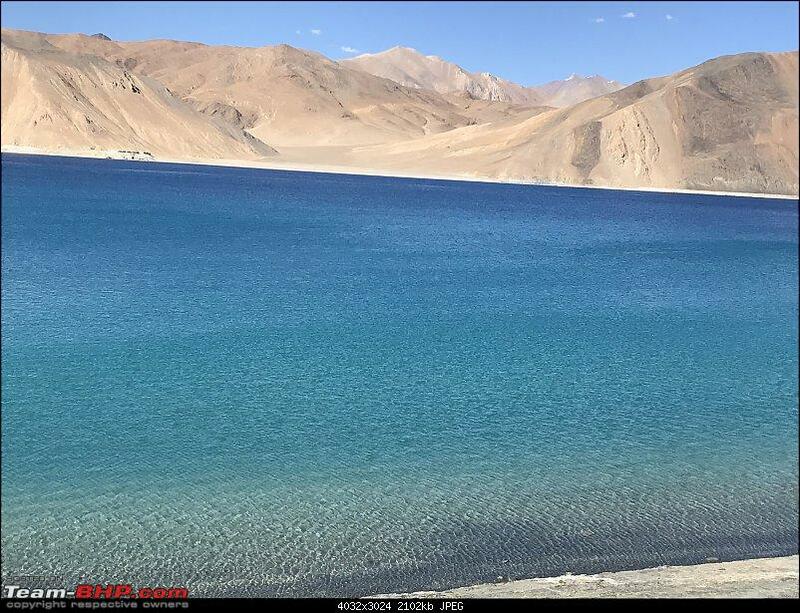 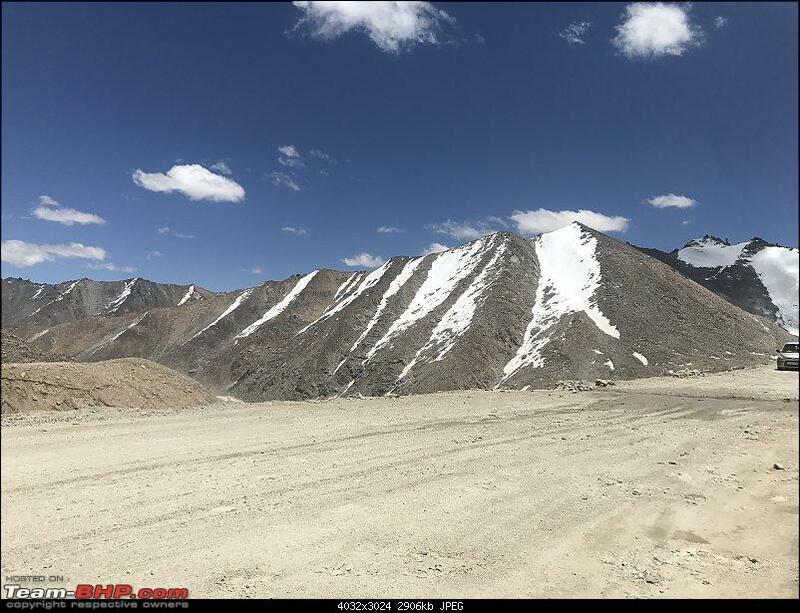 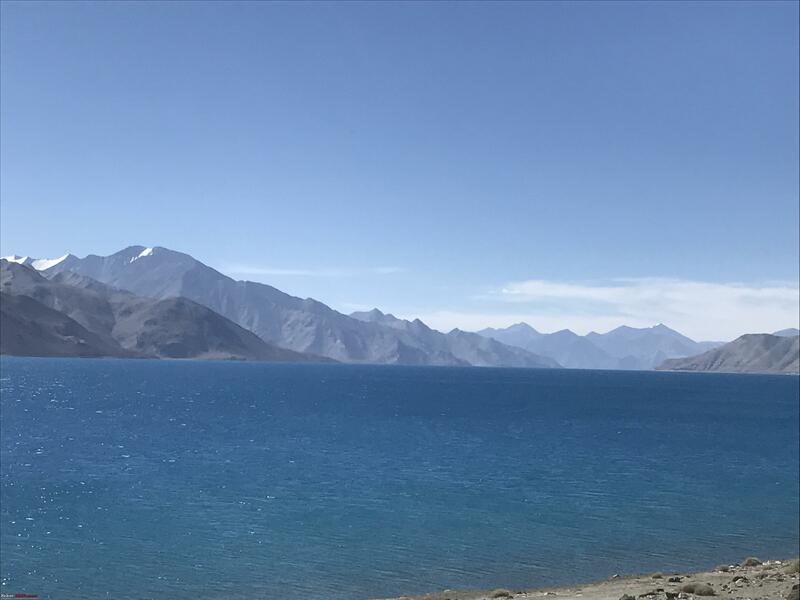 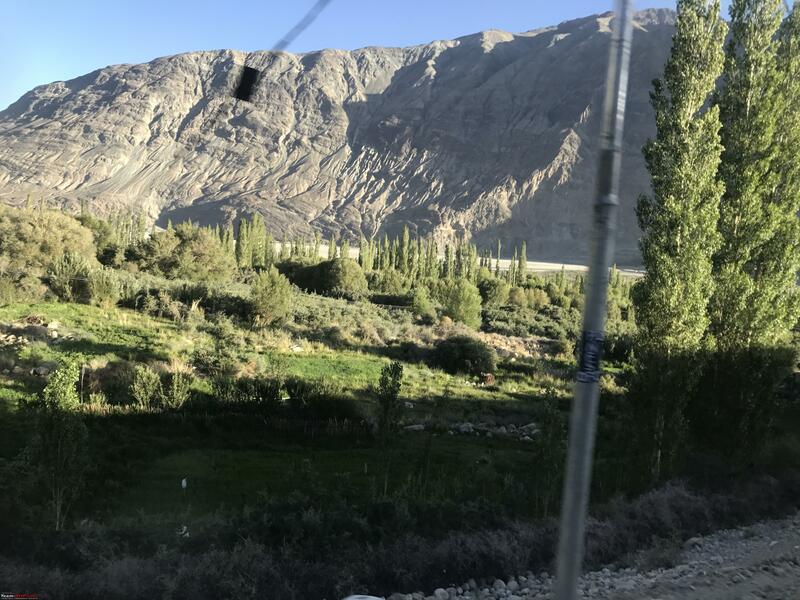 Bengaluru to Leh - Journey of a lifetime! 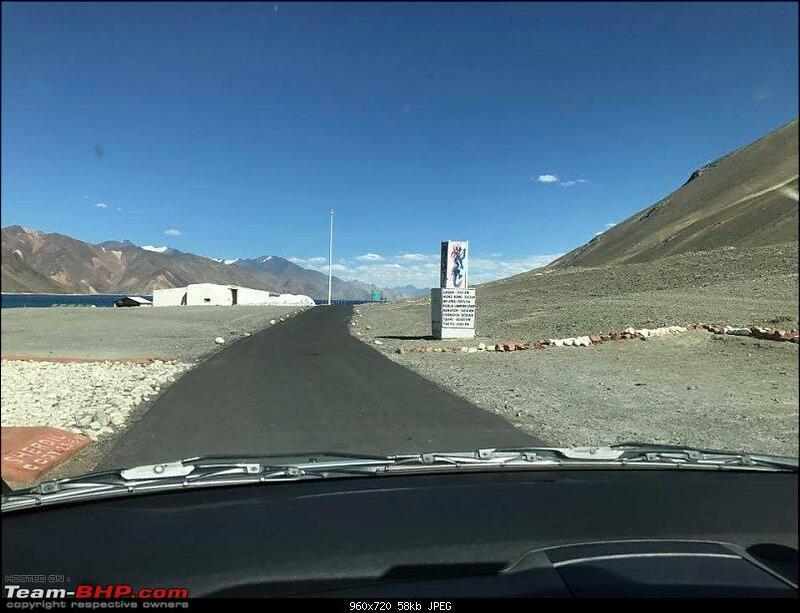 This has started around 6 years back when I was constantly reading each and every Leh post in Team-BHP and was always dreaming about when and how can I make this happen, was discussing with a few colleagues at office then, couple of them were very interested, and that’s it. 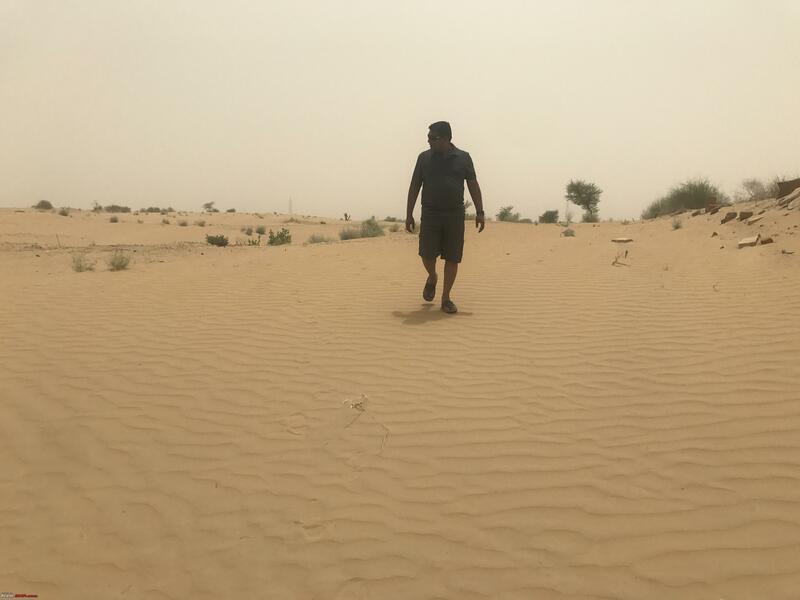 Life took many turns for all, somehow trip plan was never made. 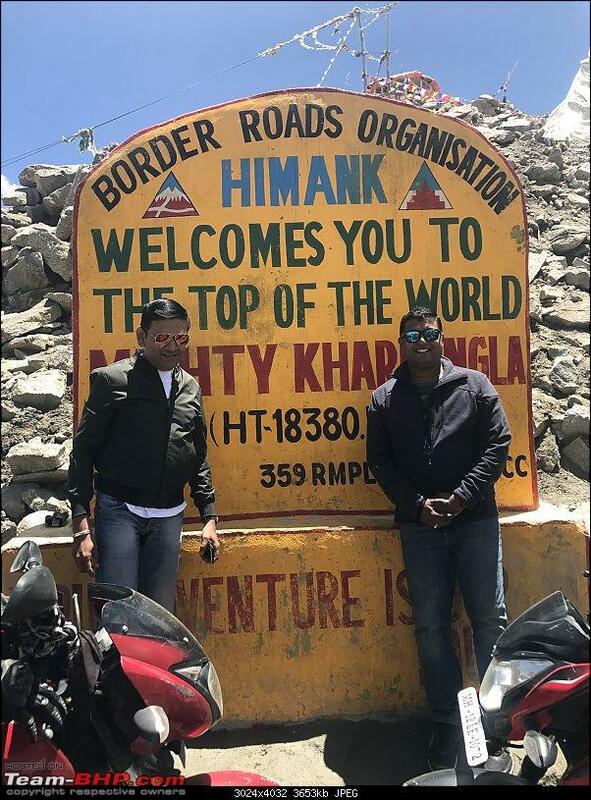 Come forward May 2018 wherein same colleagues and I (at a different office) again were casually discussing should we do the trip this time, all said yes. 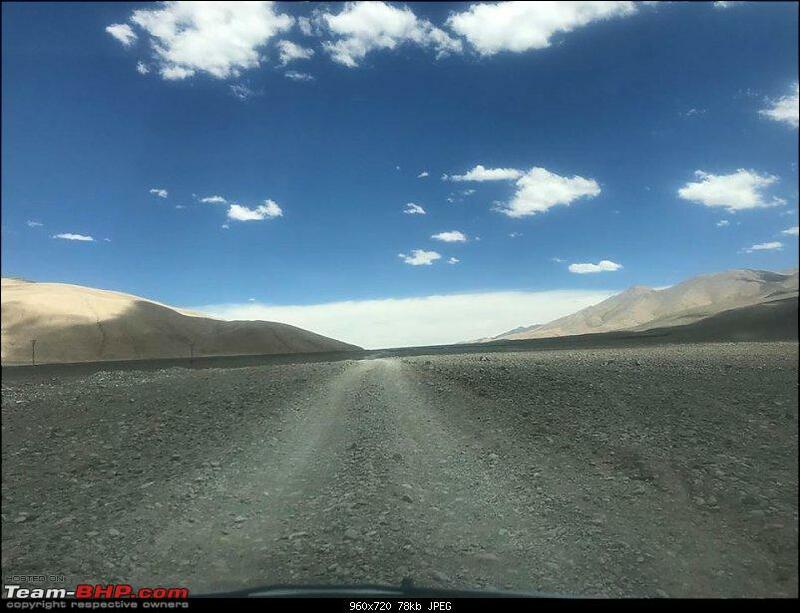 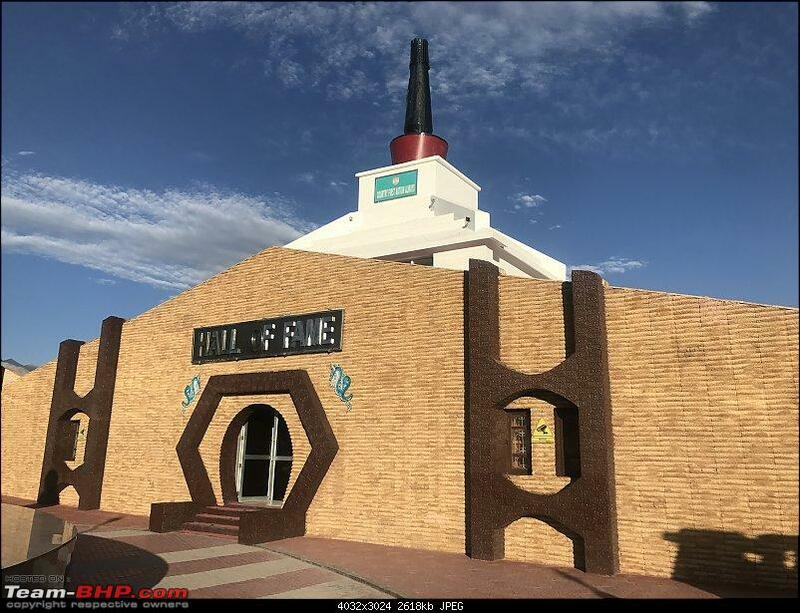 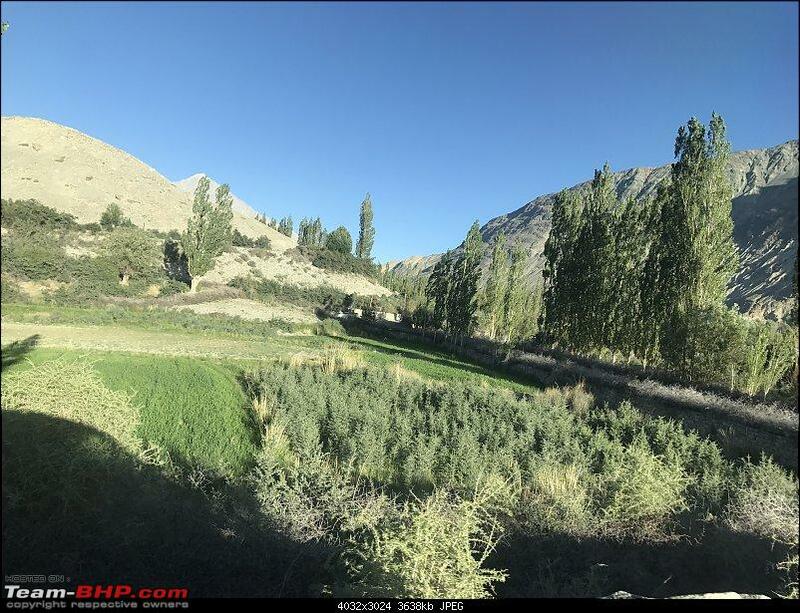 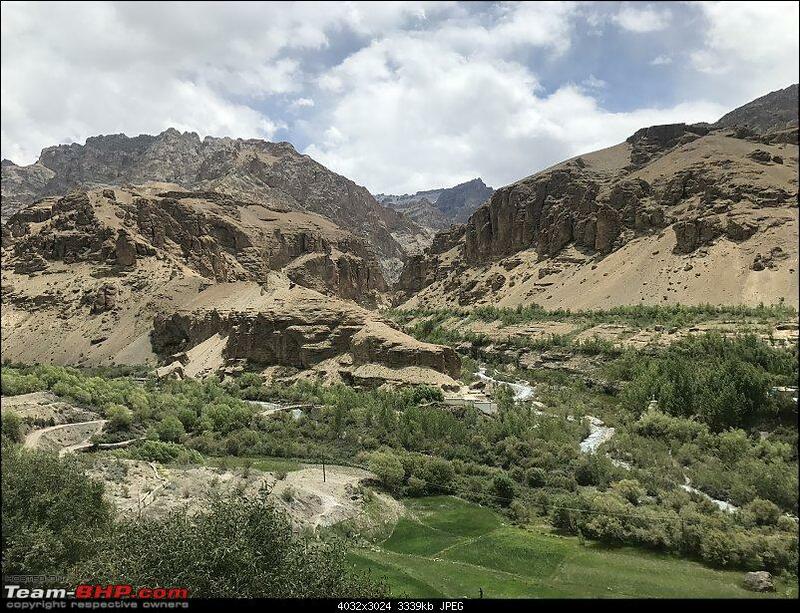 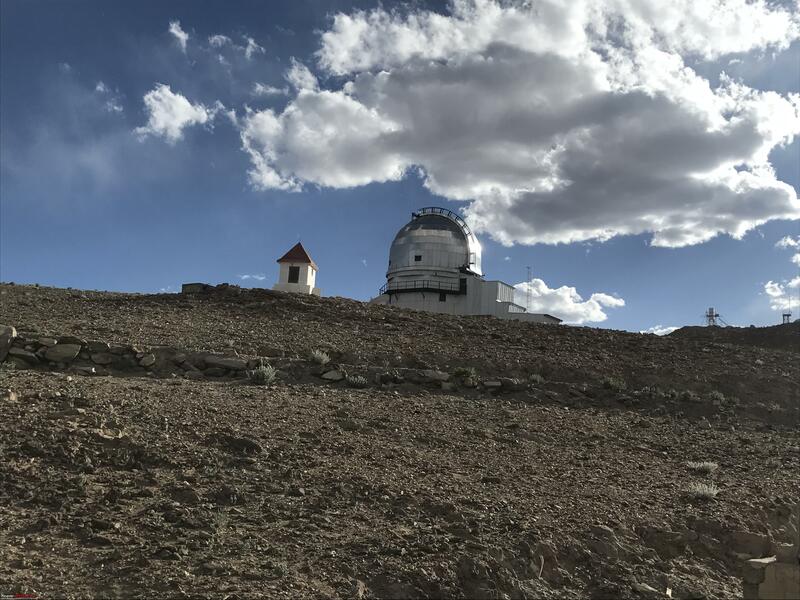 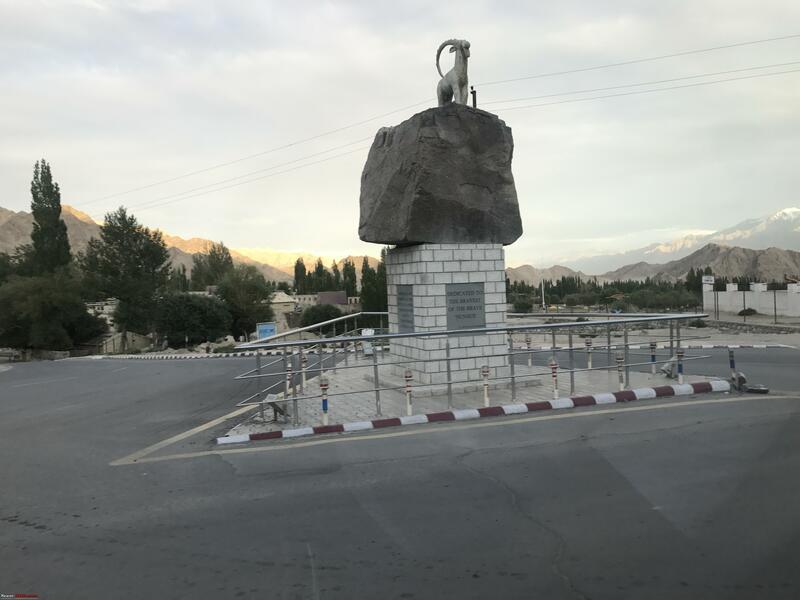 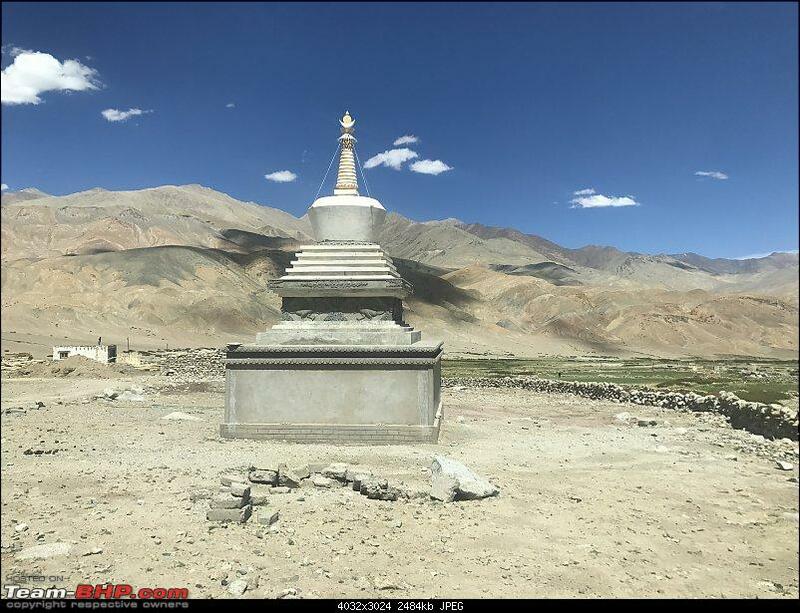 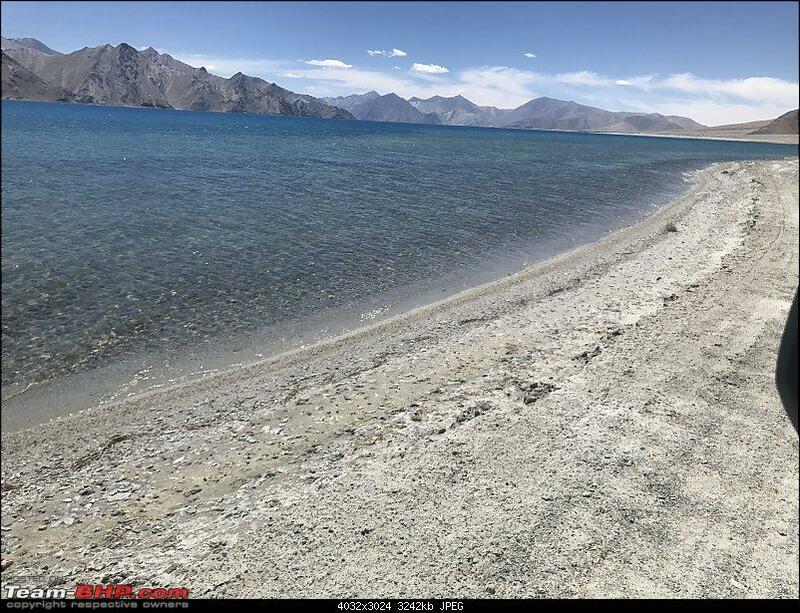 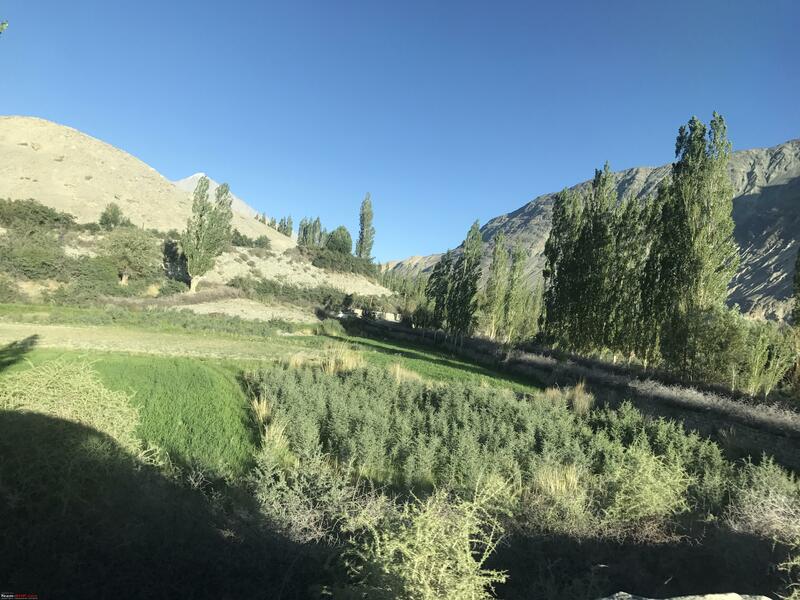 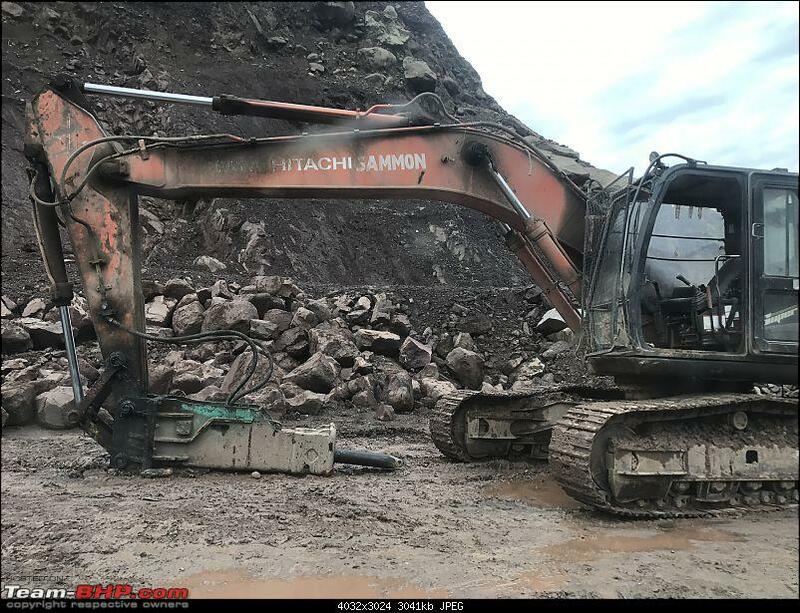 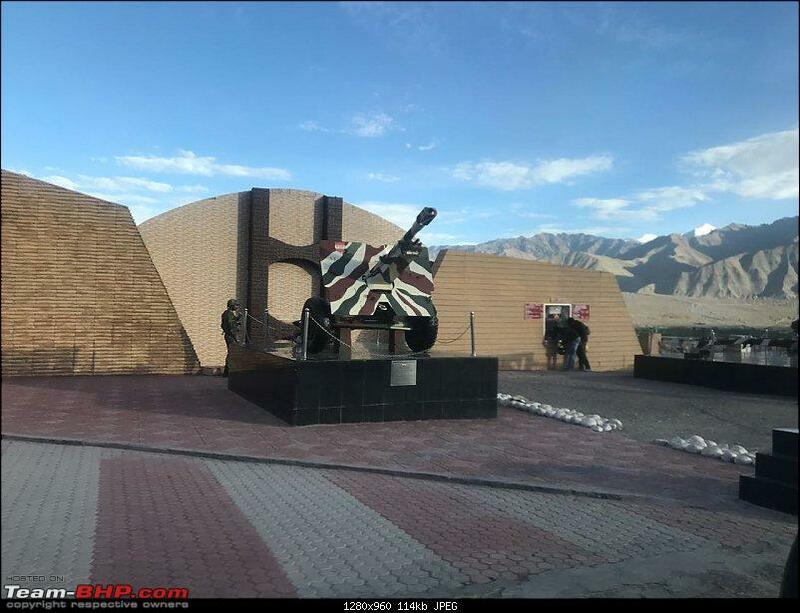 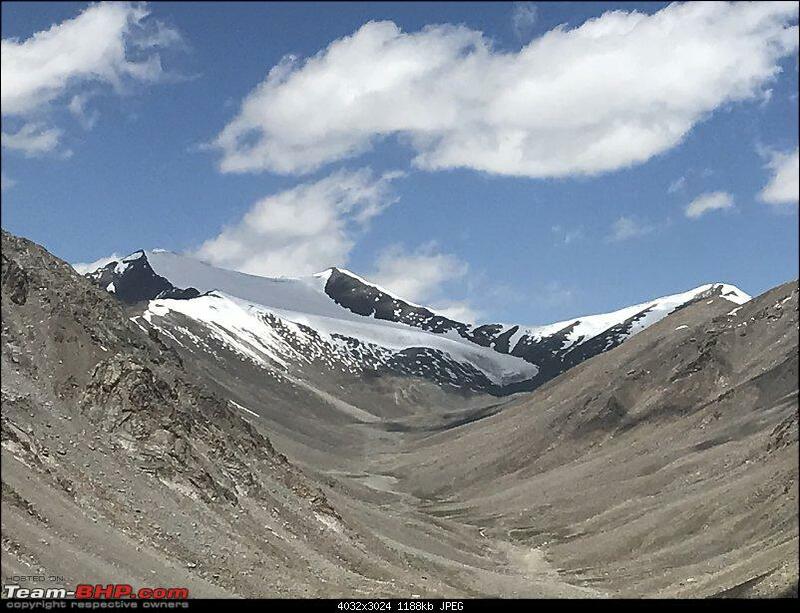 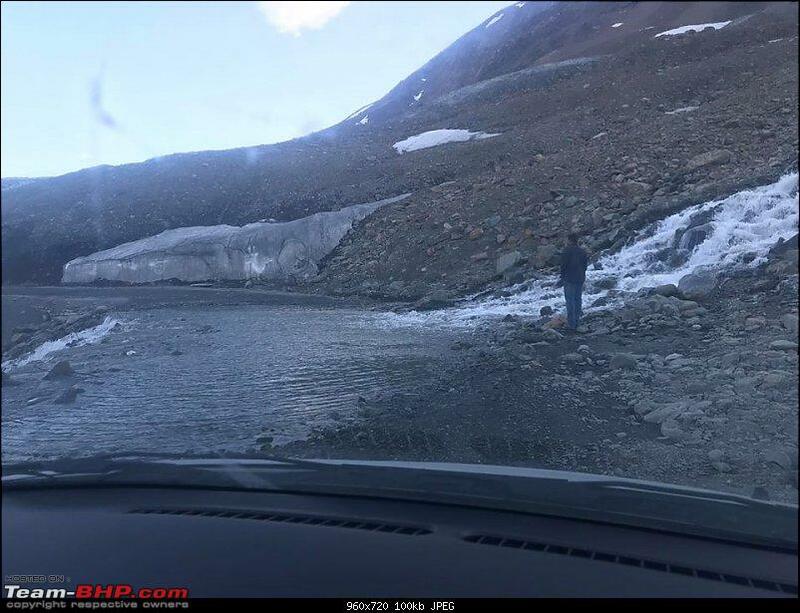 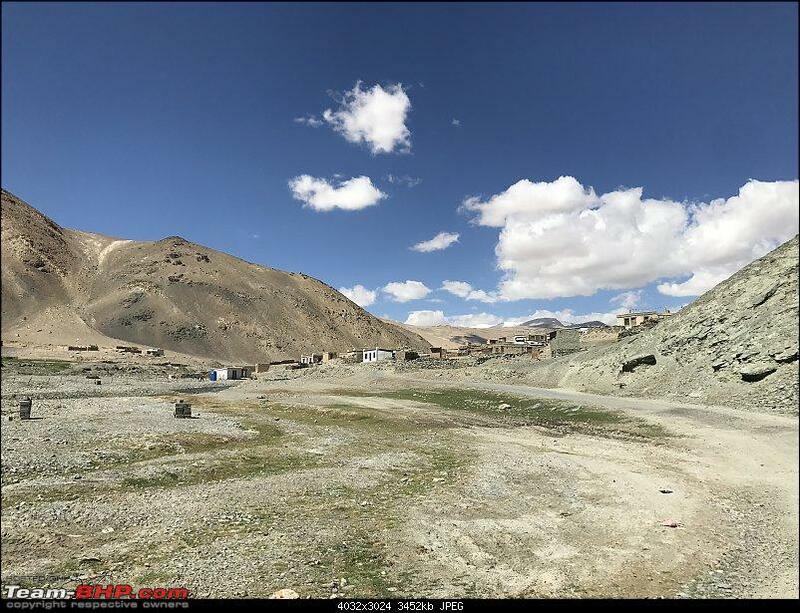 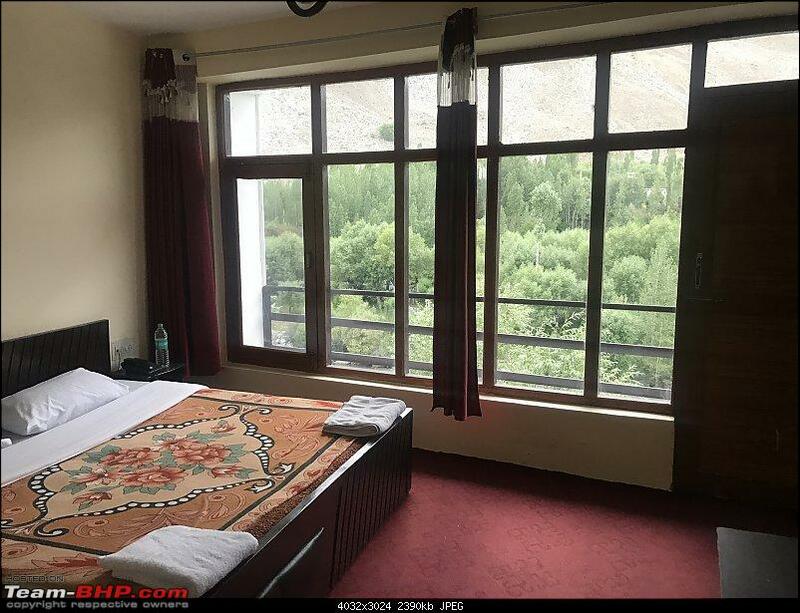 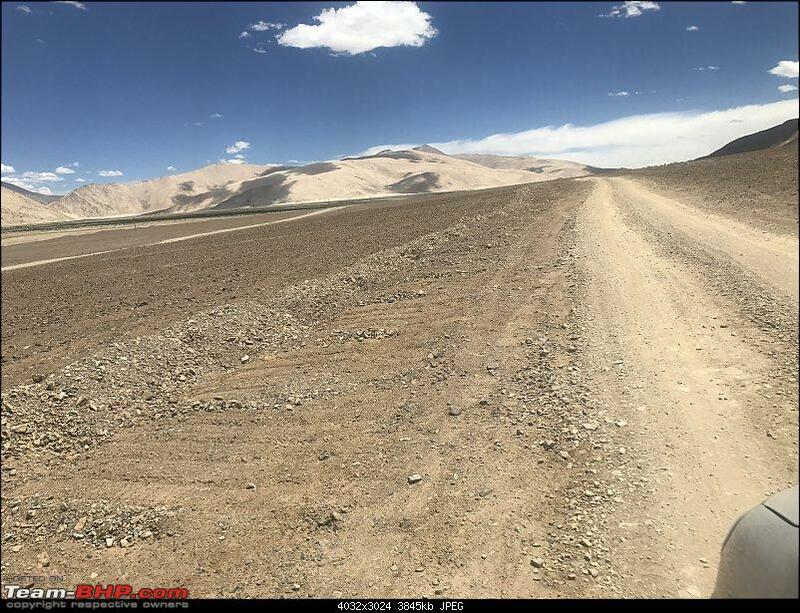 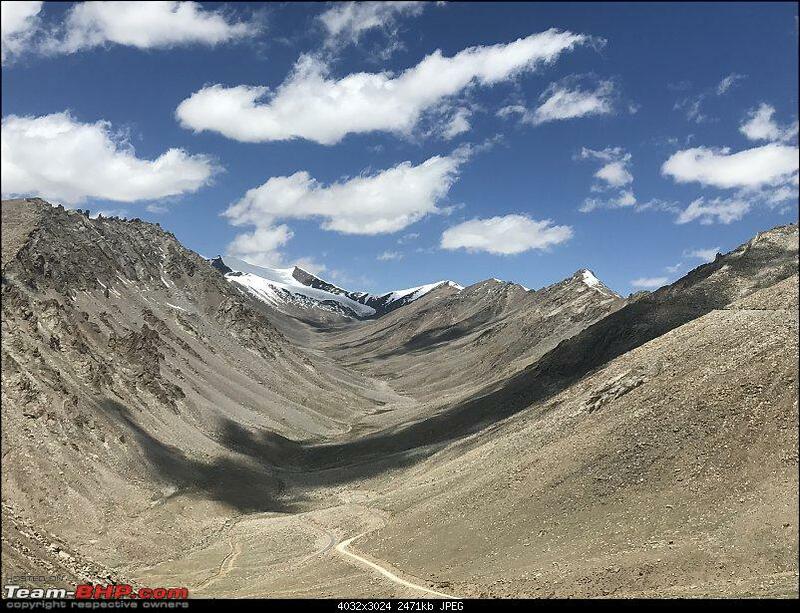 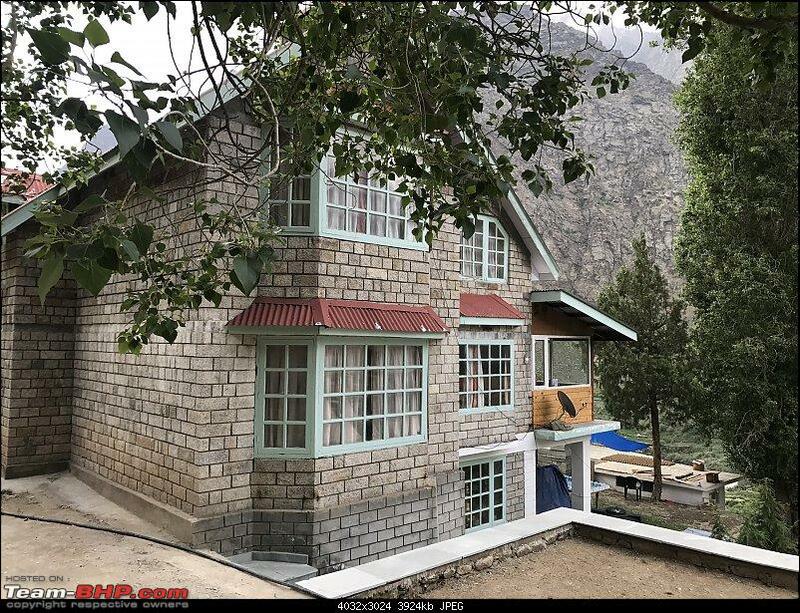 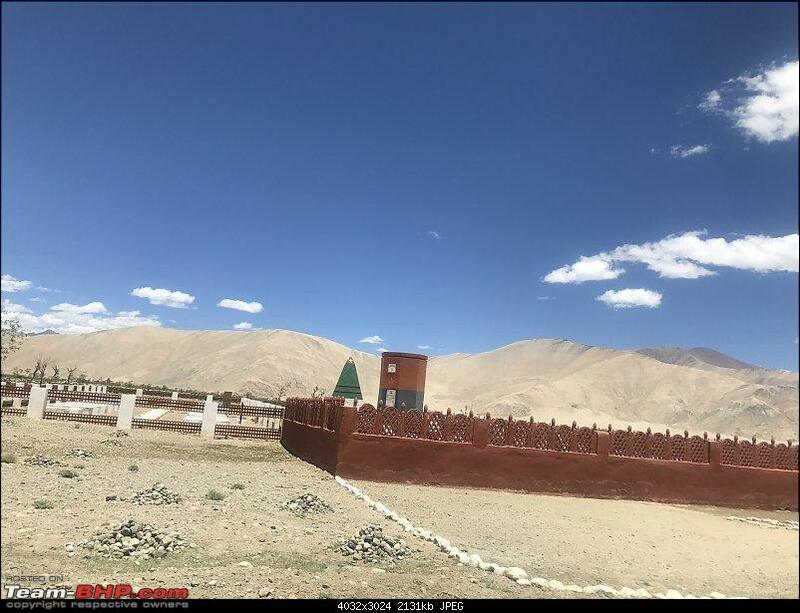 Decided lets go quickly before other things creep into the plans, and that’s how we ended up planning for our maiden Leh July 2018 trip. 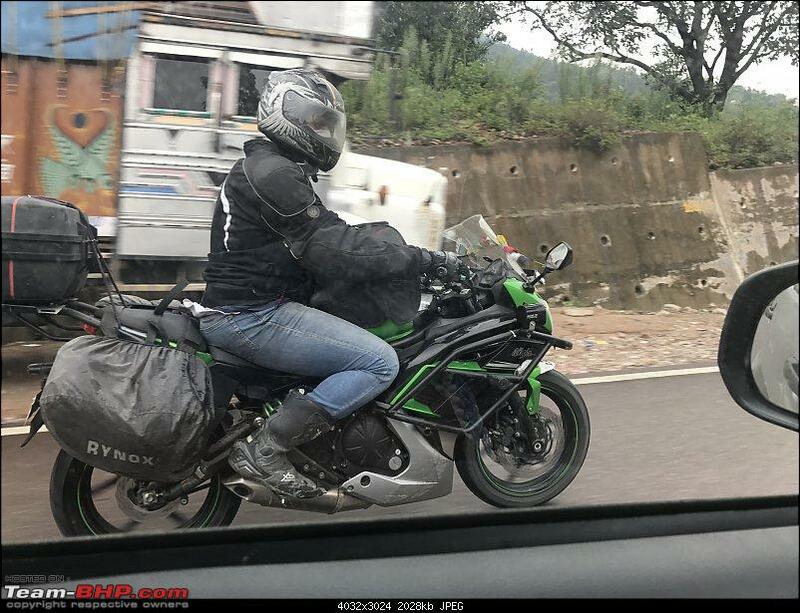 Out of the 3 of us, only 2 could make it. All leaves were approved within 4 hours of our planning. 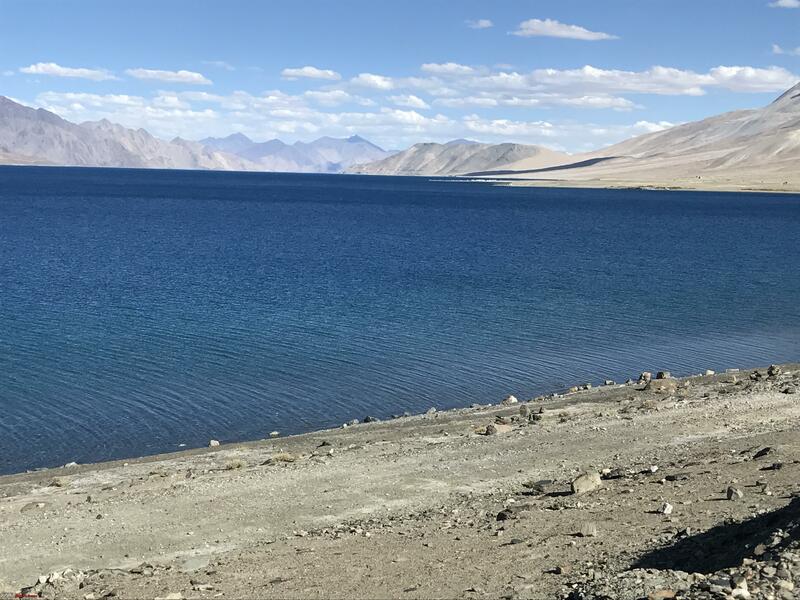 Overall 17 day trip went very well - without any issues, though there were few twists and turns as expected along the way. 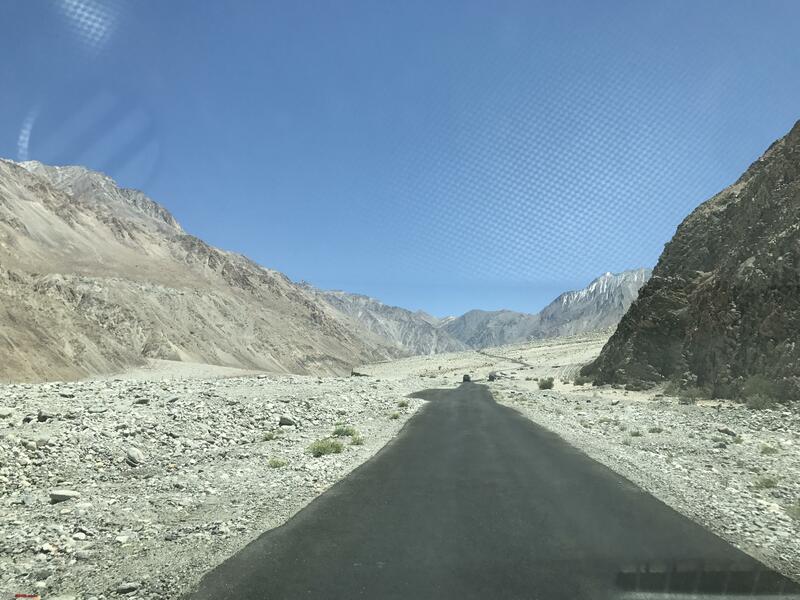 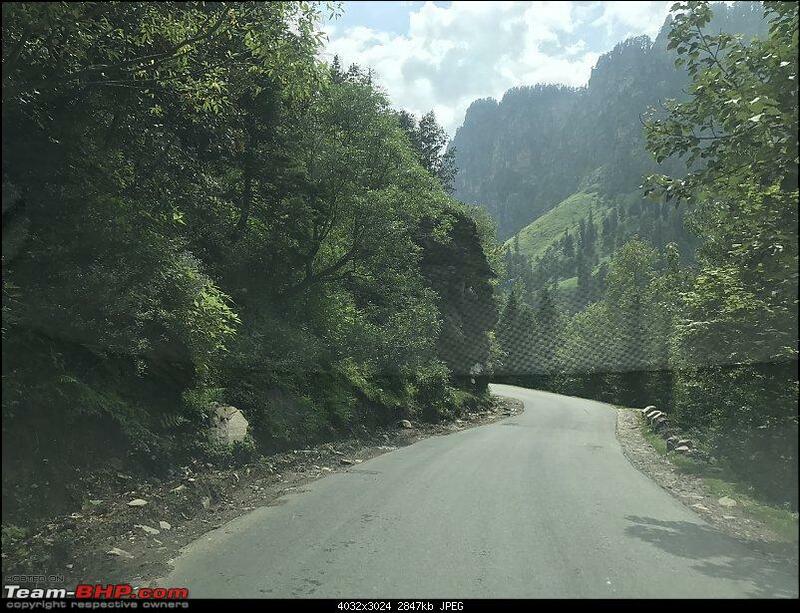 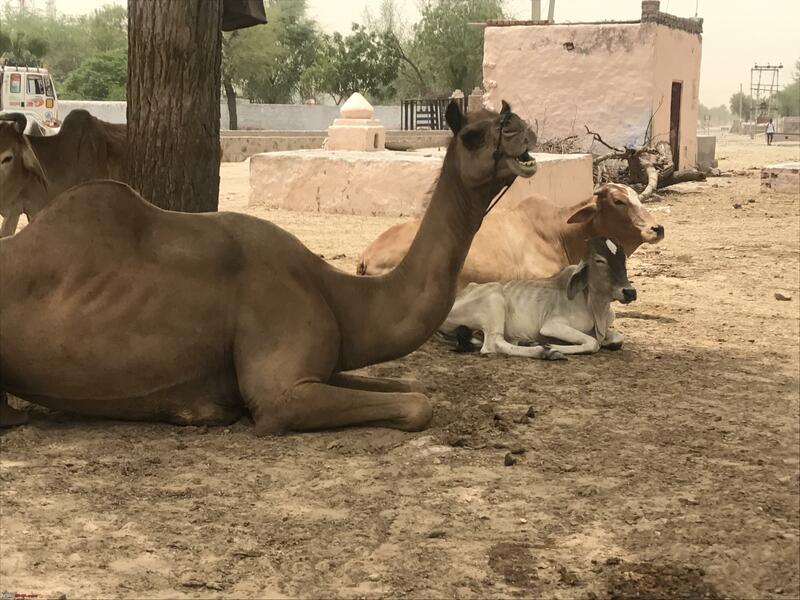 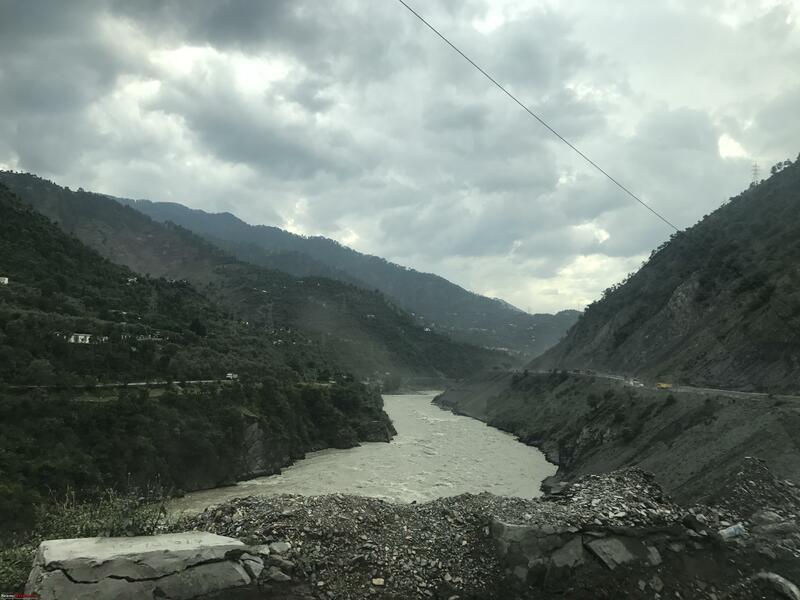 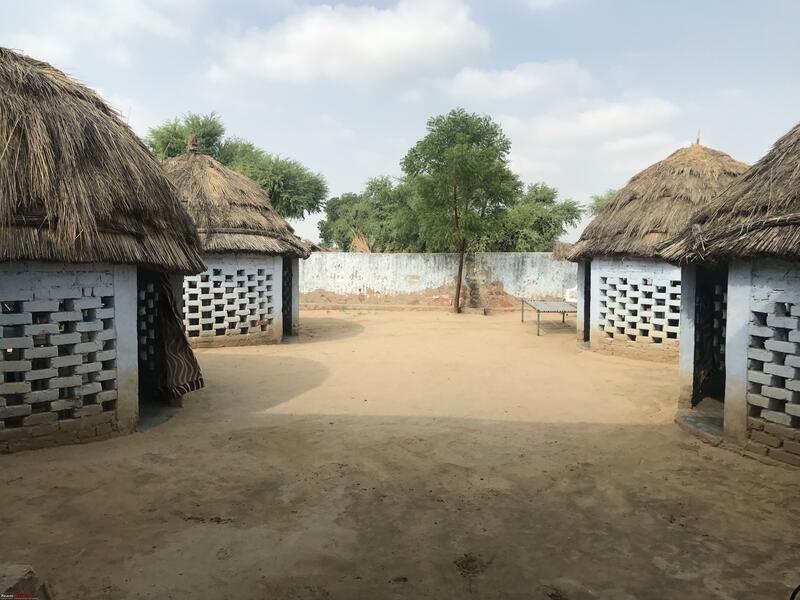 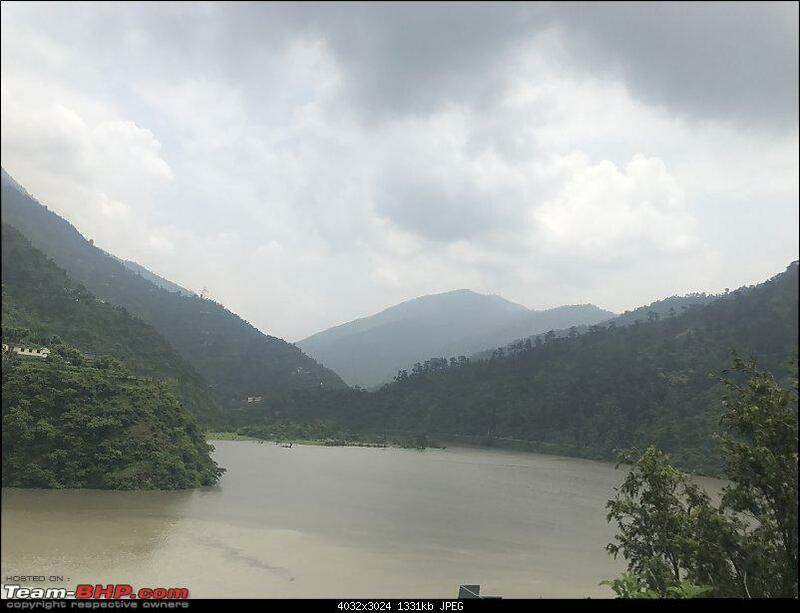 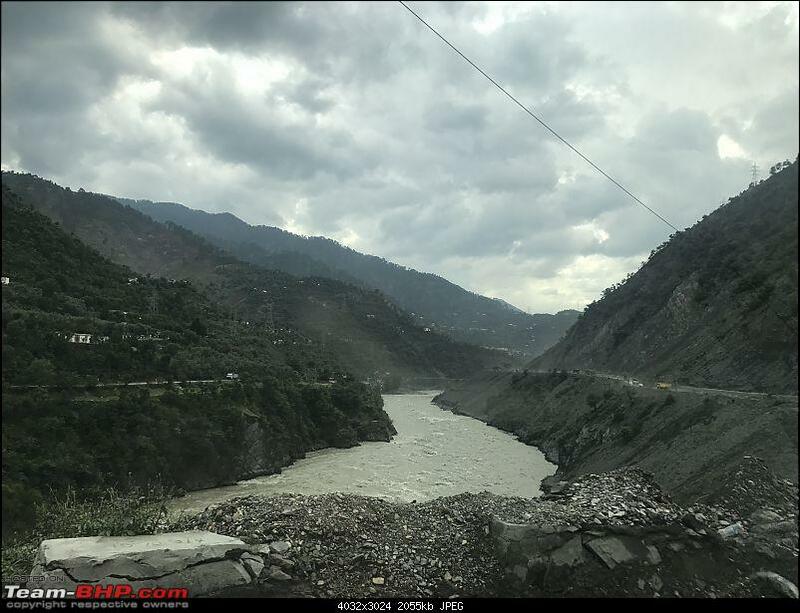 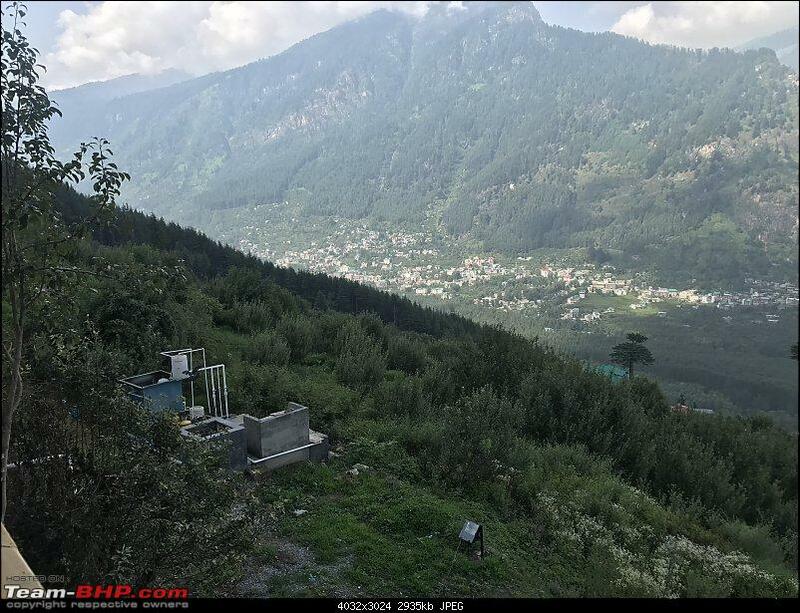 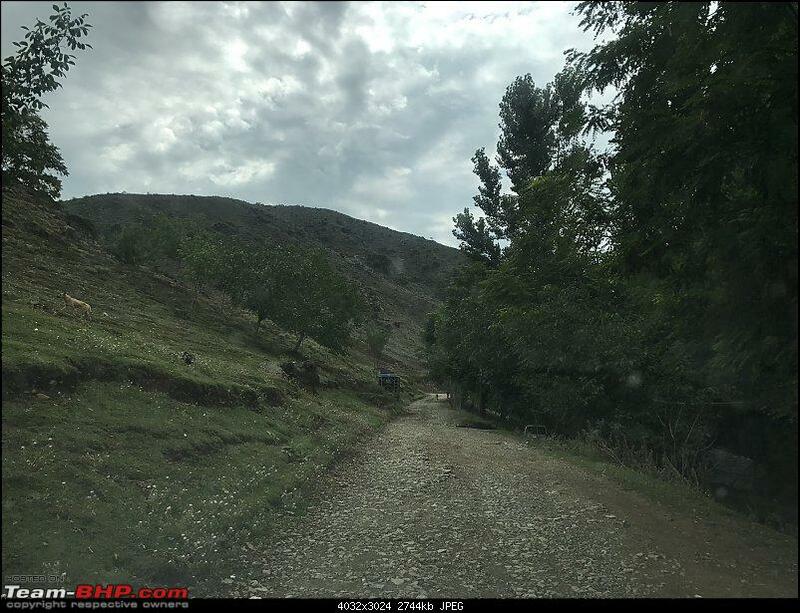 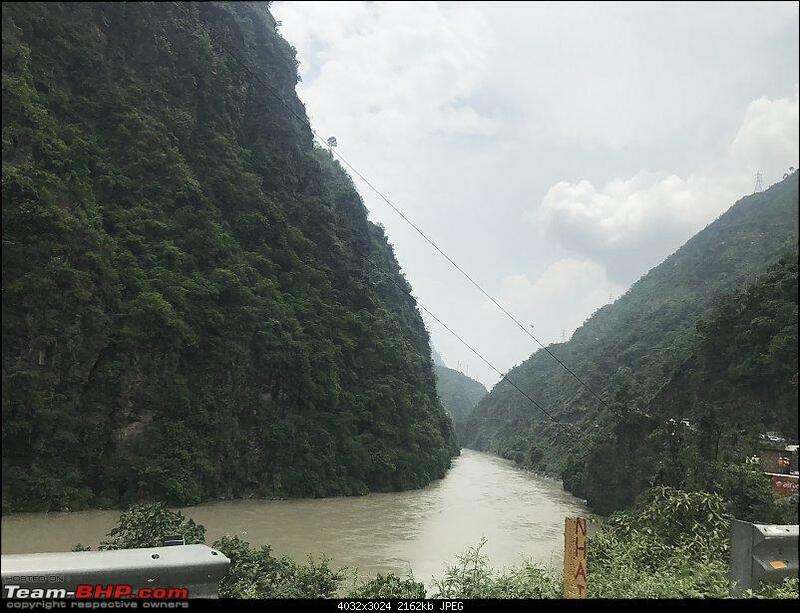 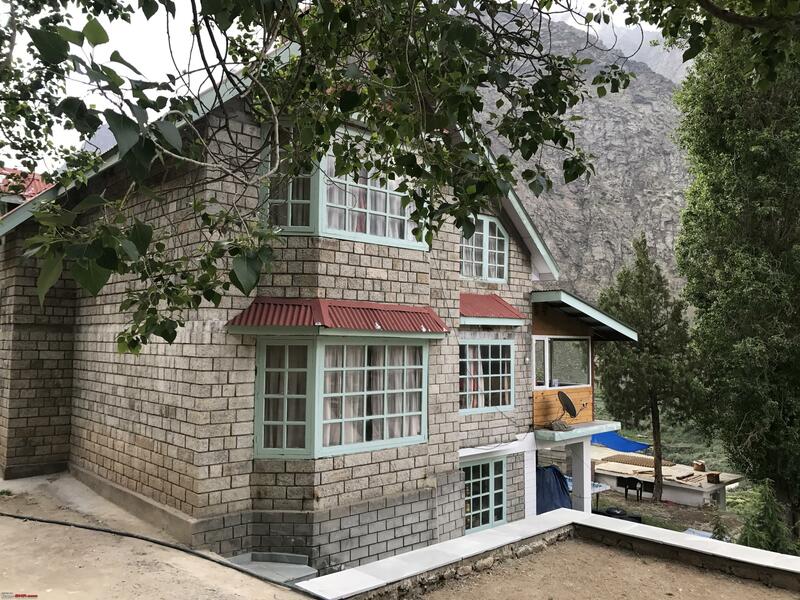 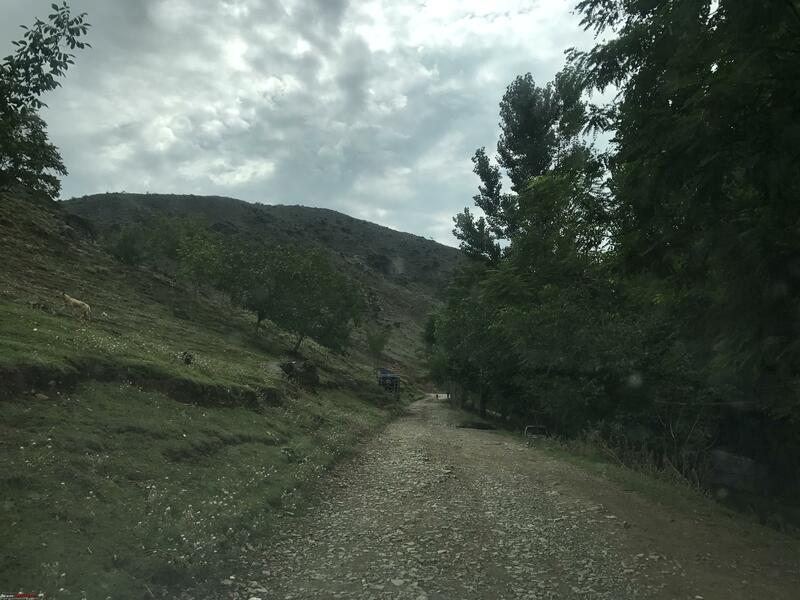 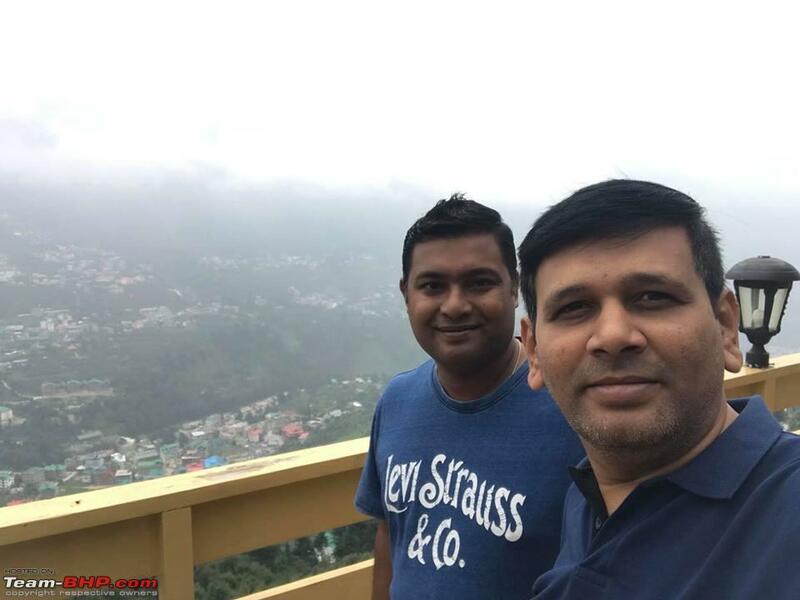 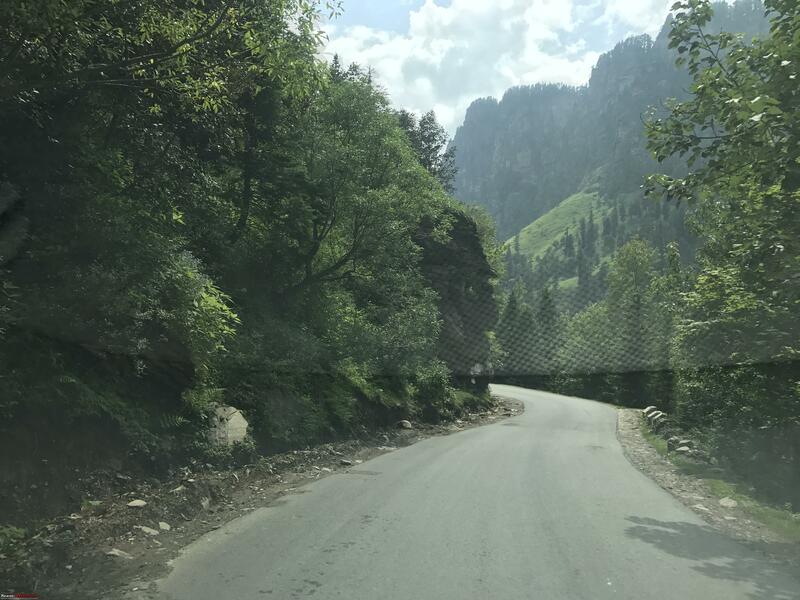 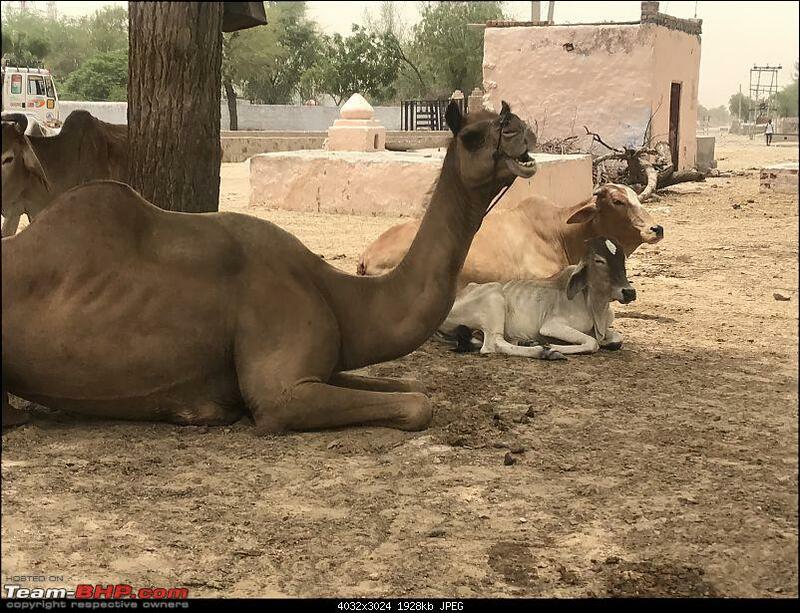 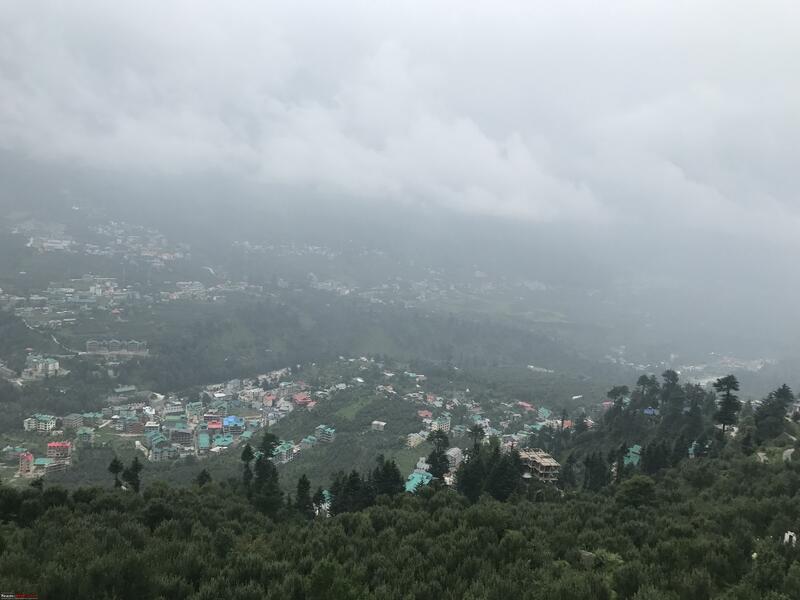 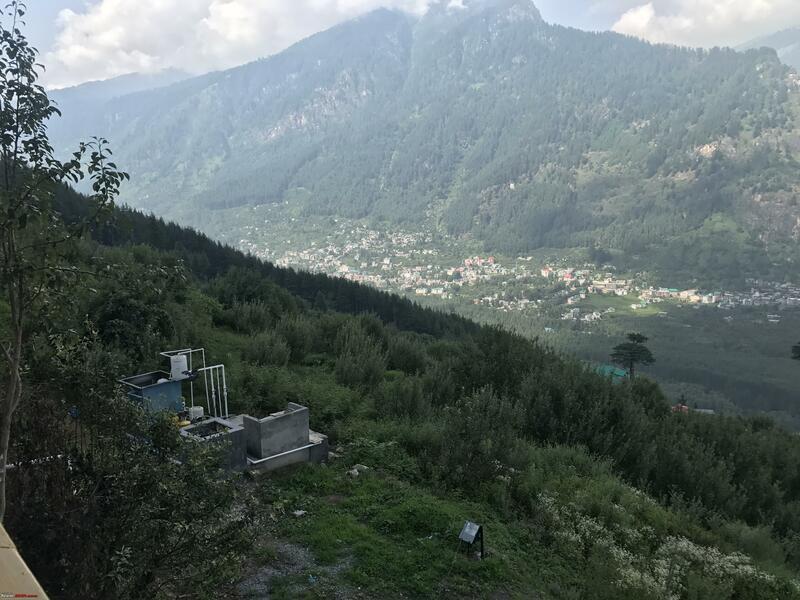 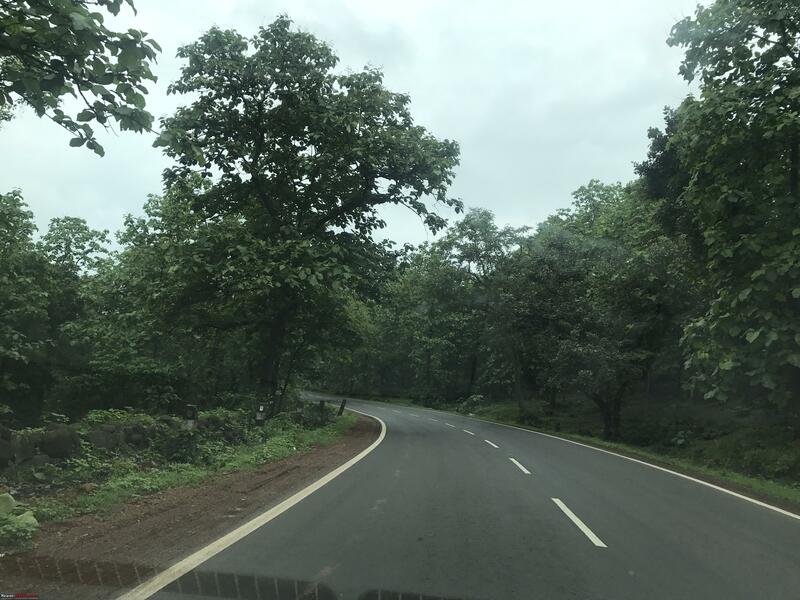 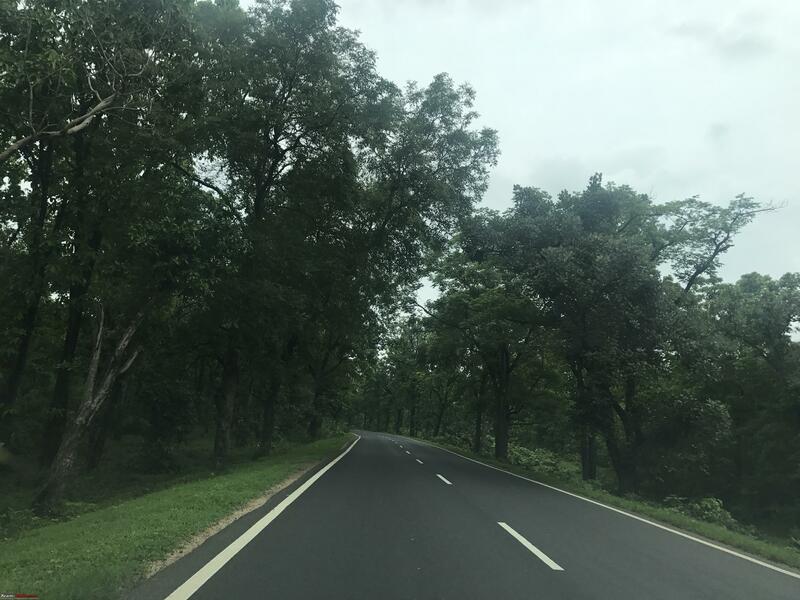 Dates of the trip - 30th June to 15th July 2018. 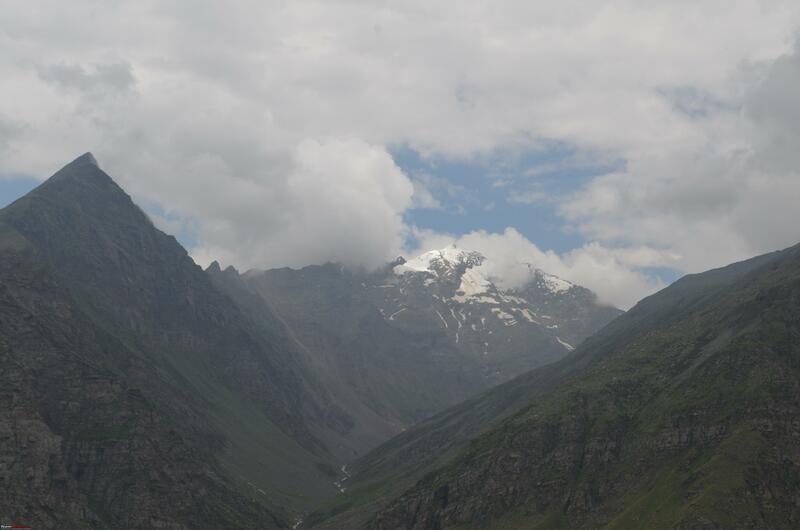 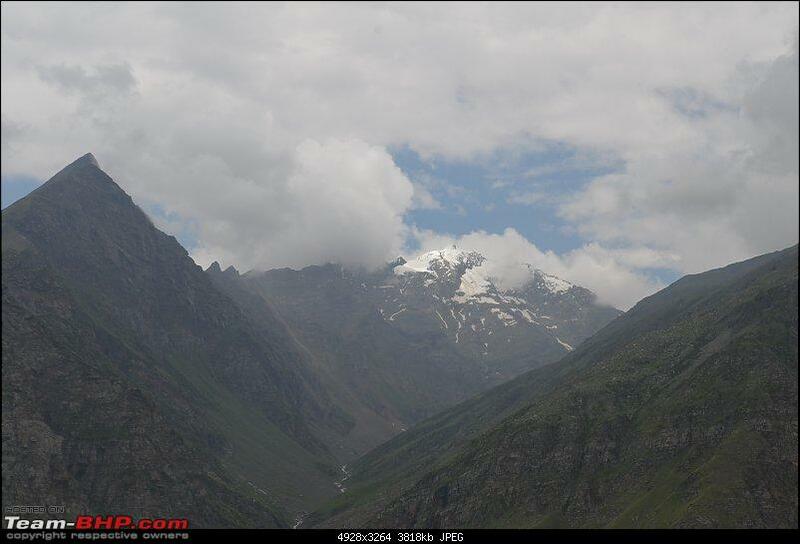 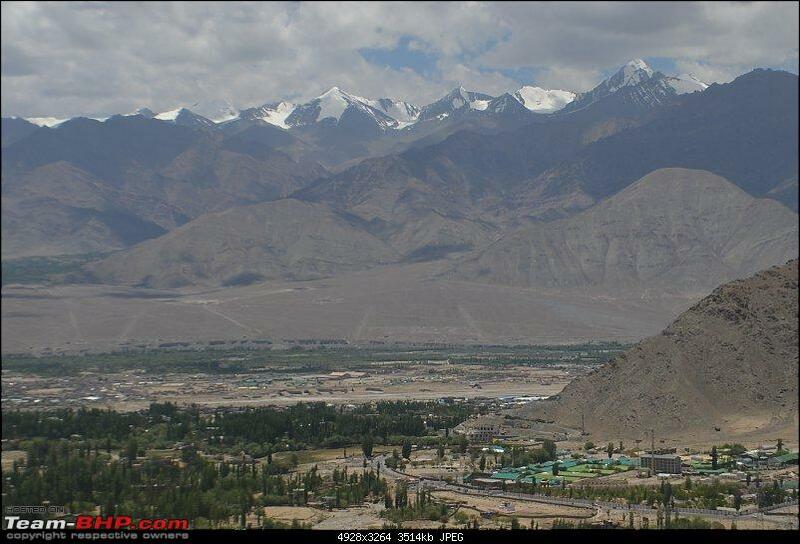 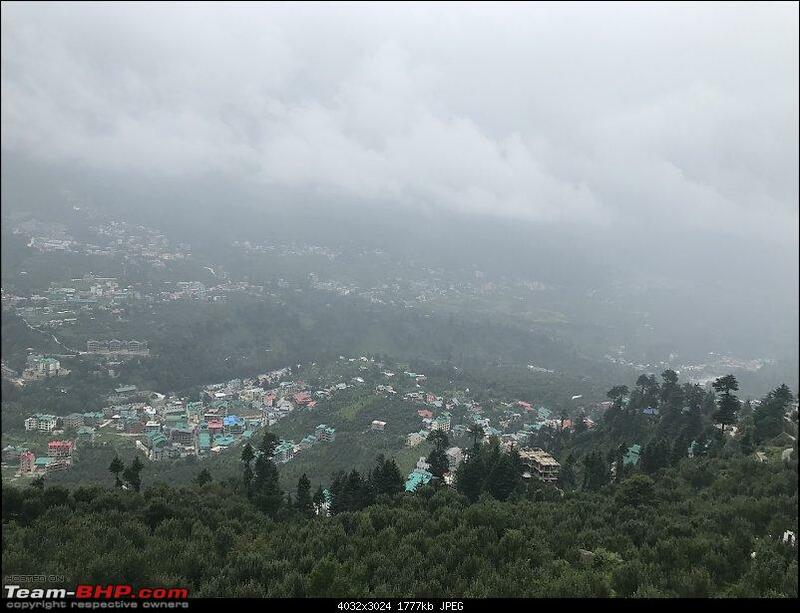 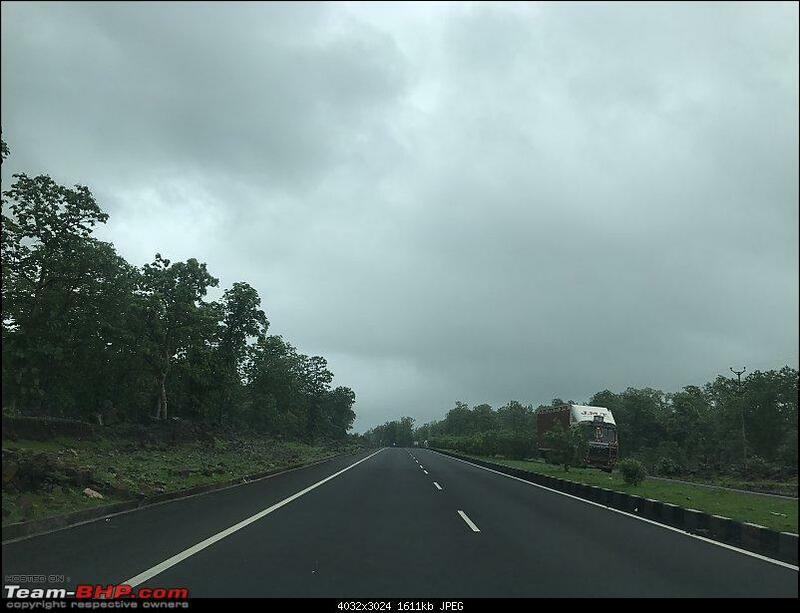 Overall good weather, good season to visit., watch out for the Amarnath Yatri crowd and rains at Mumbai. 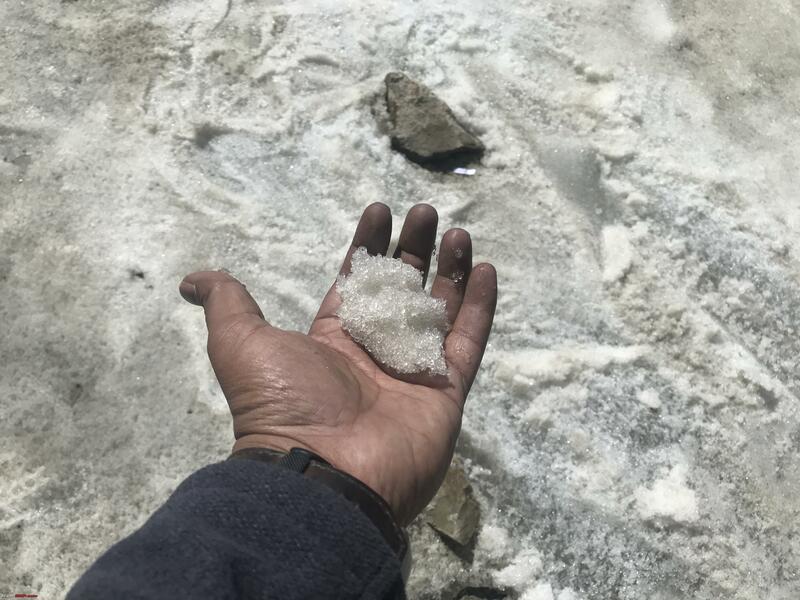 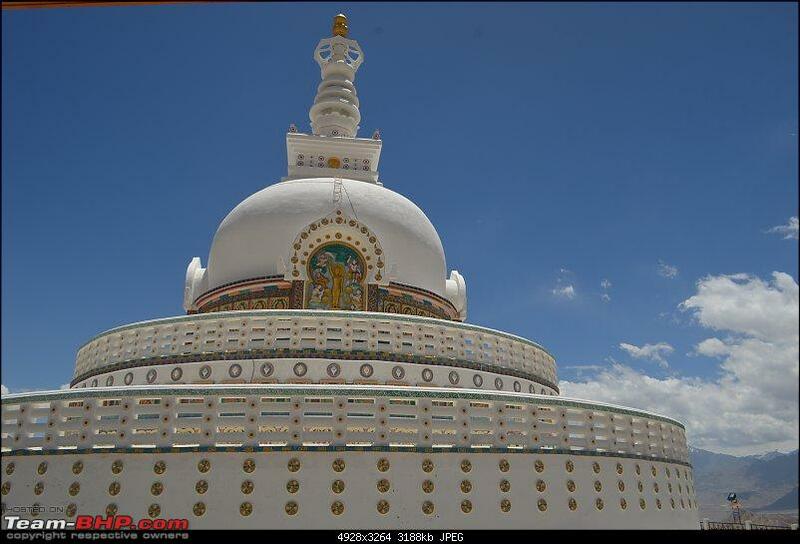 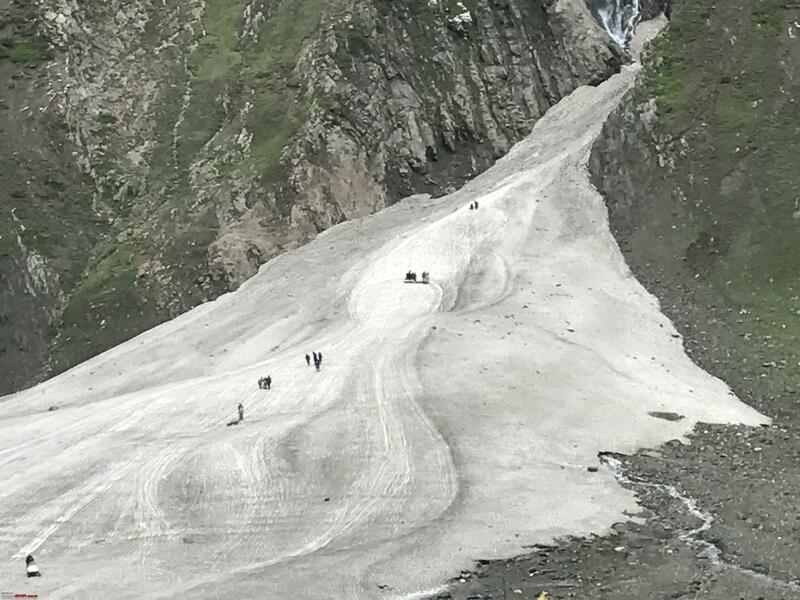 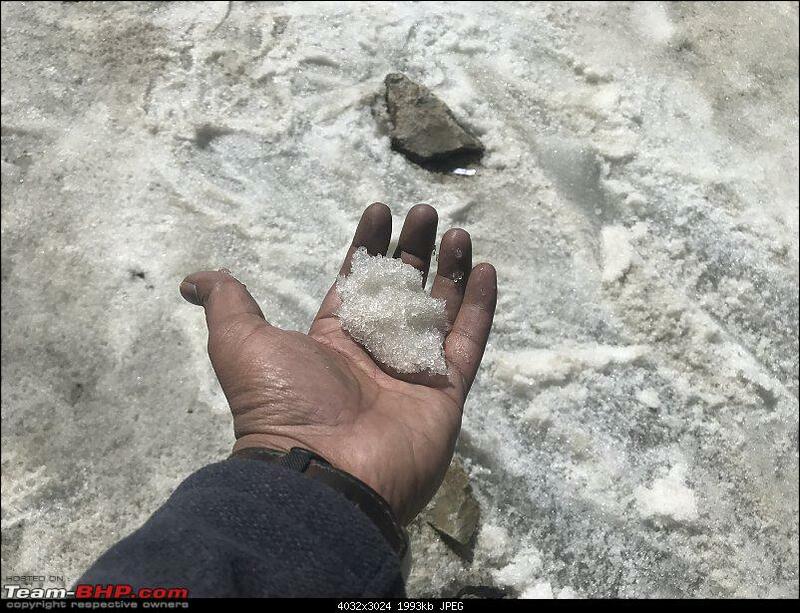 If you want to see snow/good amount of ice., do visit during May or Oct.
Last edited by srikanthpotluri : 28th December 2018 at 16:46. 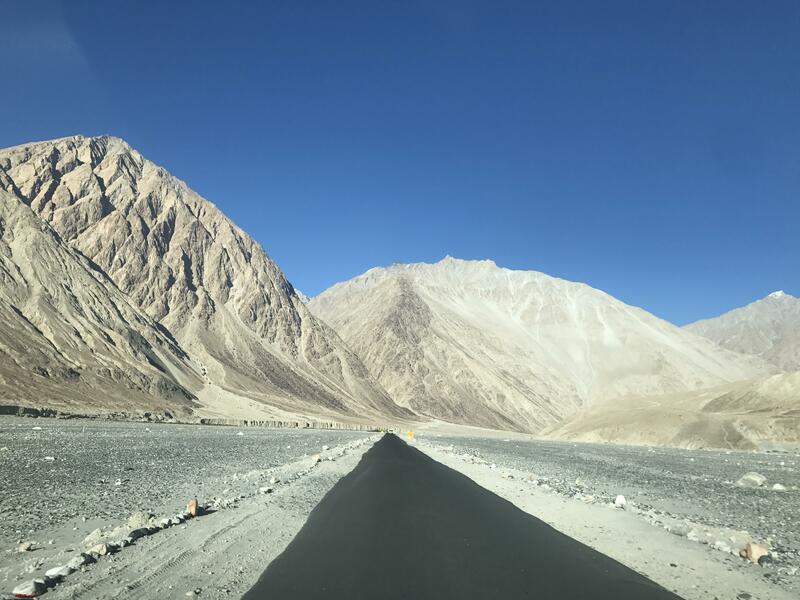 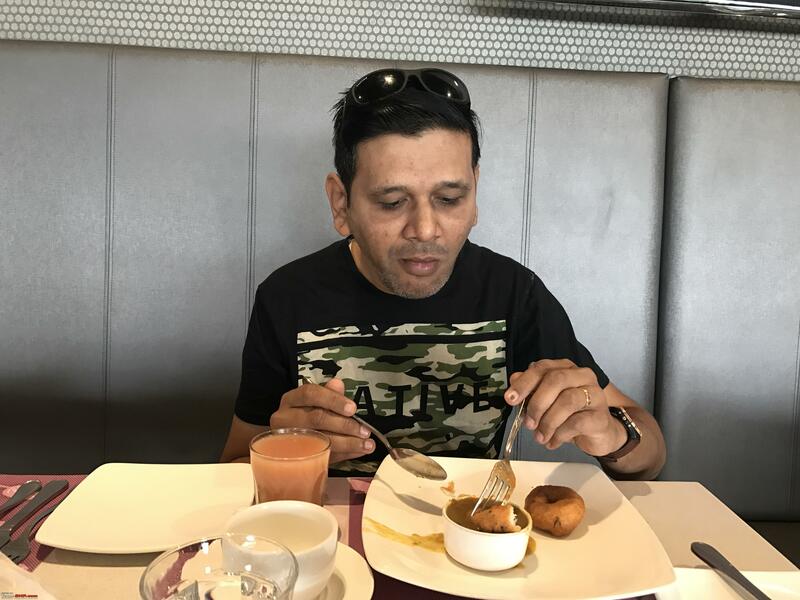 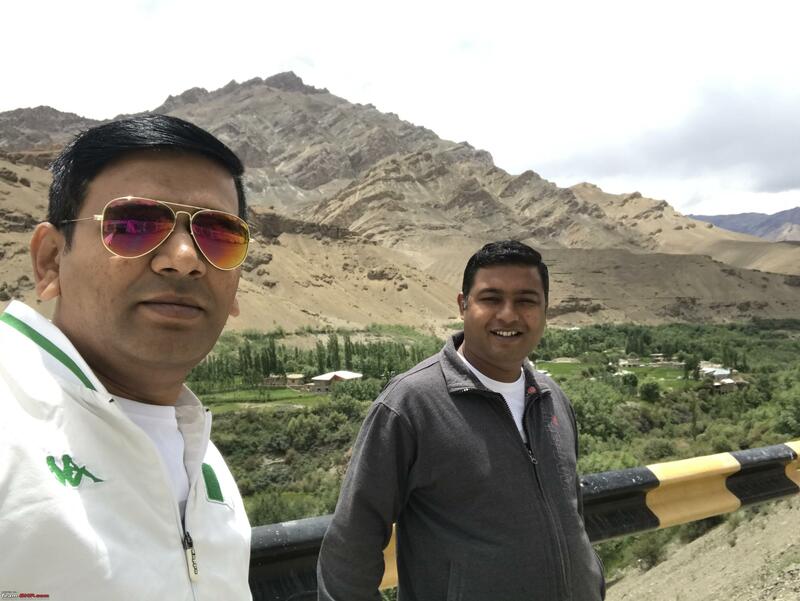 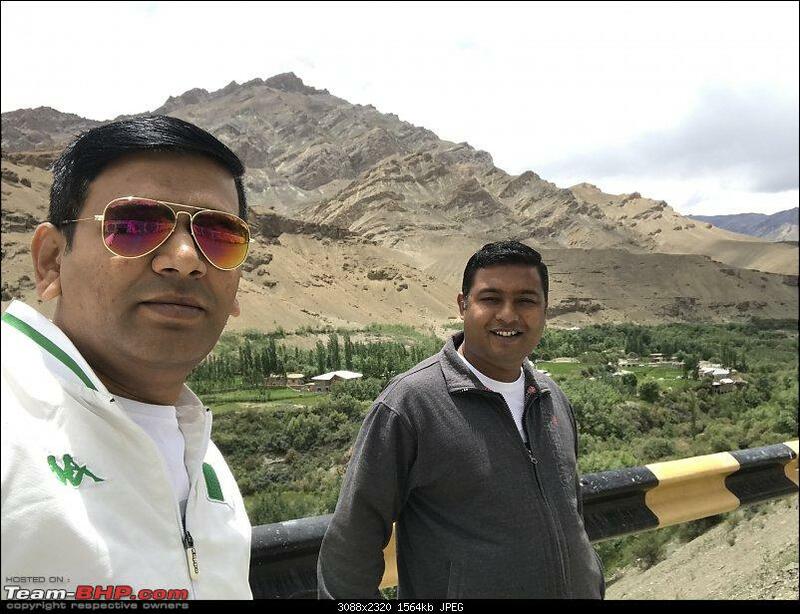 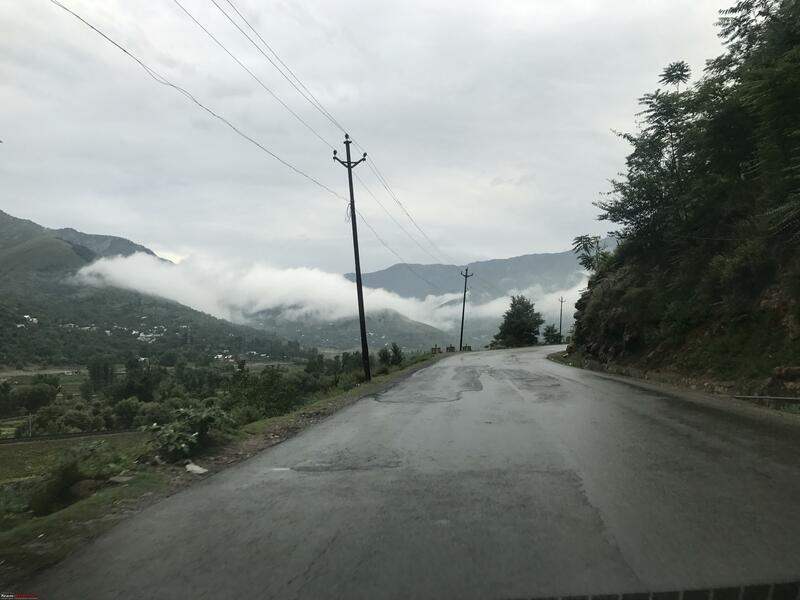 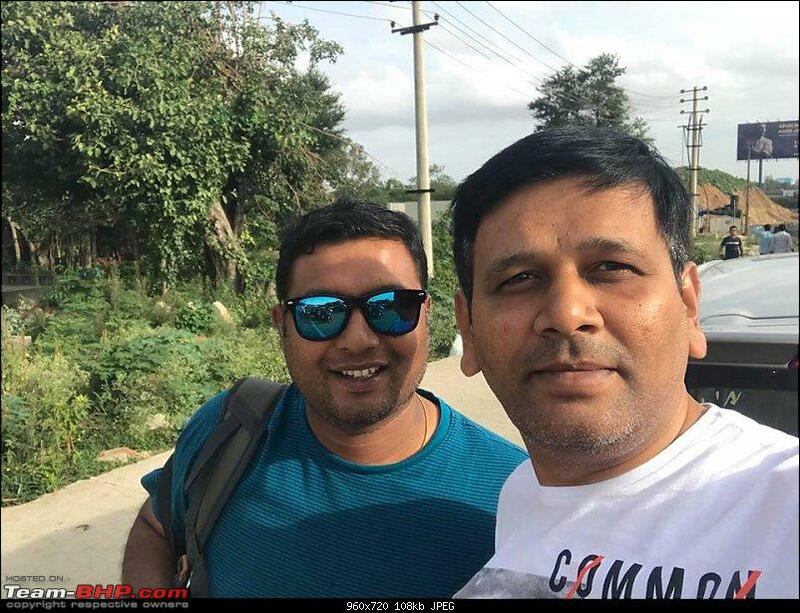 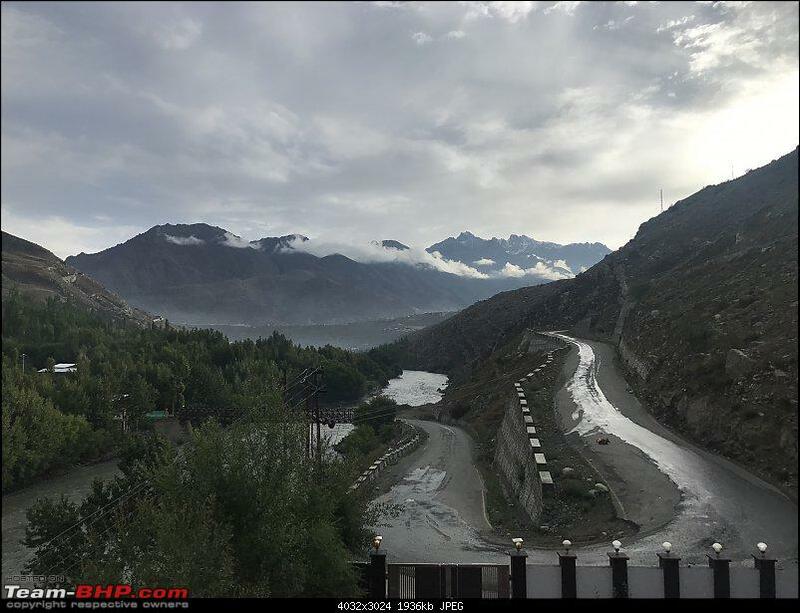 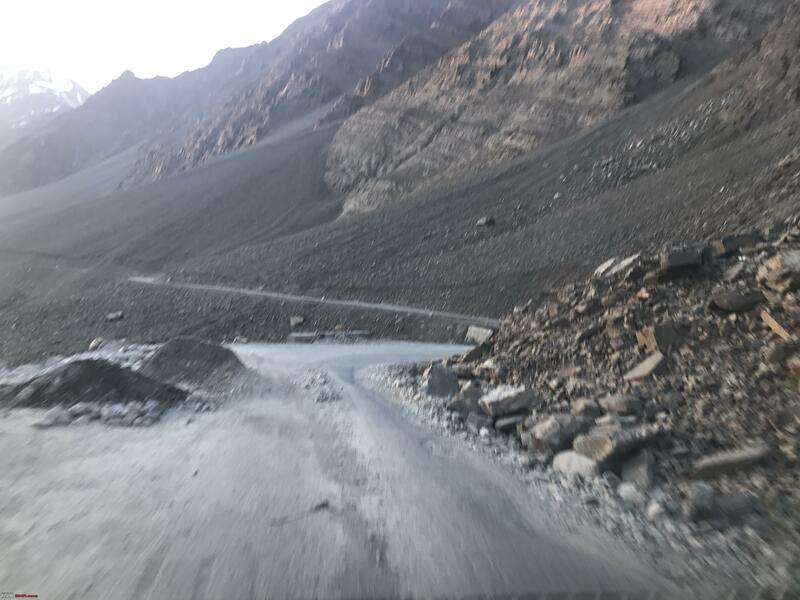 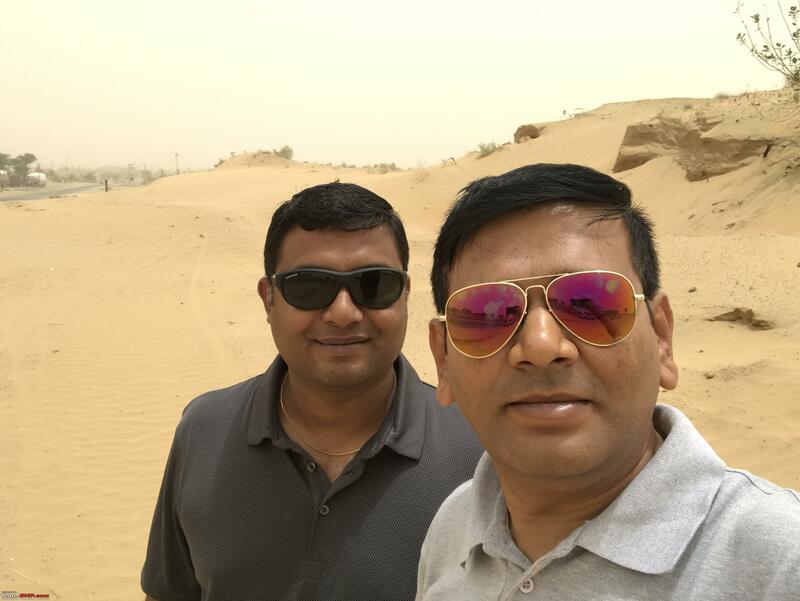 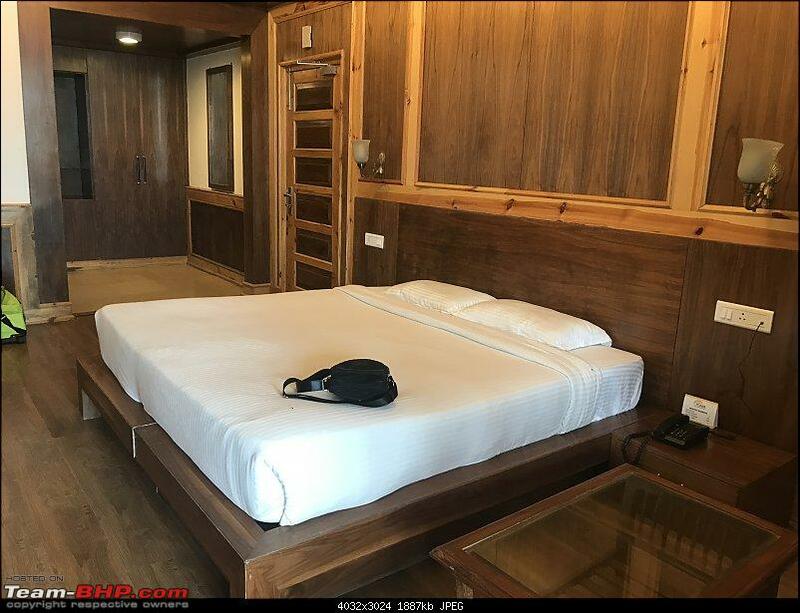 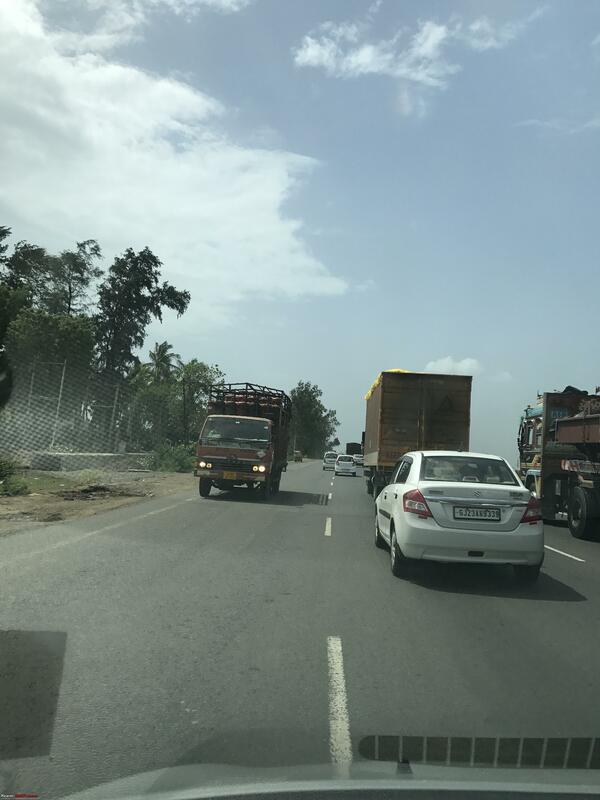 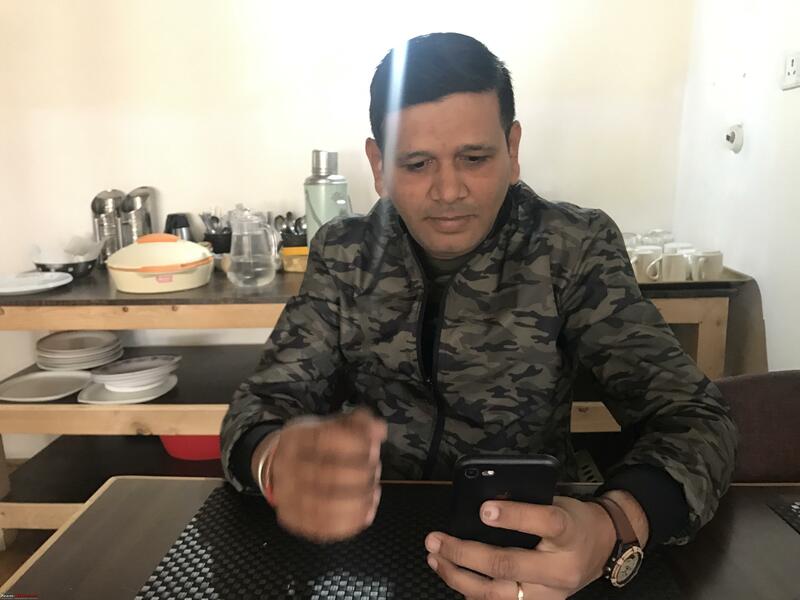 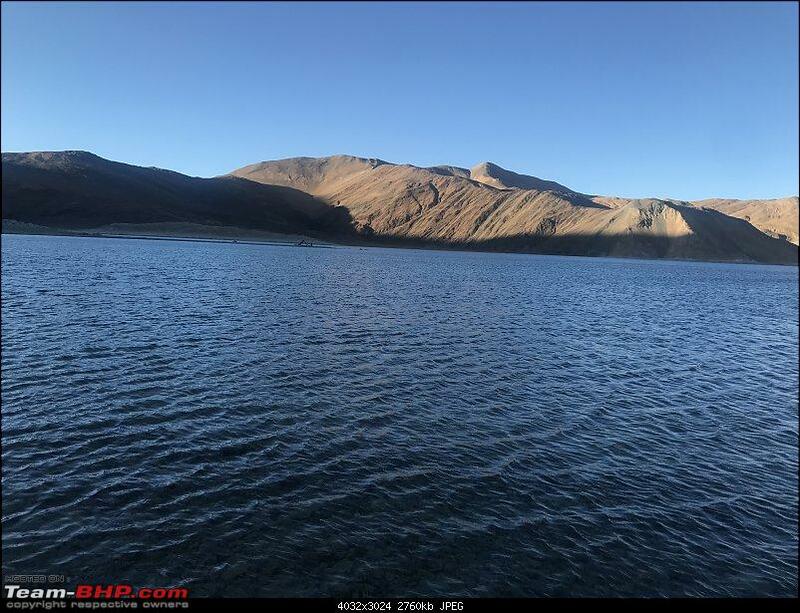 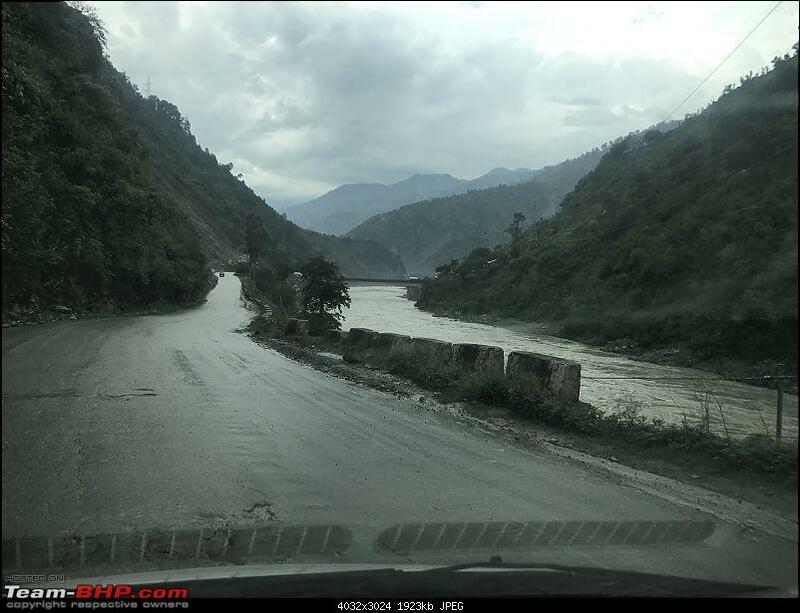 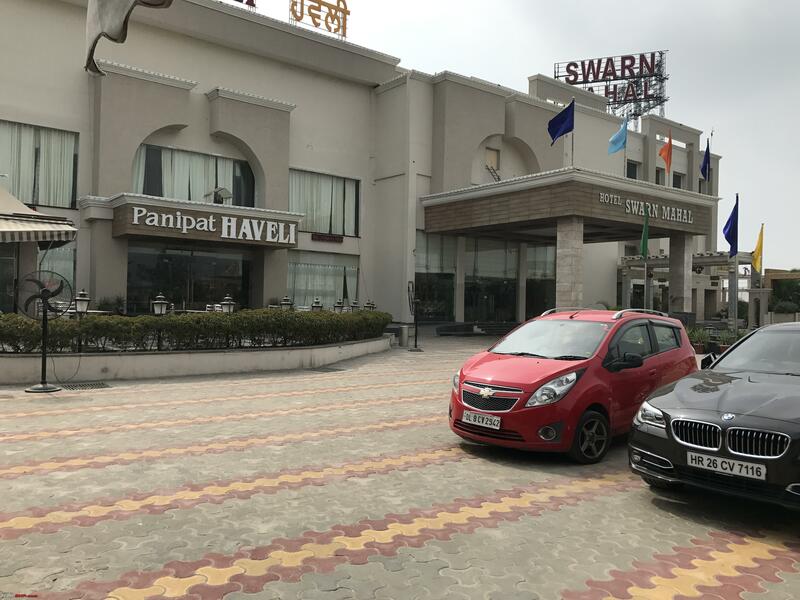 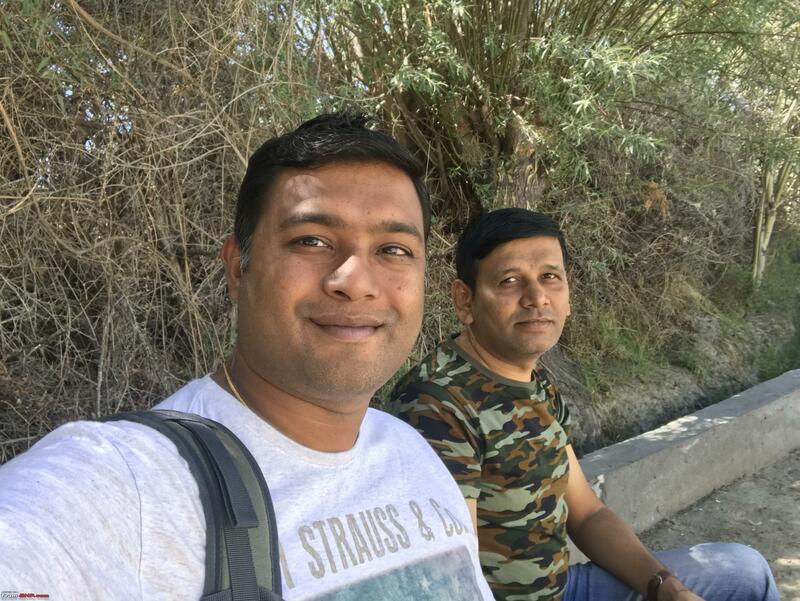 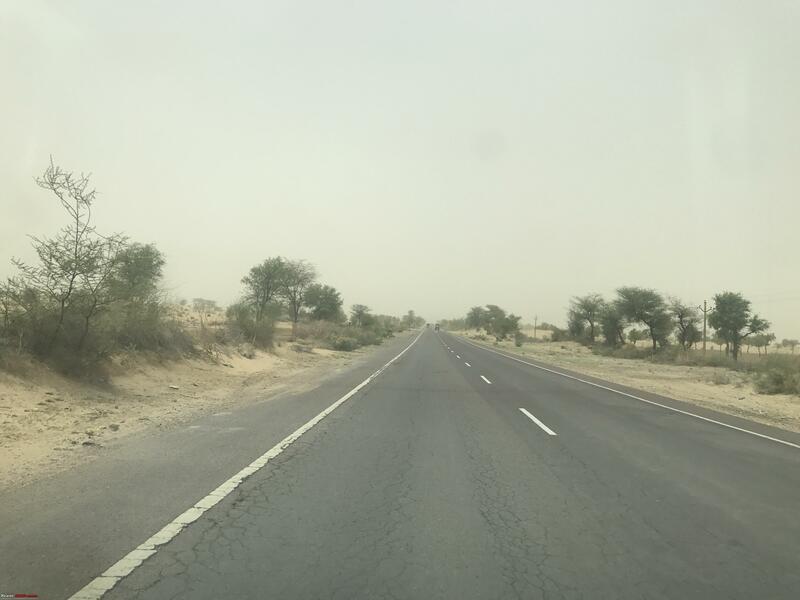 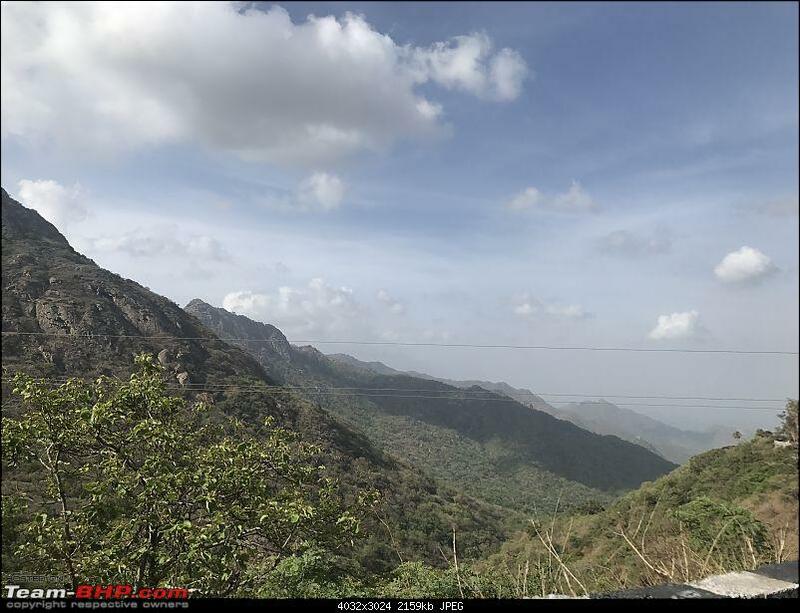 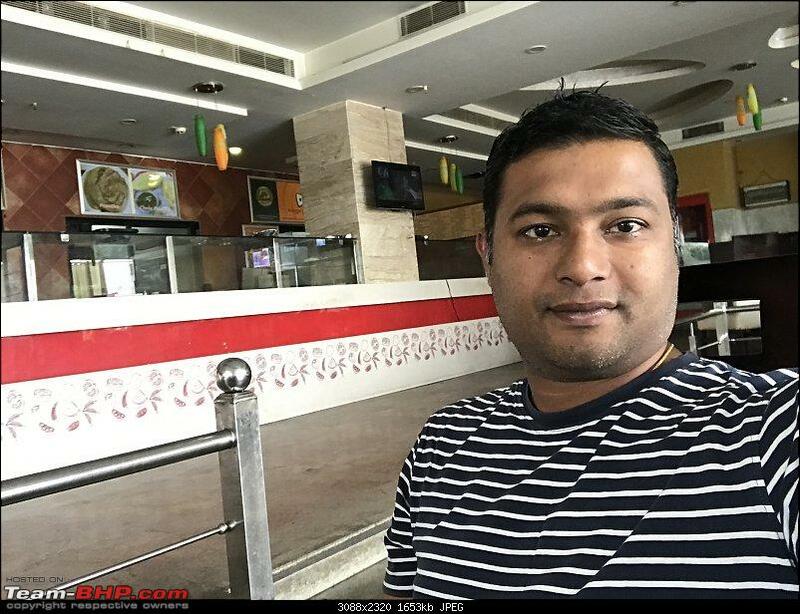 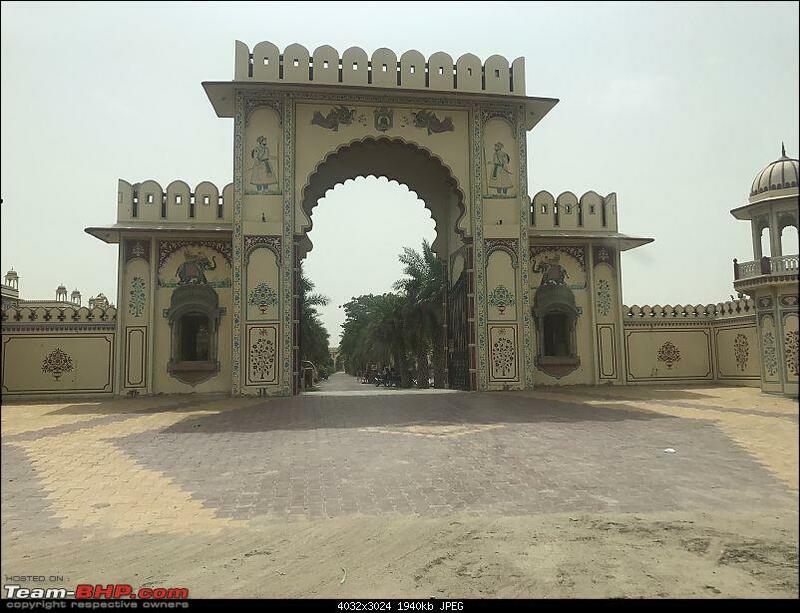 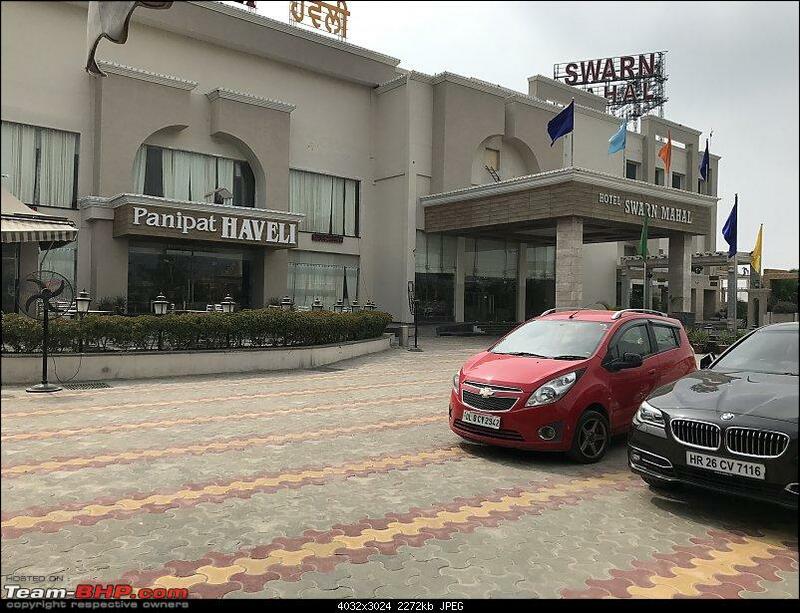 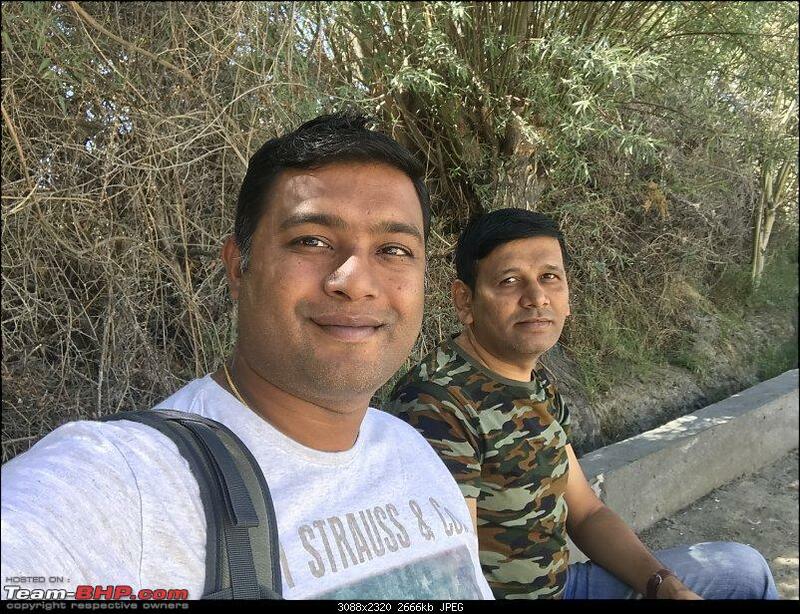 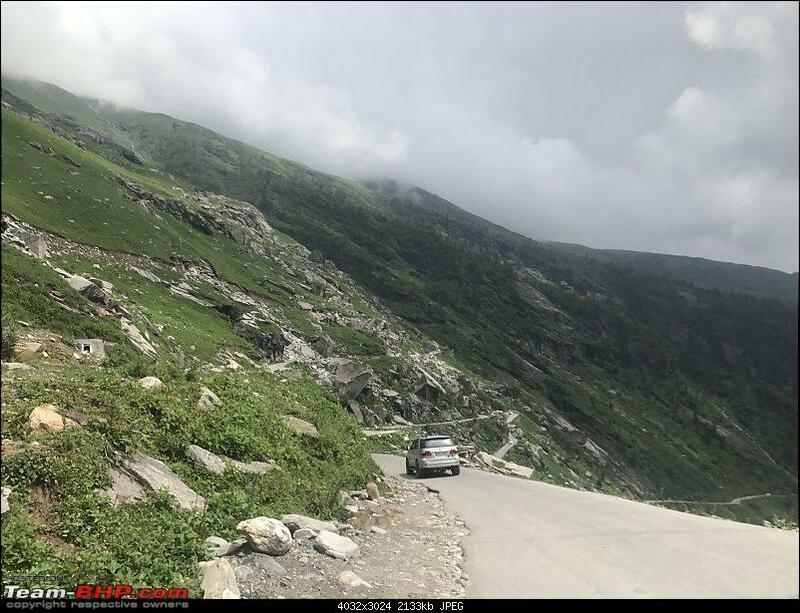 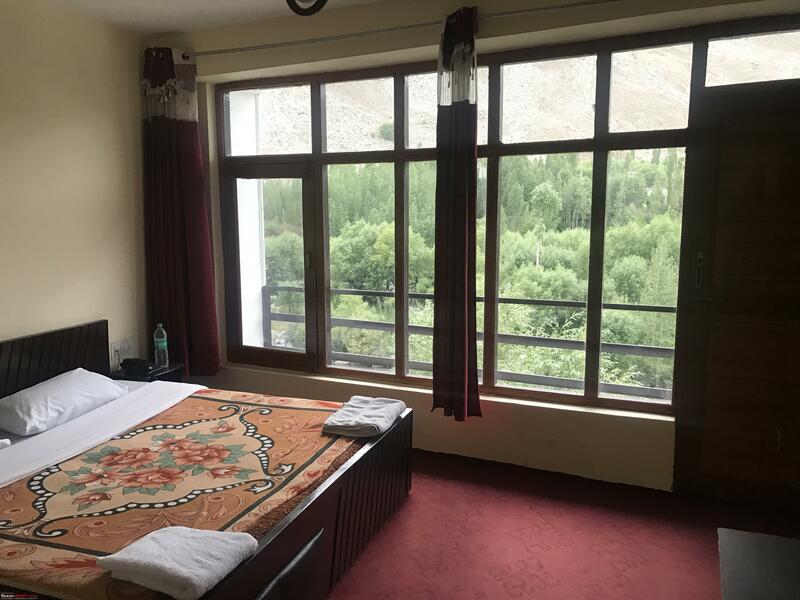 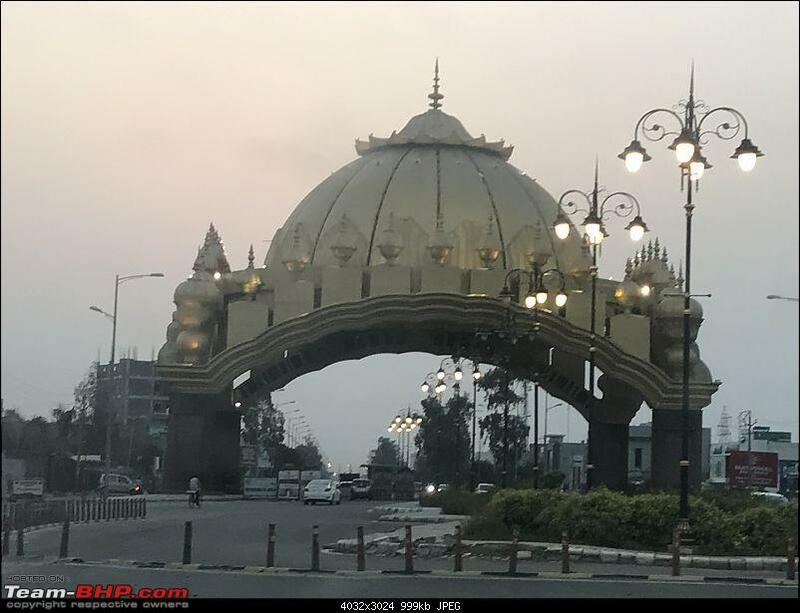 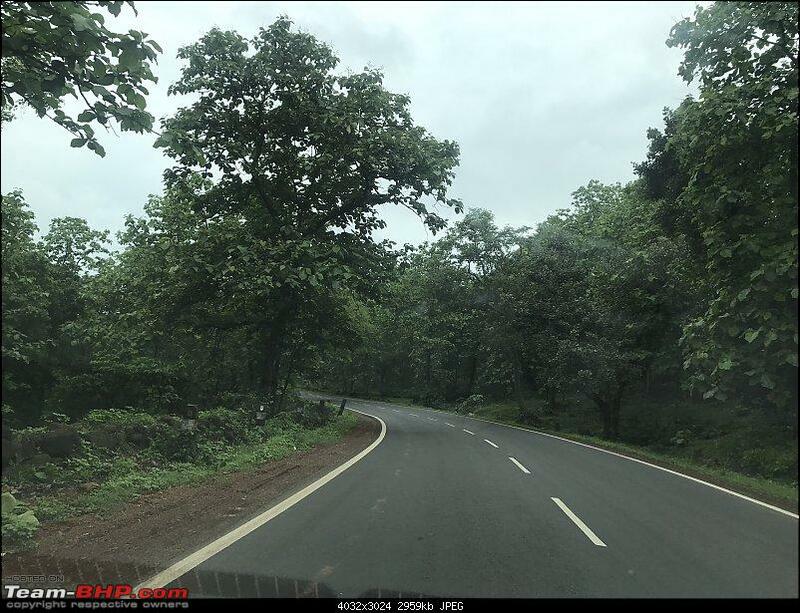 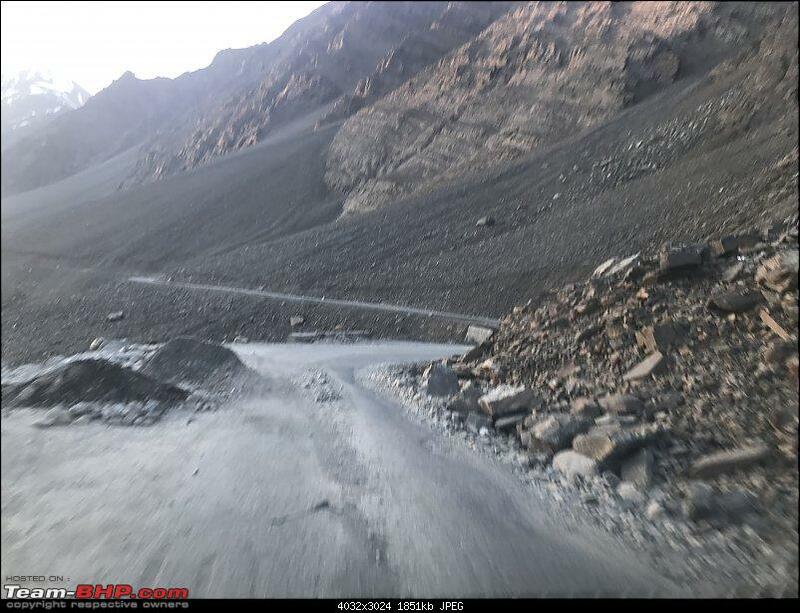 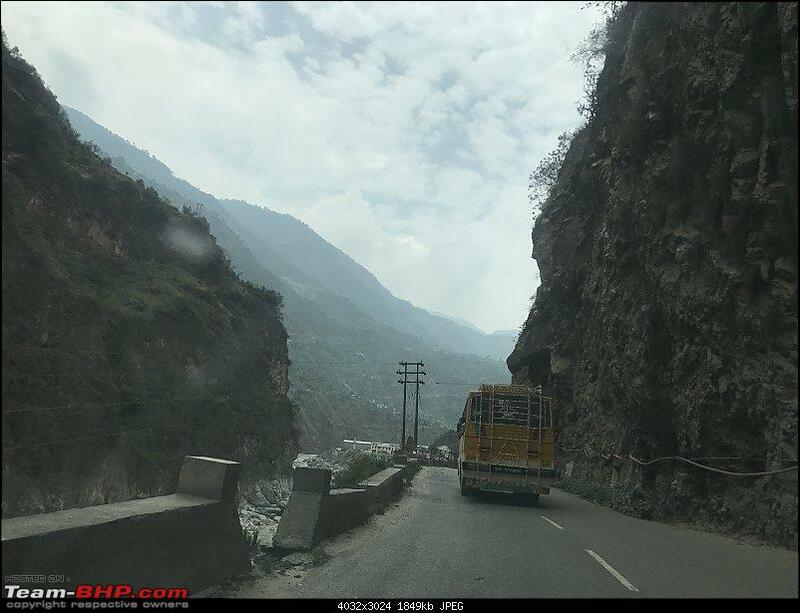 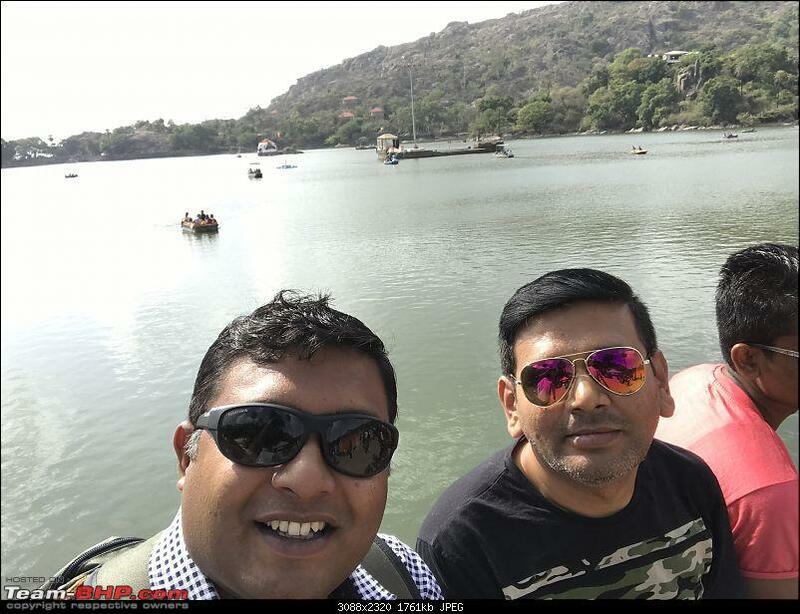 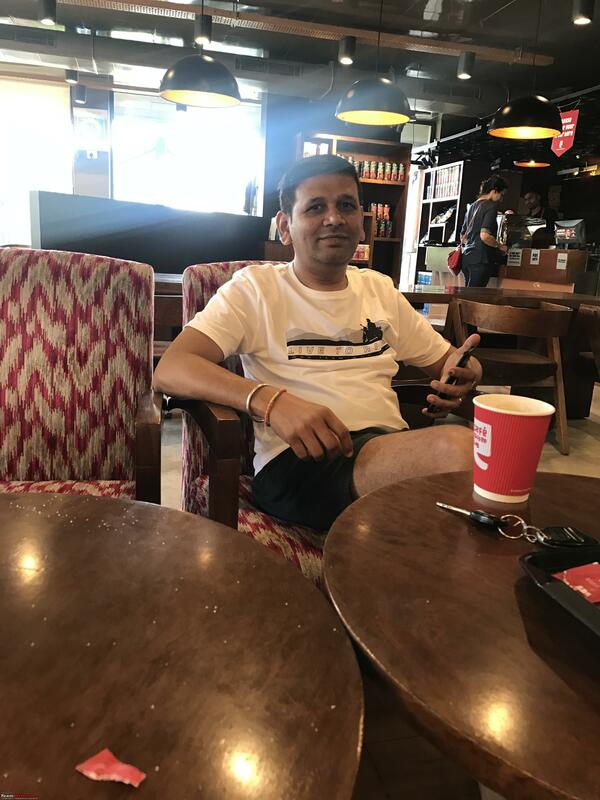 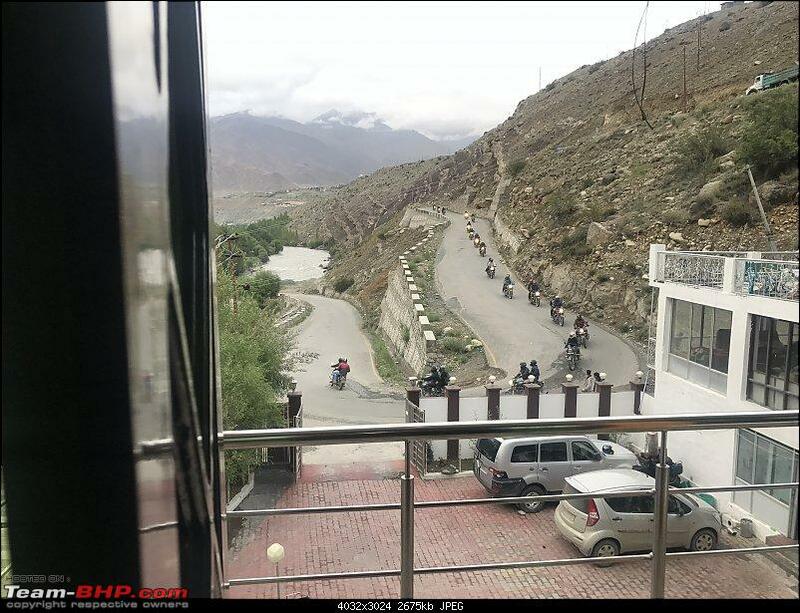 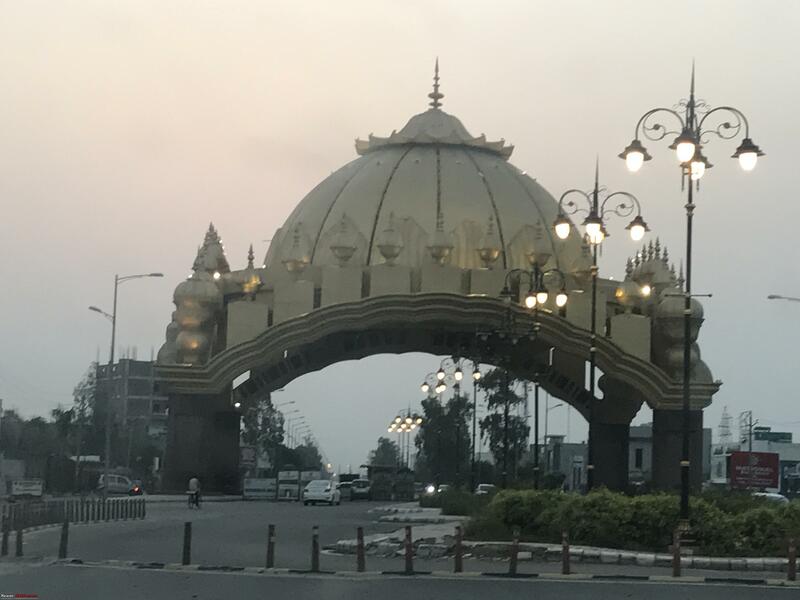 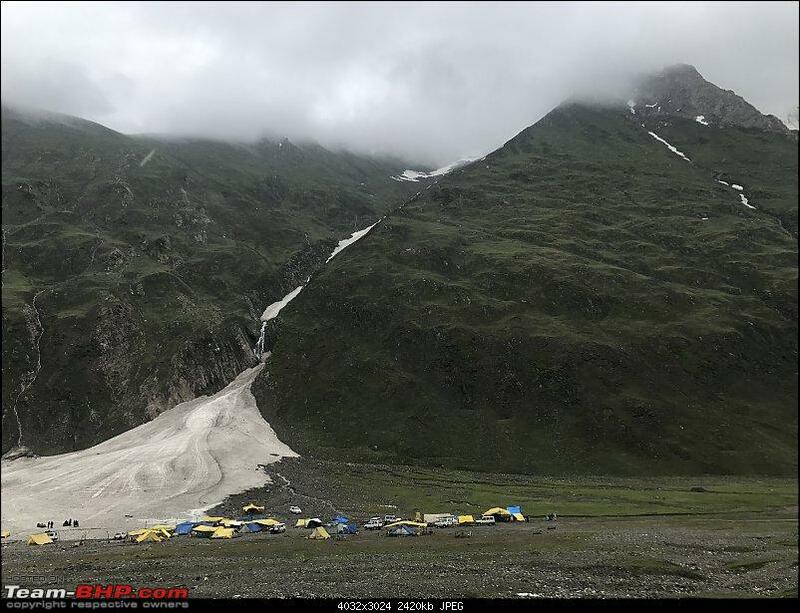 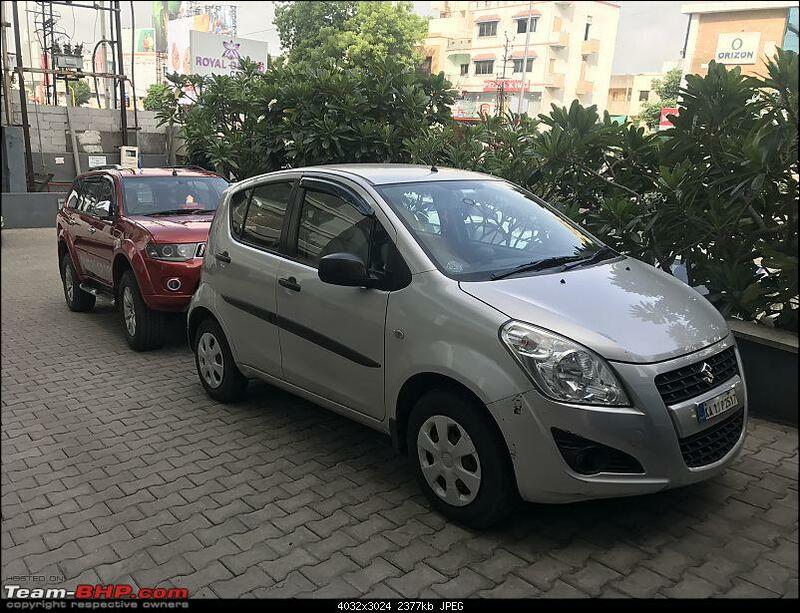 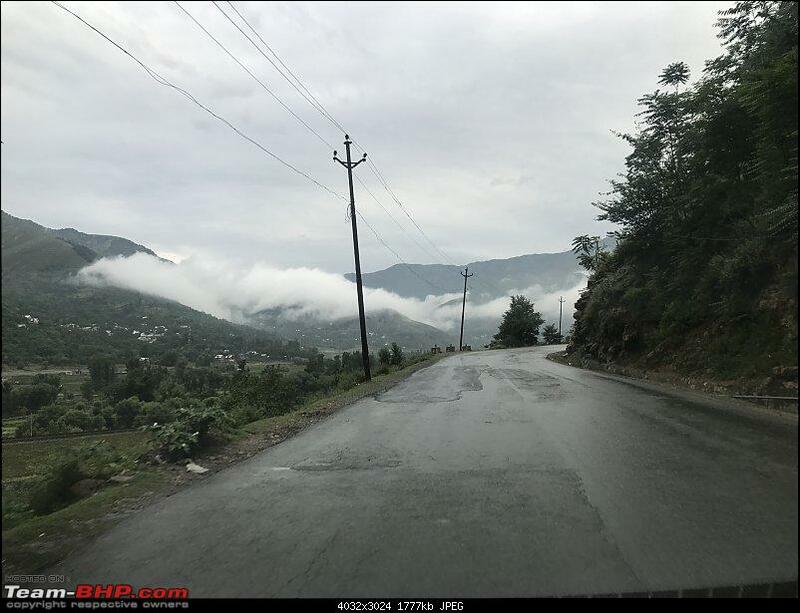 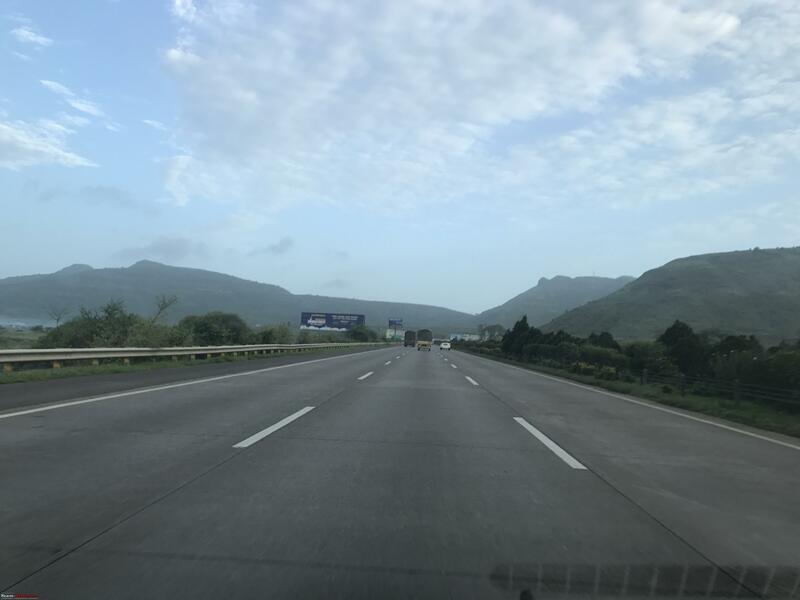 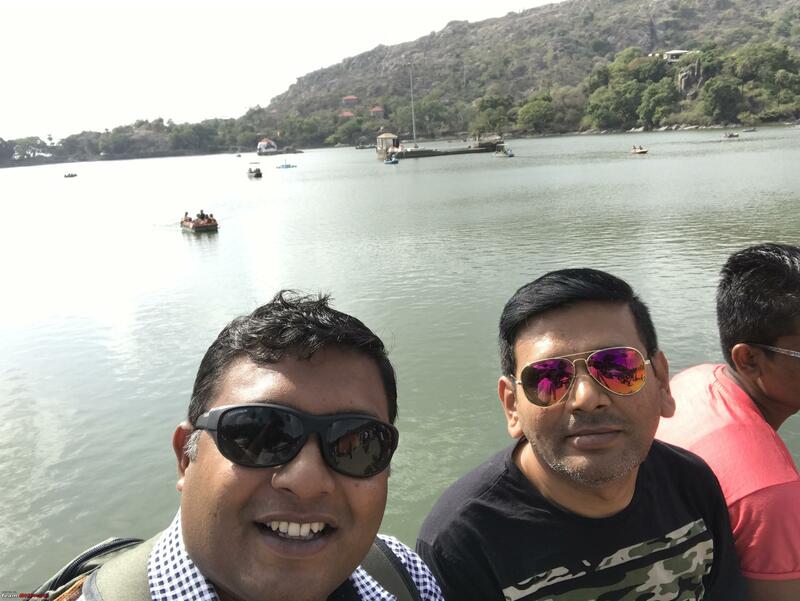 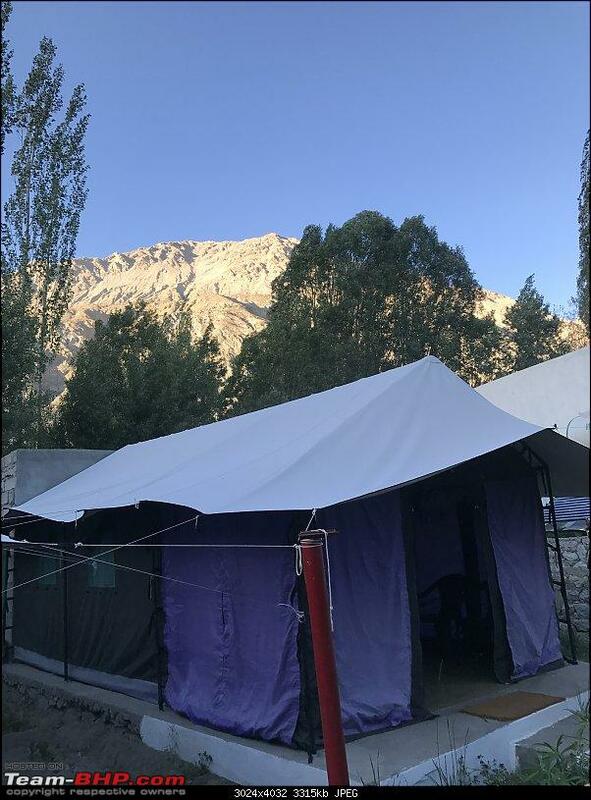 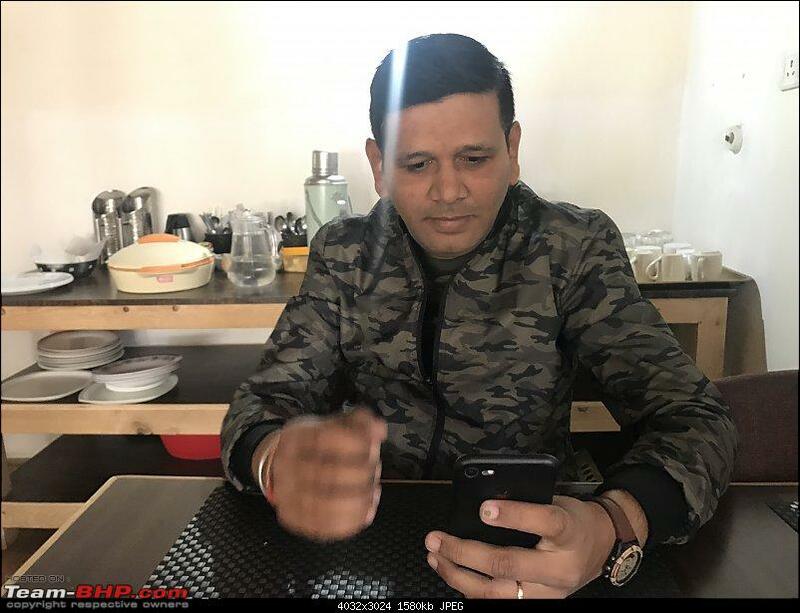 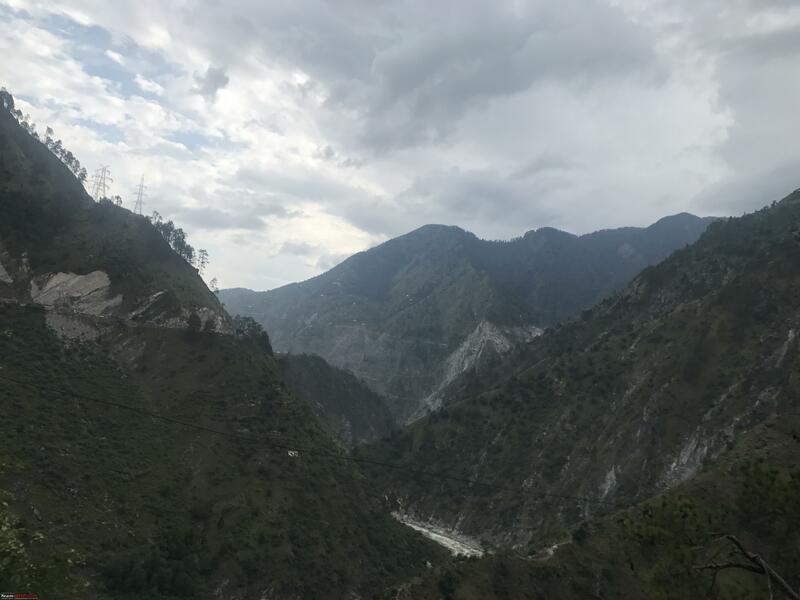 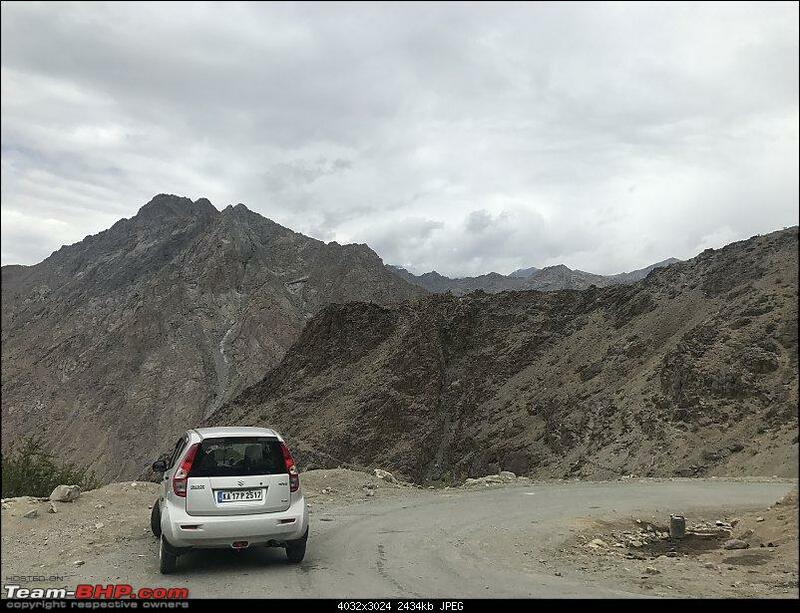 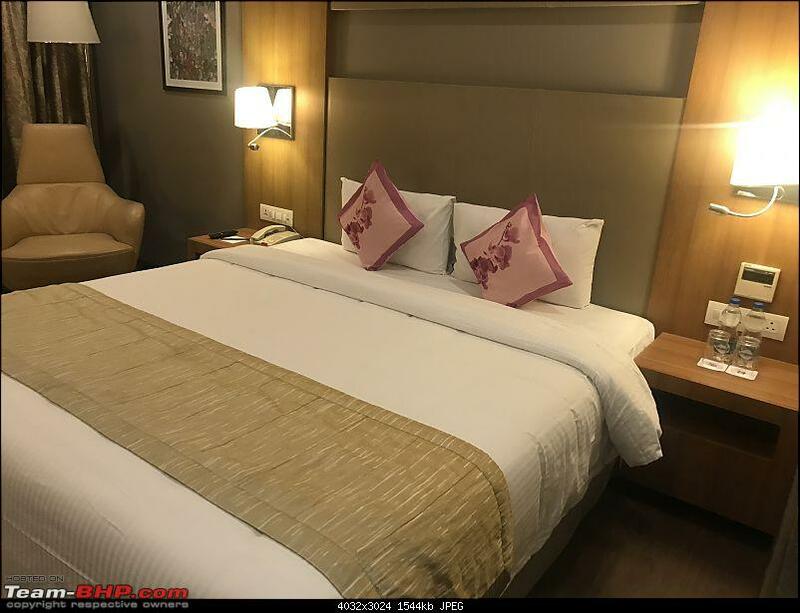 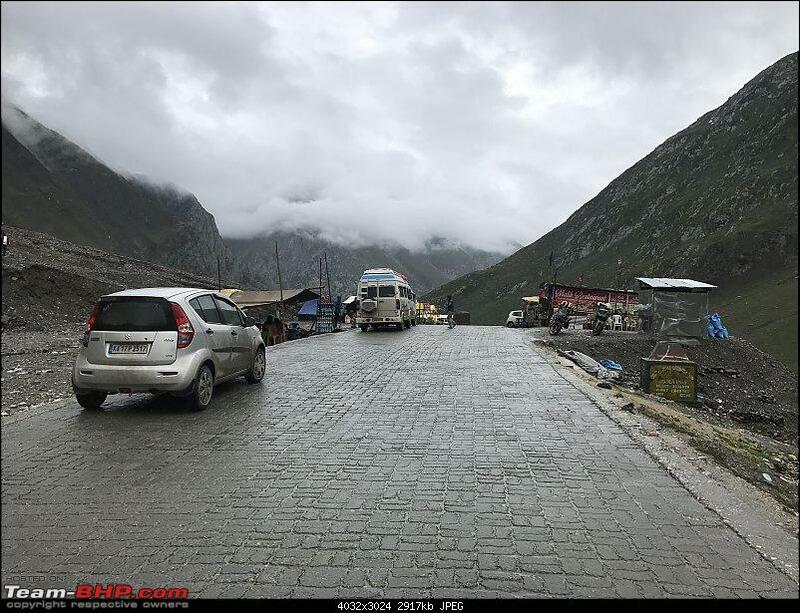 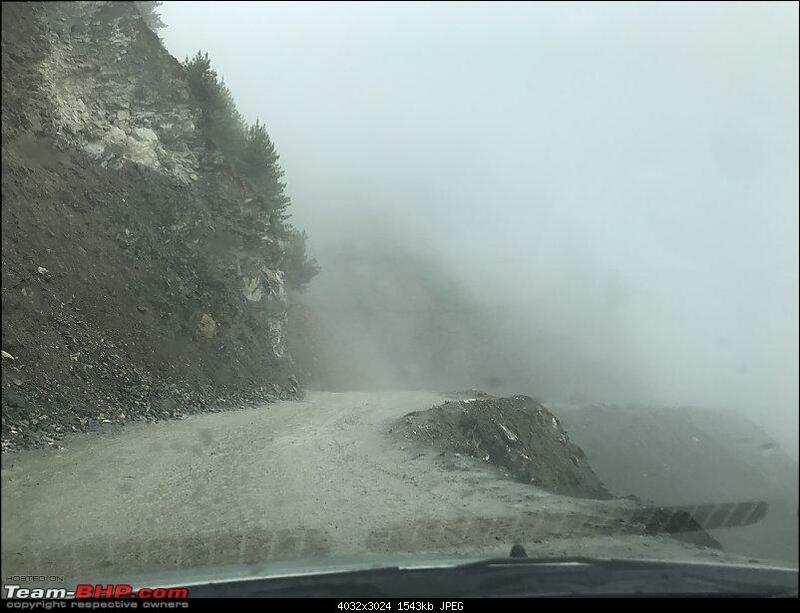 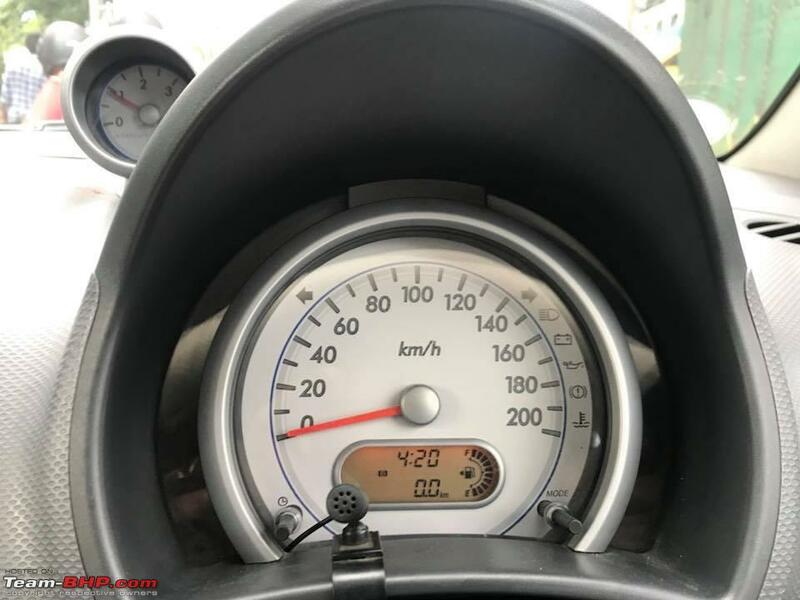 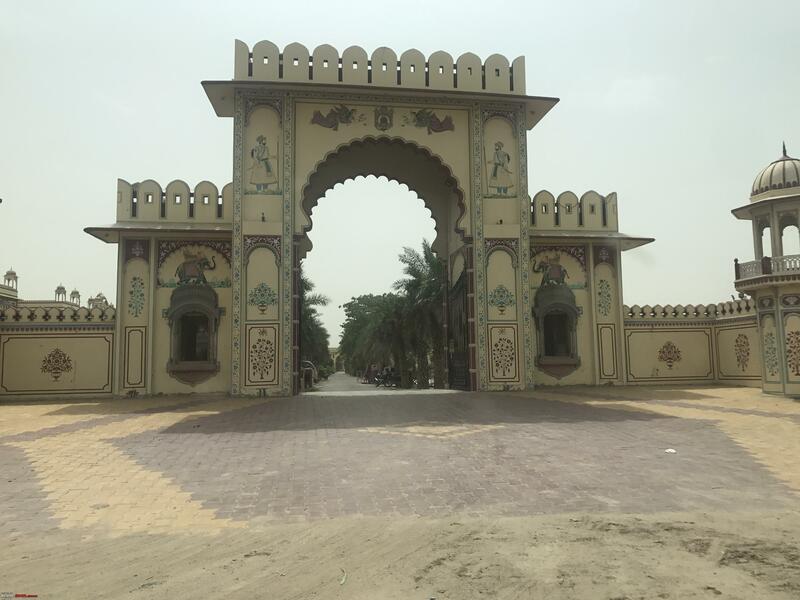 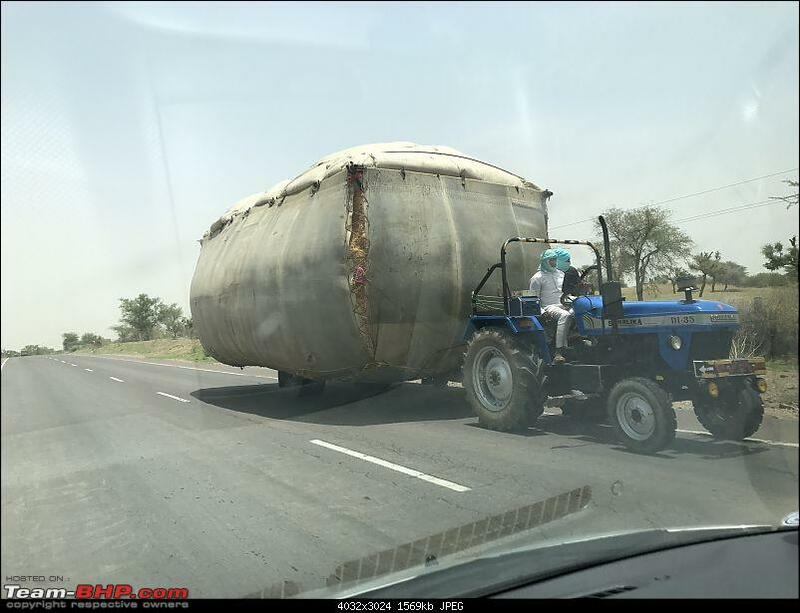 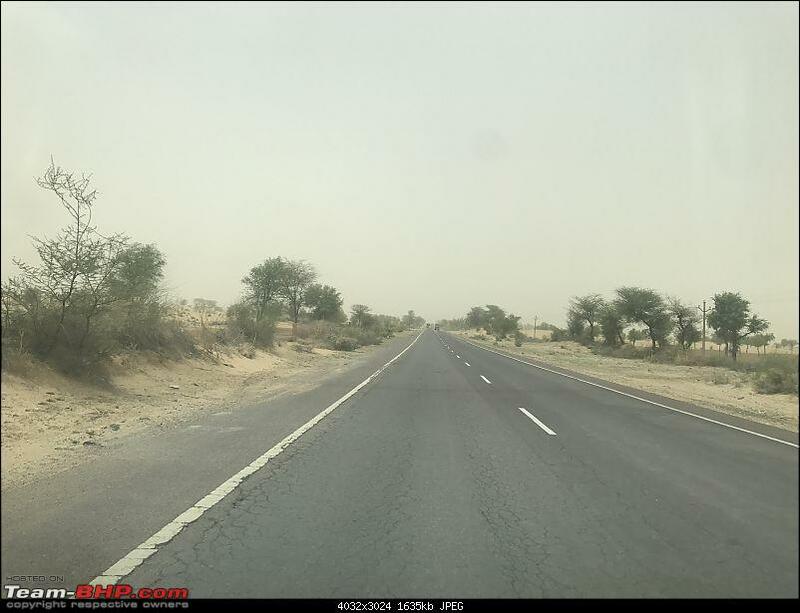 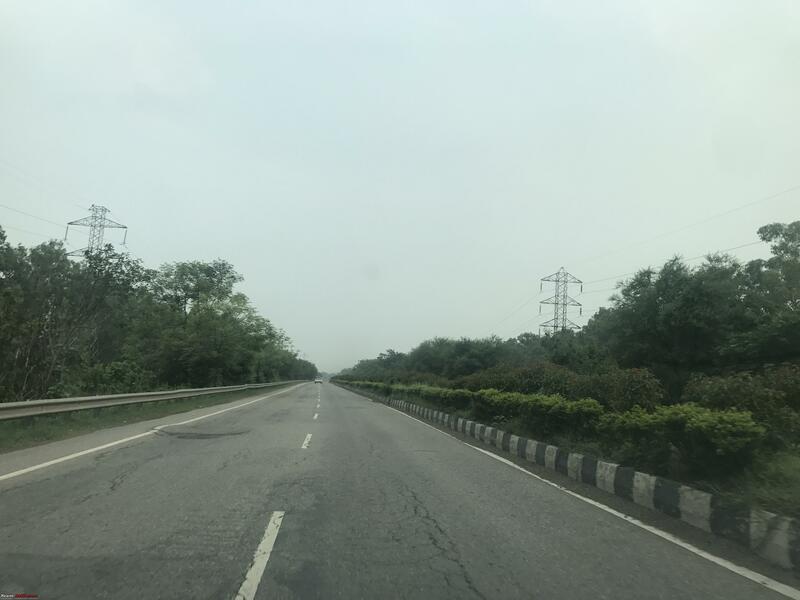 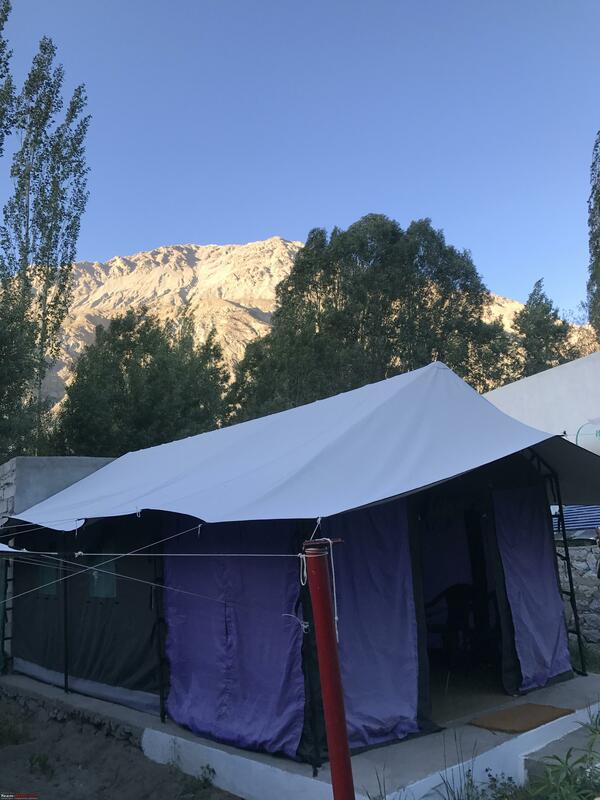 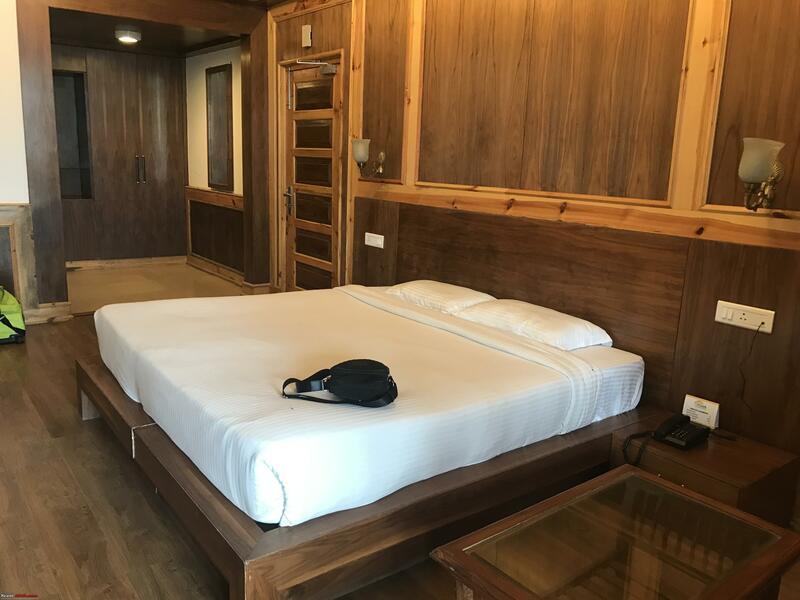 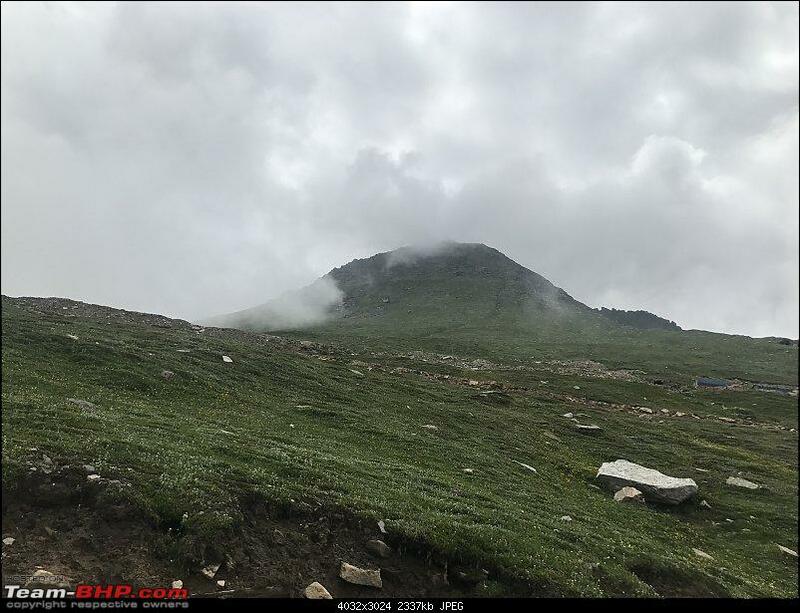 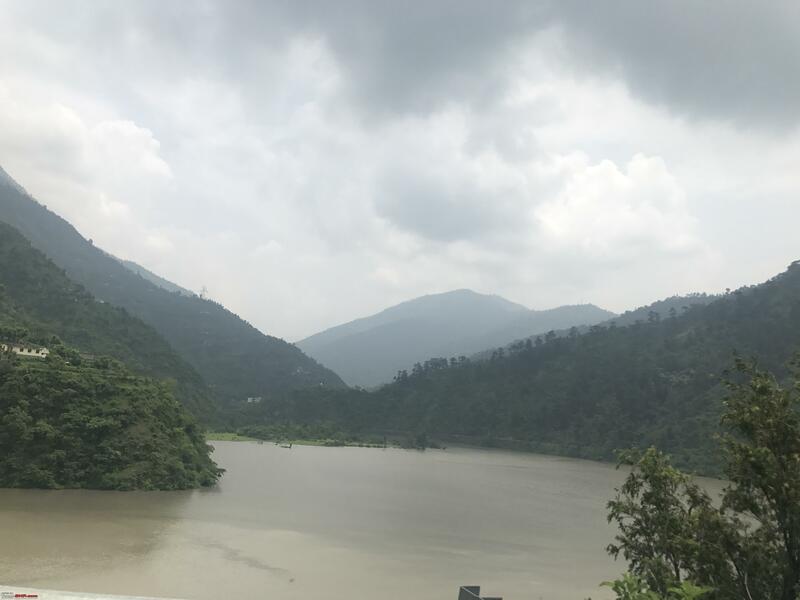 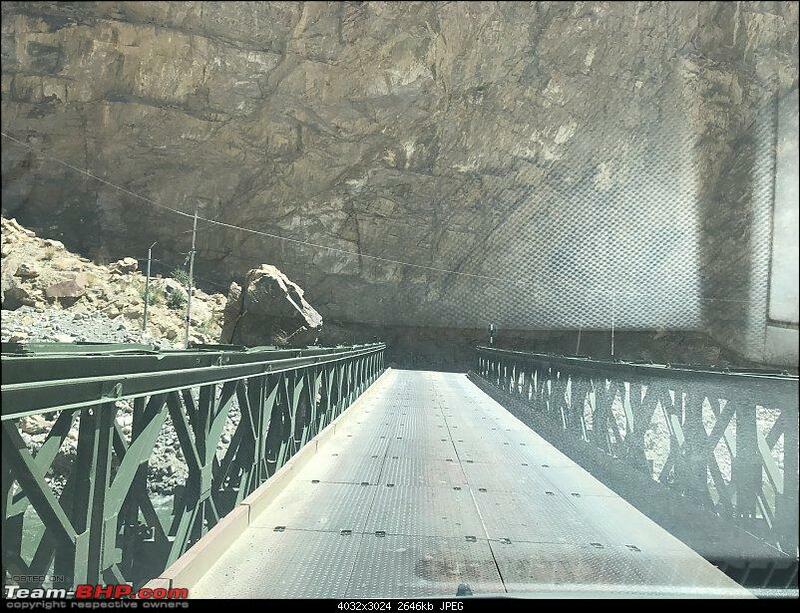 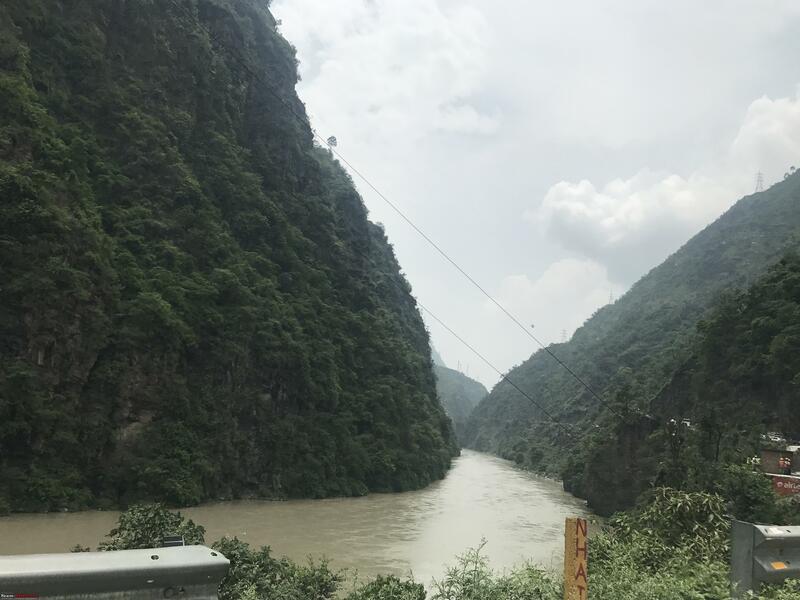 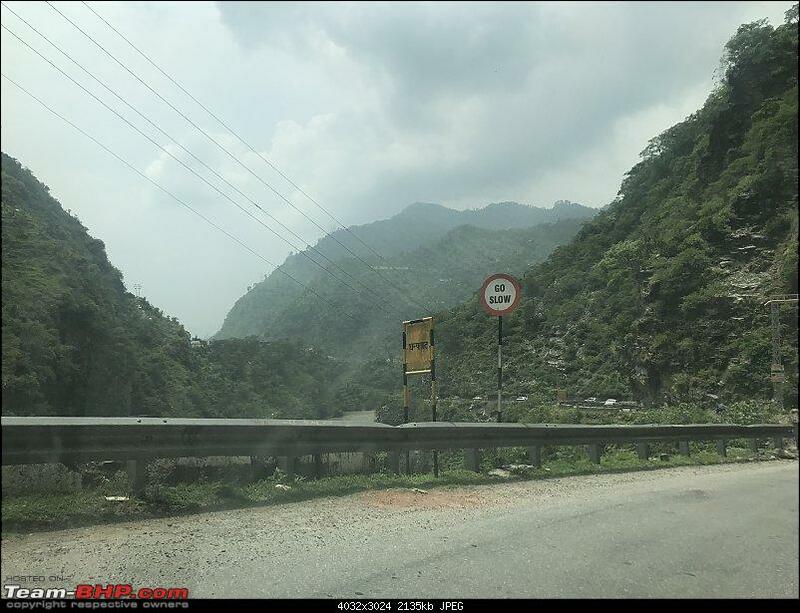 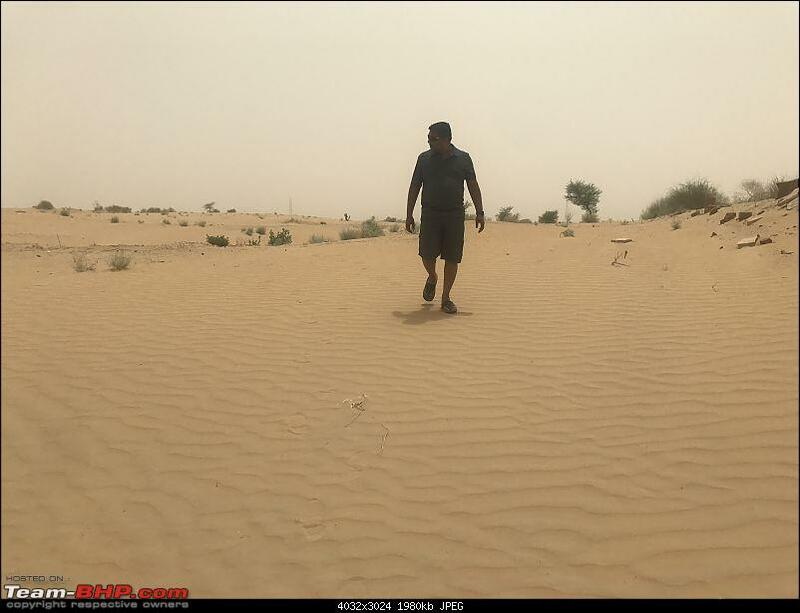 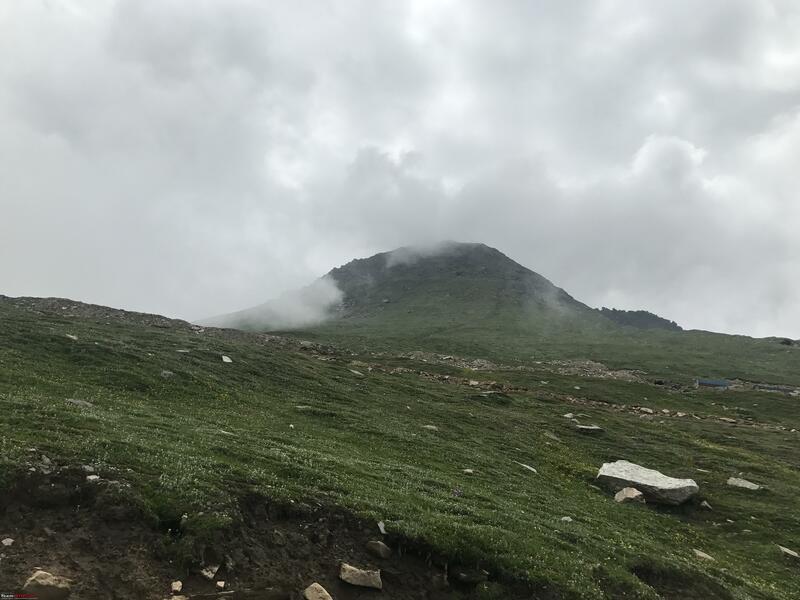 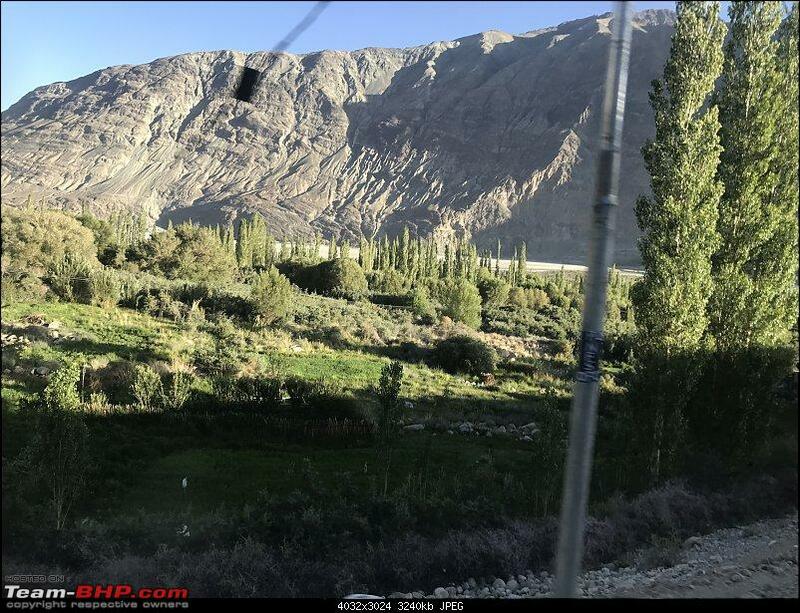 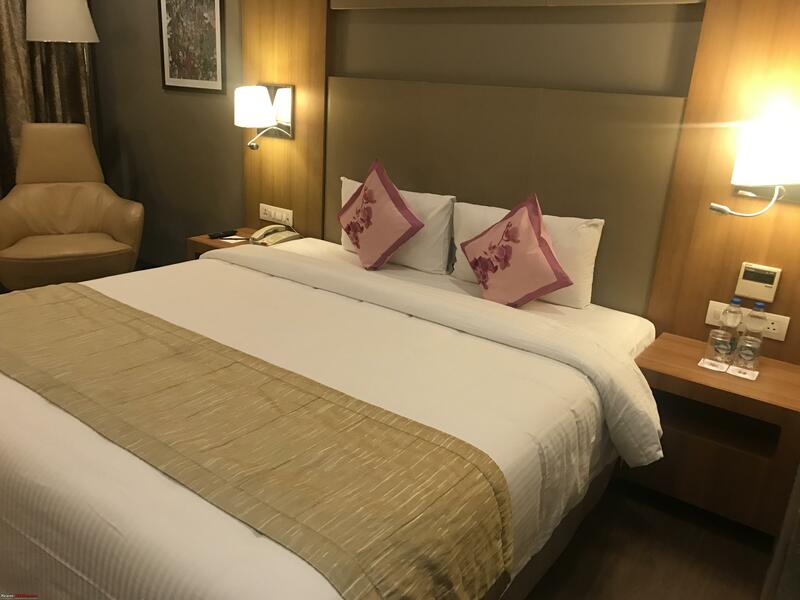 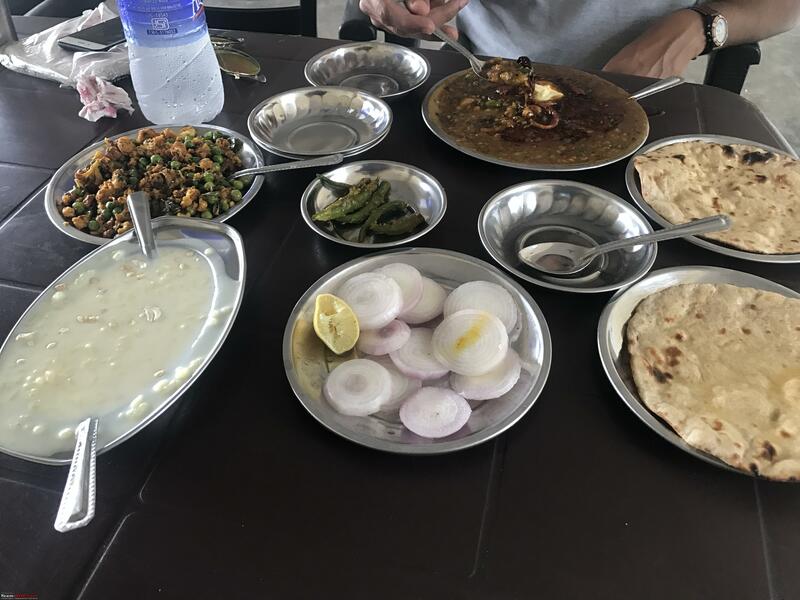 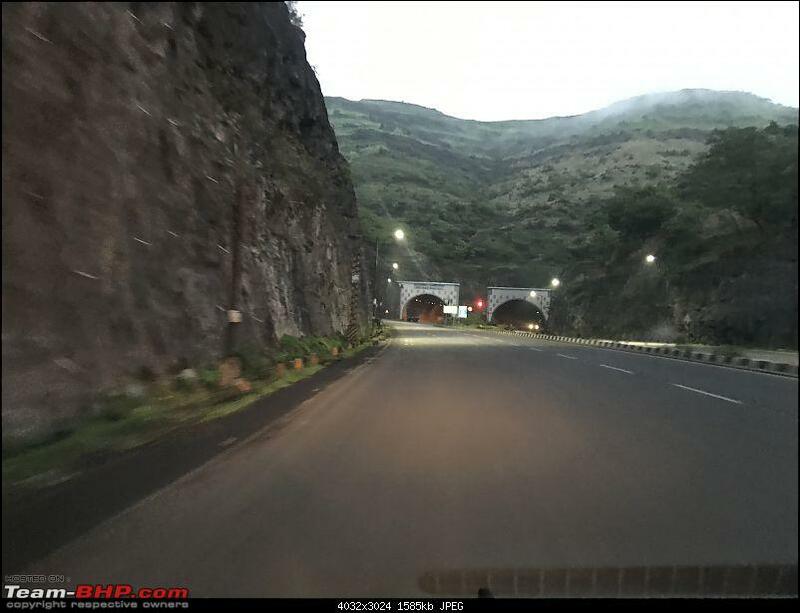 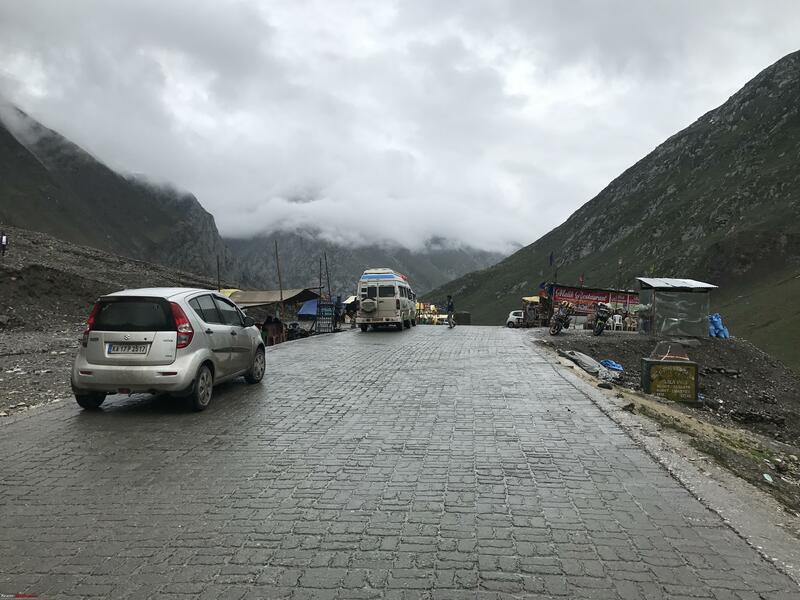 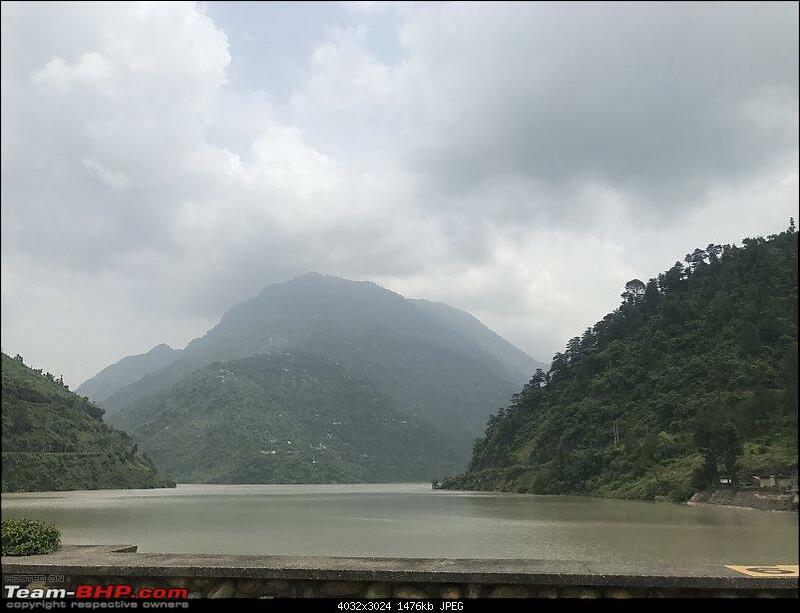 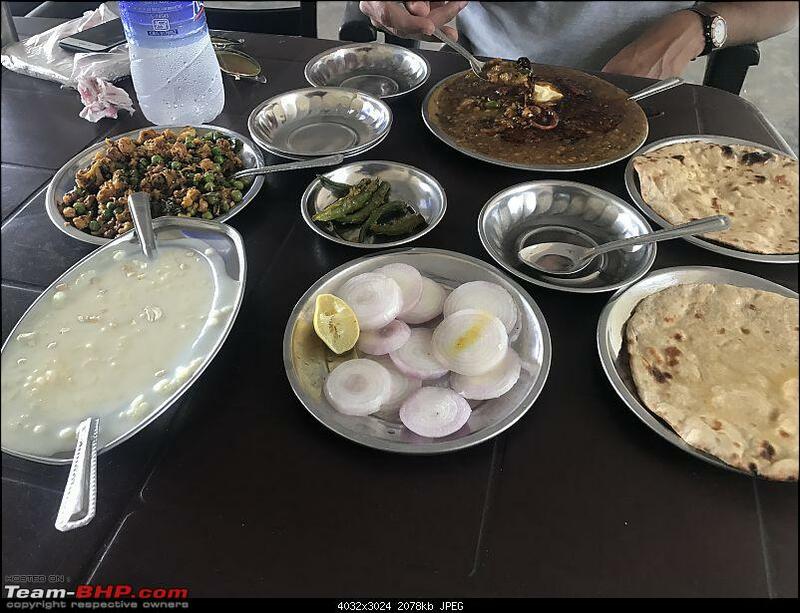 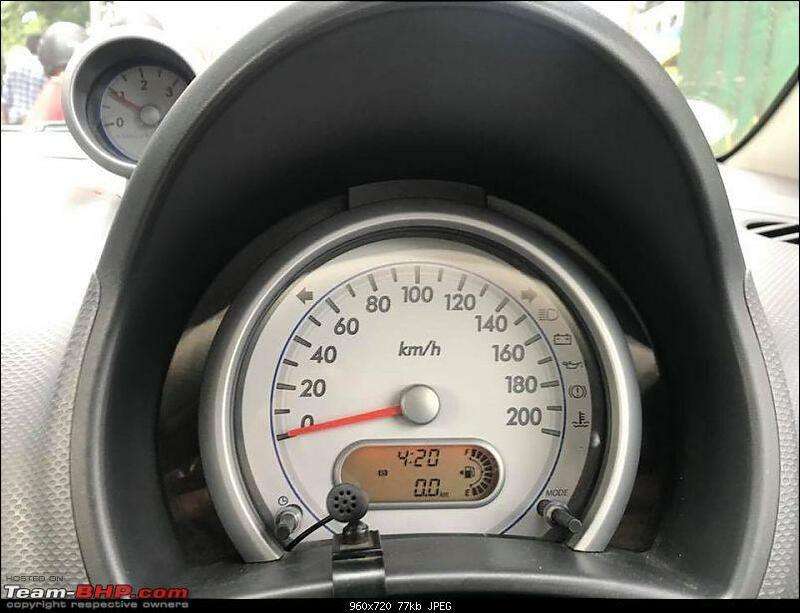 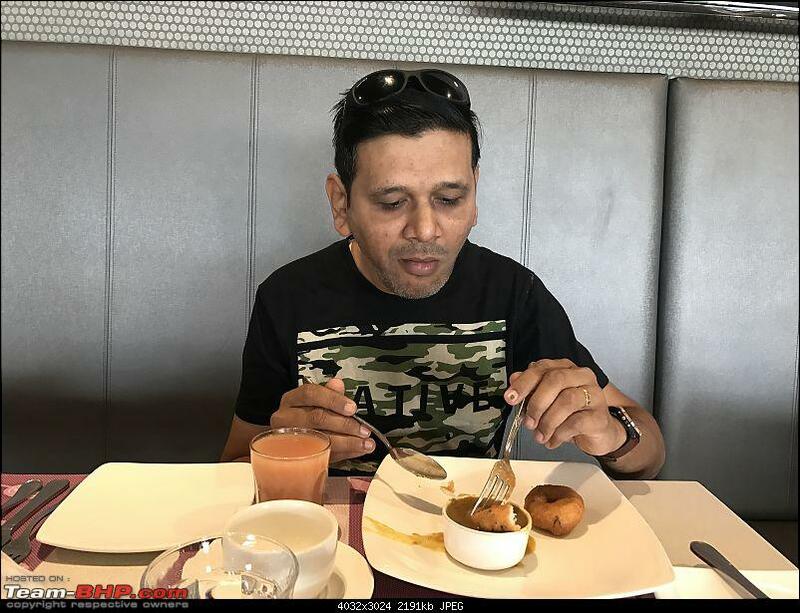 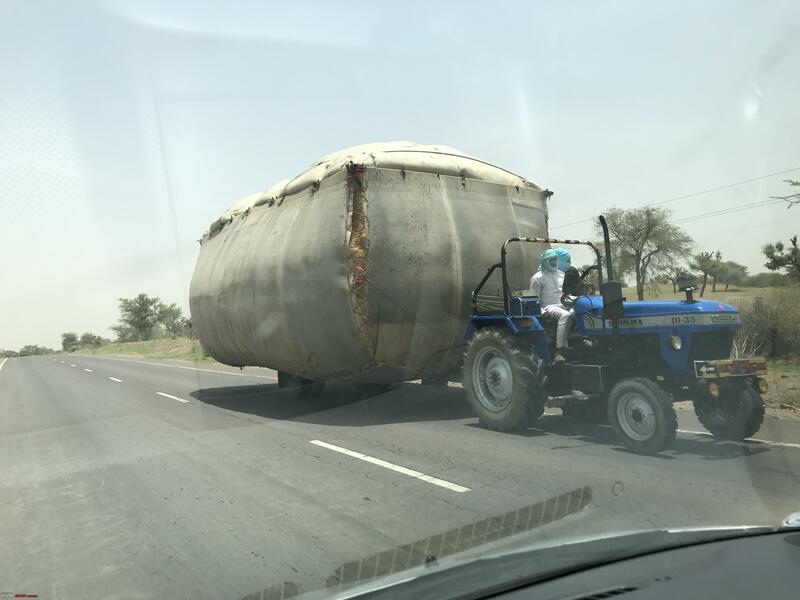 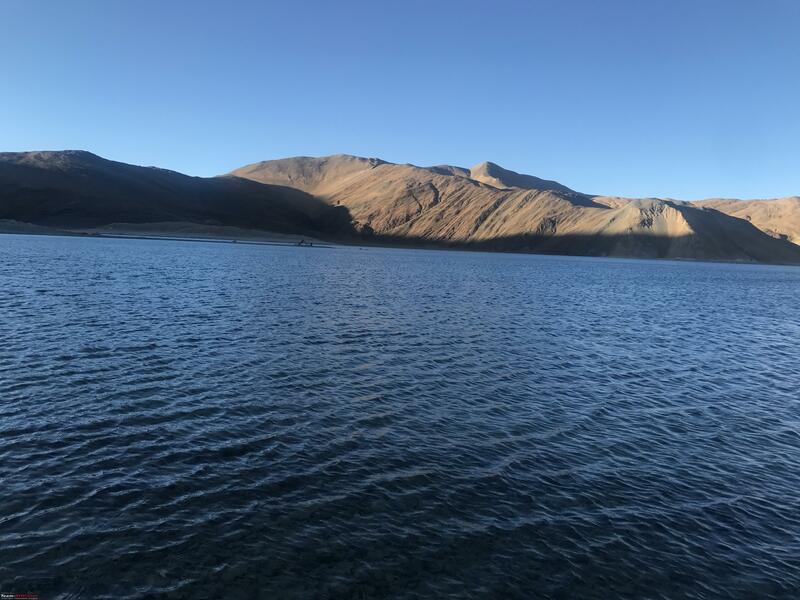 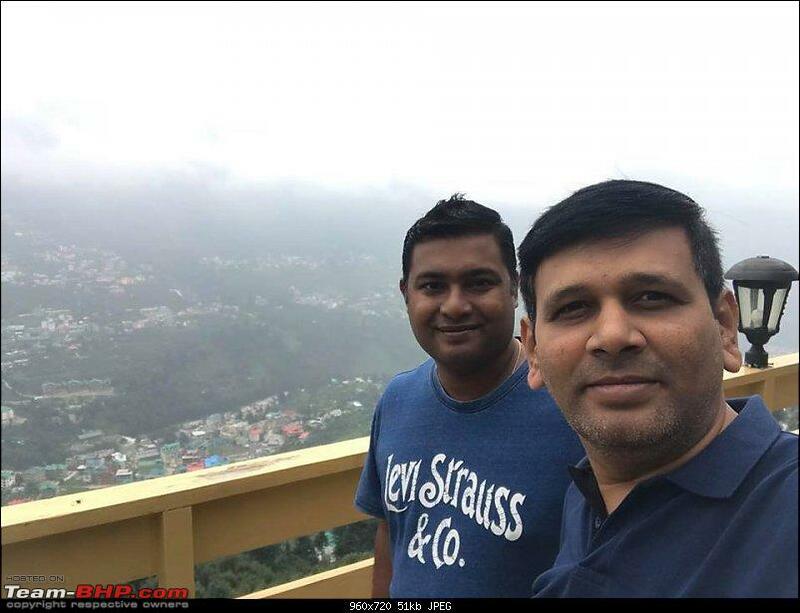 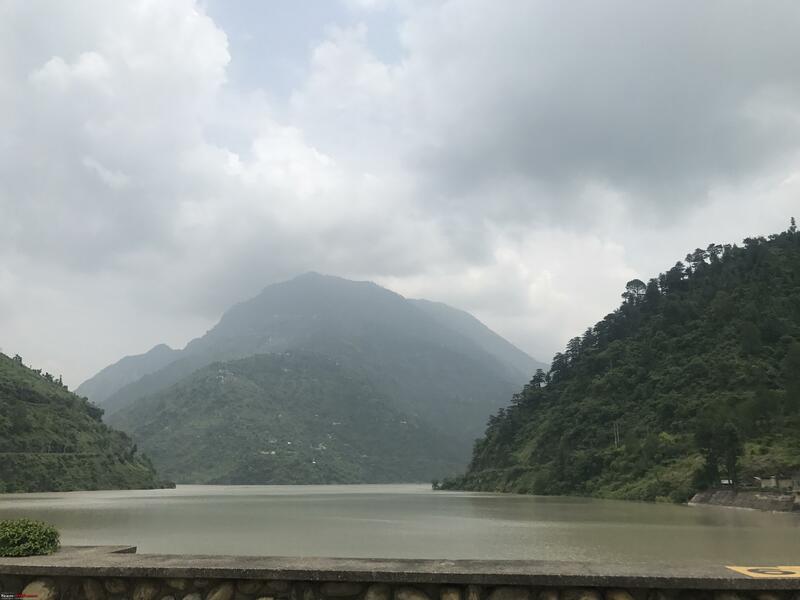 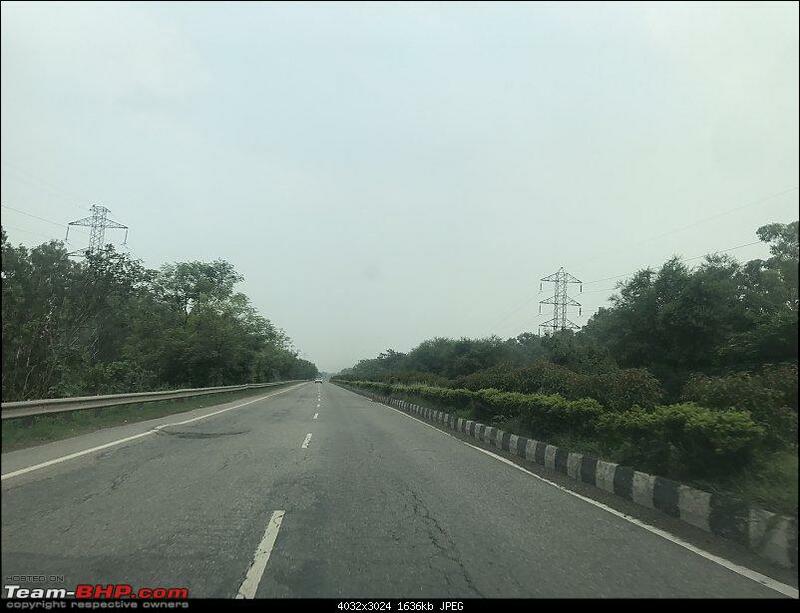 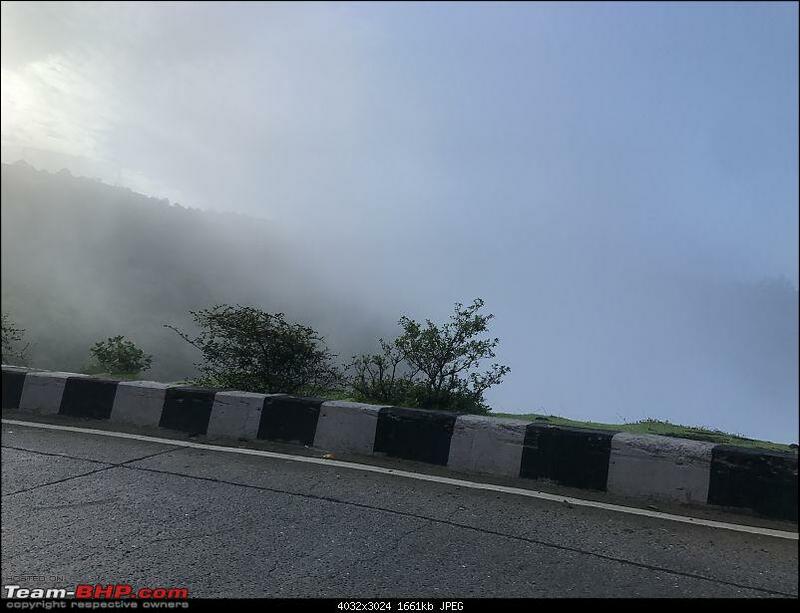 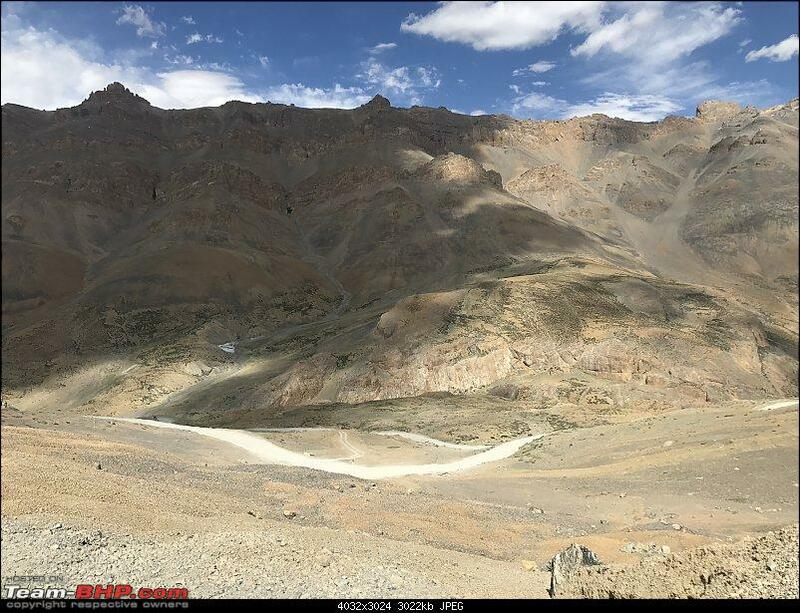 Re: Bengaluru to Leh- Journey of a lifetime.....must try for all..
Had one of the best sleeps in a long time, thanks to all the tiredness from the driving previous day, woke up leisurely and we have started from Vadodara towards Jaipur. 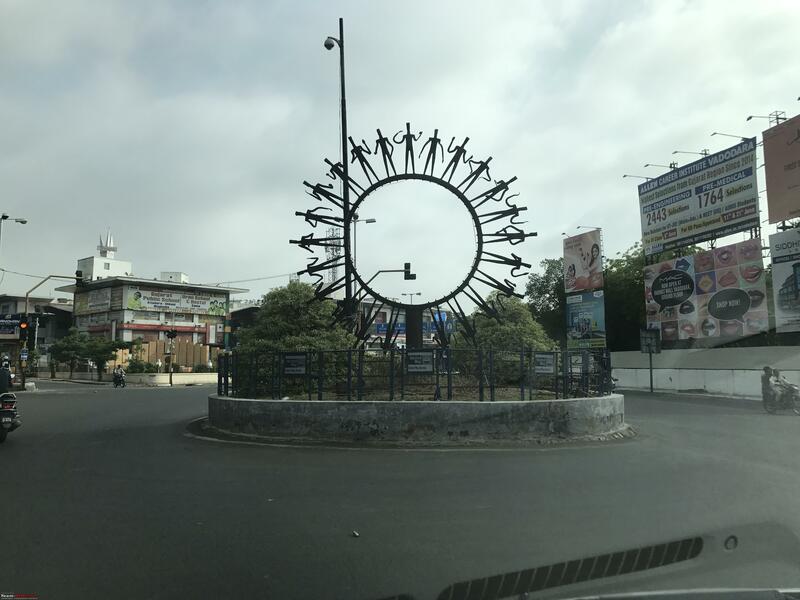 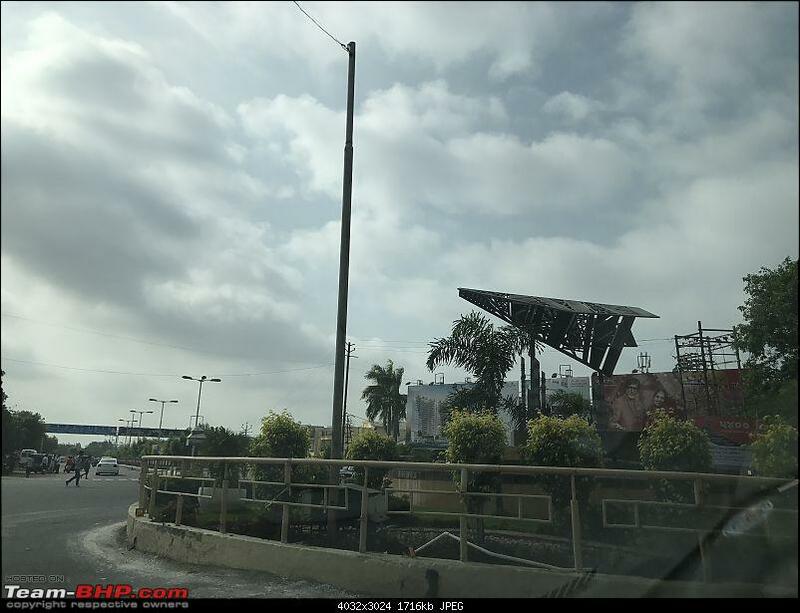 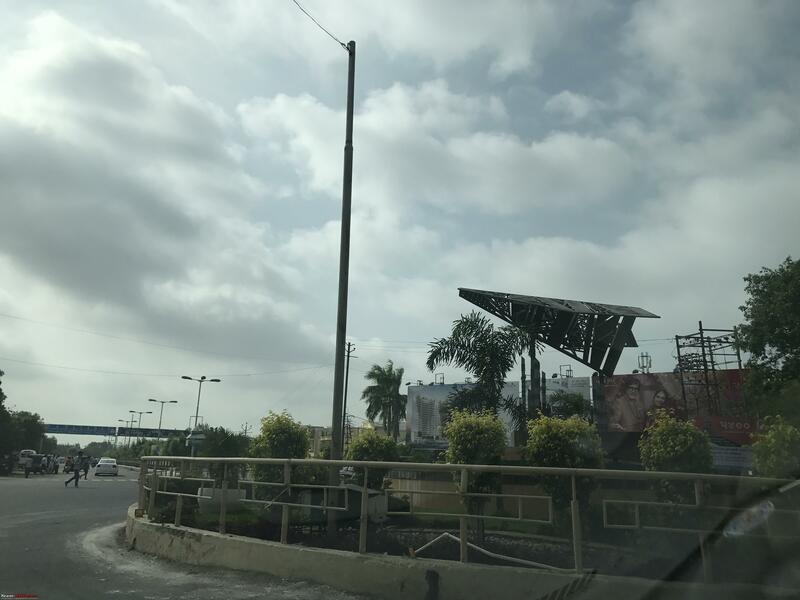 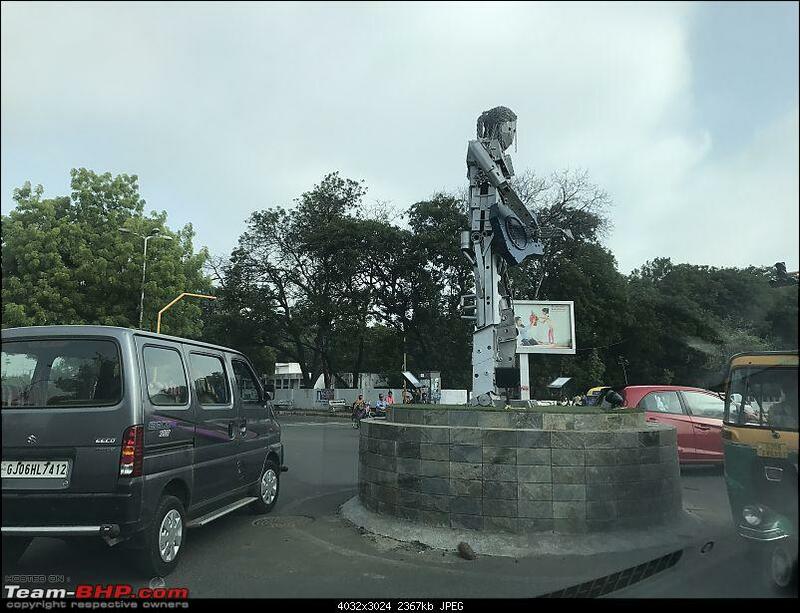 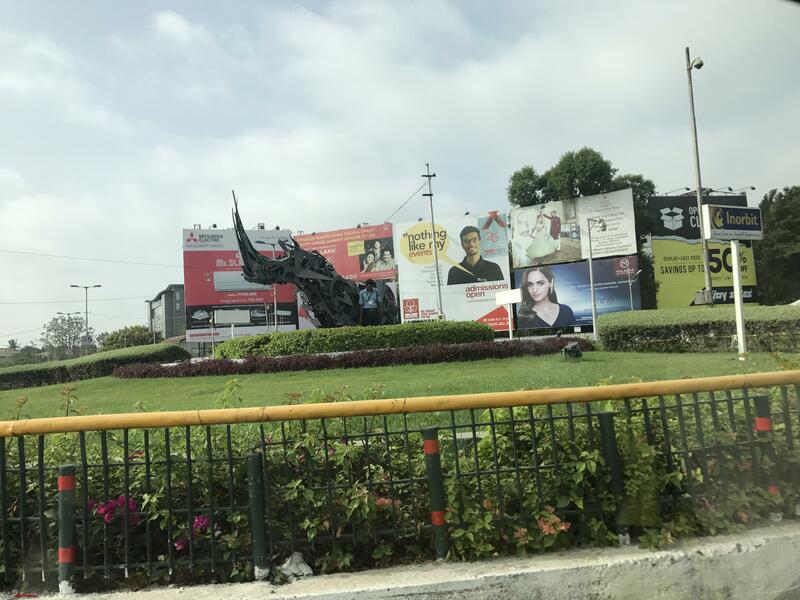 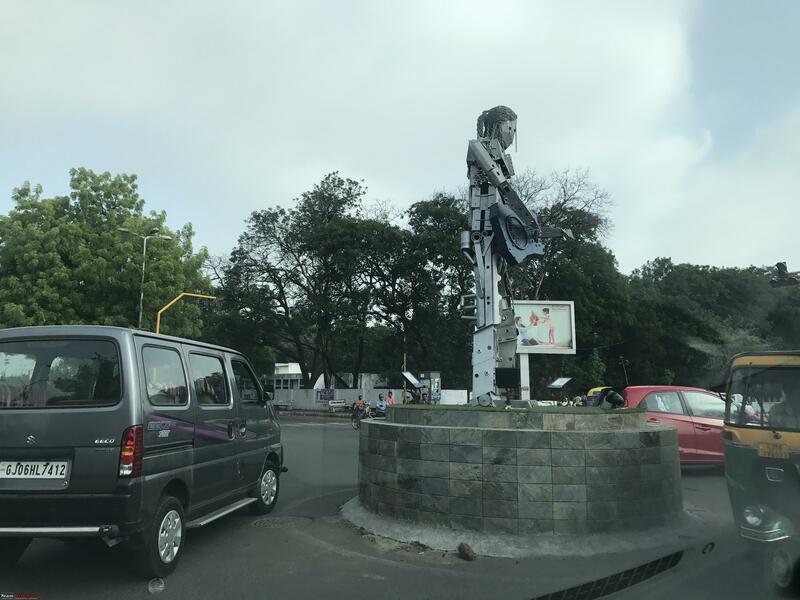 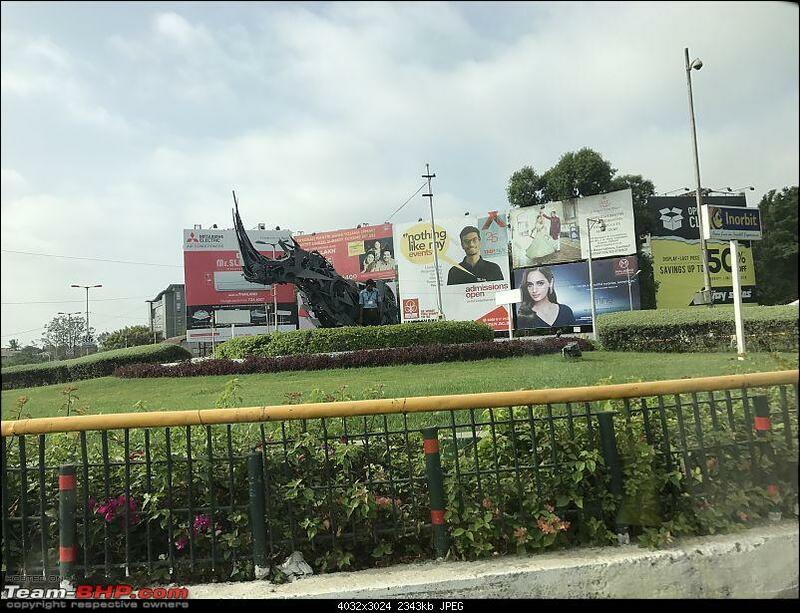 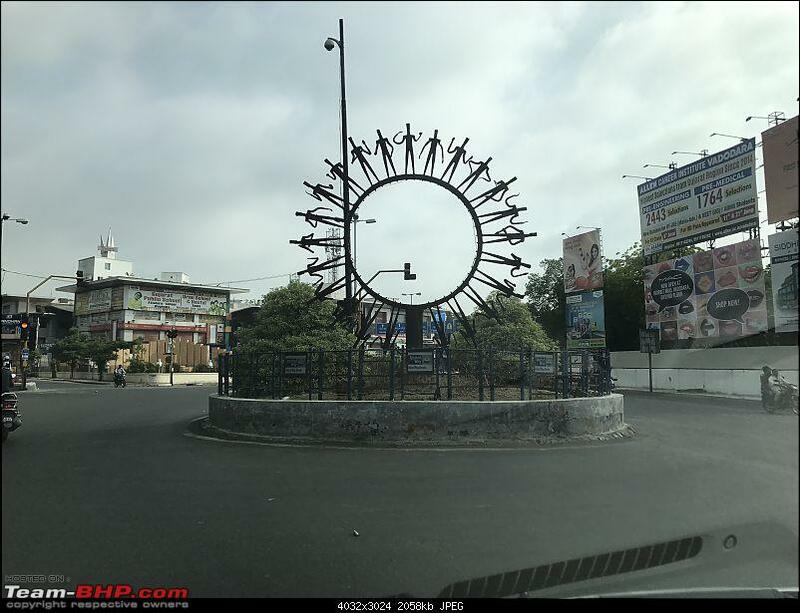 As a city Vadodara looked very clean and nice, lots of junctions with amazing sculptures. 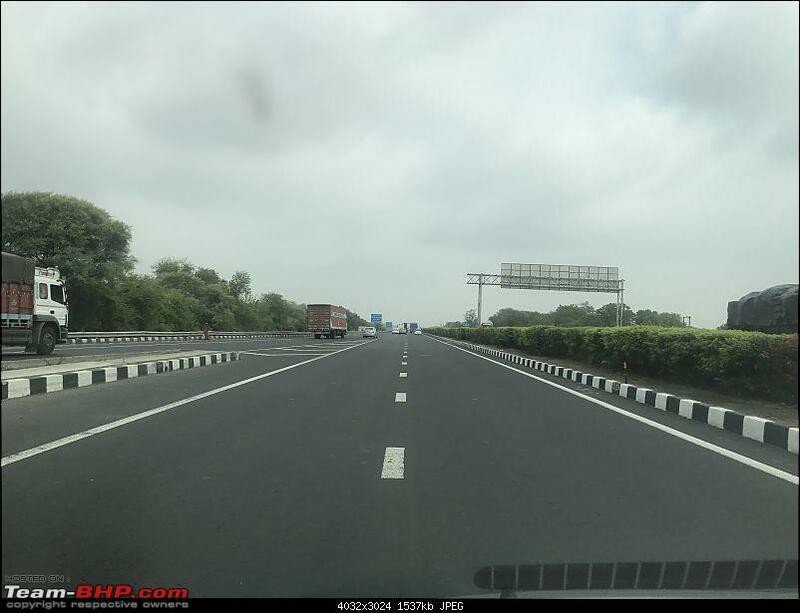 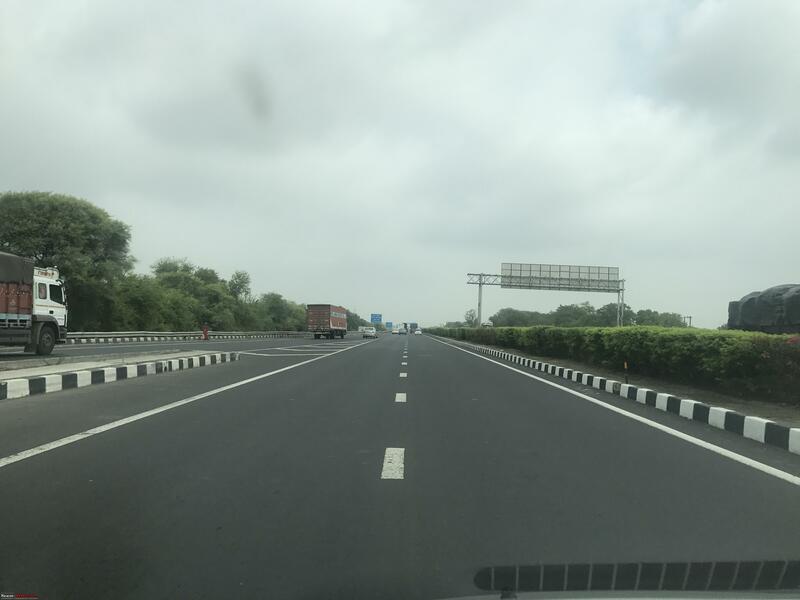 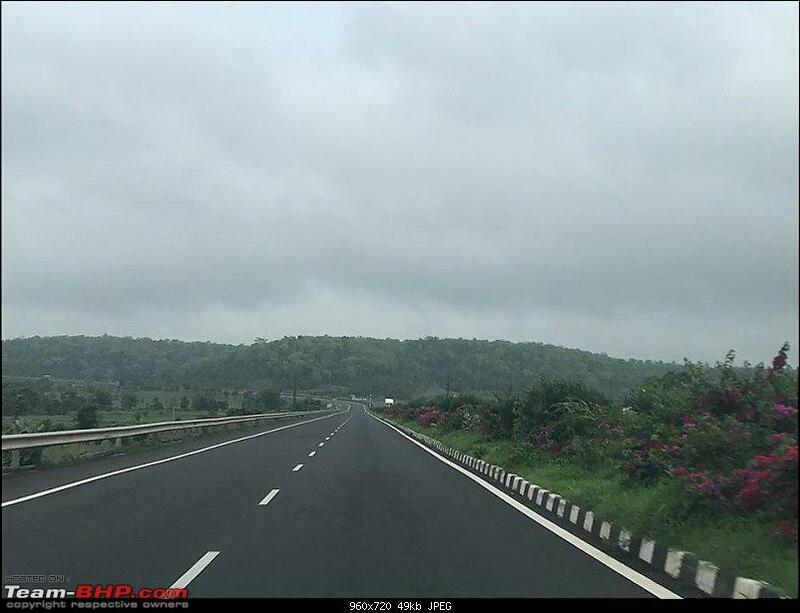 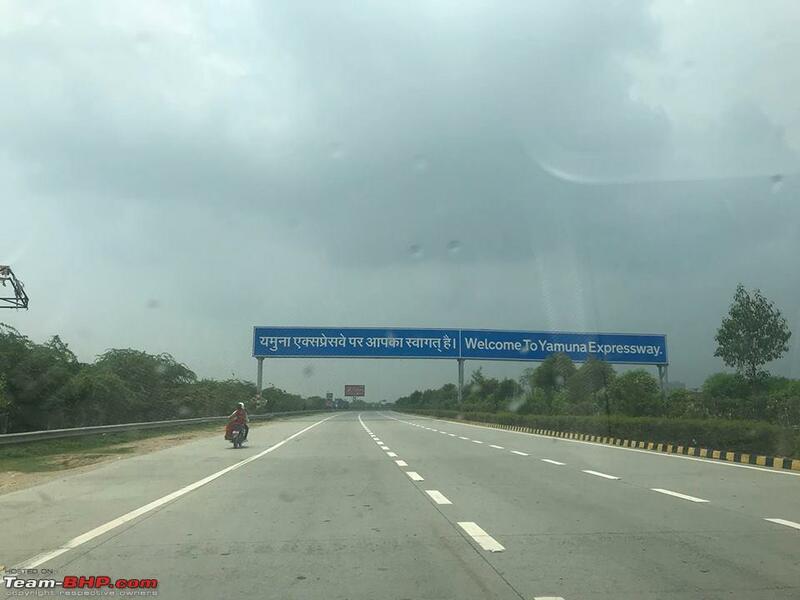 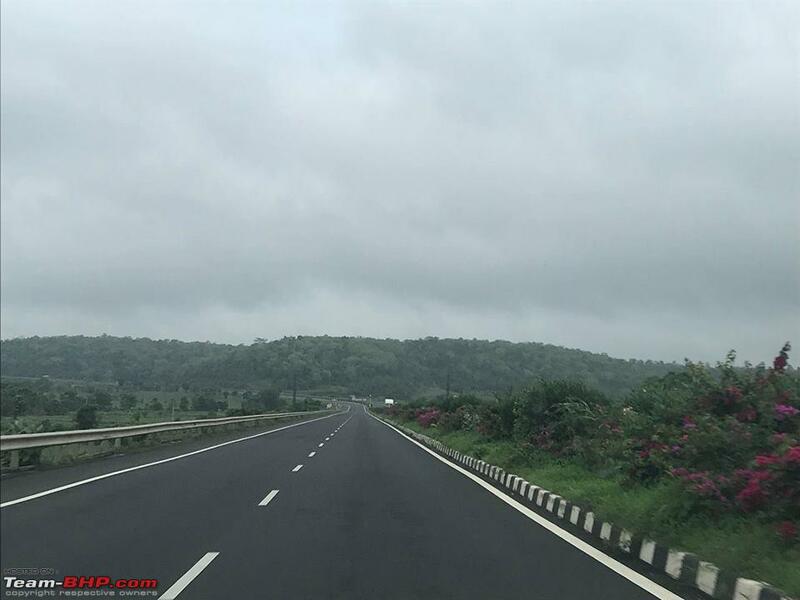 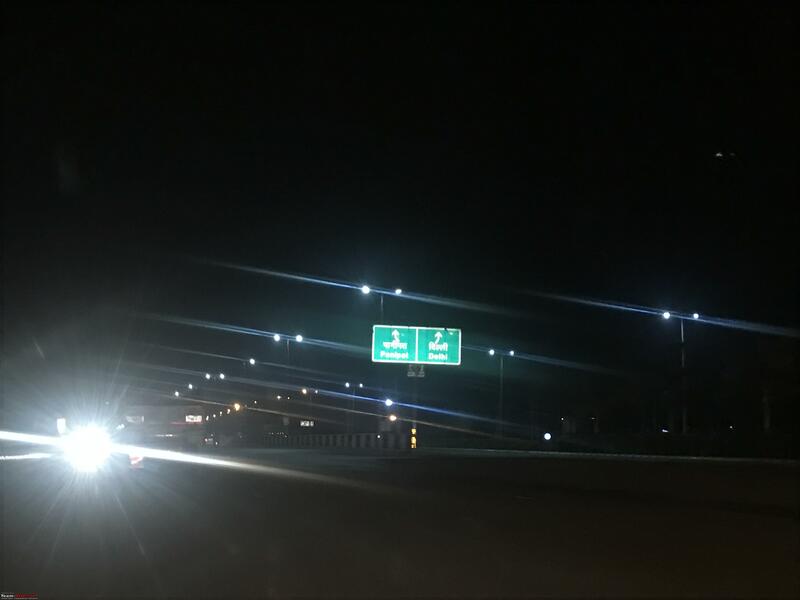 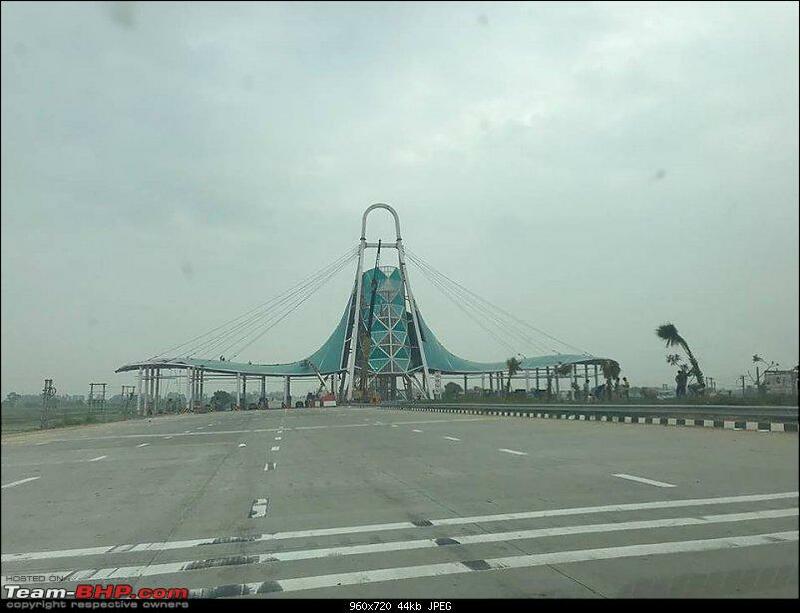 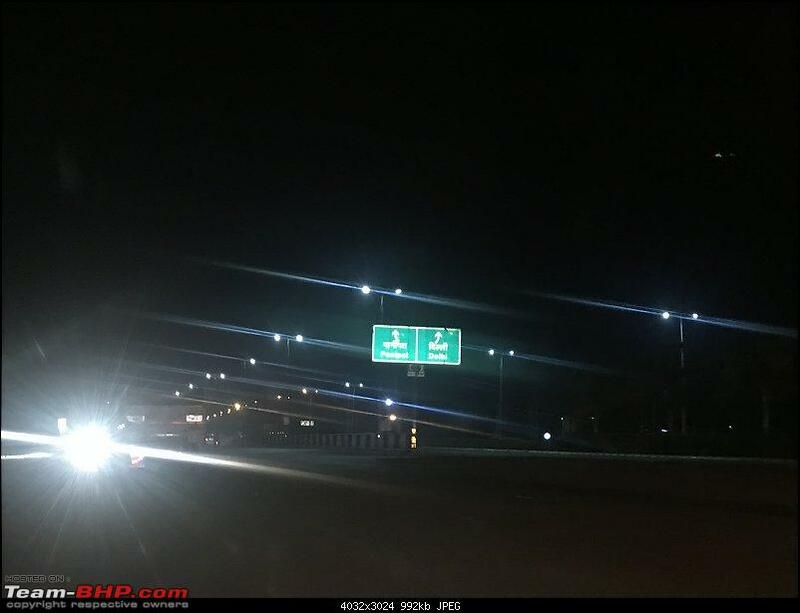 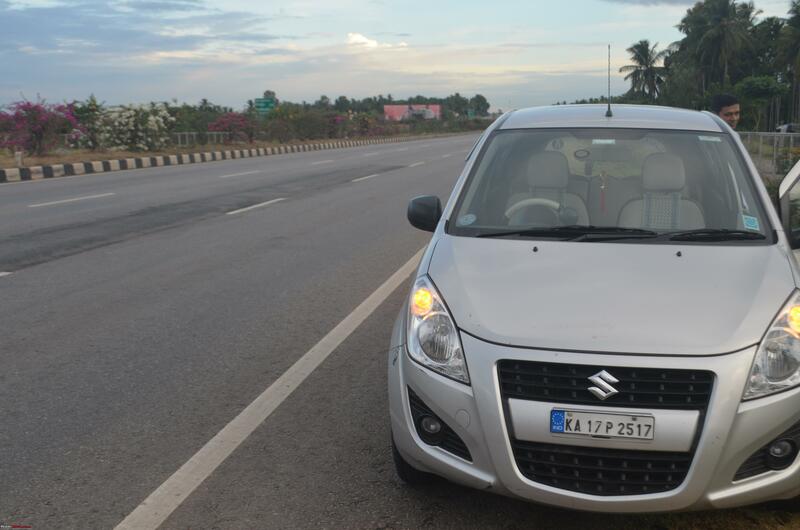 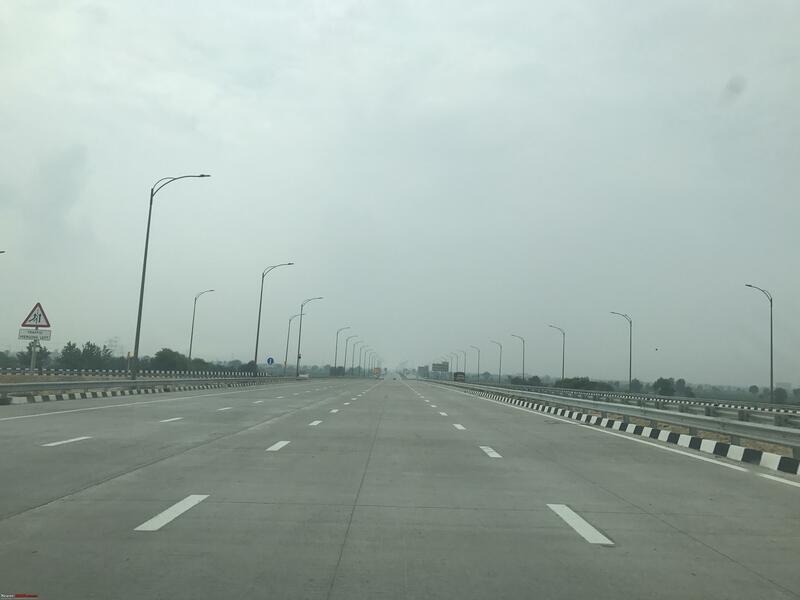 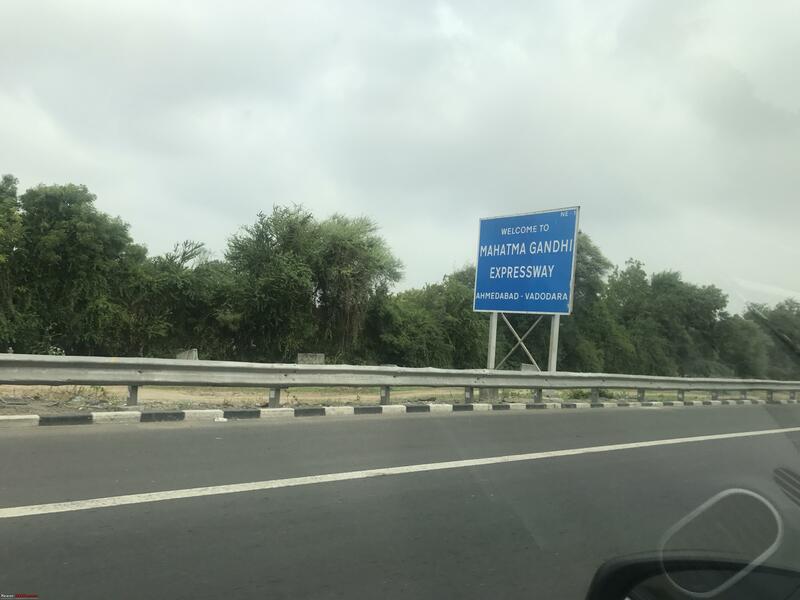 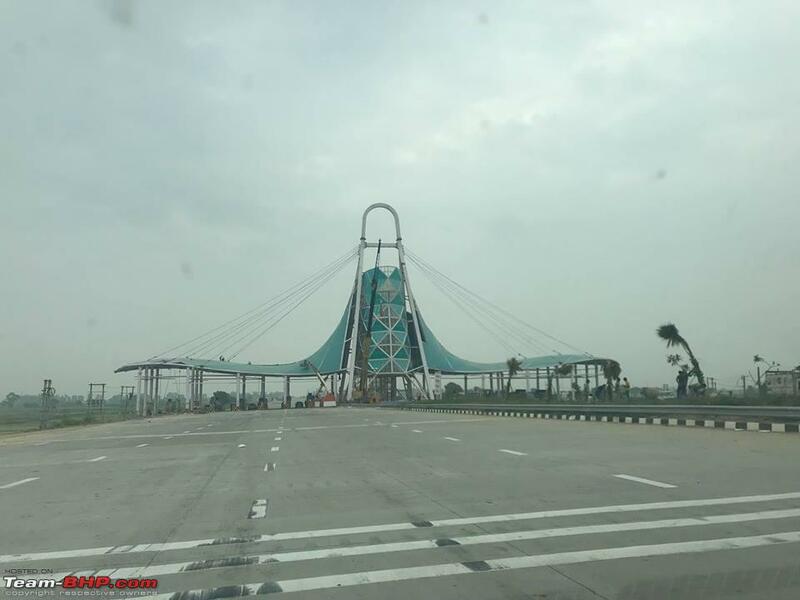 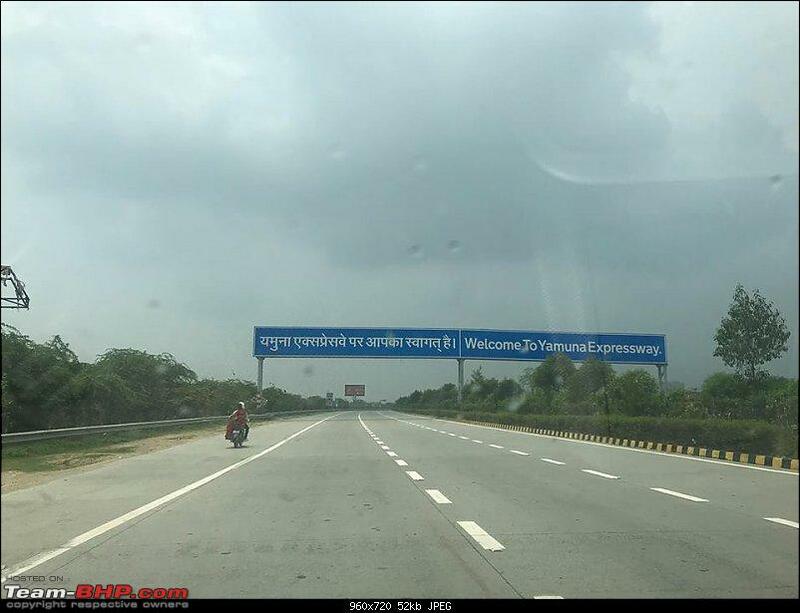 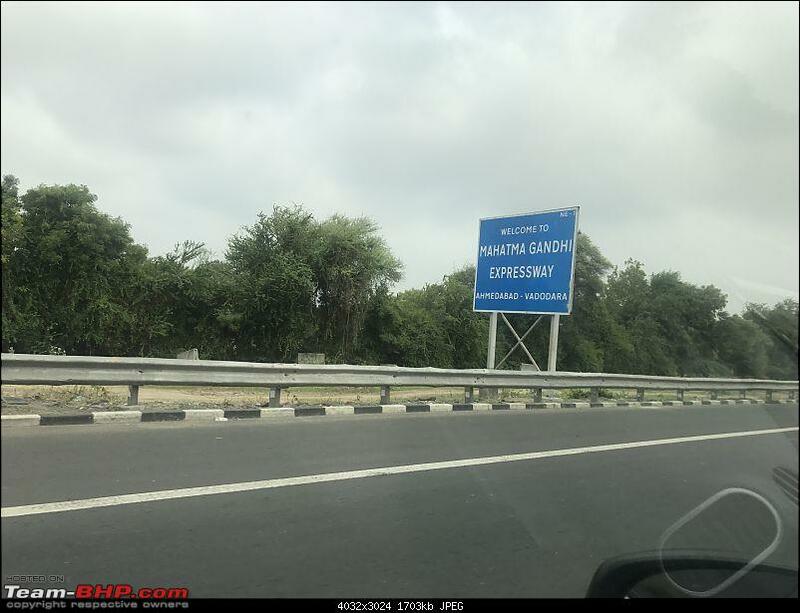 Moment we came back to the highway, found one of the best expressways we had seen, yet - Ahmedabad - Vadodara Expressway, and it was awesome like a straight arrow. 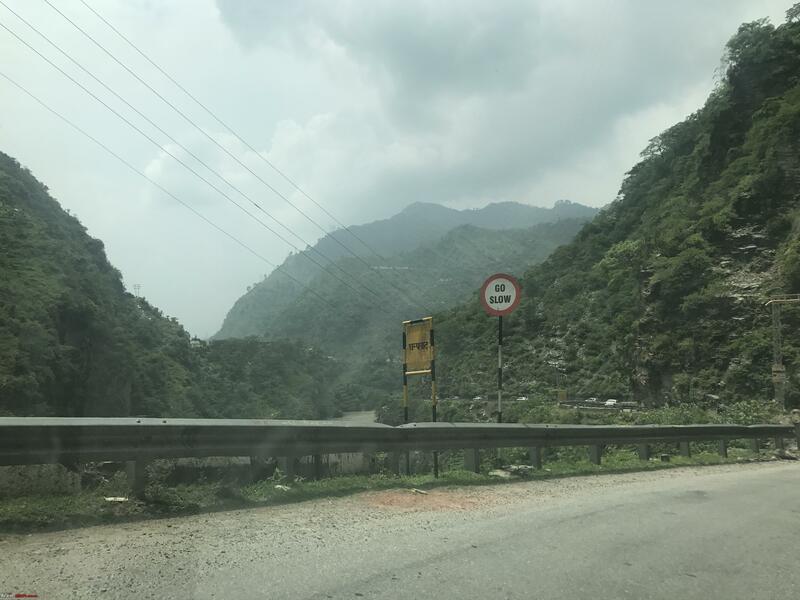 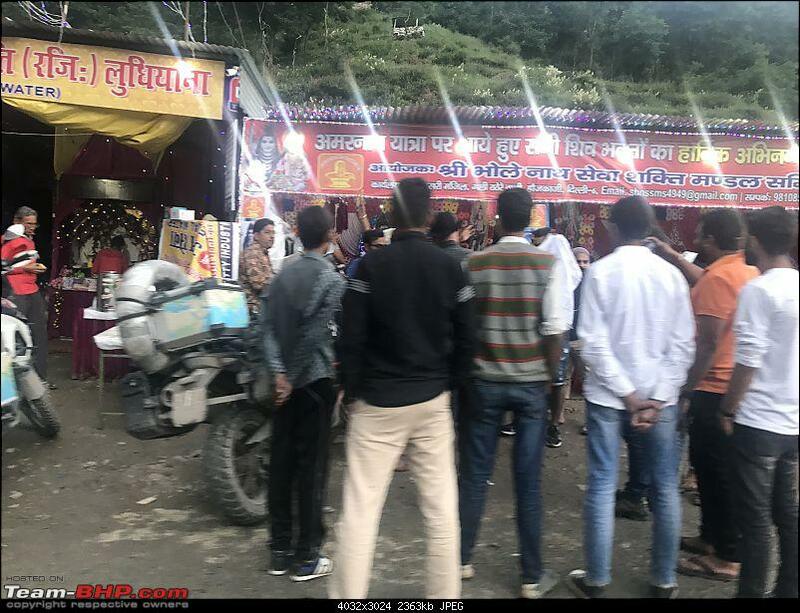 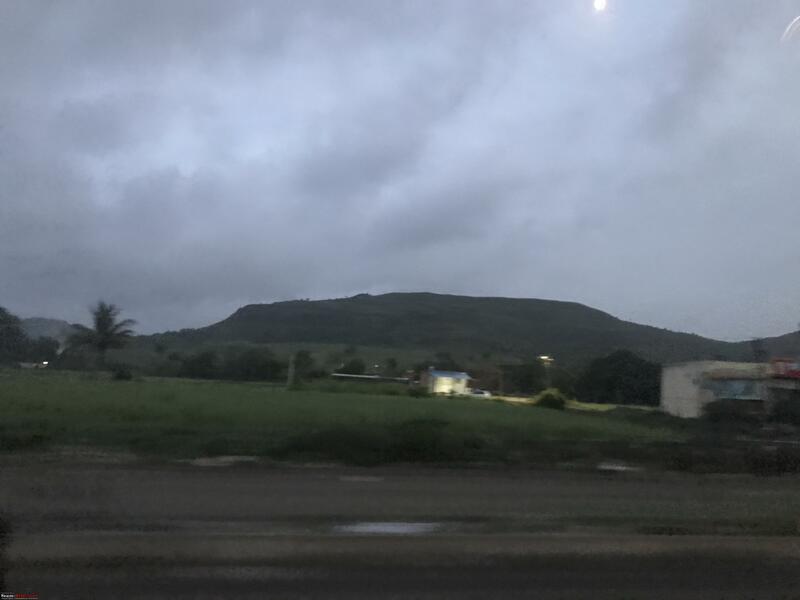 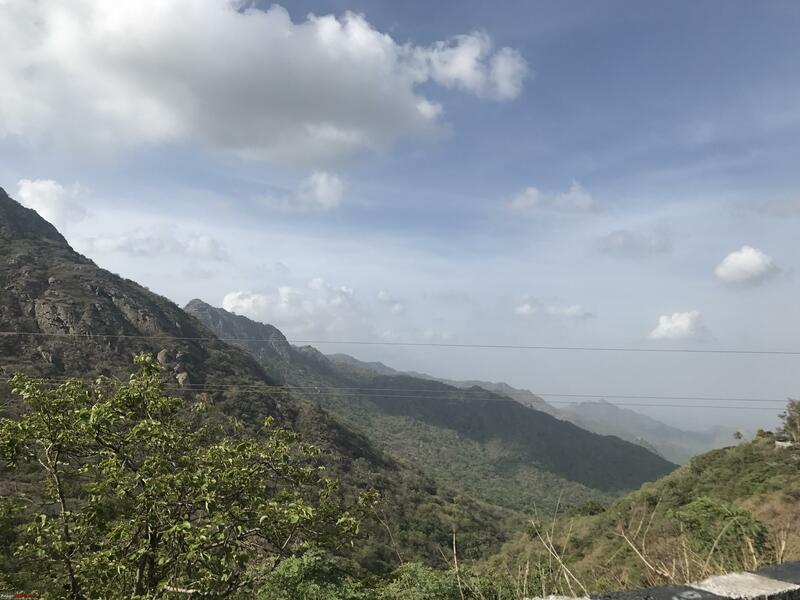 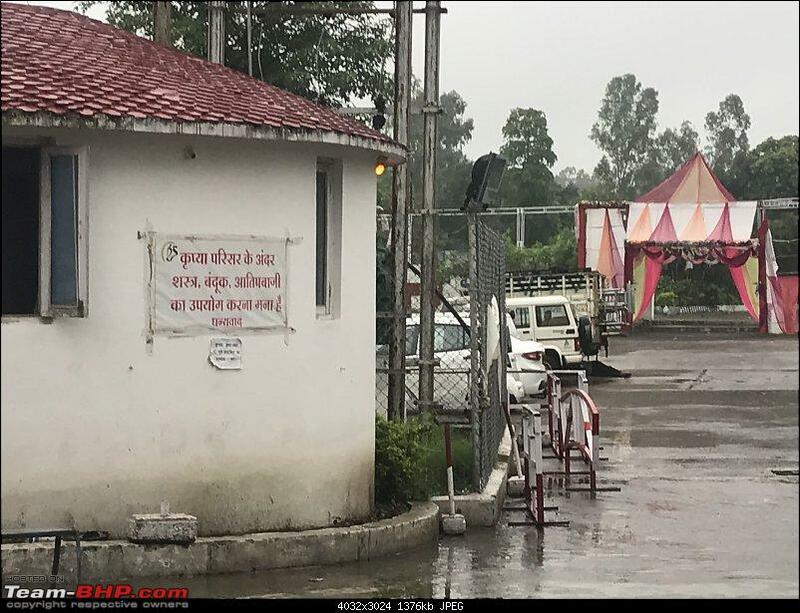 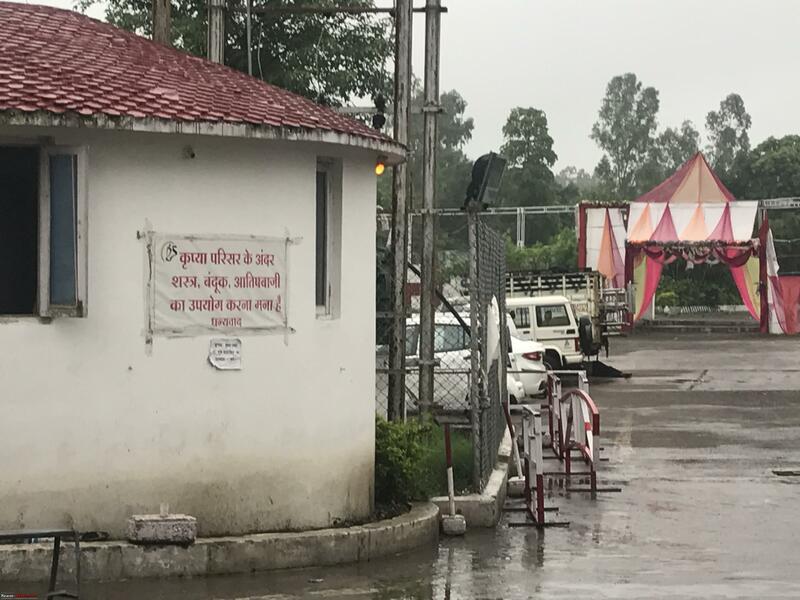 Instead of going to Jaipur, we followed Google maps towards Amritsar, and this route took us through Mount Abu towards Merta, we had stopped at this small village after another 14 hrs of drive. 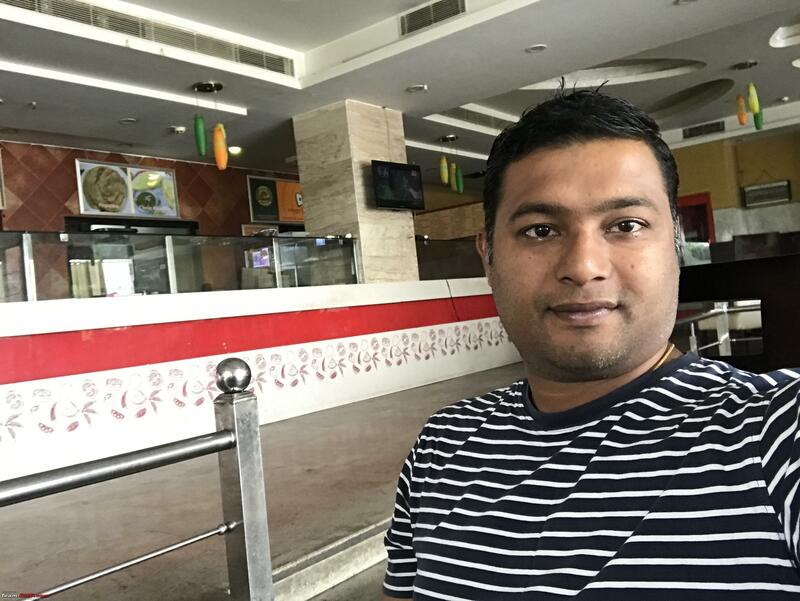 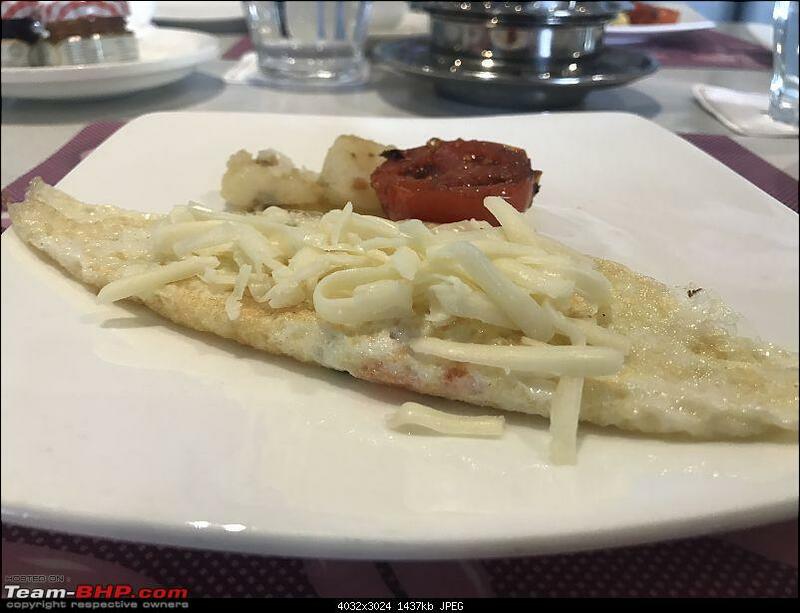 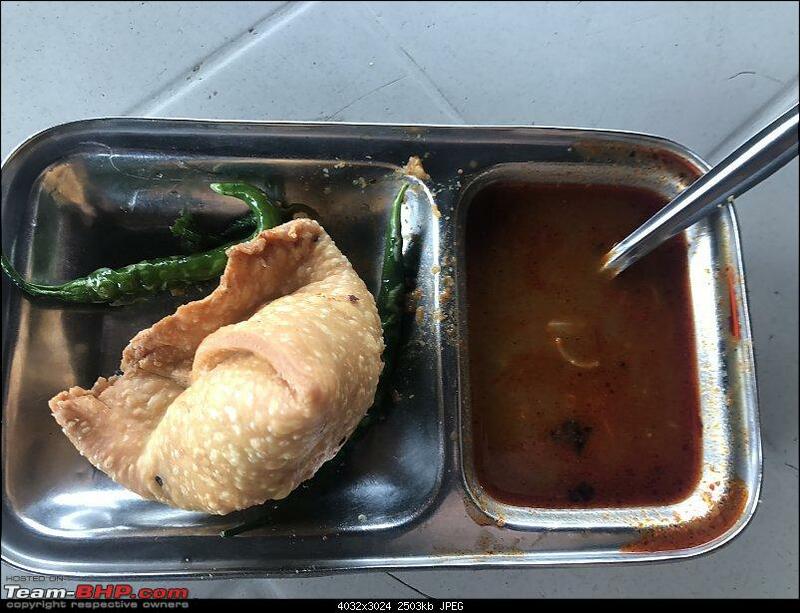 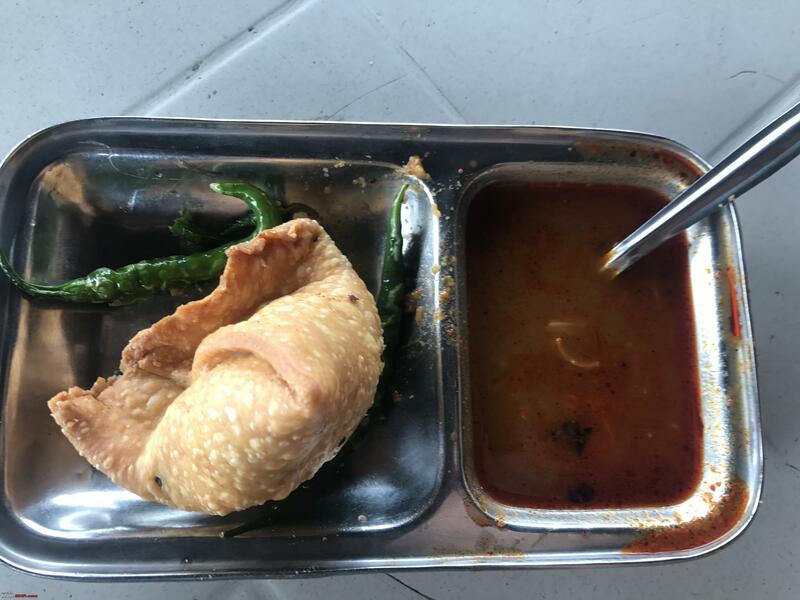 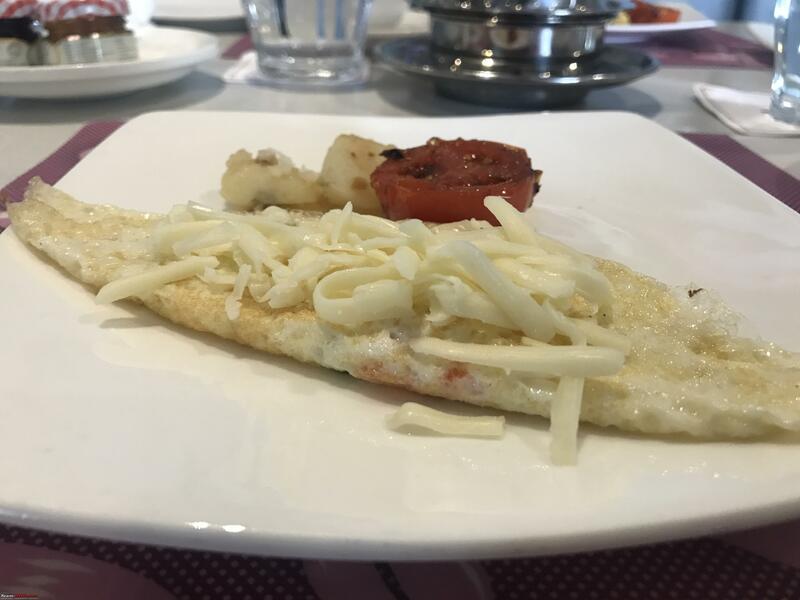 Stayed at a Hotel named Nataraj (my colleagues name is Nataraja), below average, given the time of our checkin, at least they served us hot food. 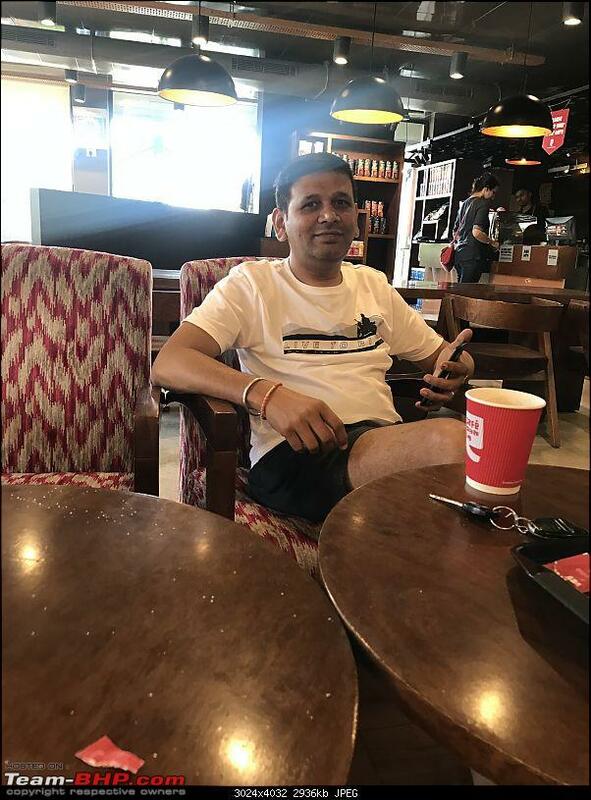 Last edited by srikanthpotluri : 2nd January 2019 at 10:55. 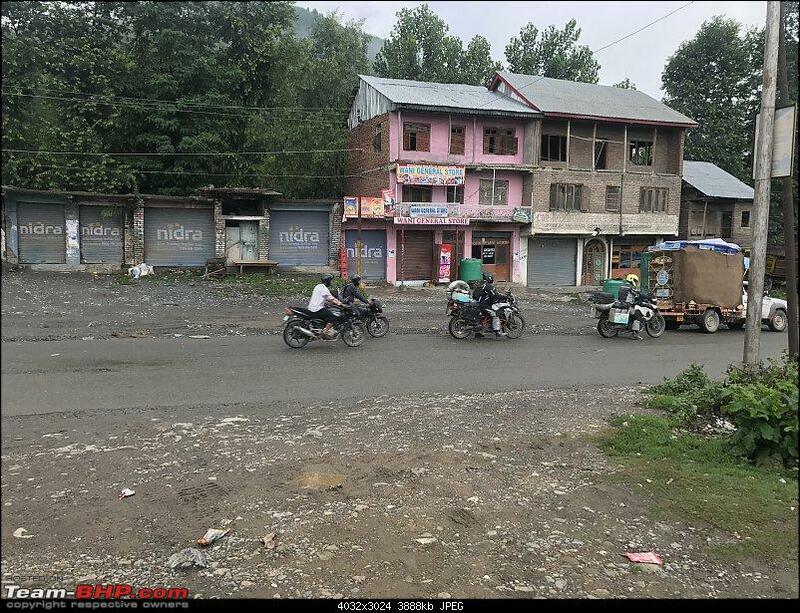 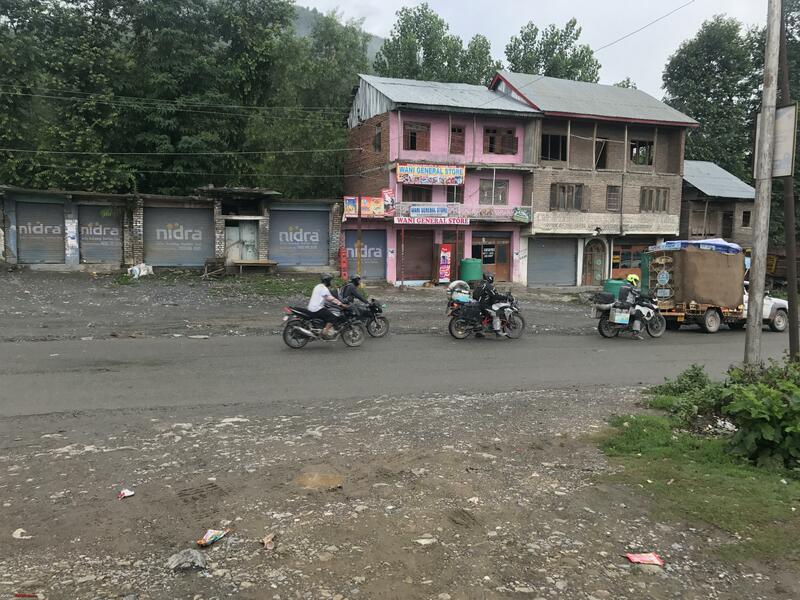 We were all fresh and ready to reach Srinagar, road to Udhampur was closed, we went till Jammu and started moving towards Patnitop. 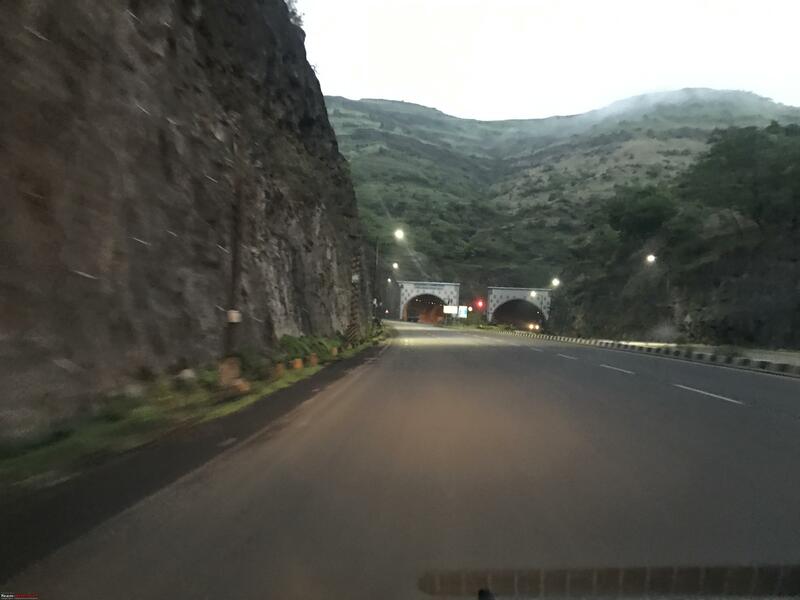 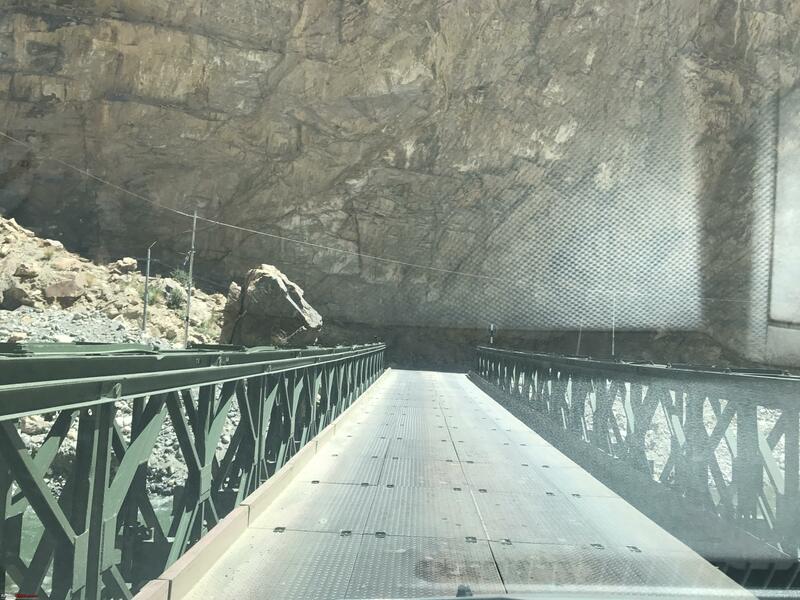 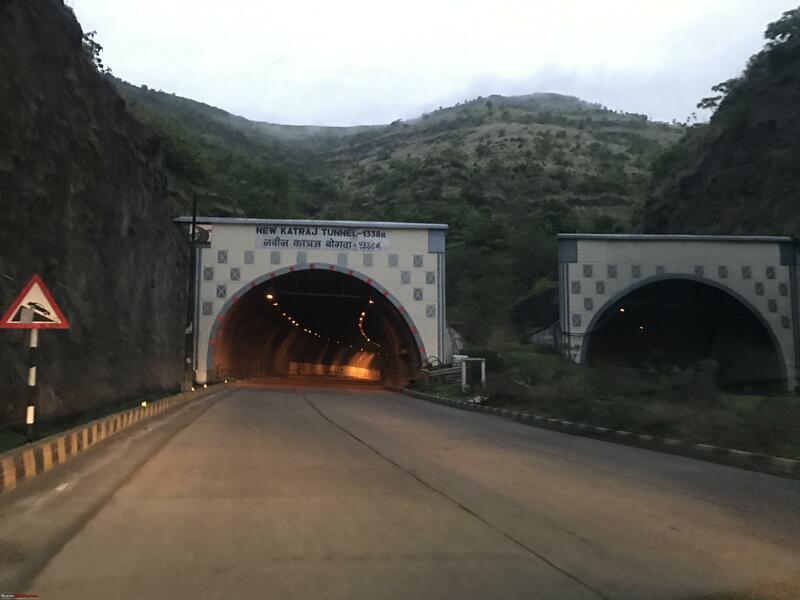 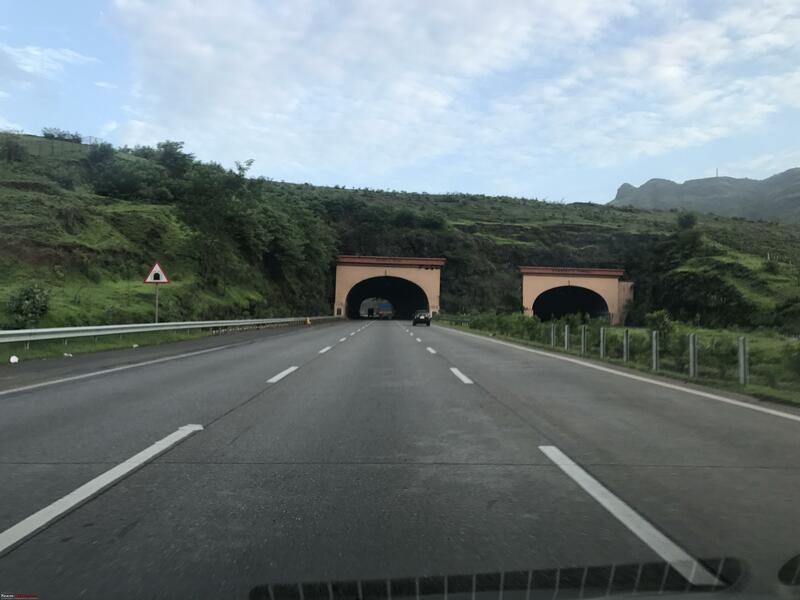 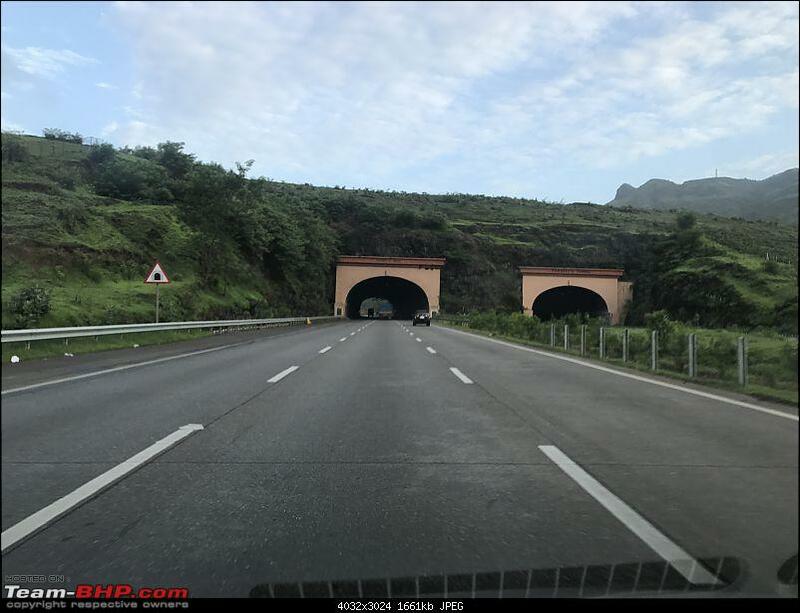 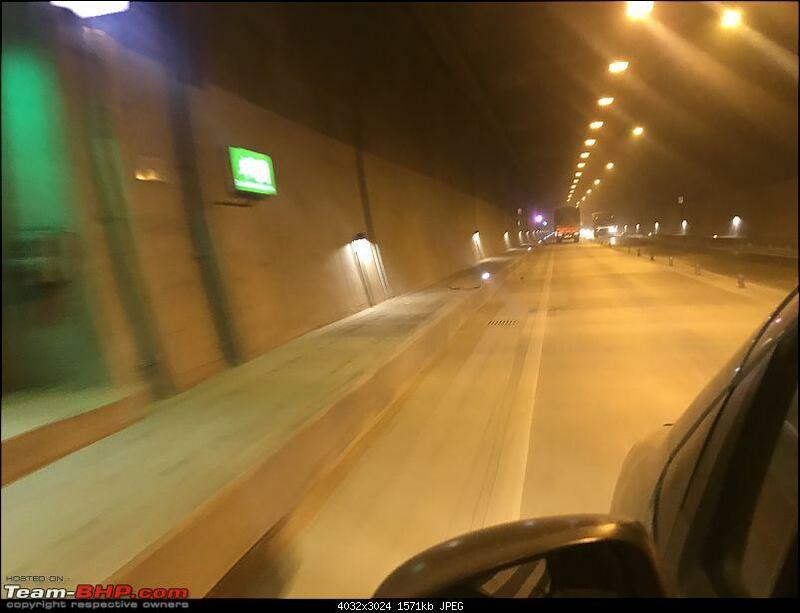 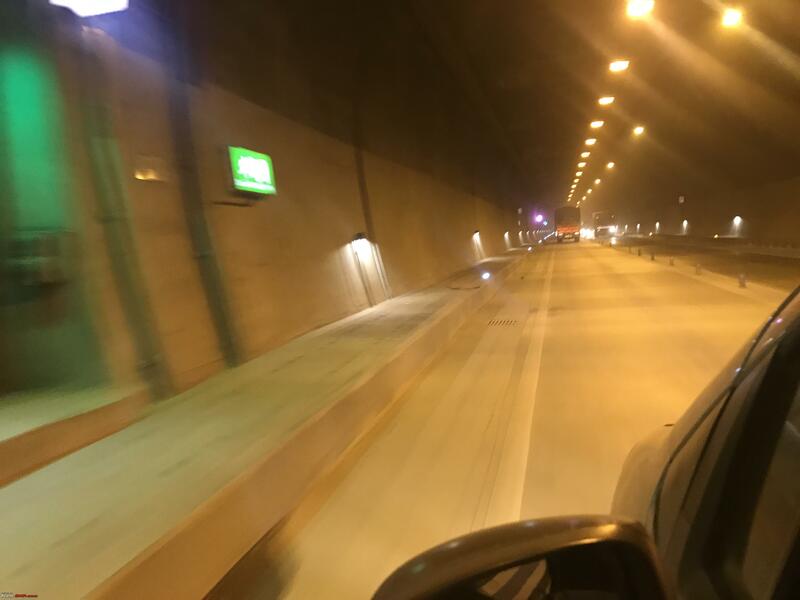 Experienced one of the best tunnels here, 8 KM long if I am correct. 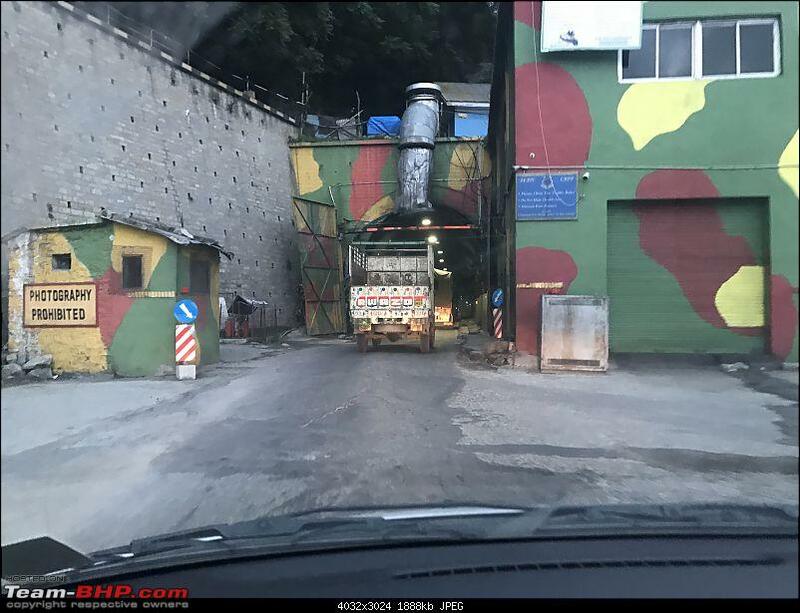 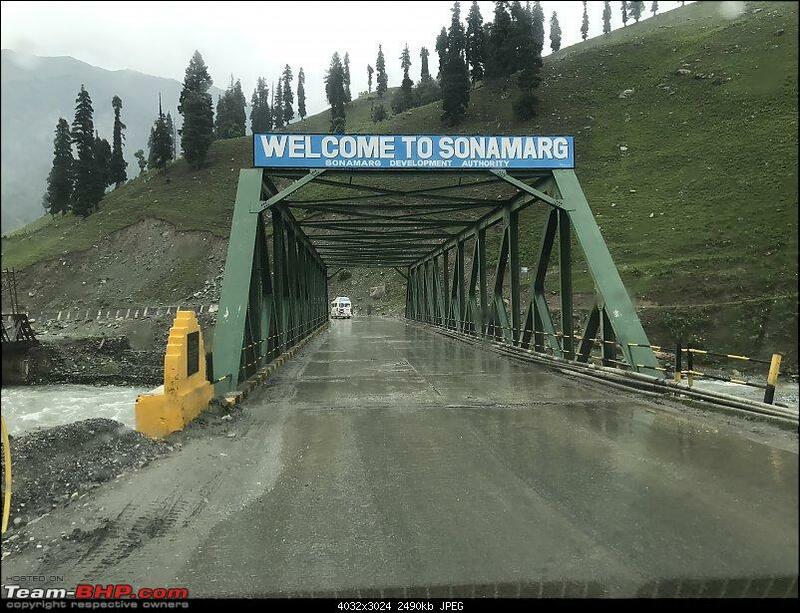 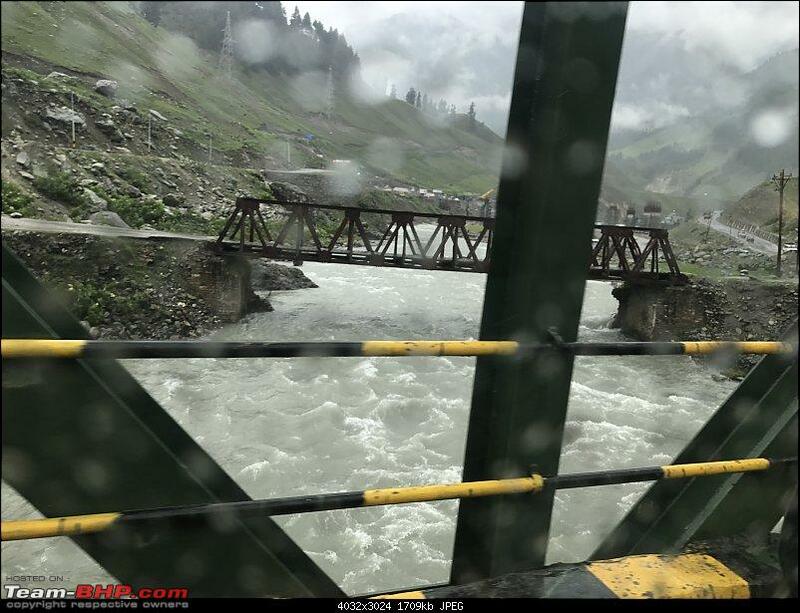 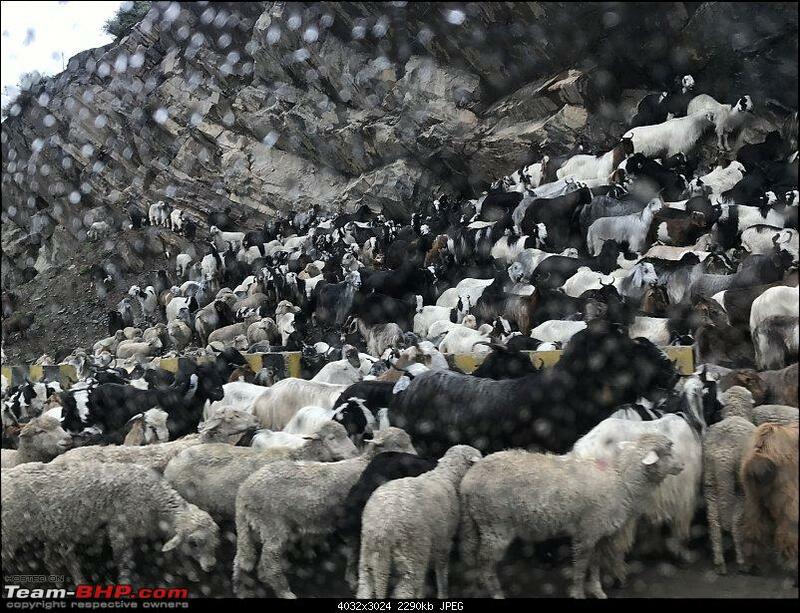 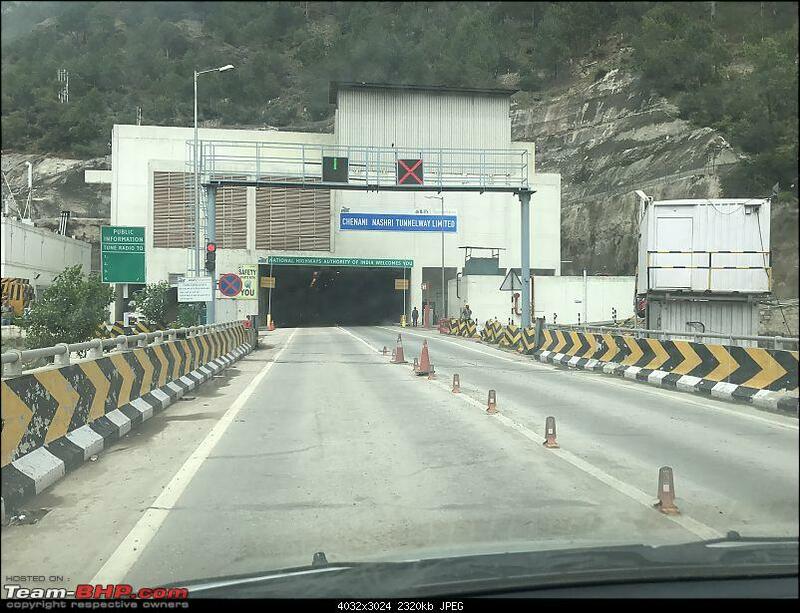 Post which nightmare started, one is traffic & two roads, we have never experienced so many trucks in our lifetime., reaching Patnitop and were heading towards Srinagar, unfortunately we were stopped by Cops before Jawahar tunnel, last point to get into Kashmir, and then after a lot of pleading they let us go only to be stopped by Military post the tunnel. 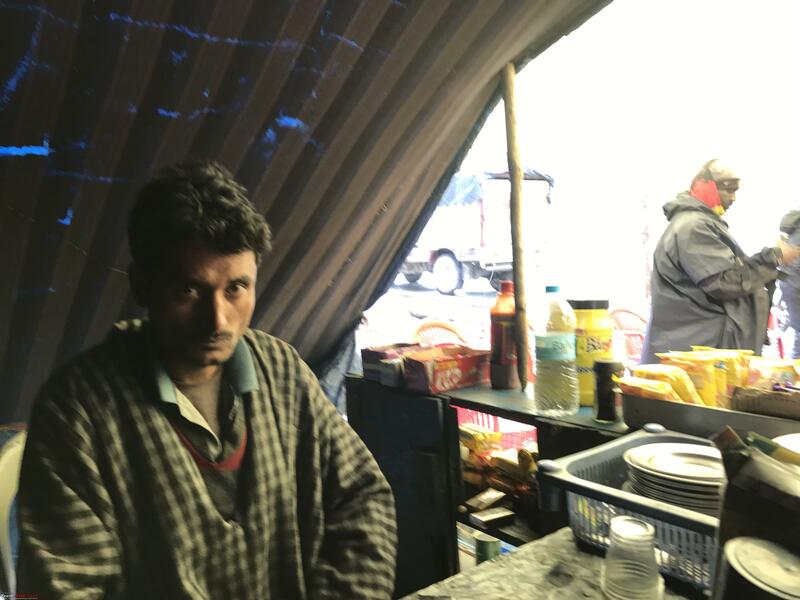 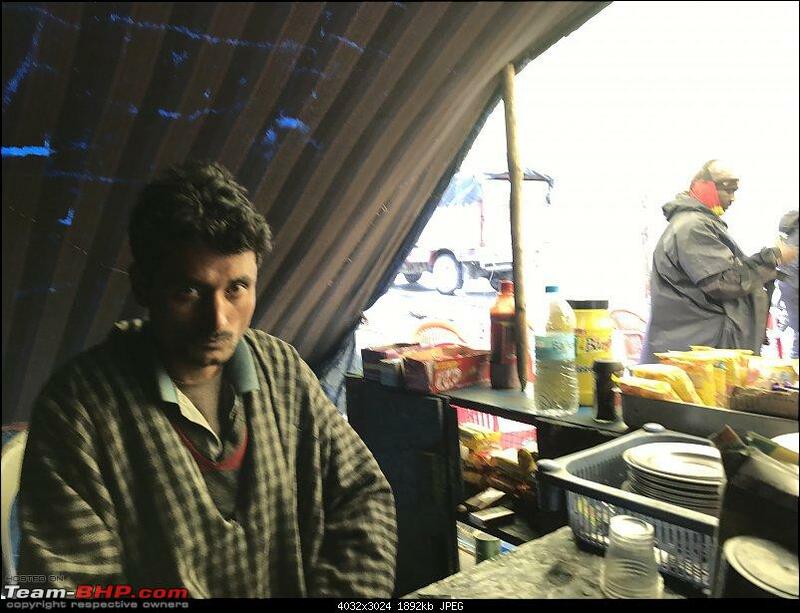 We did not have breakfast nor lunch, we were super hungry, after crossing Zojila, this guy rescued us with some hot tea and maggi. 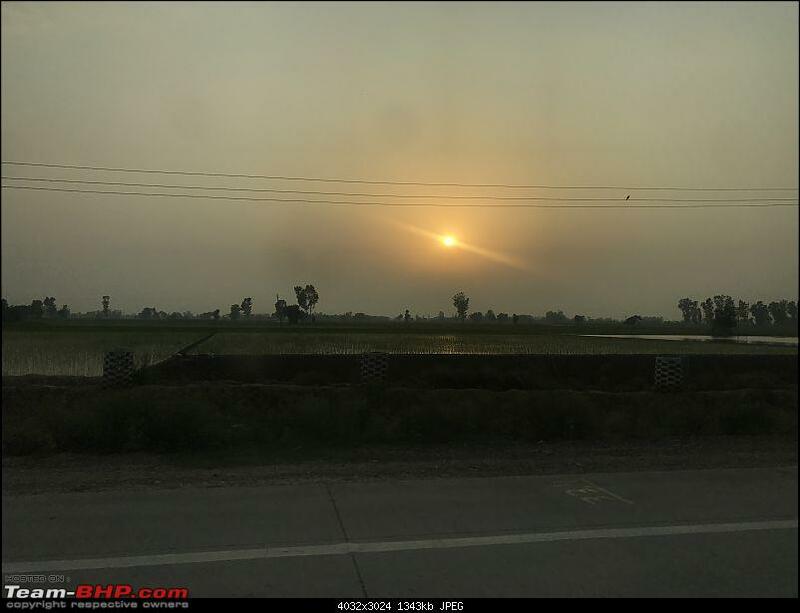 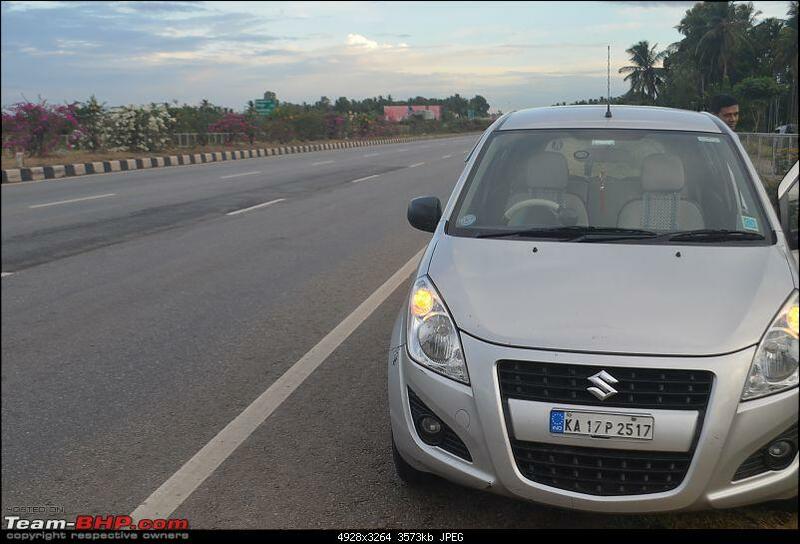 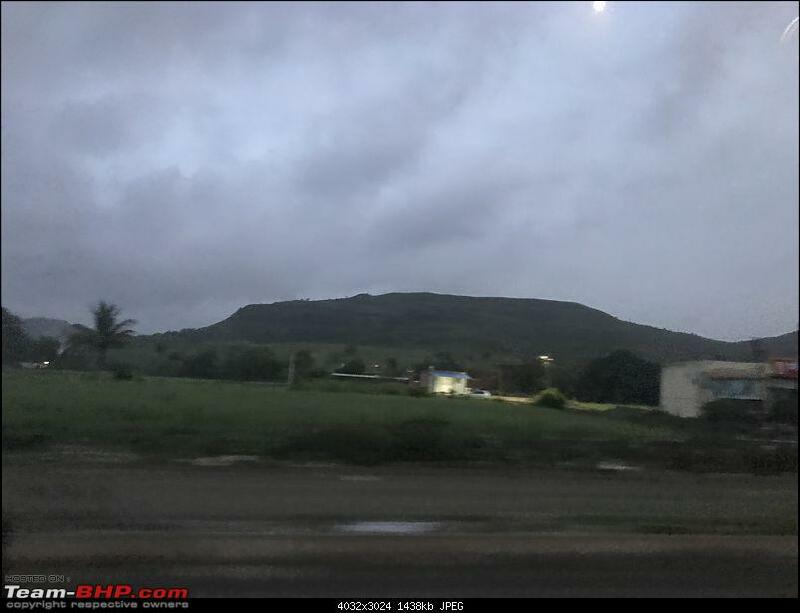 Last edited by srikanthpotluri : 14th January 2019 at 17:13. 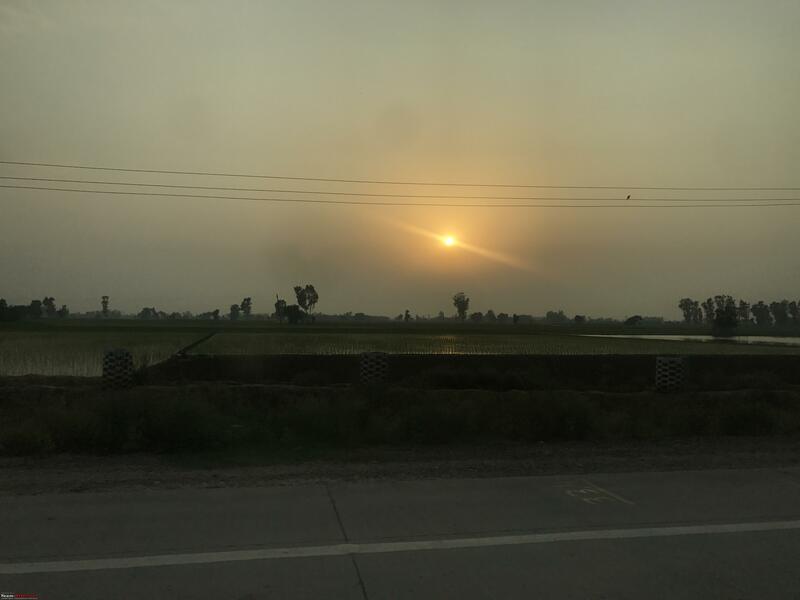 Last edited by srikanthpotluri : 31st January 2019 at 16:50. 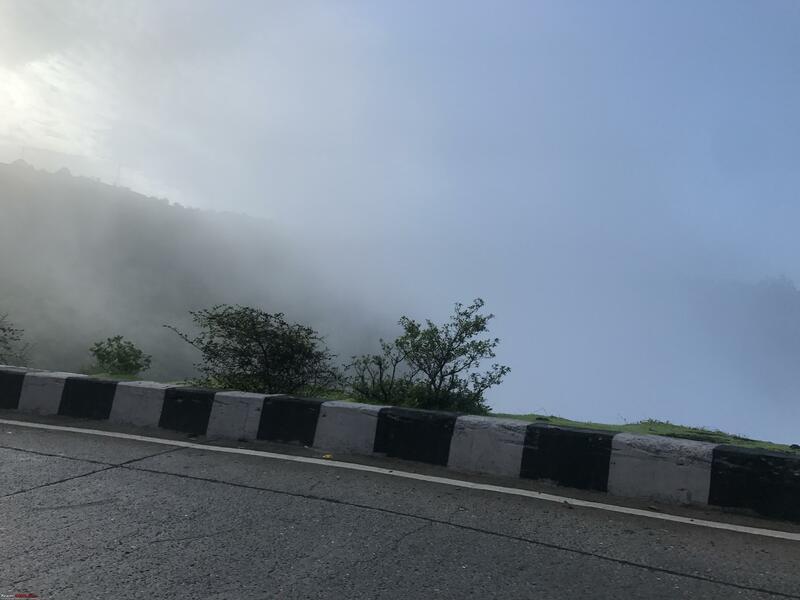 Last edited by srikanthpotluri : 31st January 2019 at 11:37. 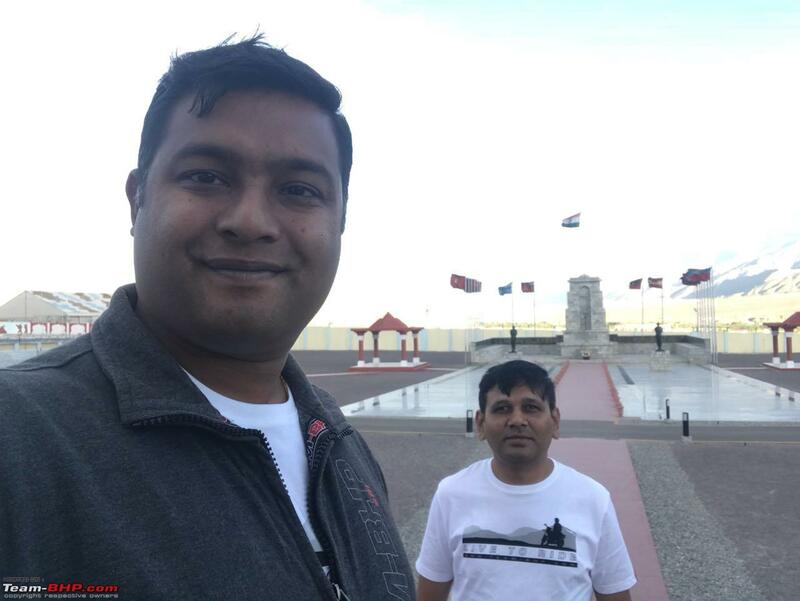 Last edited by srikanthpotluri : 31st January 2019 at 12:21. 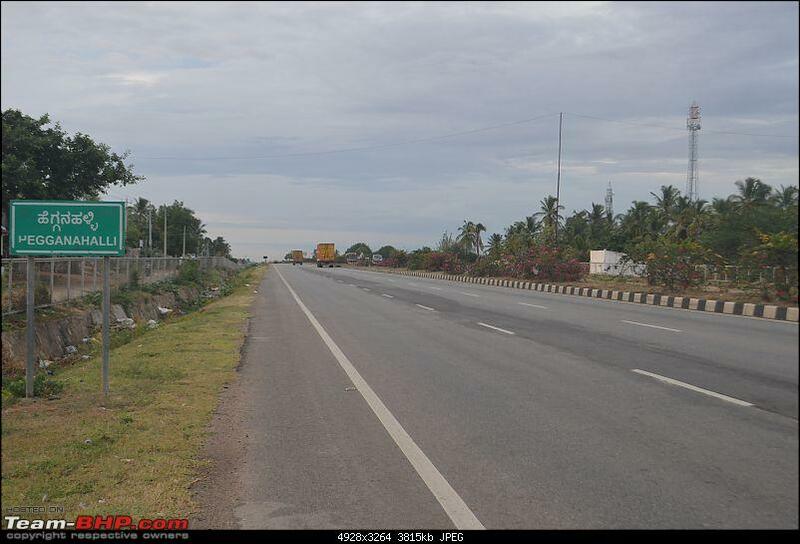 Last edited by srikanthpotluri : 31st January 2019 at 13:30. 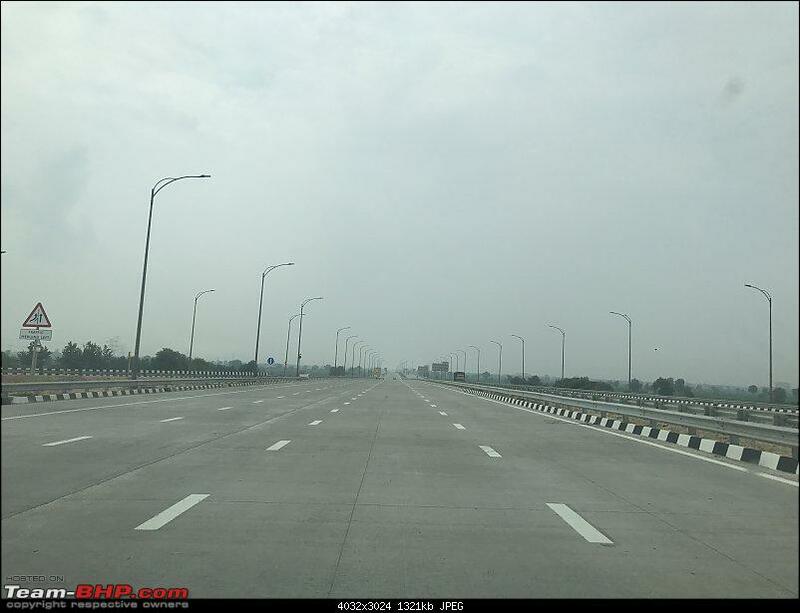 Woke up leisurely after a tiring drive the previous day, had breakfast and quickly started off as were off by some 90 KMS from Delhi, to our surprise we hit the Eastern expressway pretty soon and were surprised by the infrastructure, then came another big one, the Yamuna Expressway, definitely the best one in our country (as per me), good drive till we reached Sagar at 12:30 AM, though in MP we had faced few bad stretches in the evening and it took some time here. 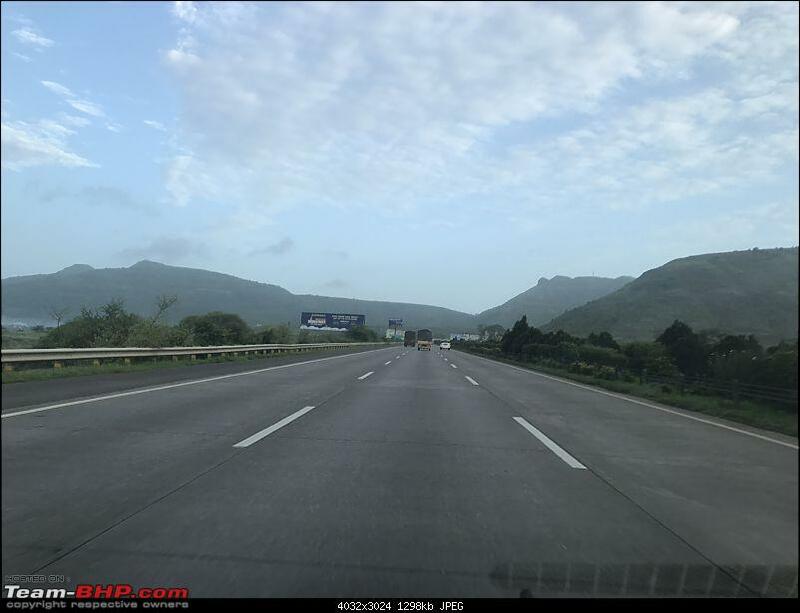 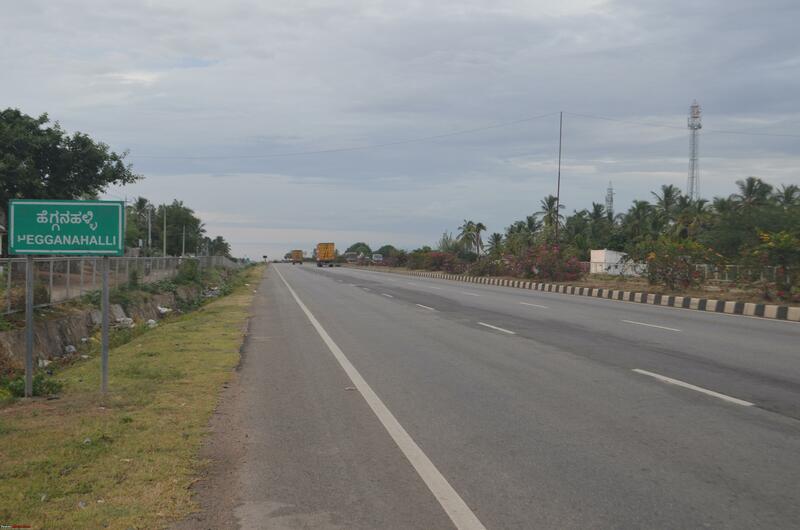 Following day from Sagar to Hyderabad was a very pleasant drive, once you touch AP, you will feel as though you are on Airport runway, reached Hyderabad by 9:30 PM and the last days stretch felt like we were driving from Whitefield to Hosur after such a long drive we reached Bangalore-Hebbal by 4:30 PM and we were home by 5:30 PM. 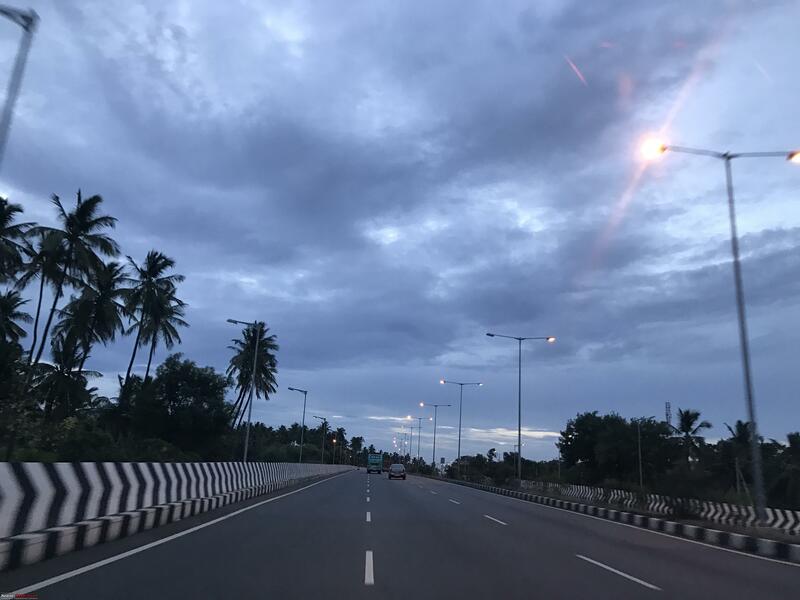 Last edited by srikanthpotluri : 31st January 2019 at 15:57. 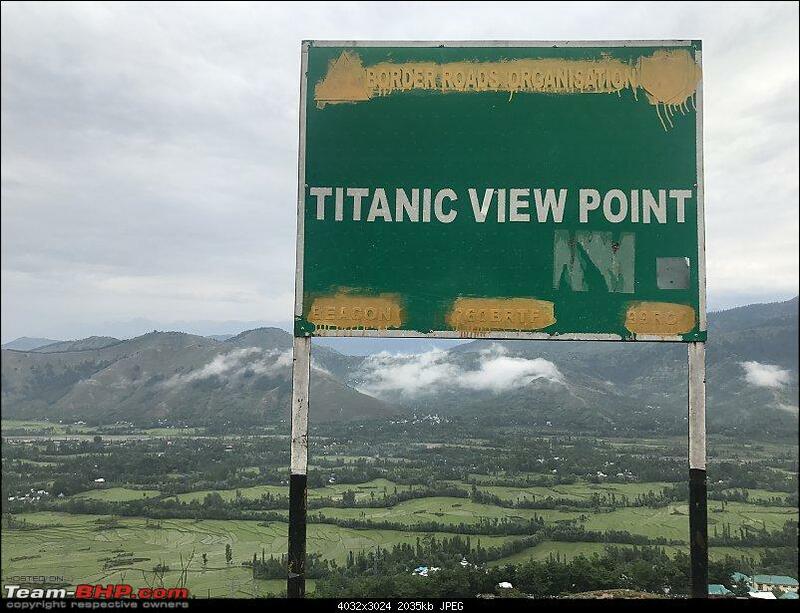 China isn't that far from here, should we extend our trip? 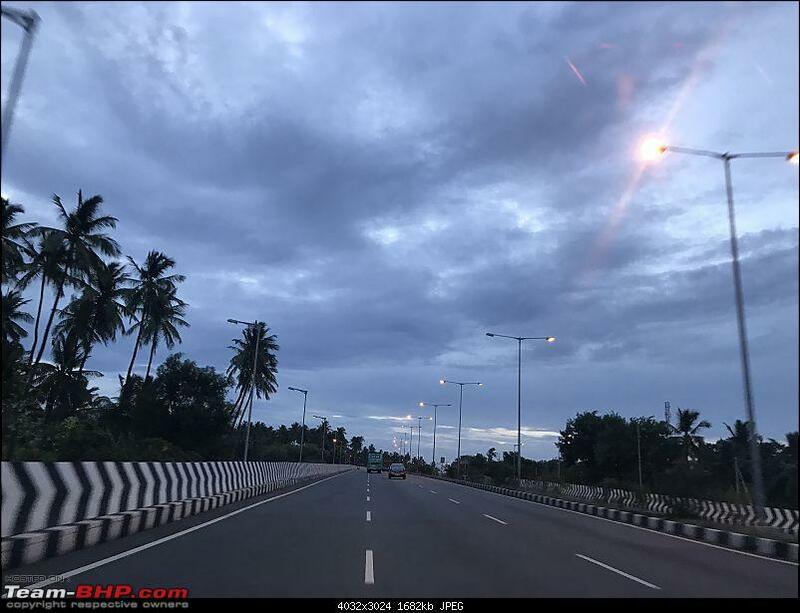 Last edited by srikanthpotluri : 31st January 2019 at 17:04.